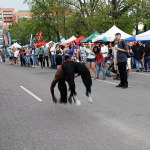 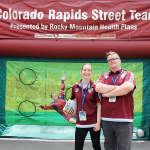 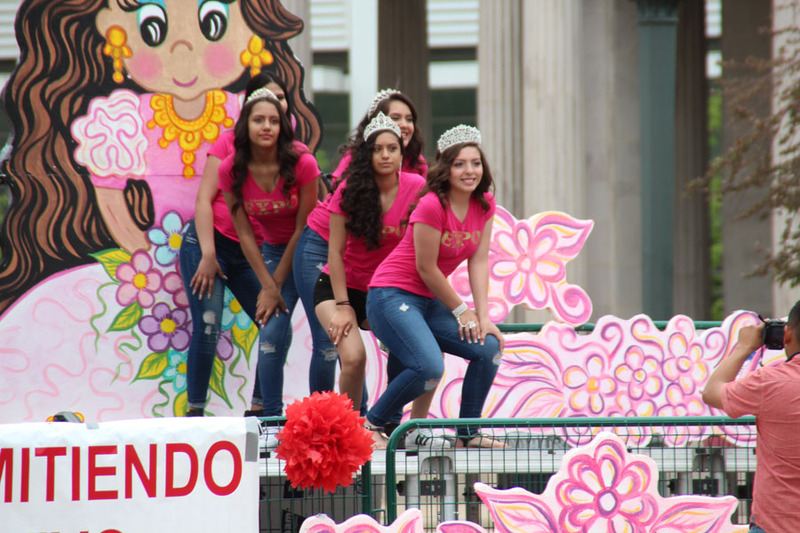 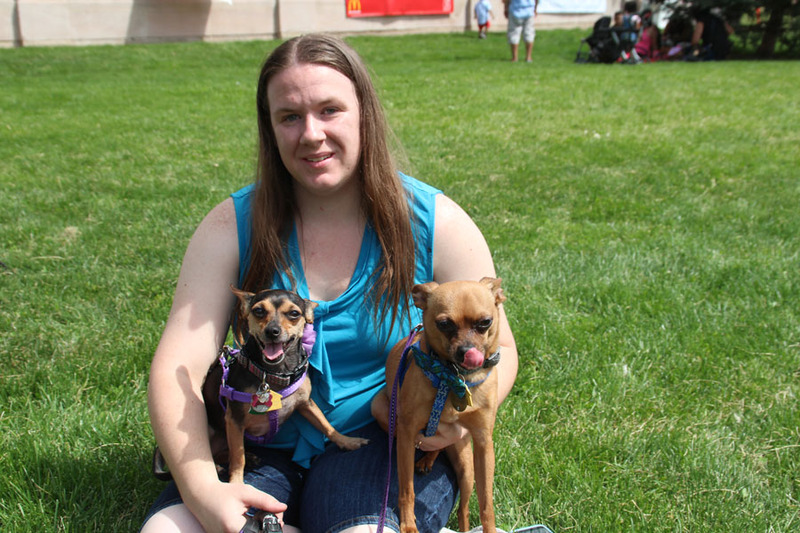 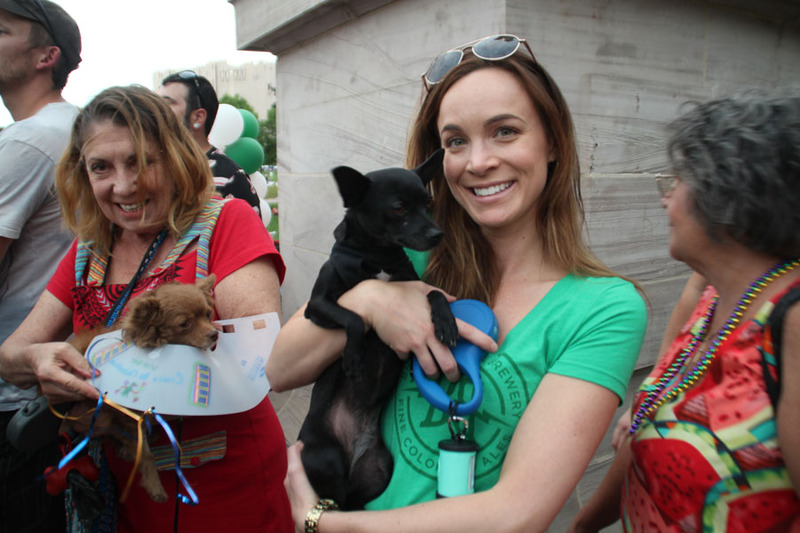 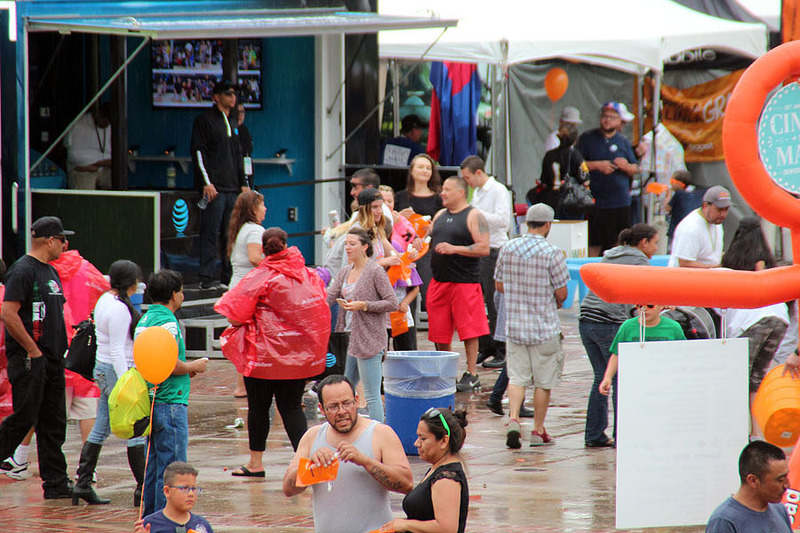 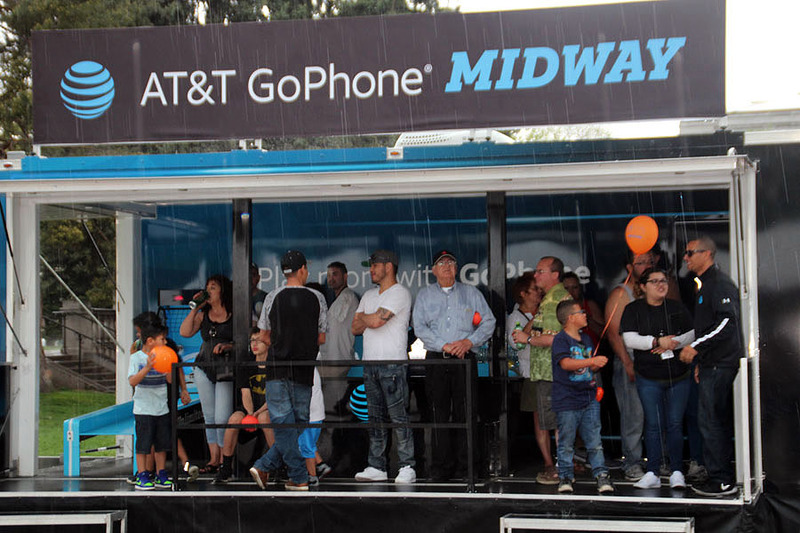 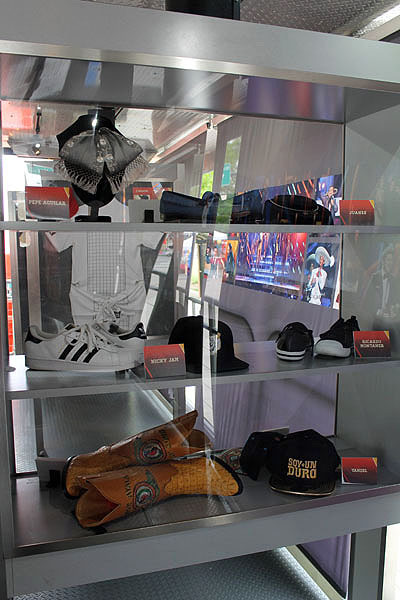 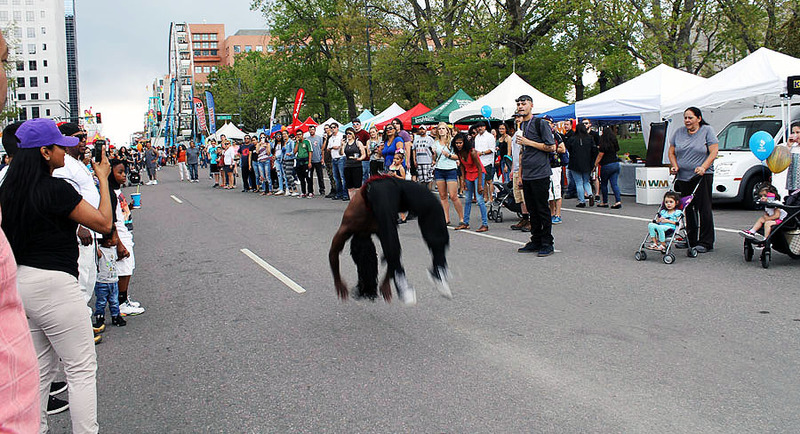 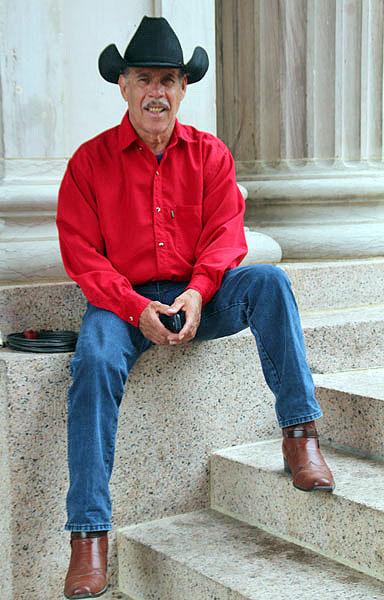 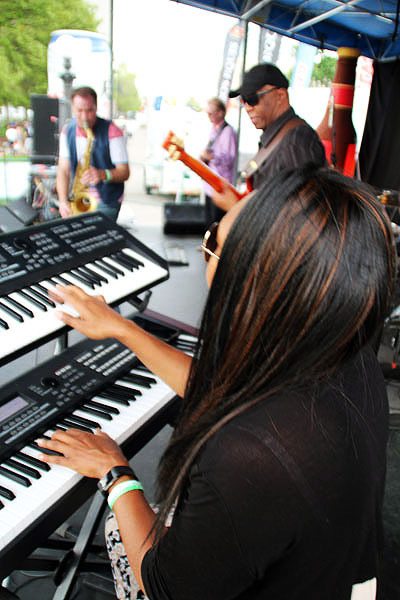 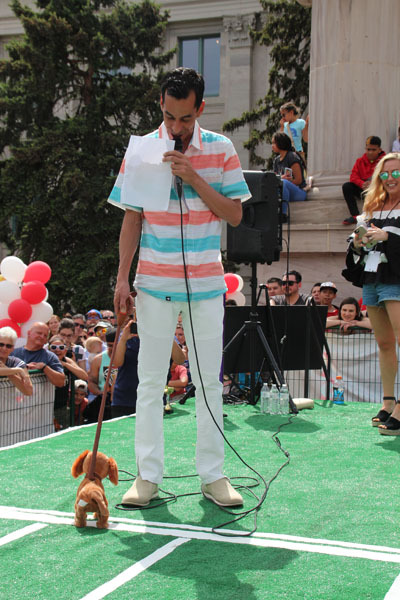 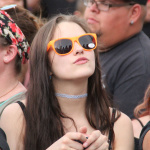 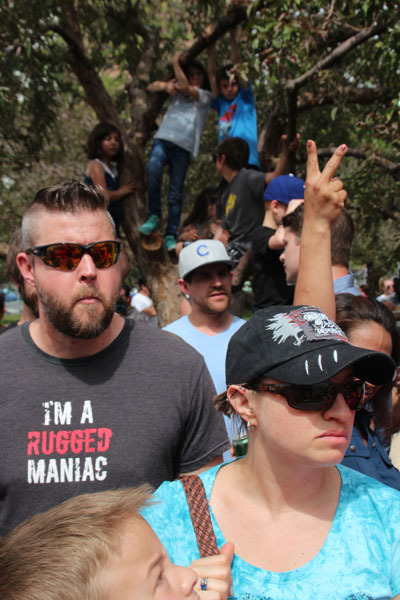 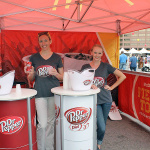 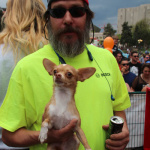 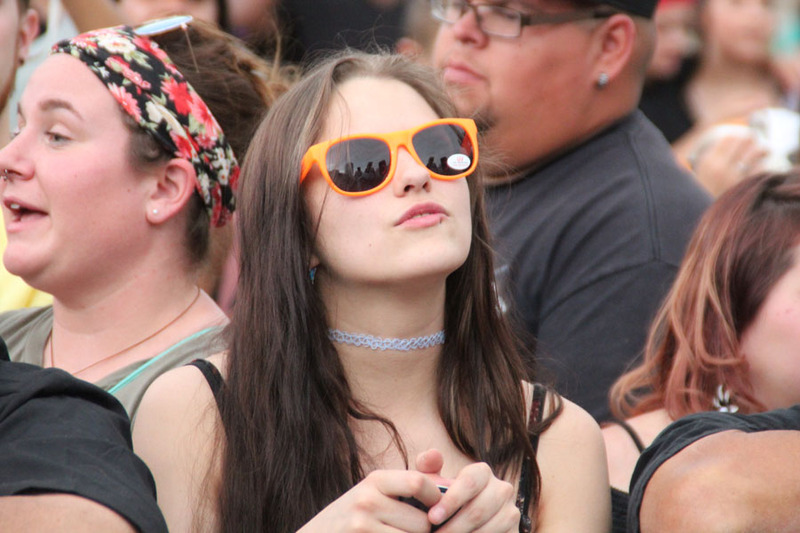 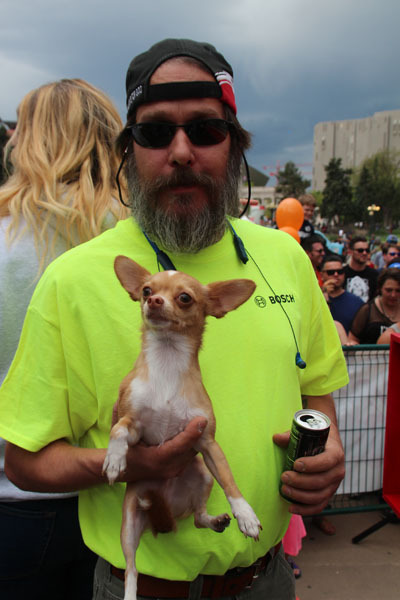 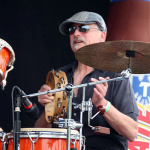 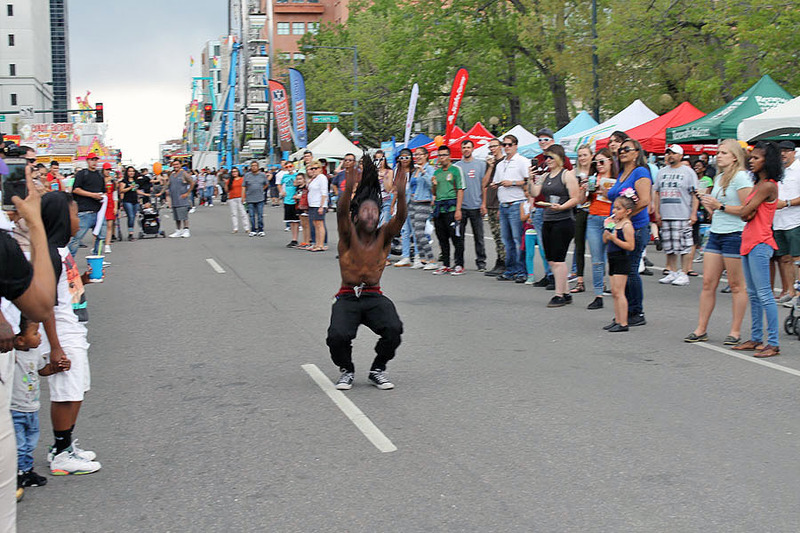 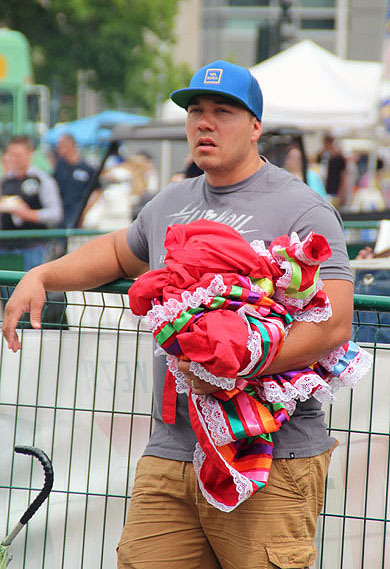 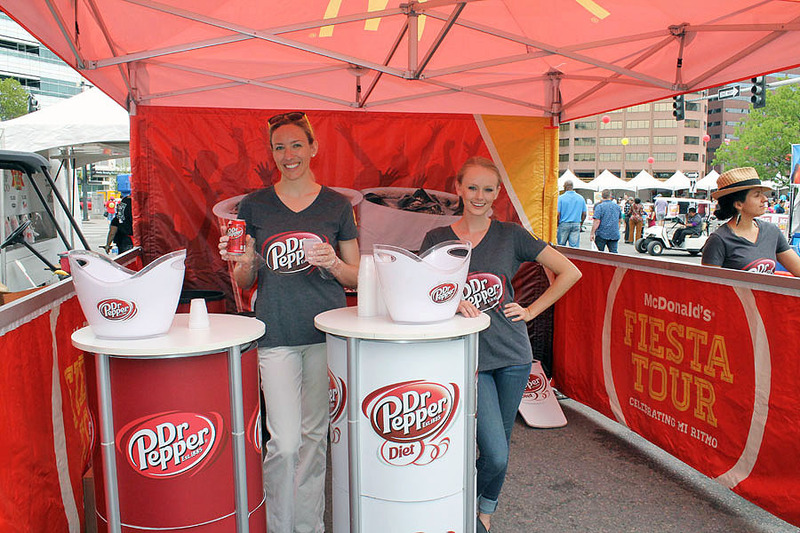 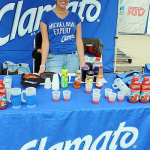 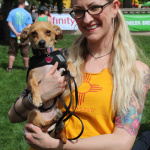 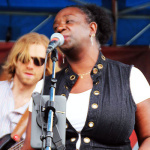 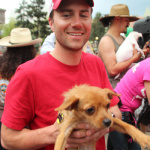 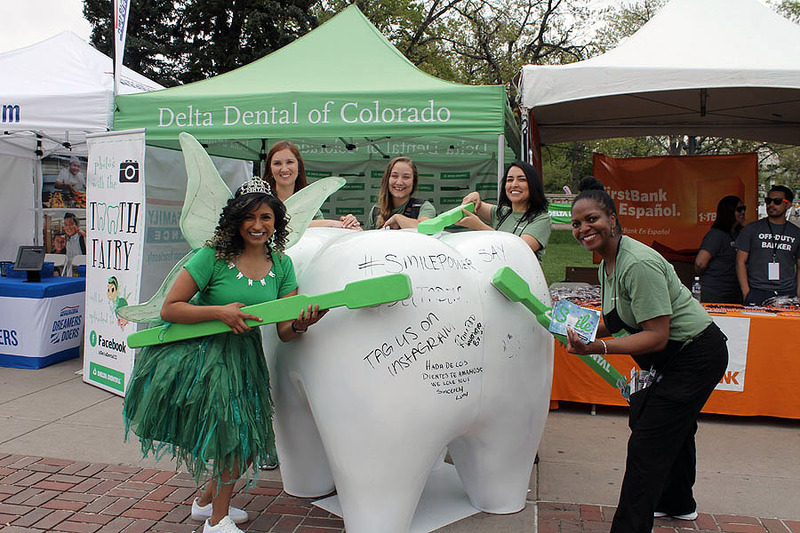 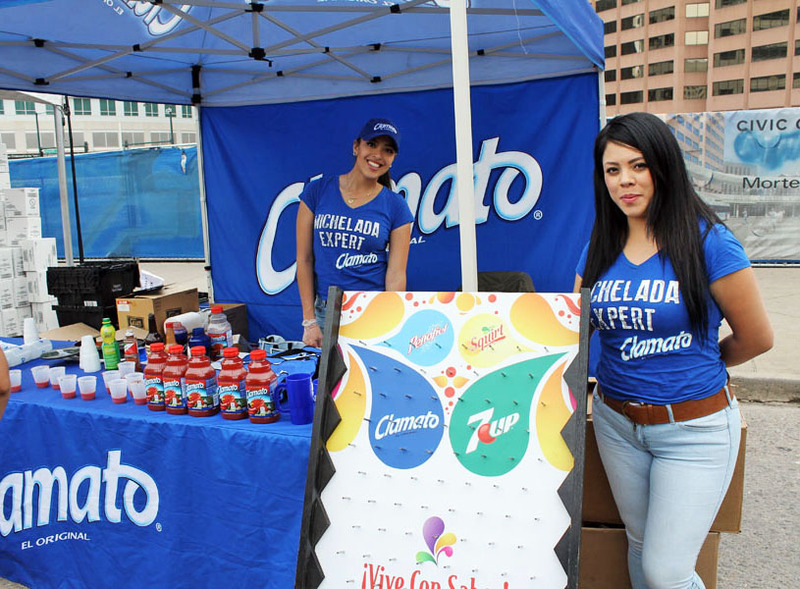 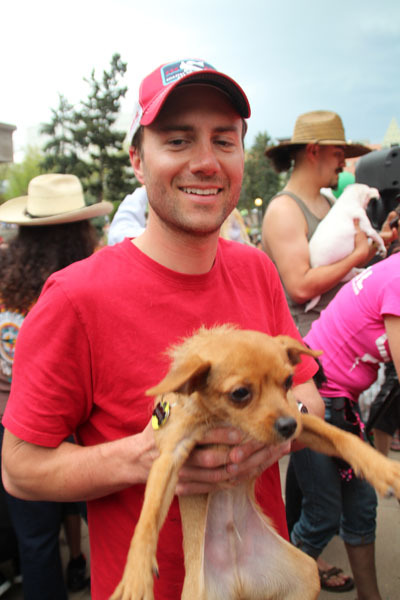 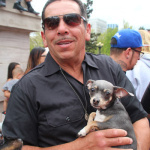 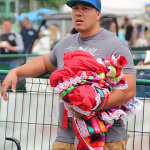 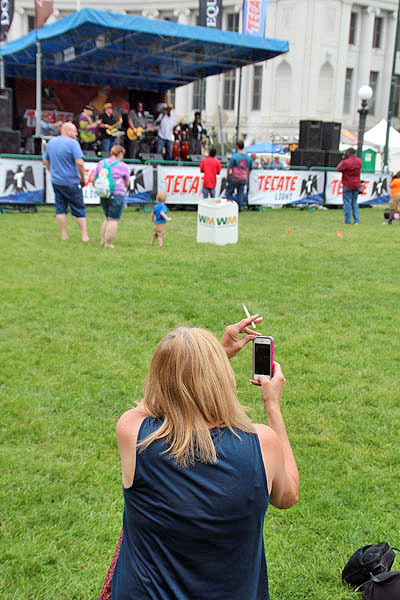 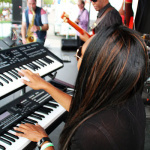 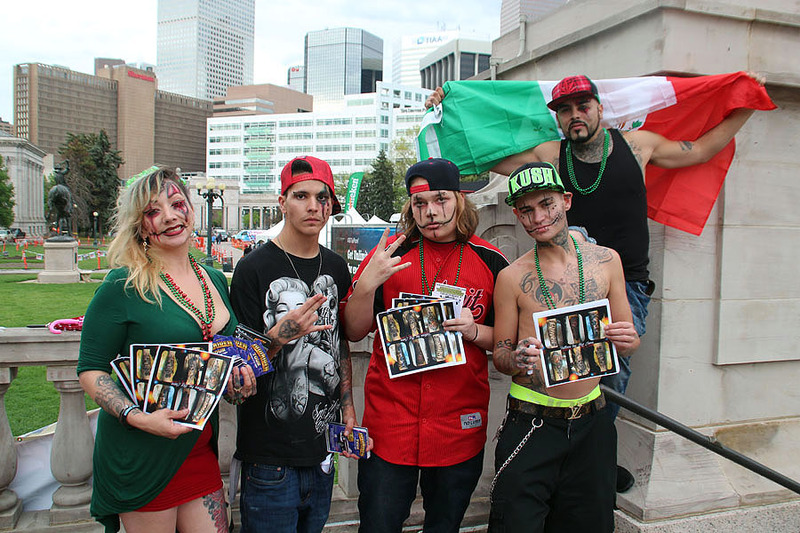 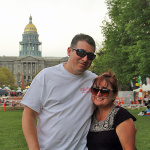 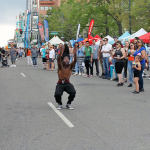 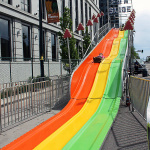 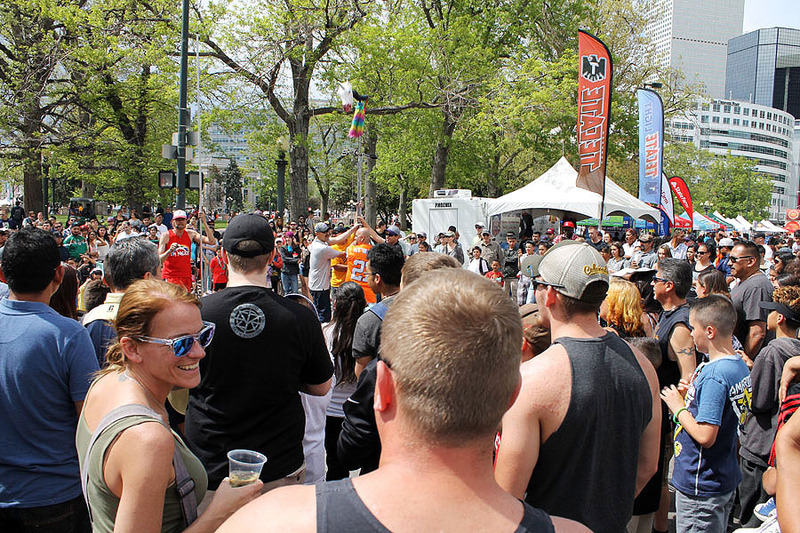 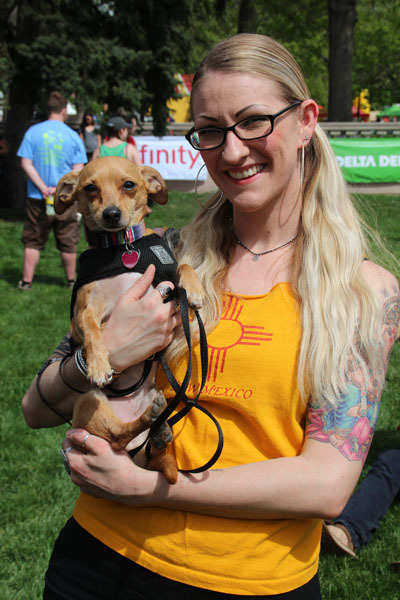 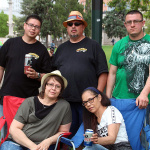 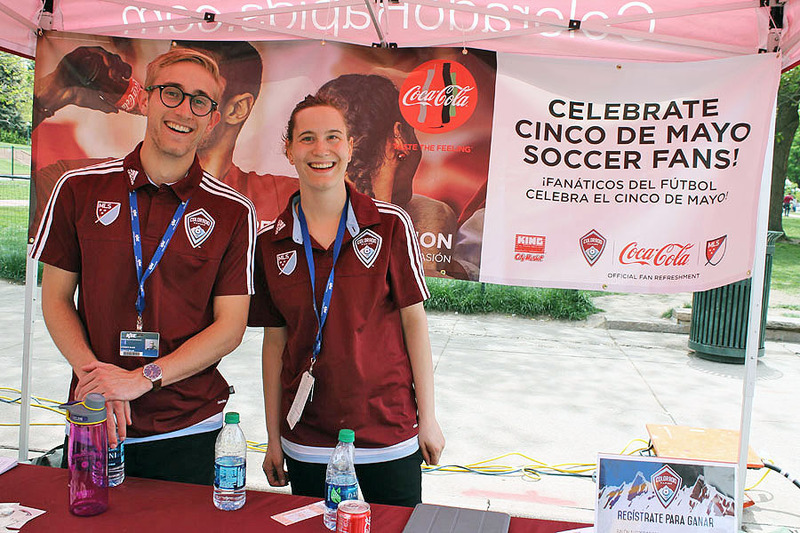 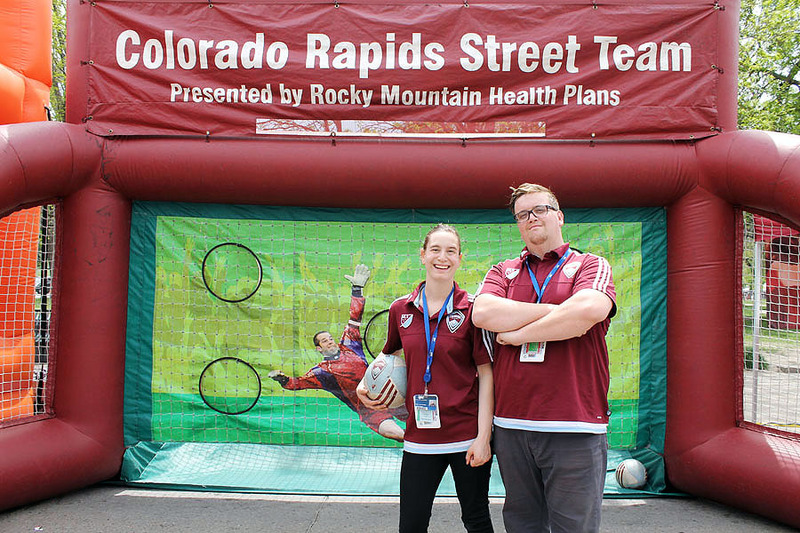 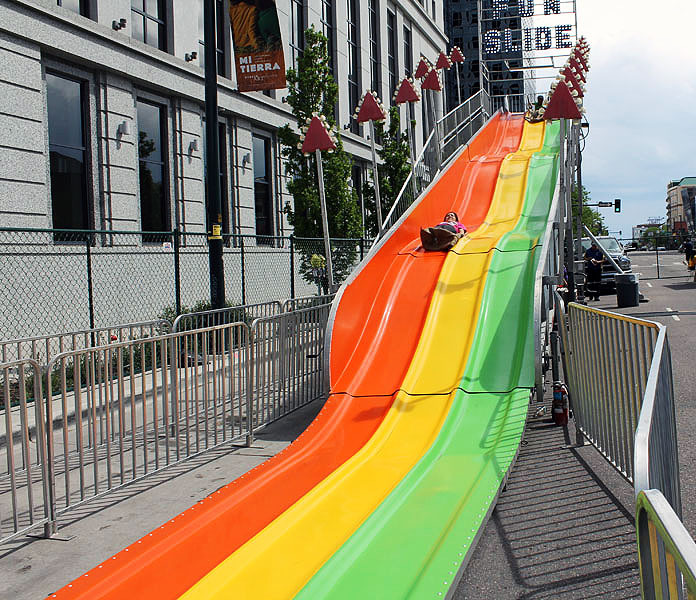 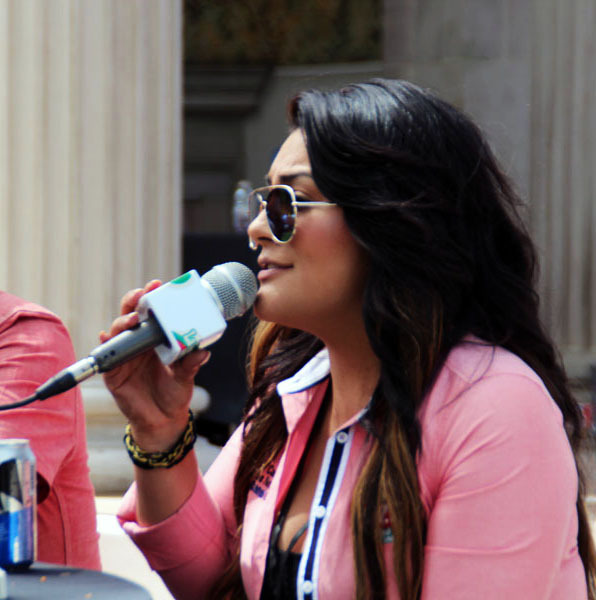 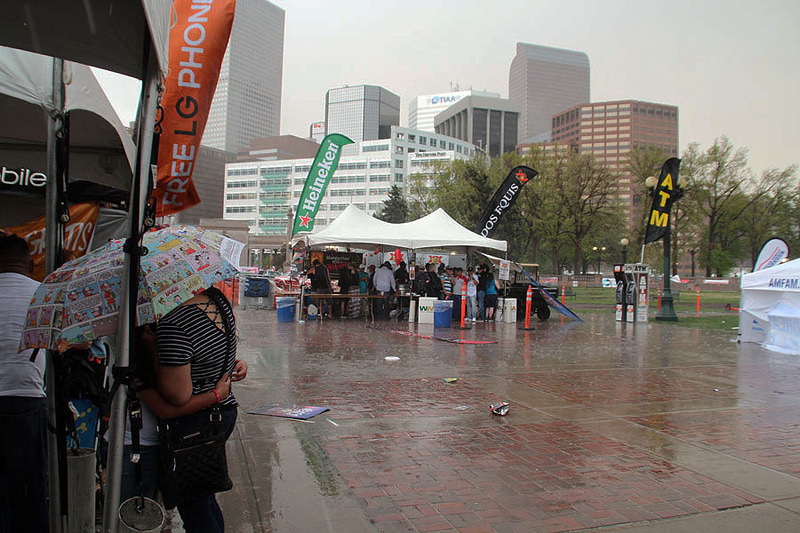 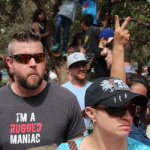 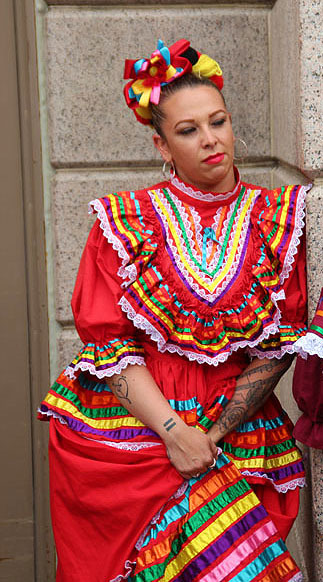 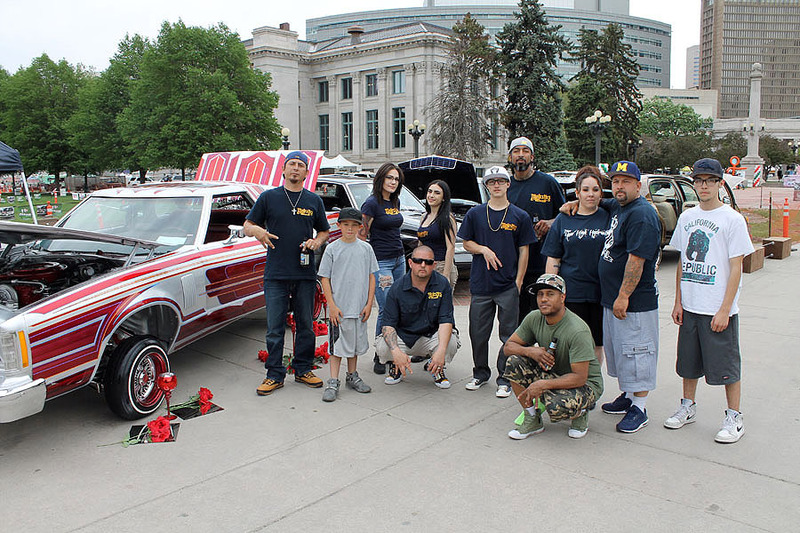 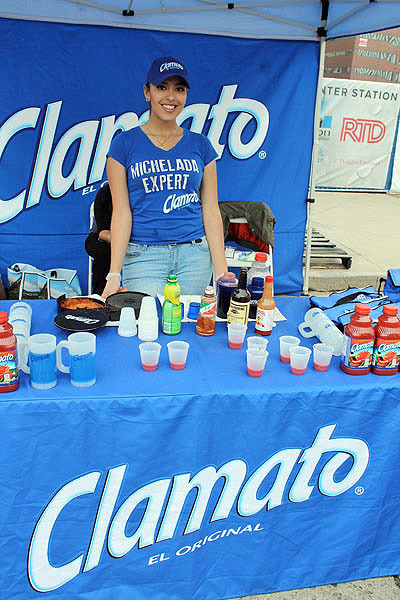 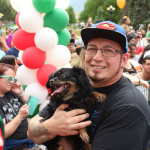 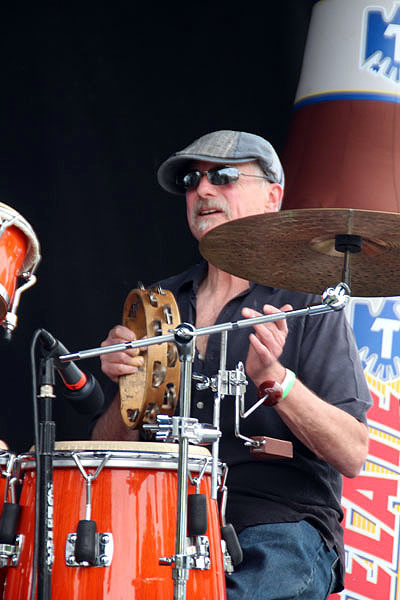 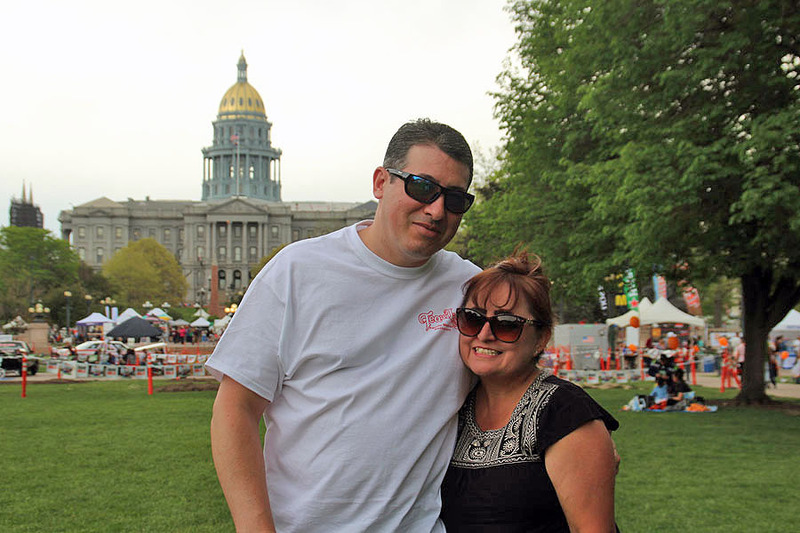 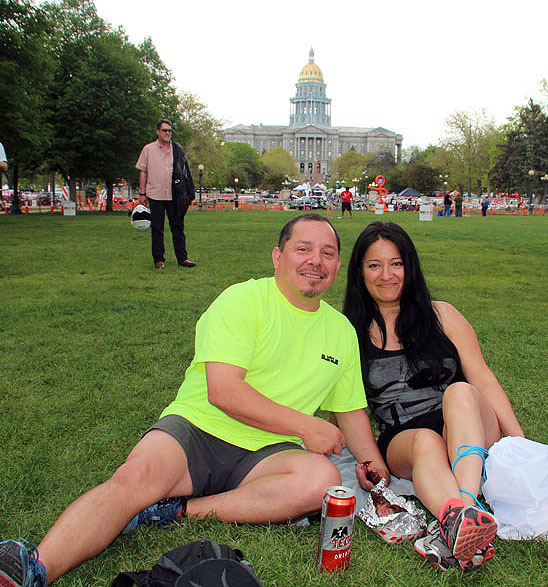 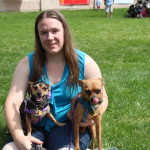 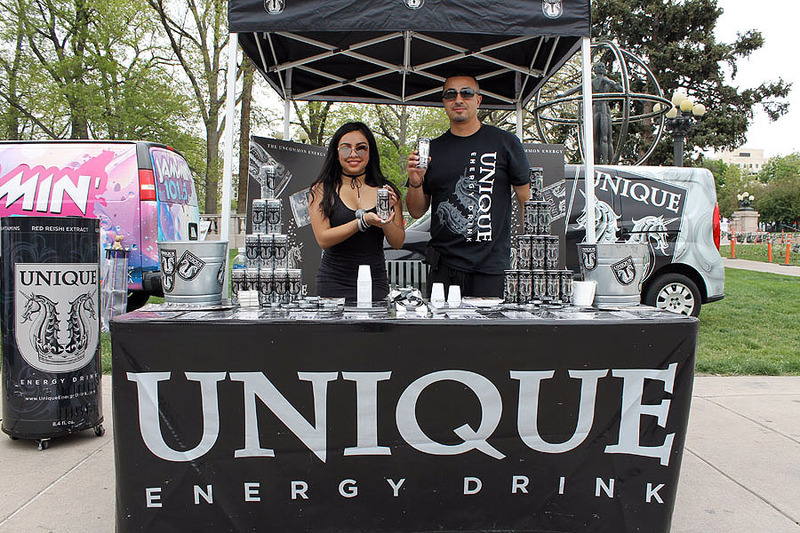 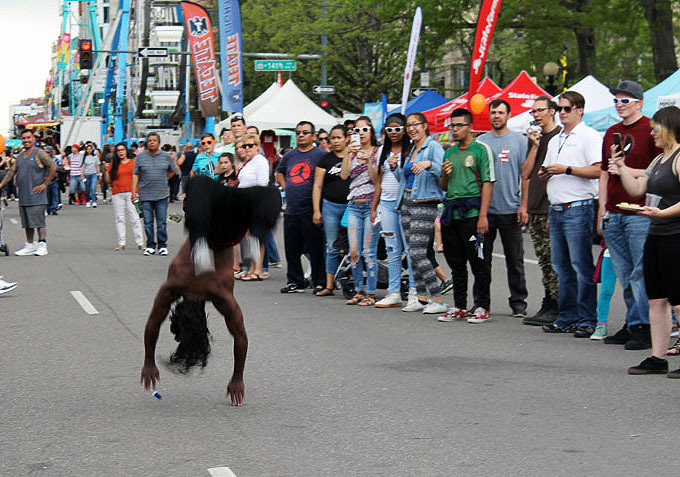 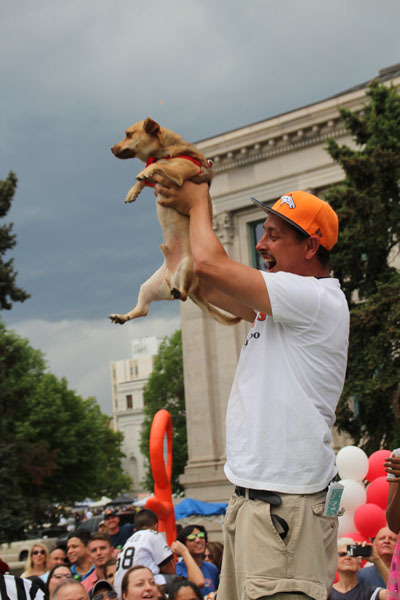 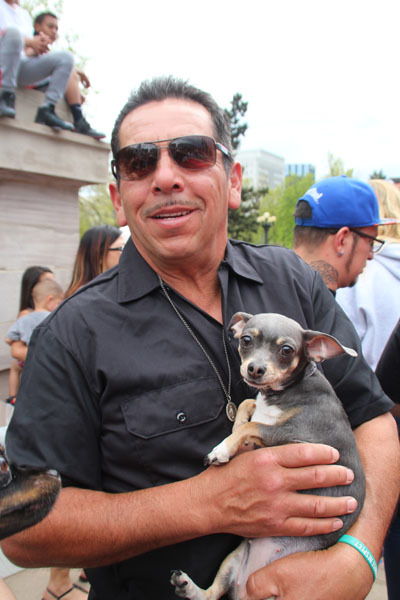 Sunday Was A Fun Day at Denver Cinco de Mayo Until…. 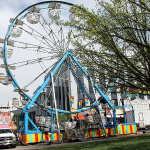 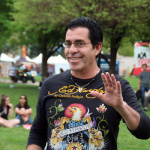 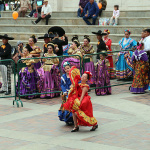 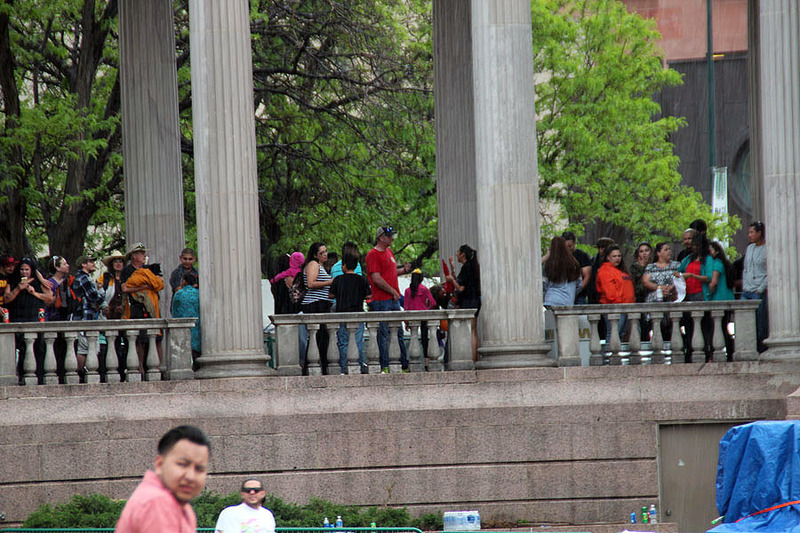 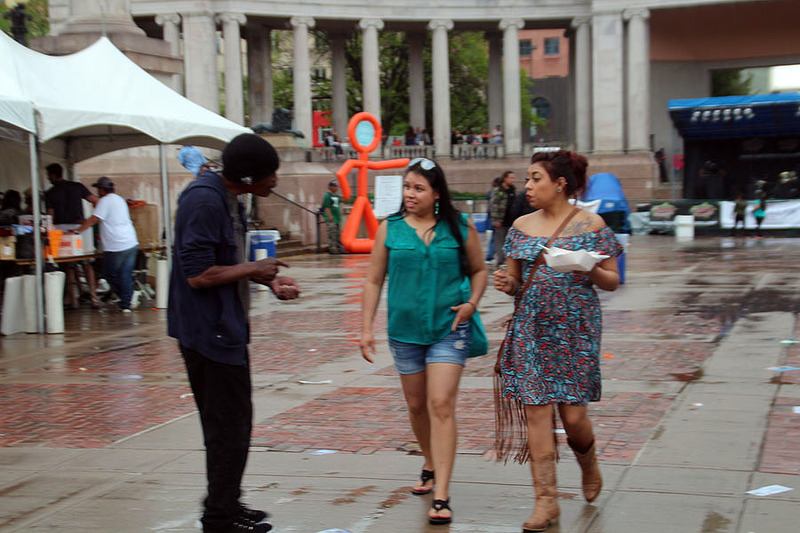 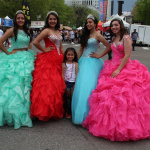 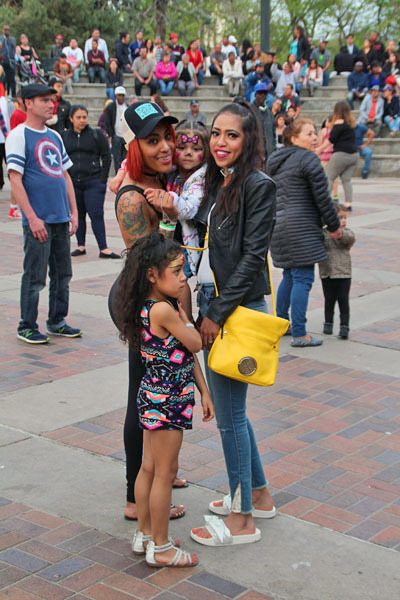 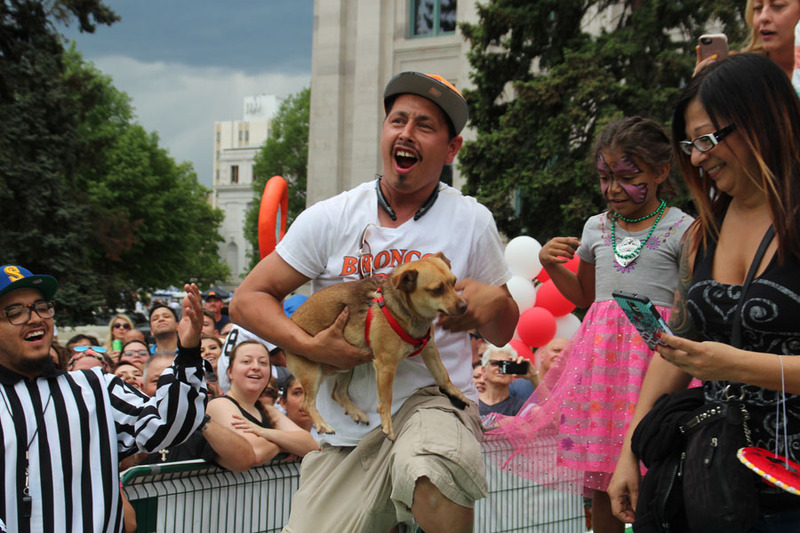 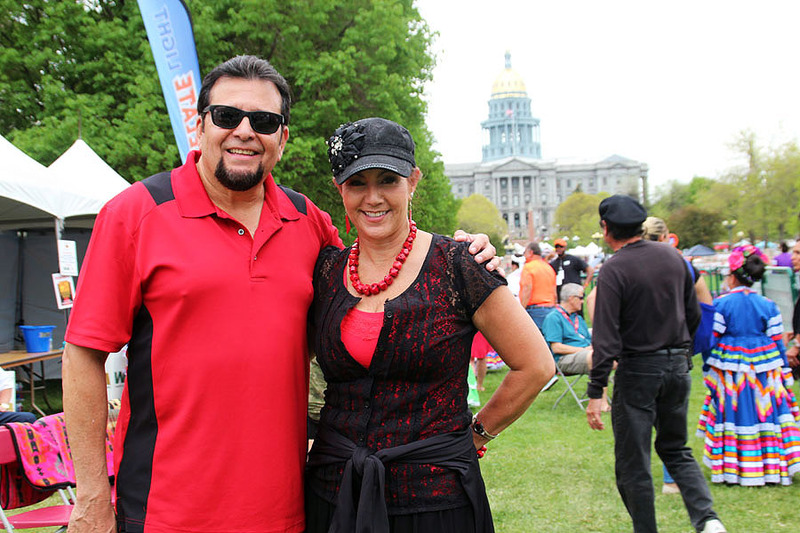 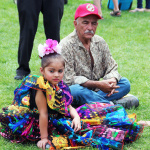 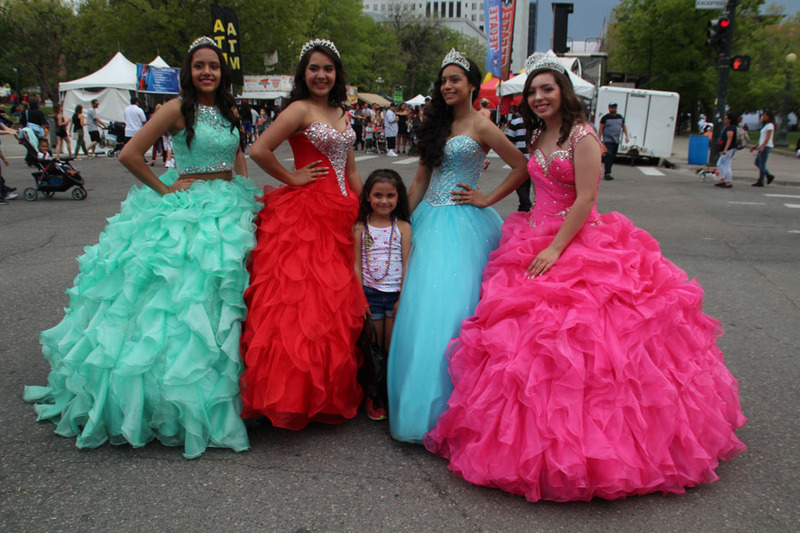 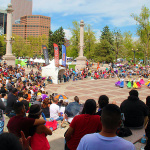 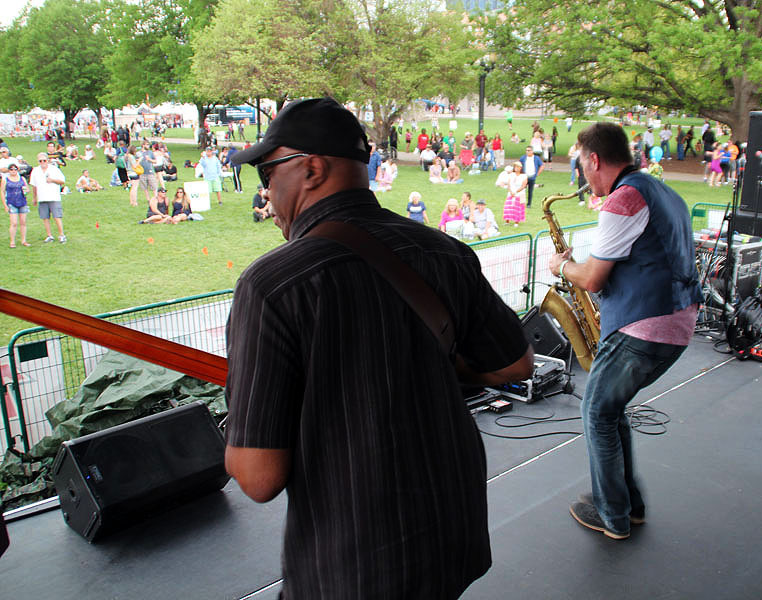 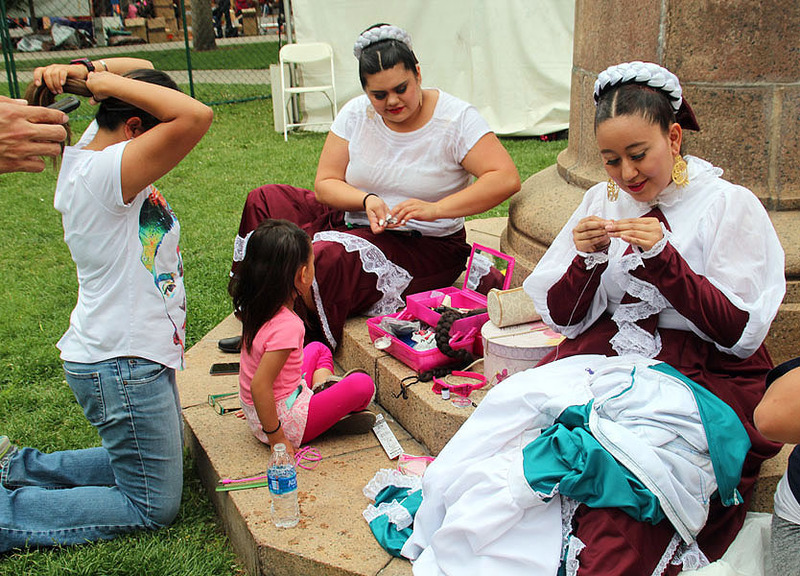 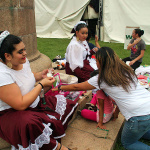 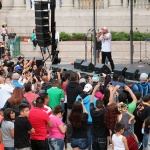 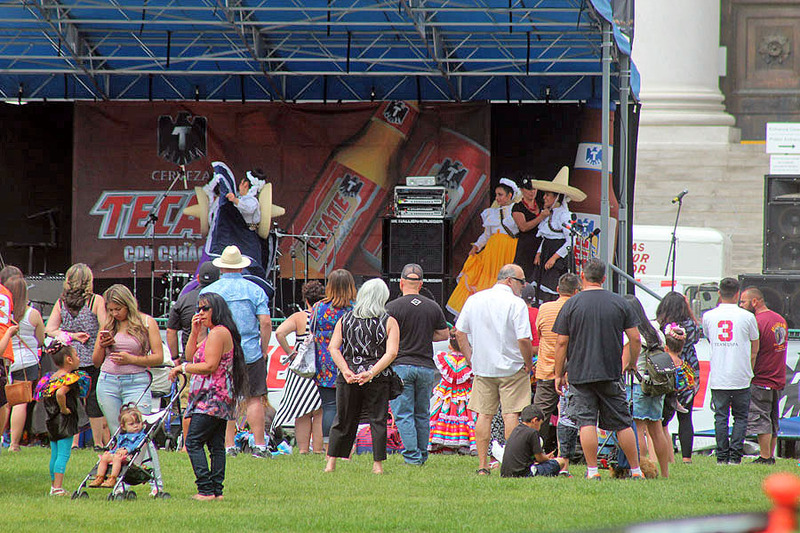 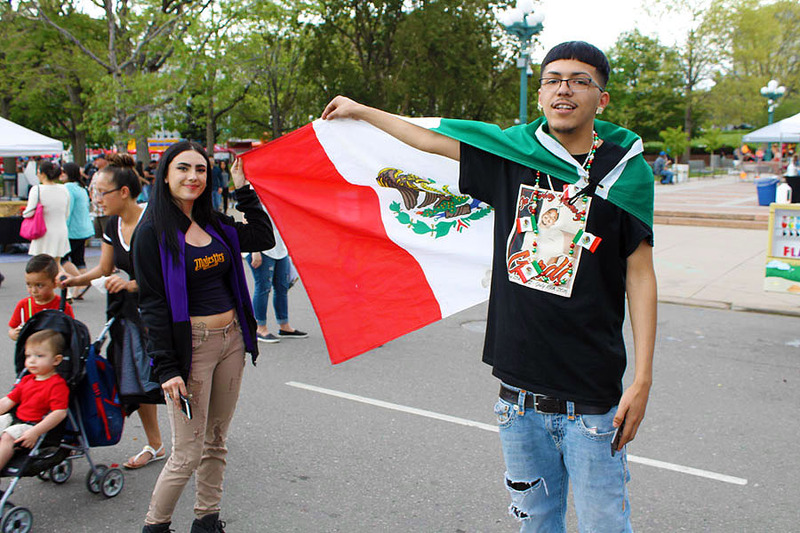 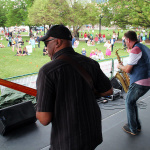 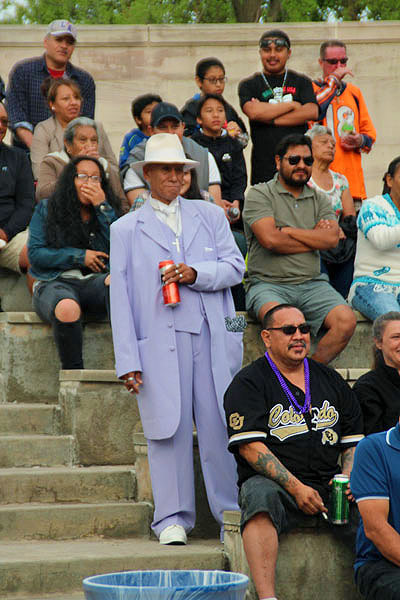 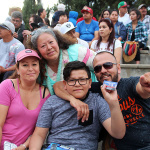 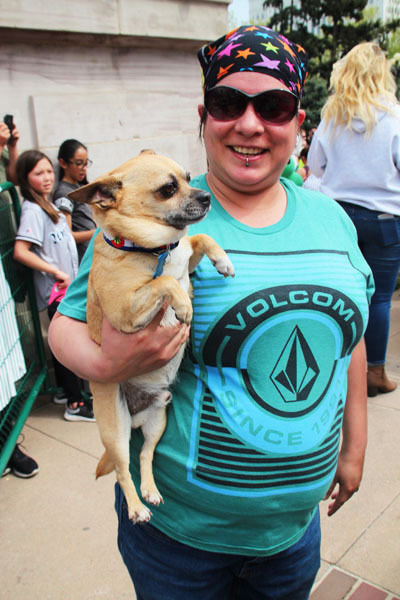 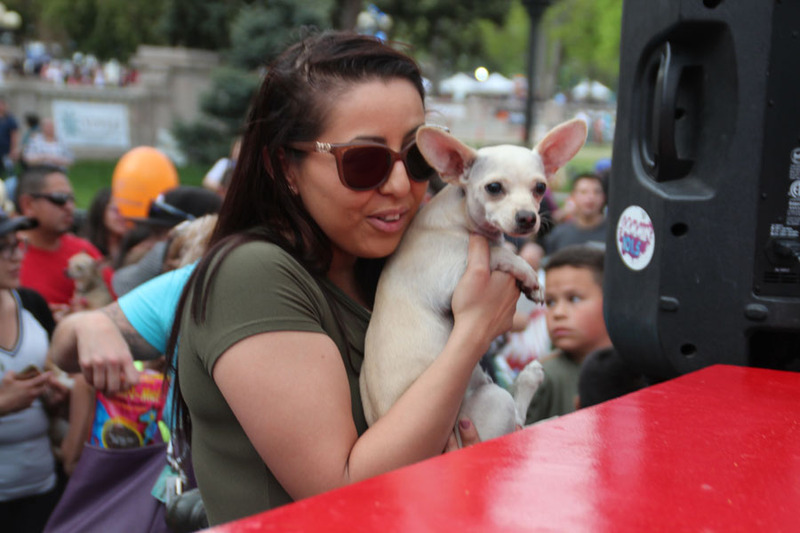 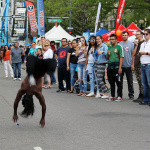 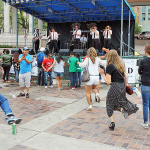 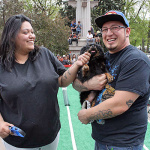 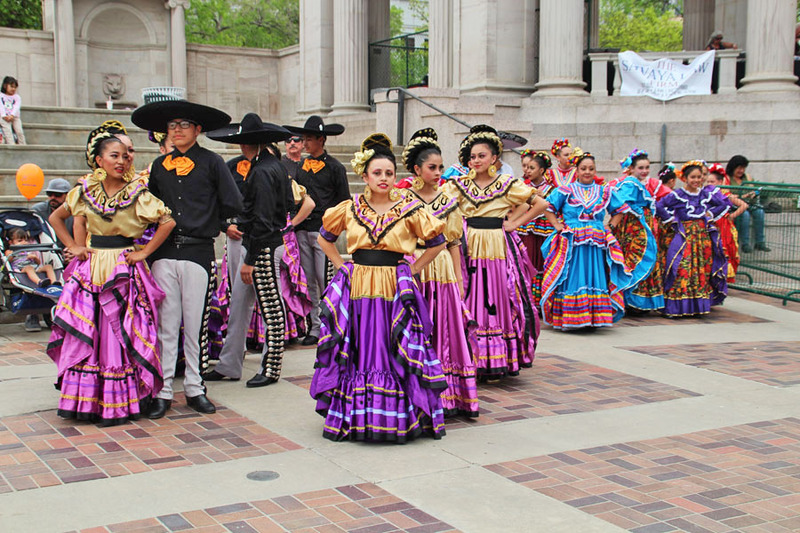 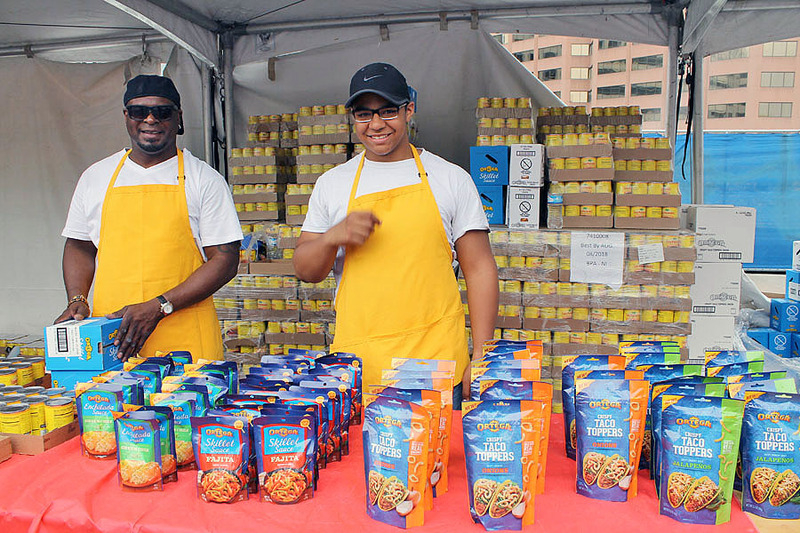 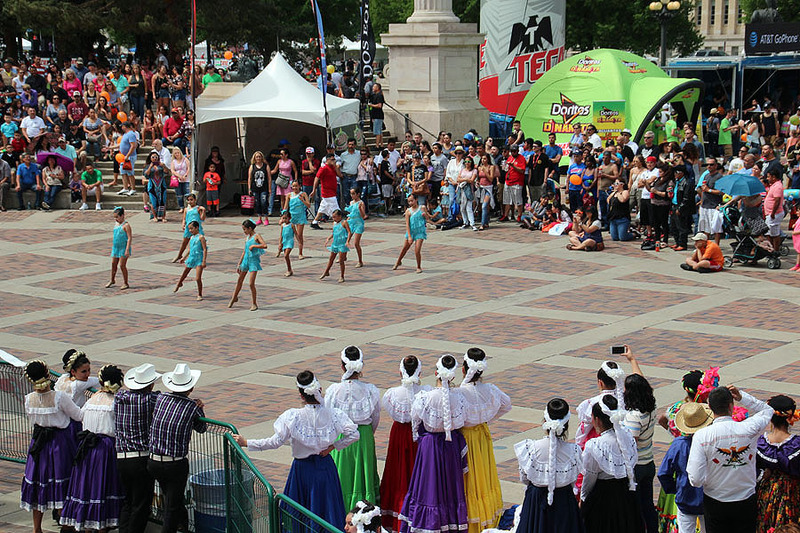 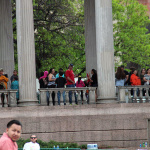 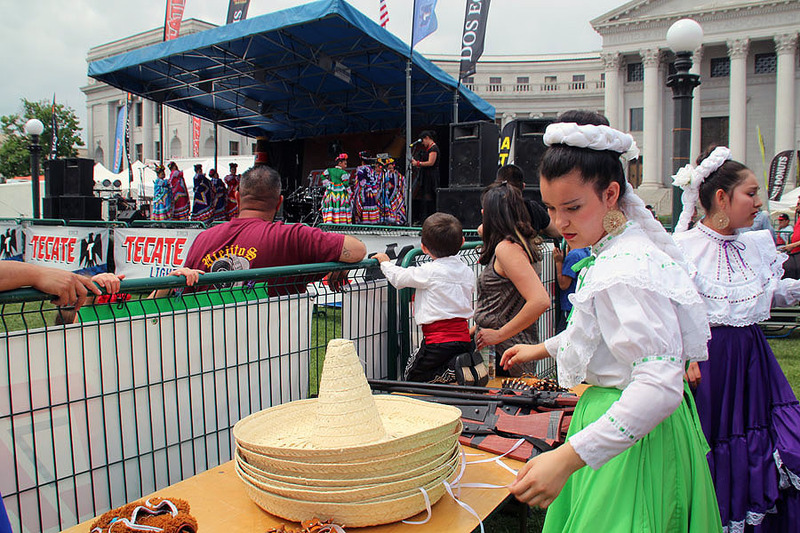 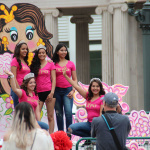 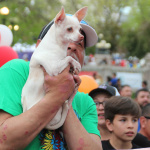 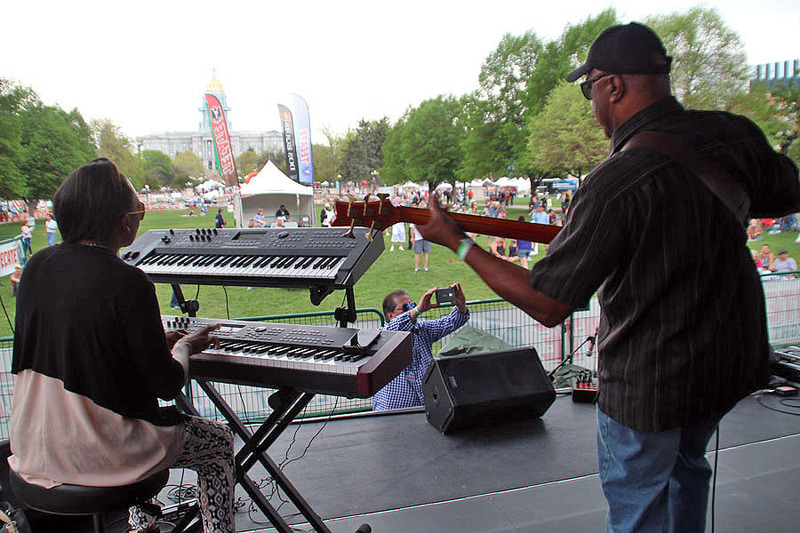 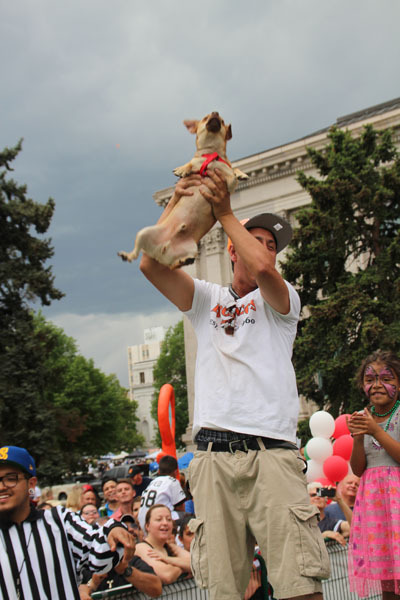 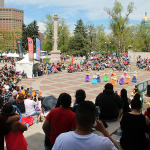 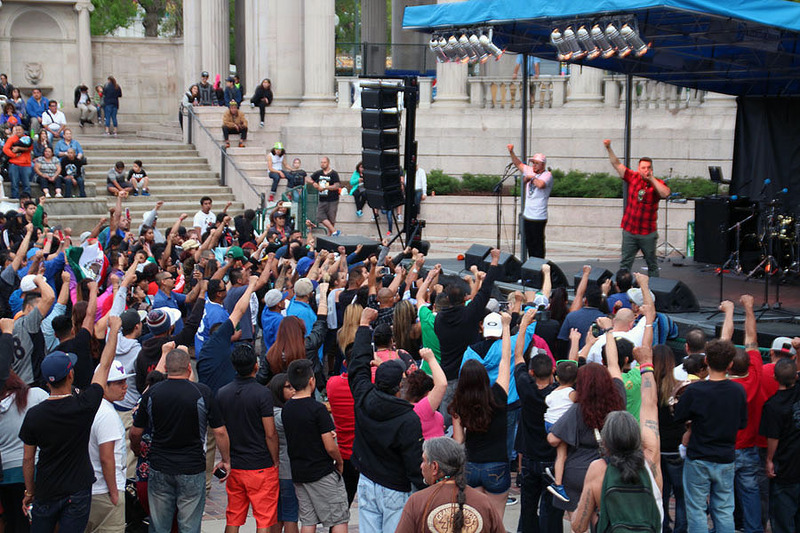 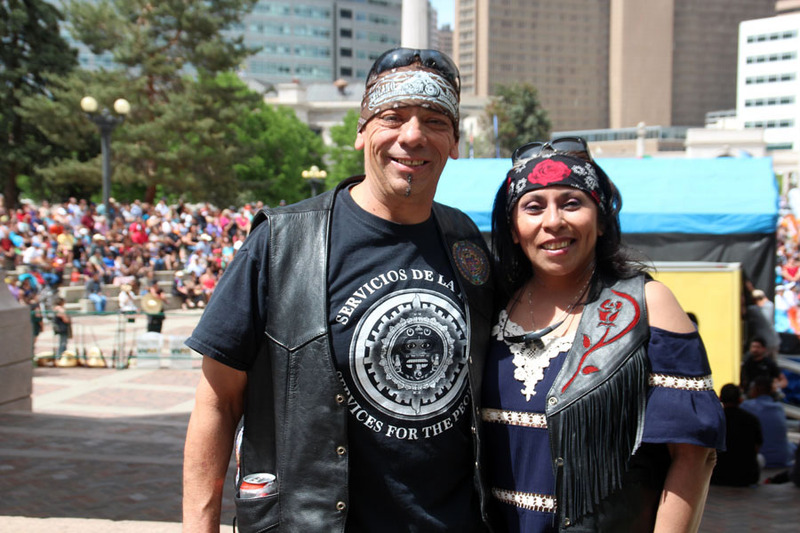 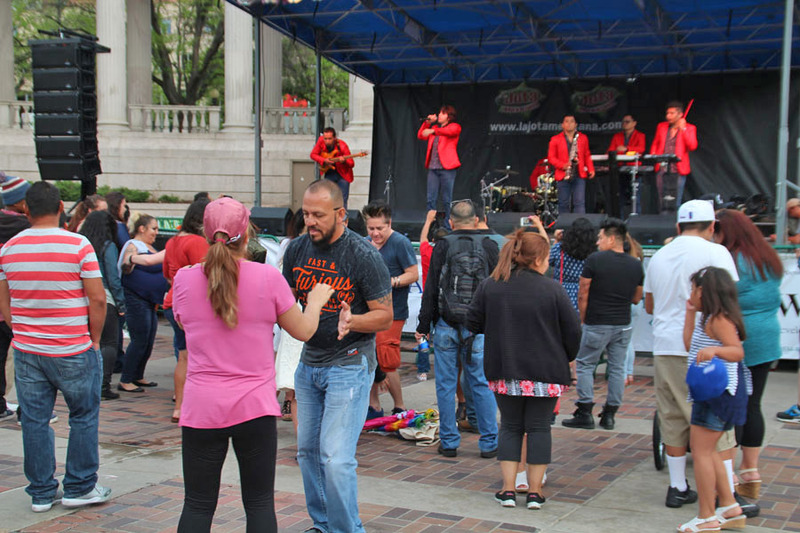 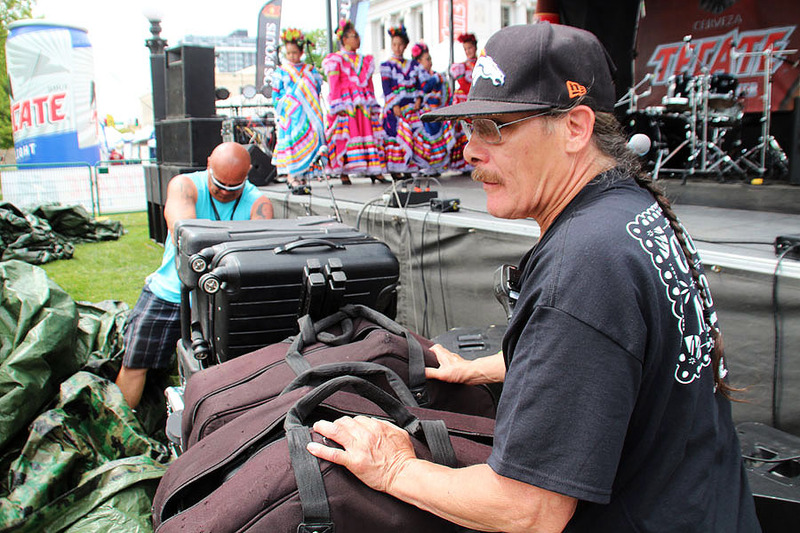 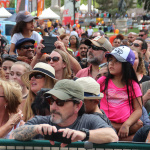 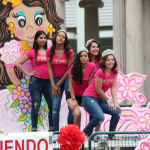 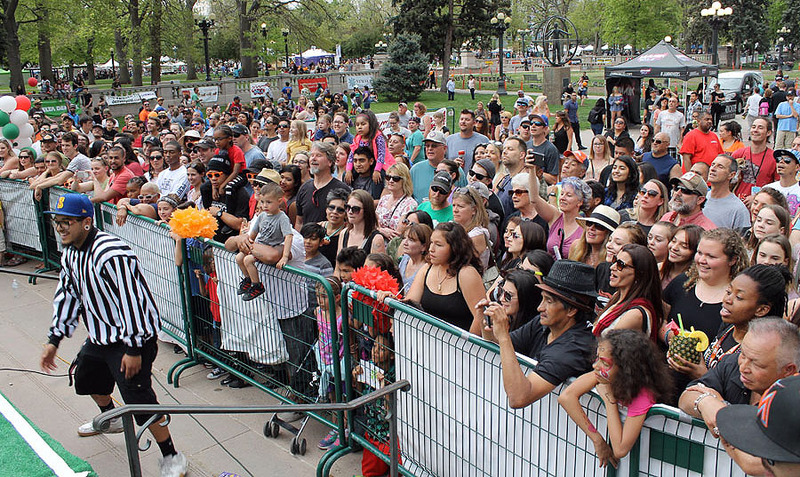 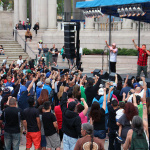 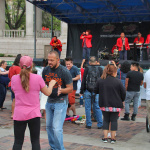 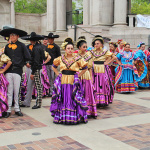 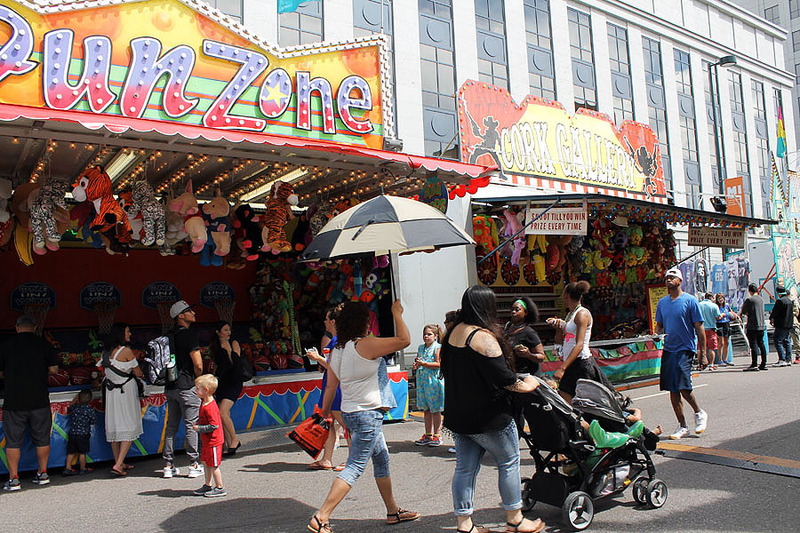 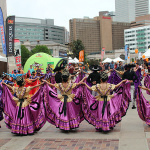 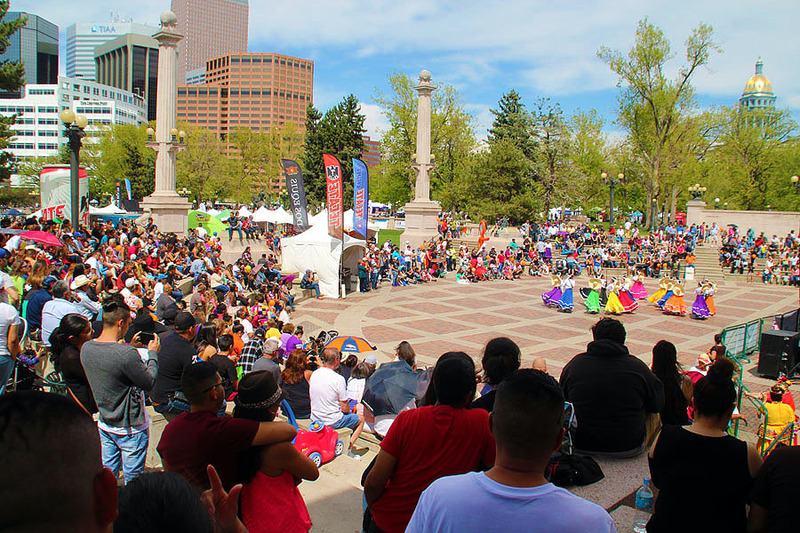 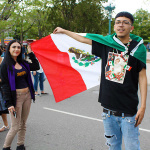 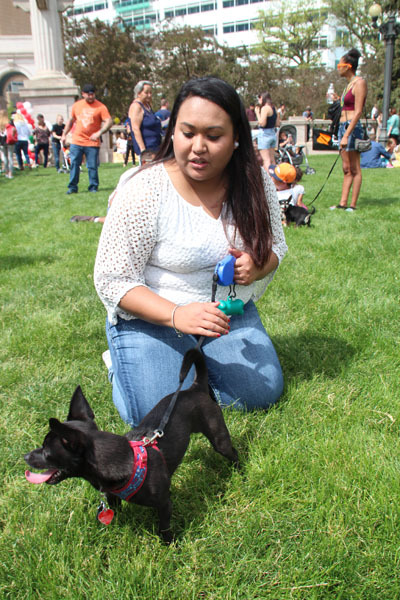 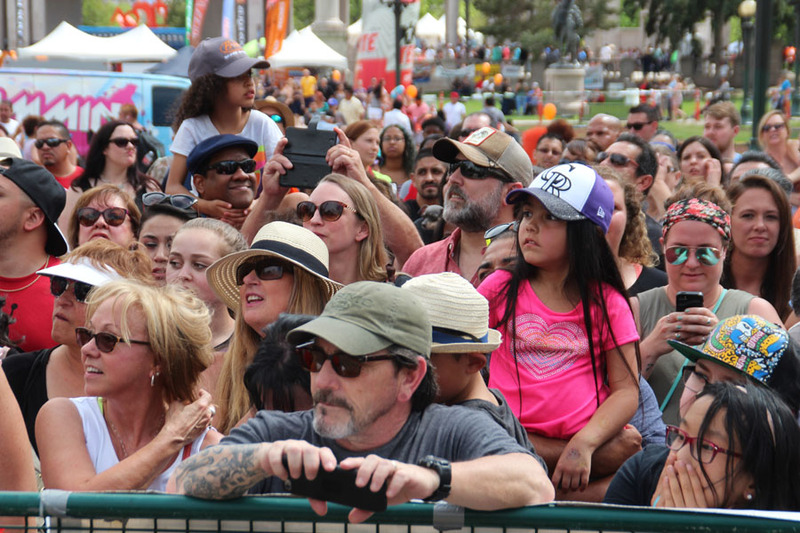 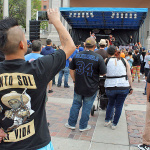 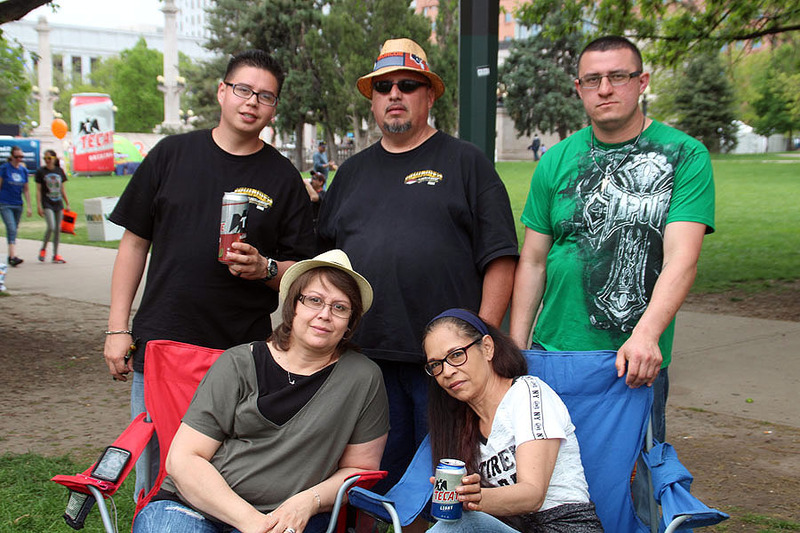 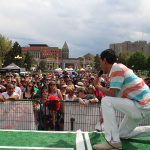 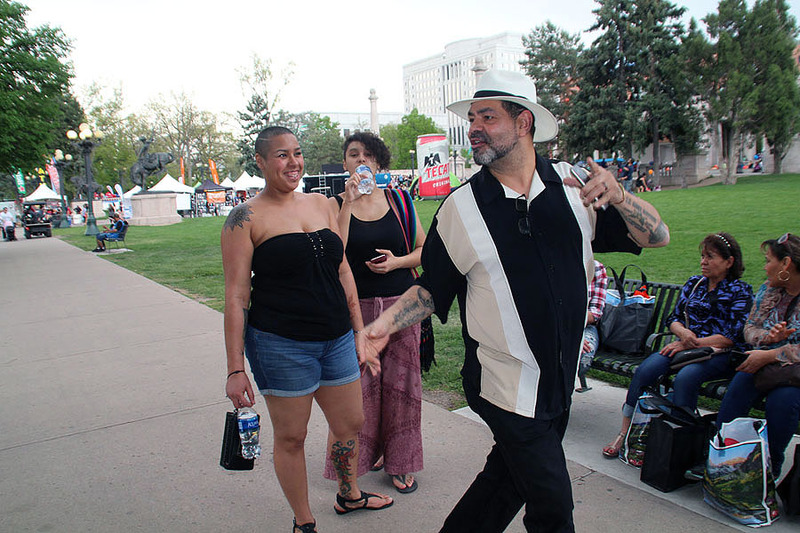 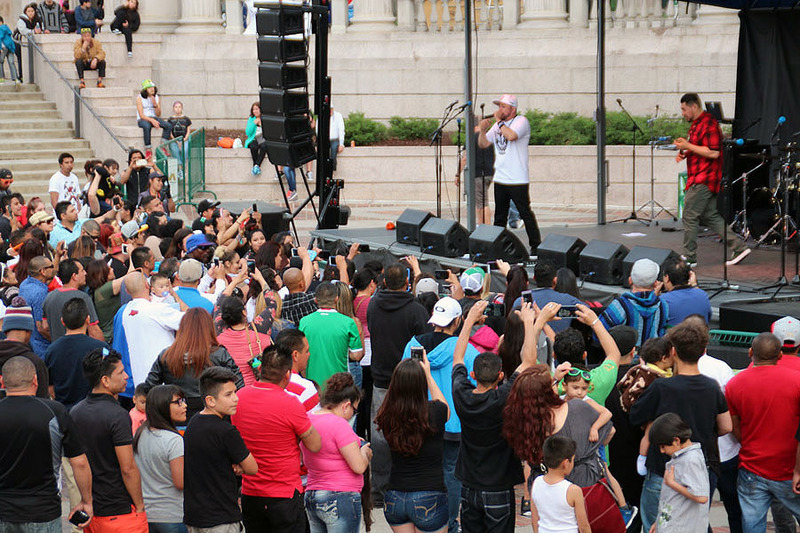 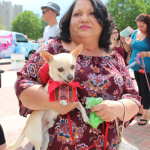 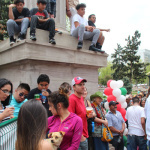 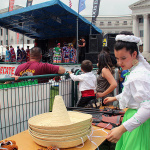 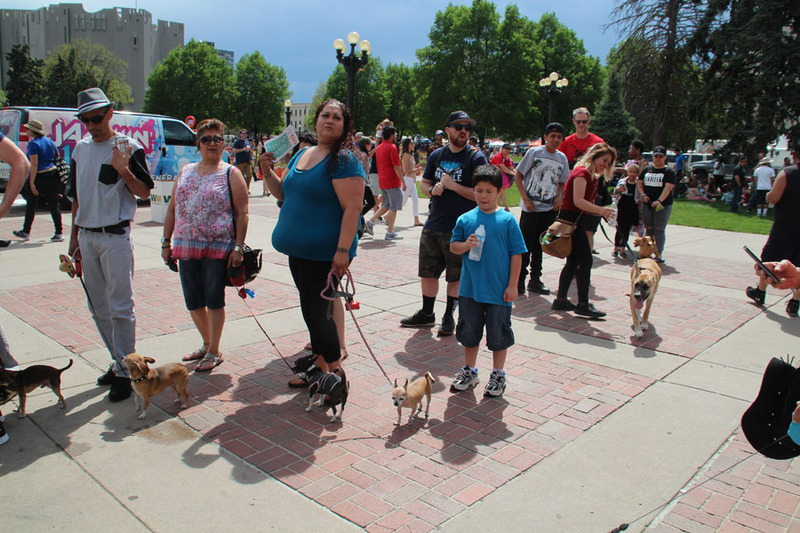 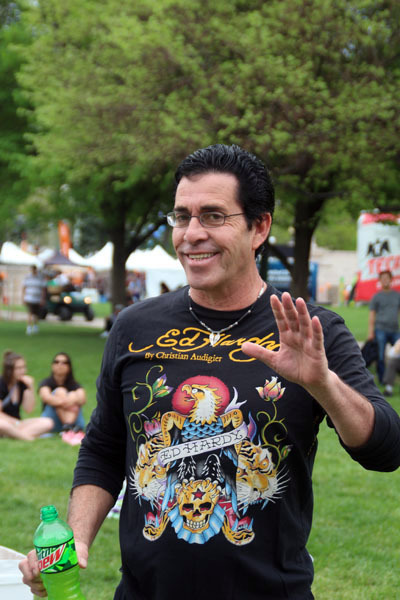 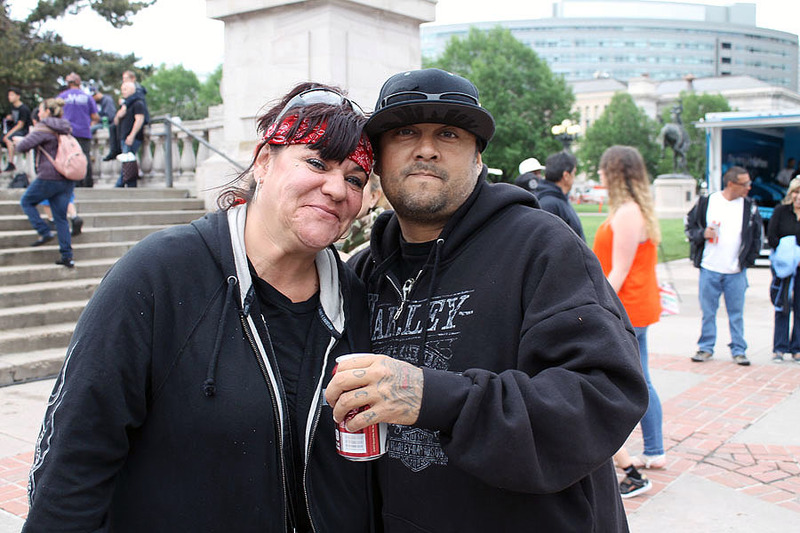 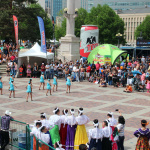 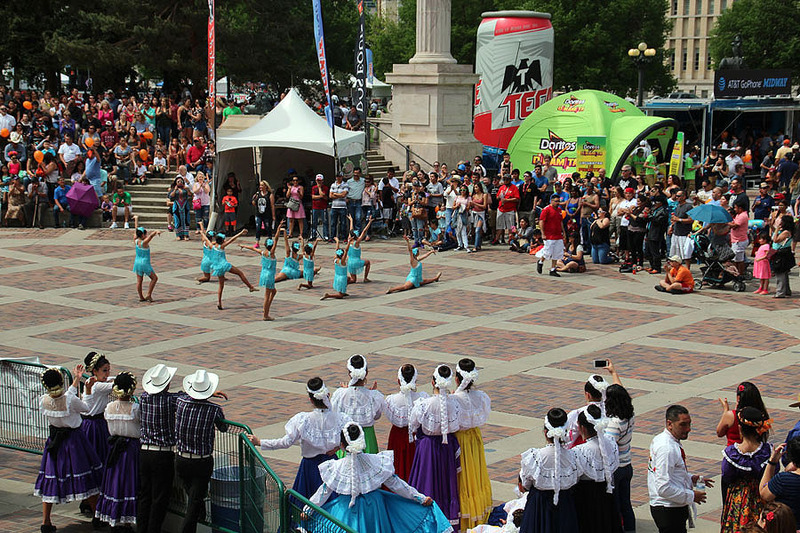 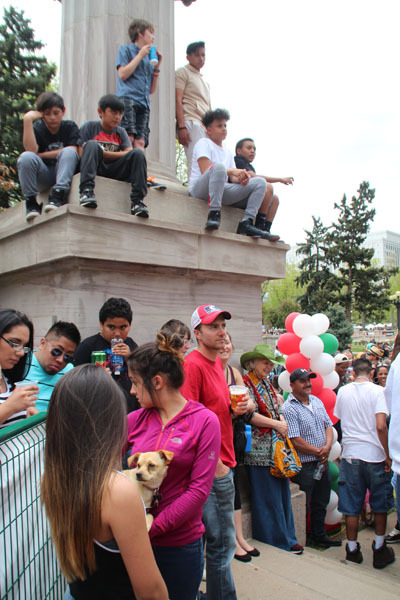 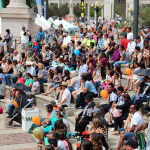 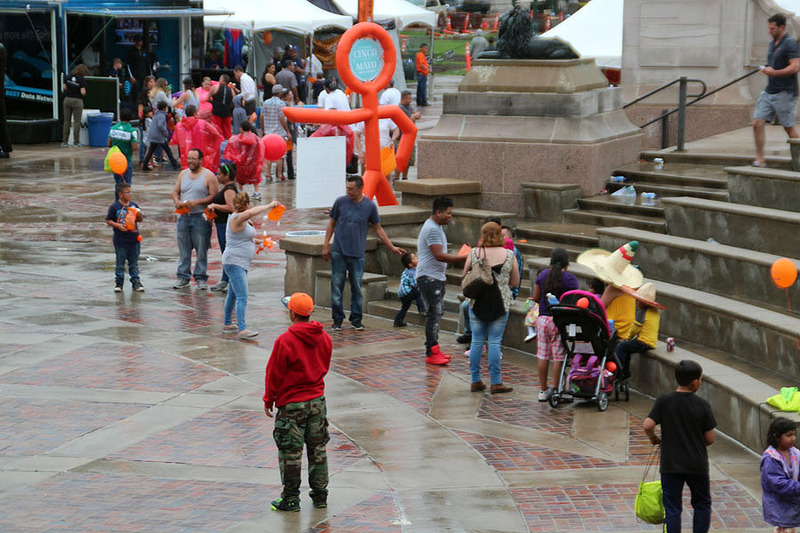 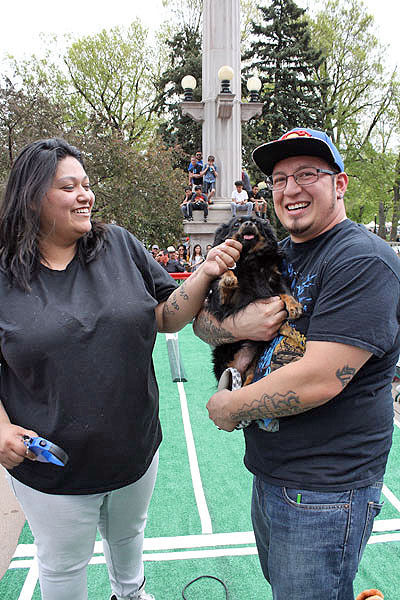 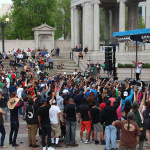 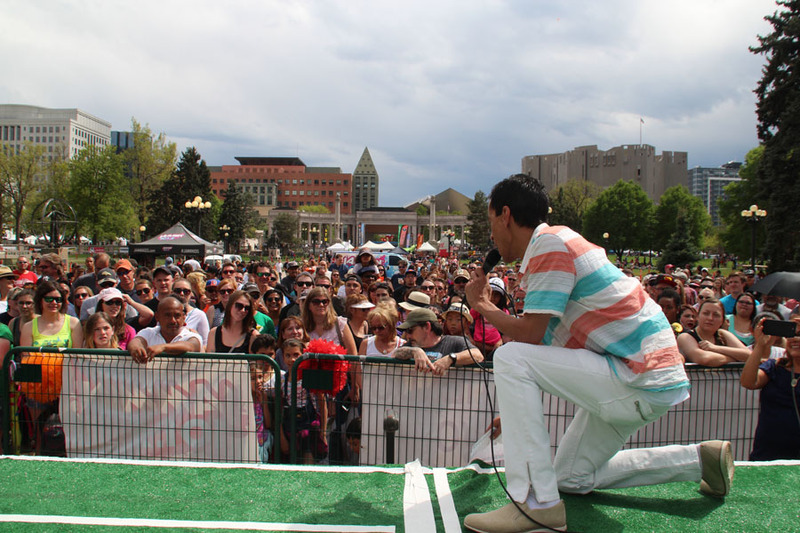 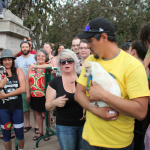 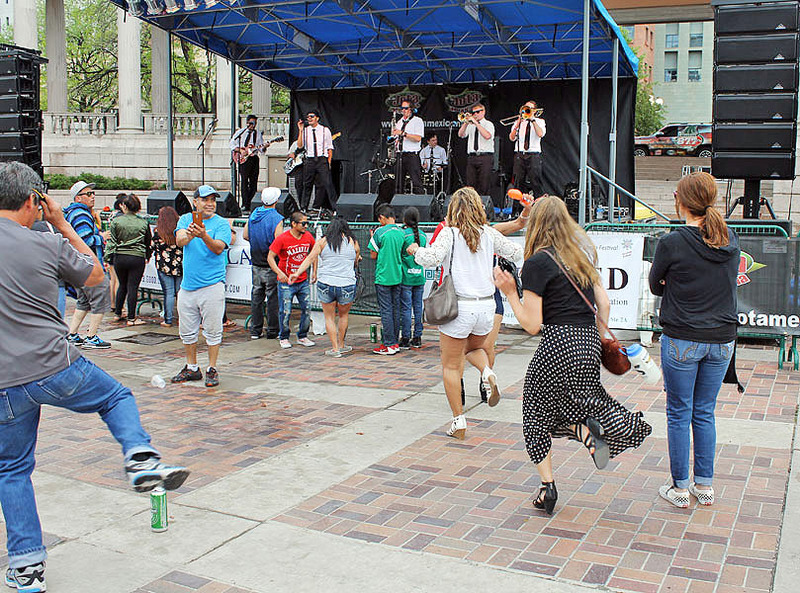 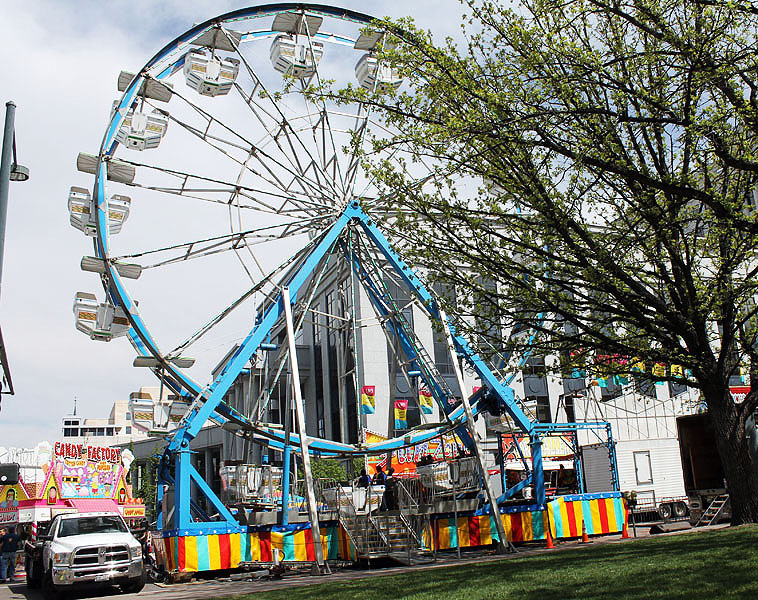 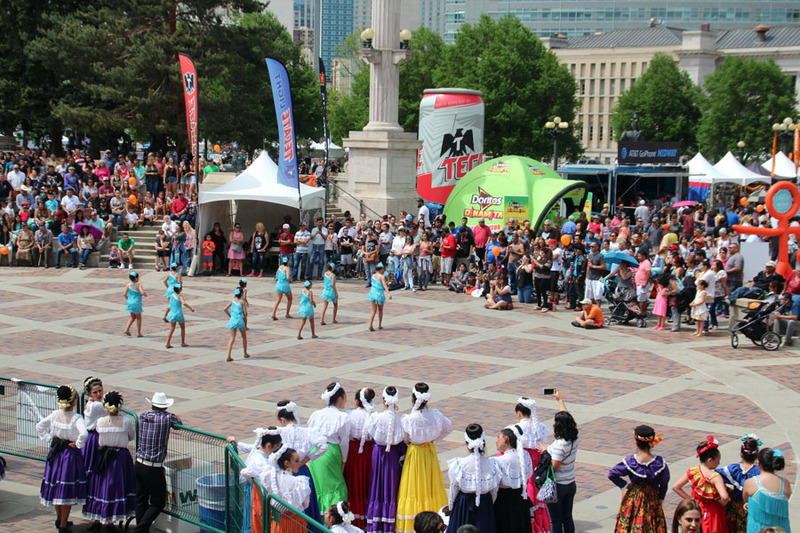 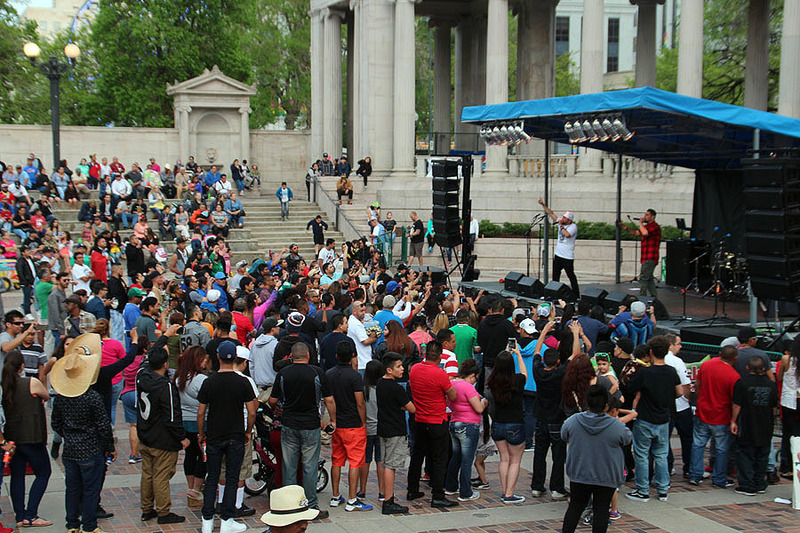 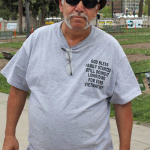 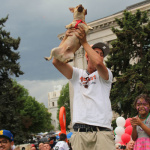 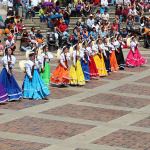 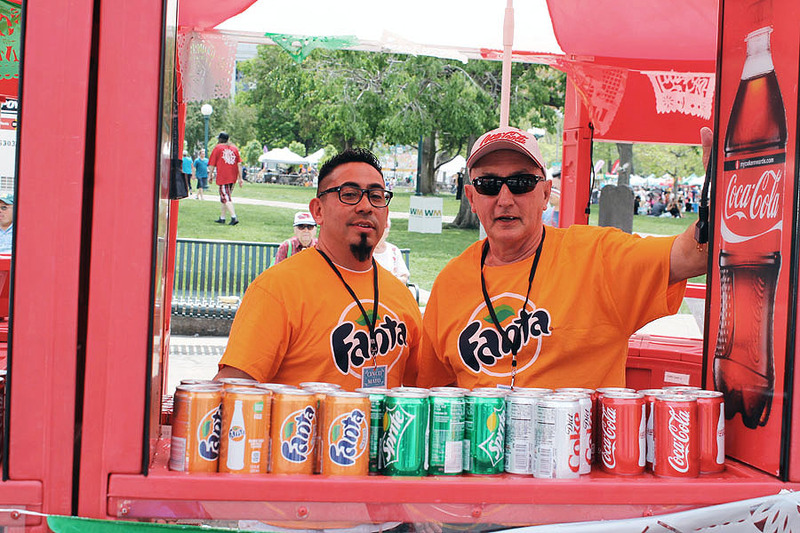 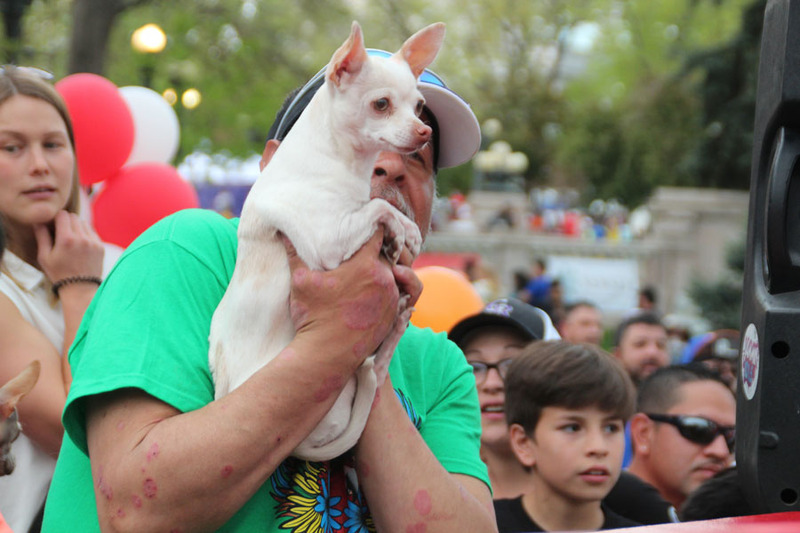 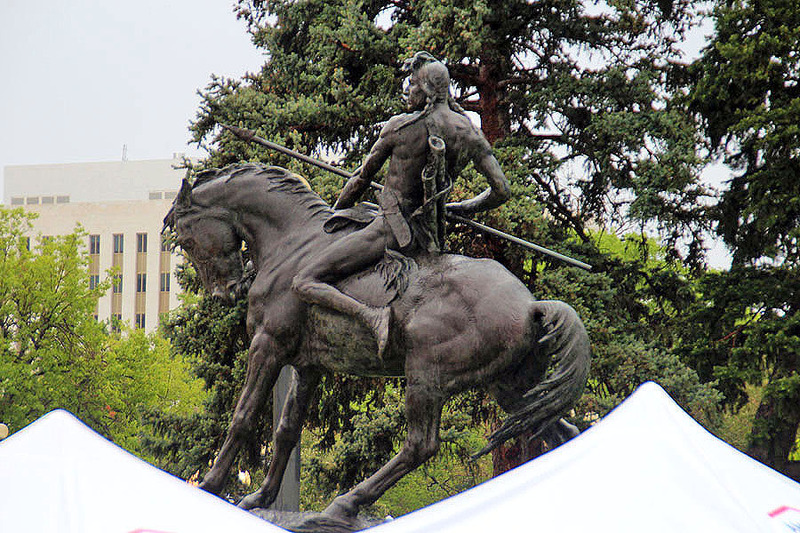 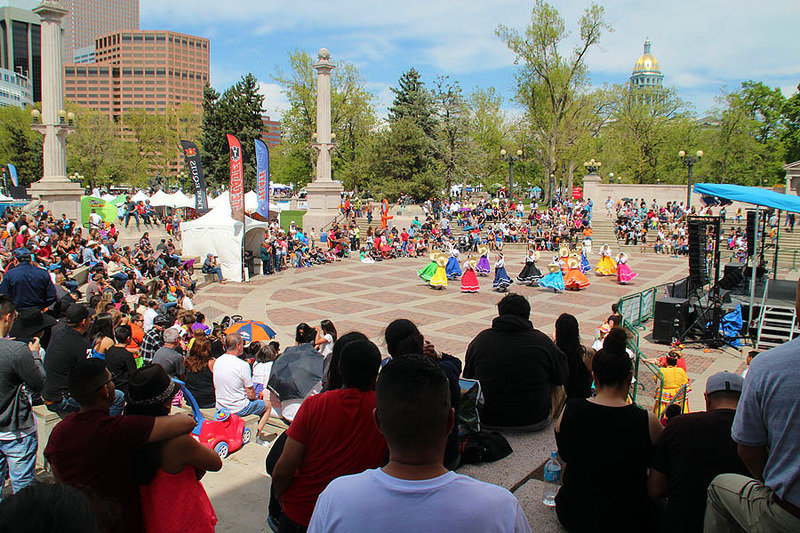 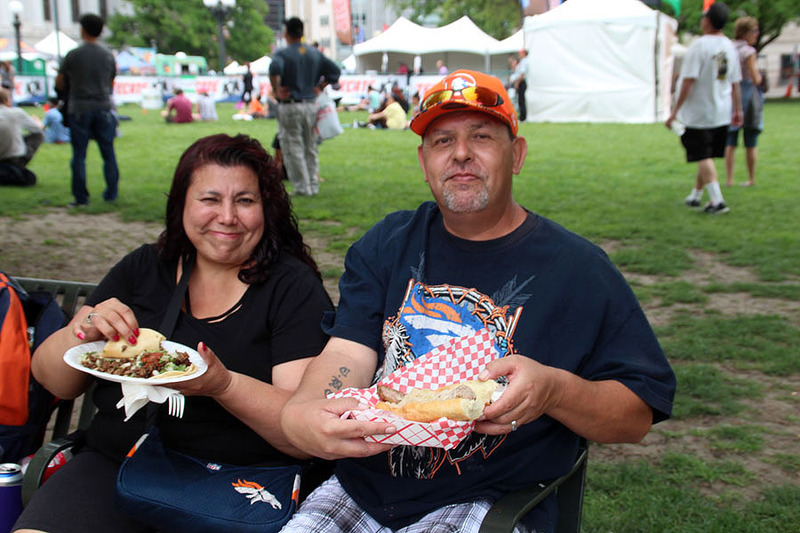 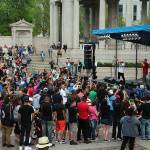 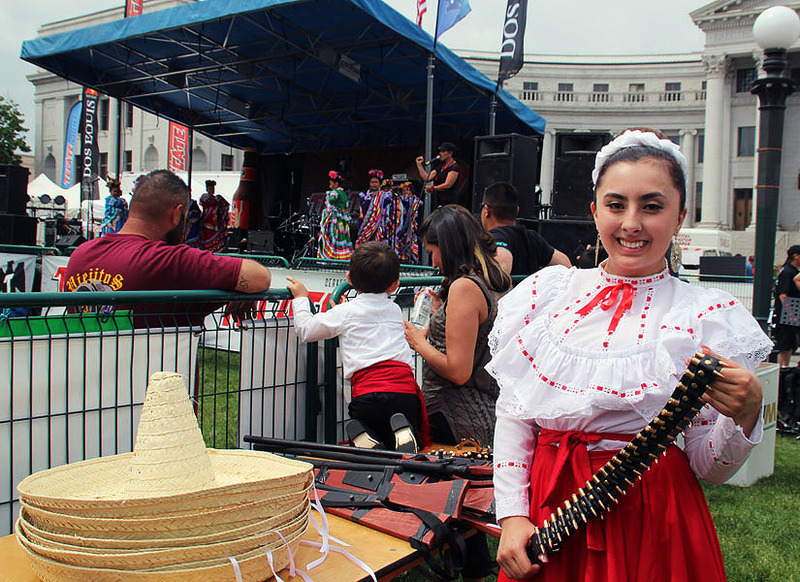 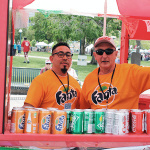 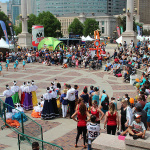 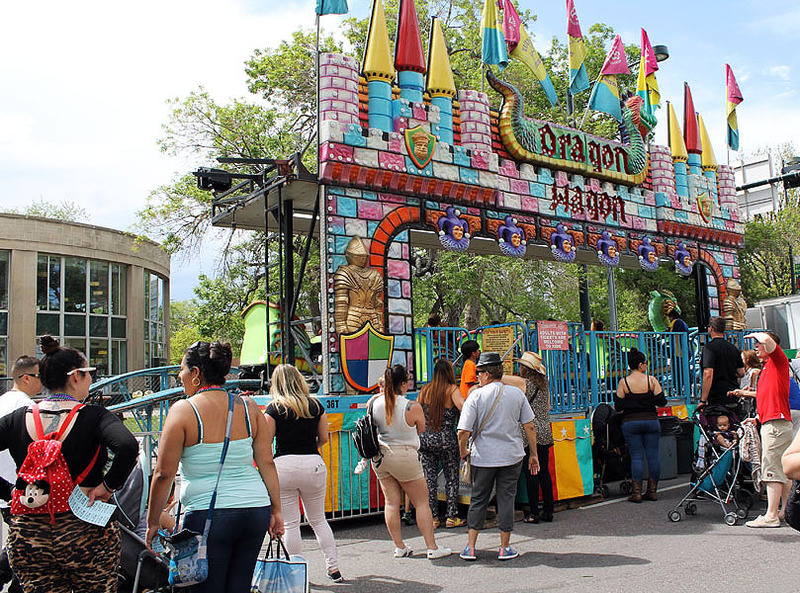 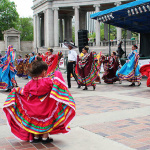 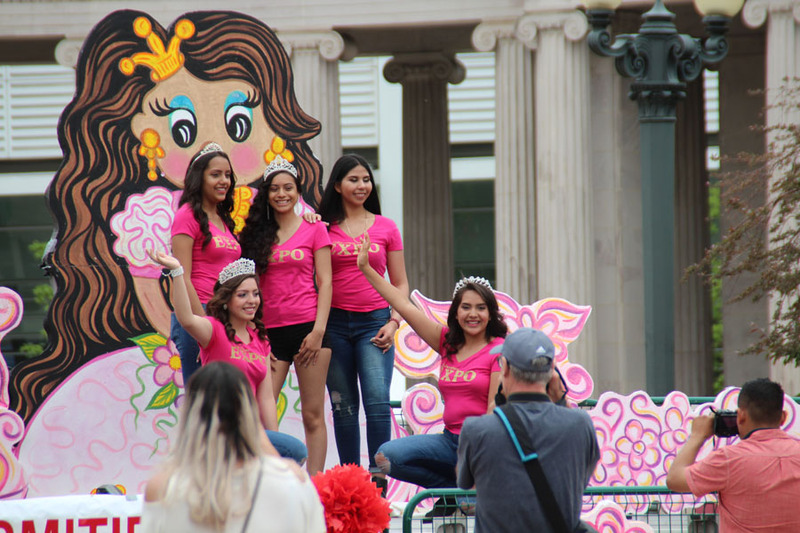 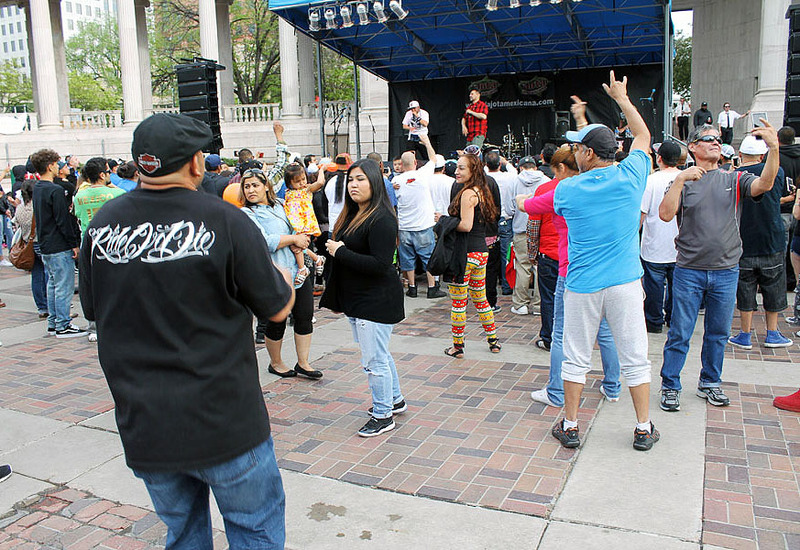 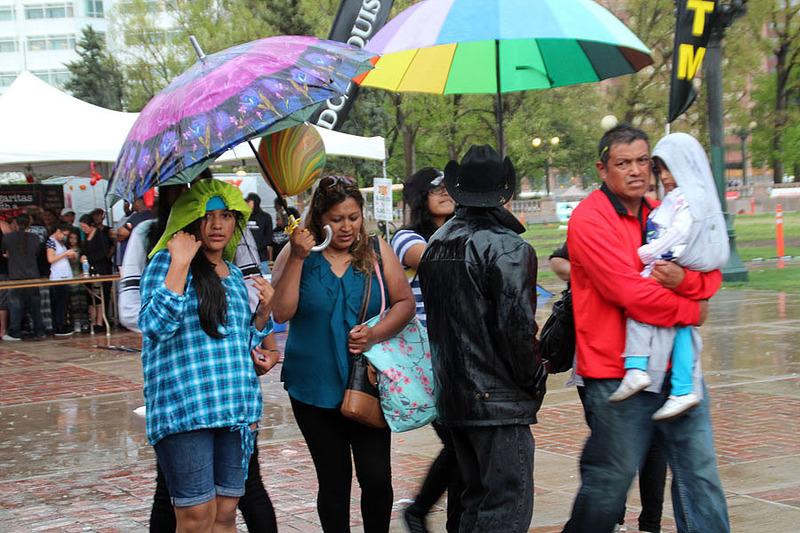 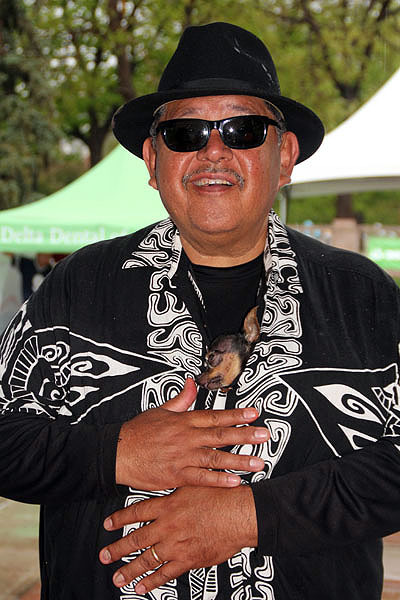 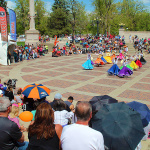 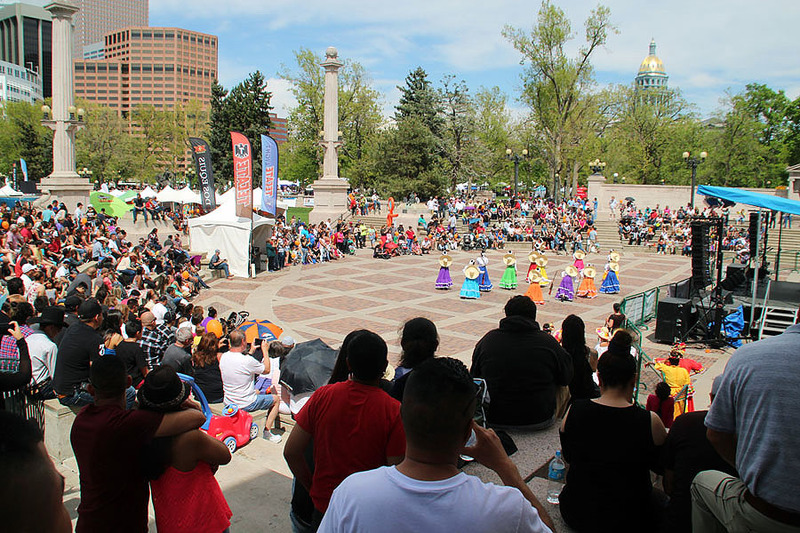 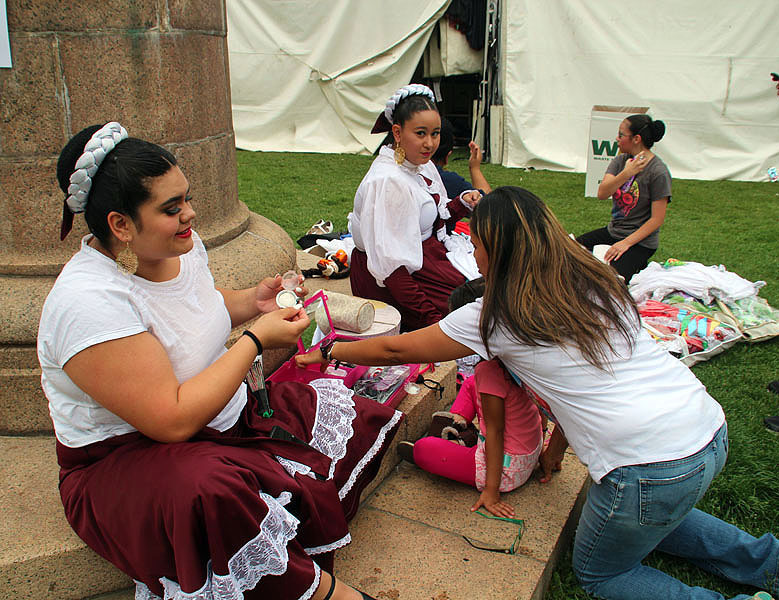 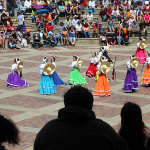 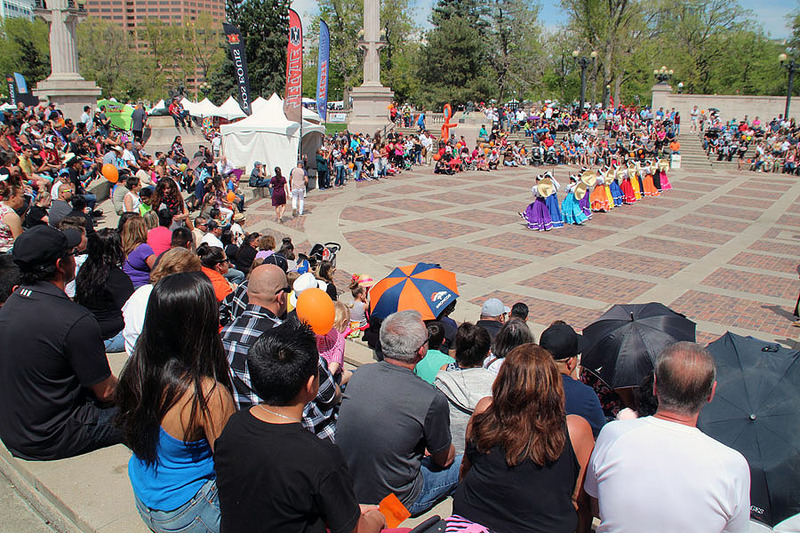 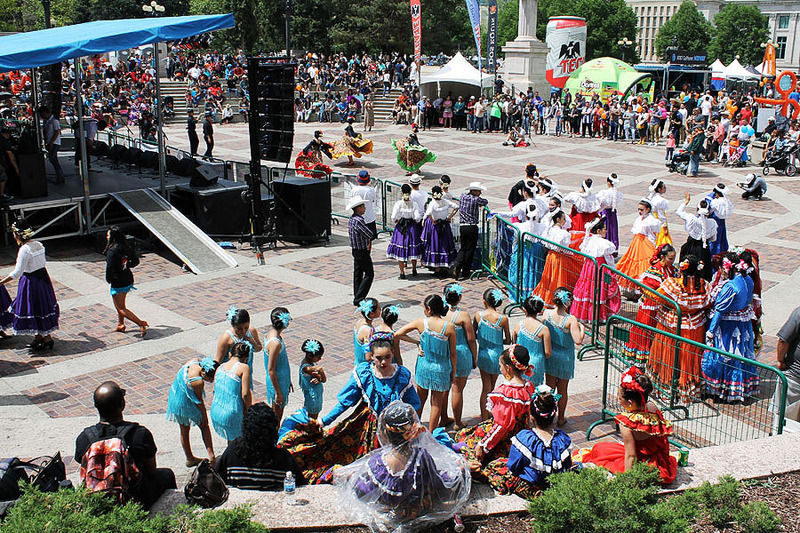 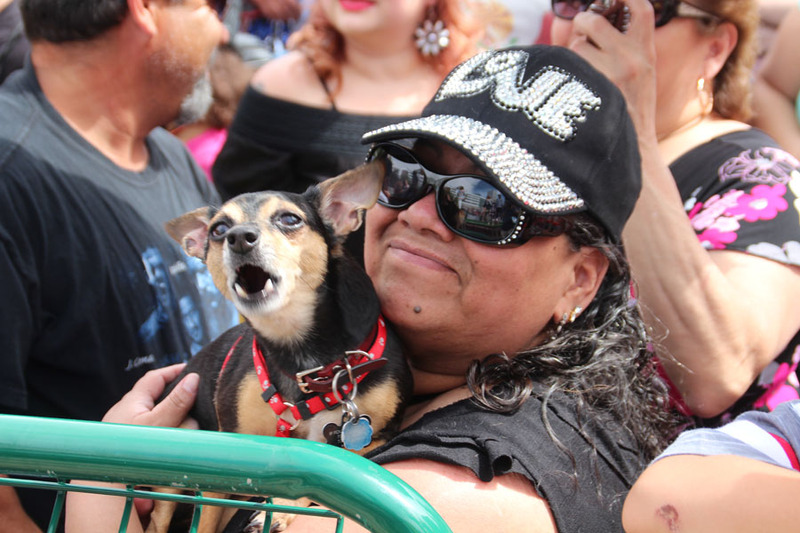 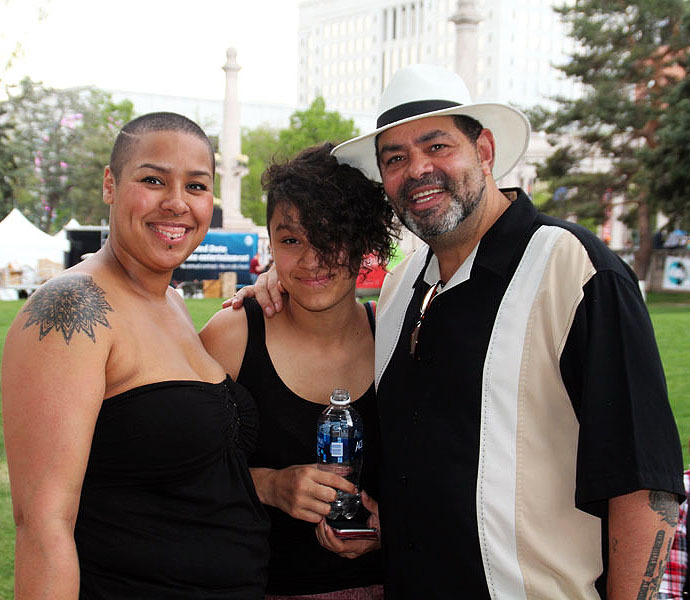 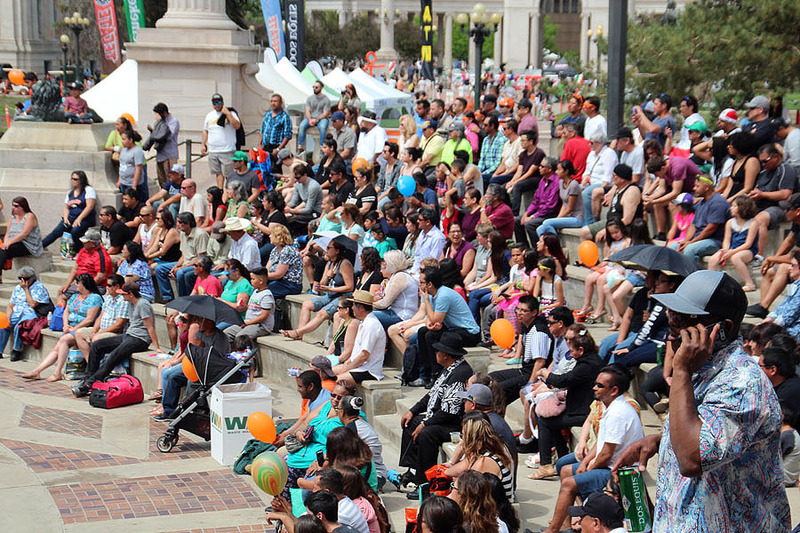 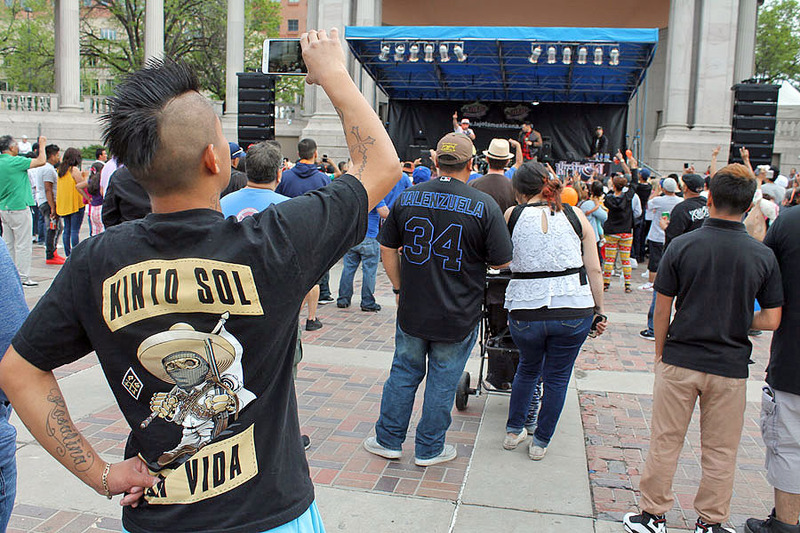 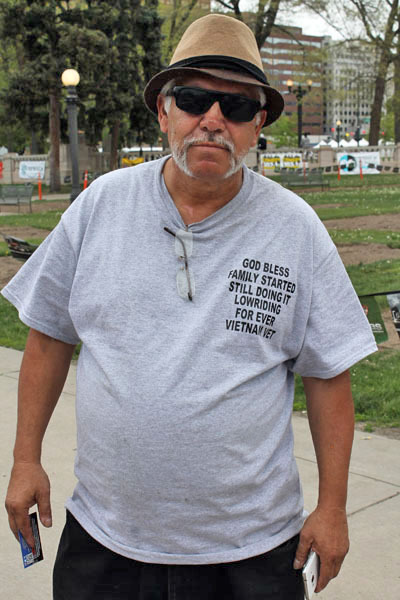 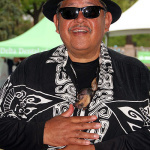 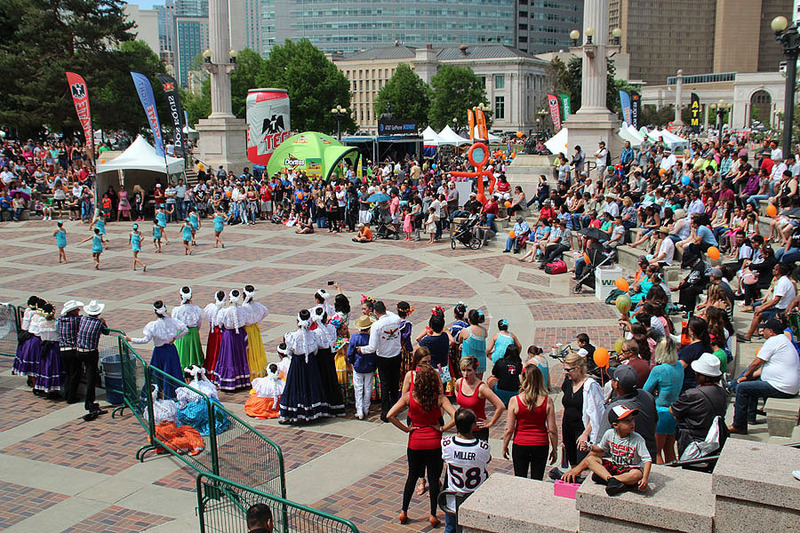 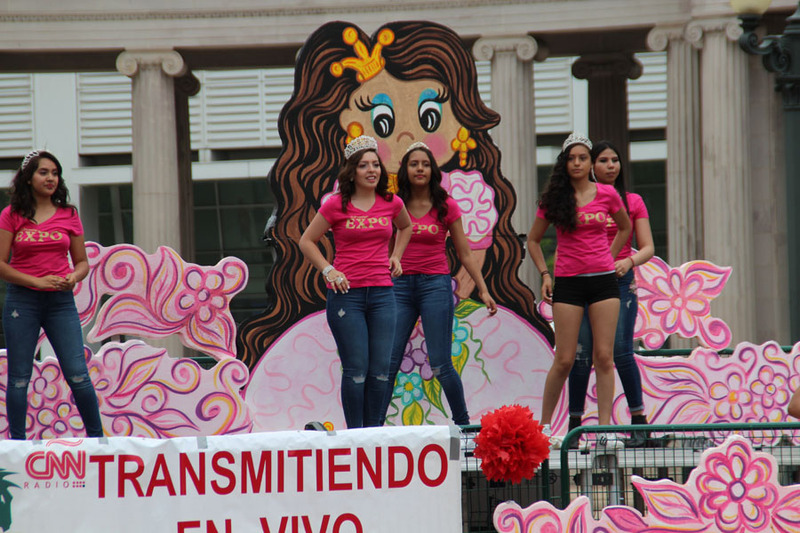 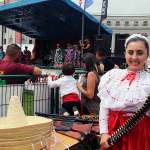 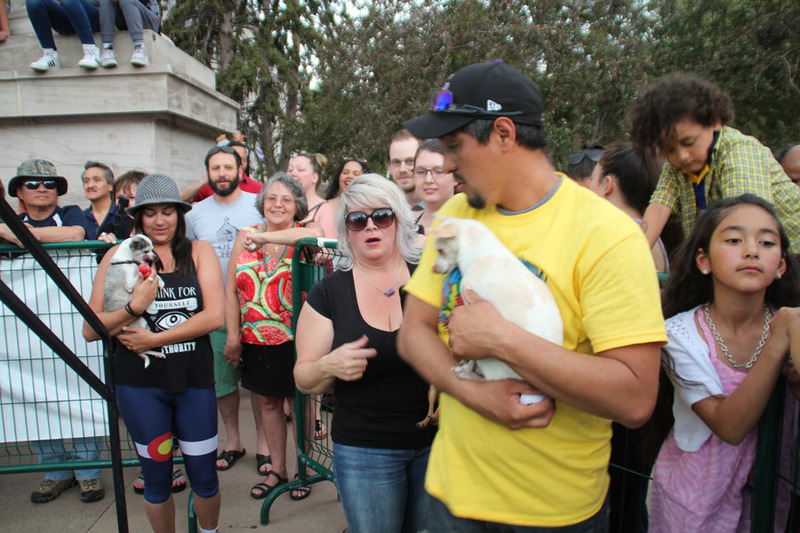 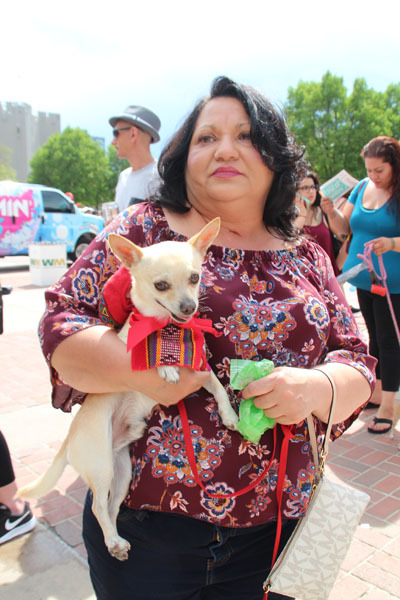 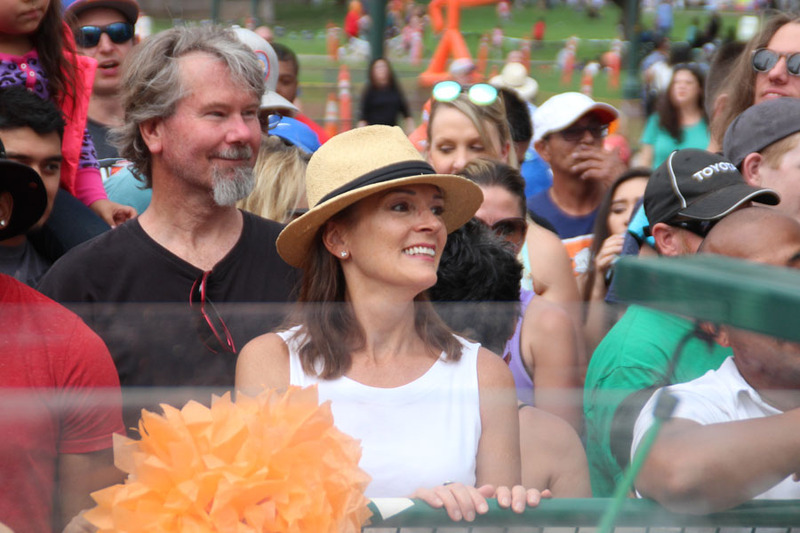 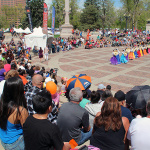 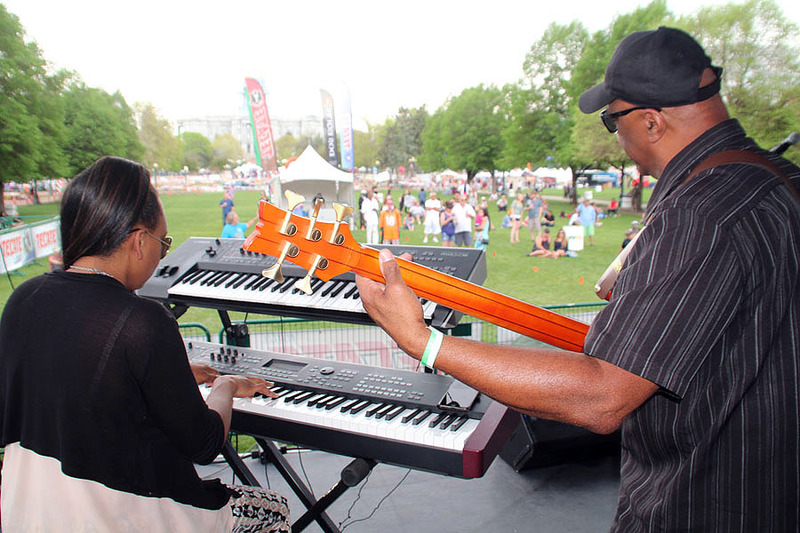 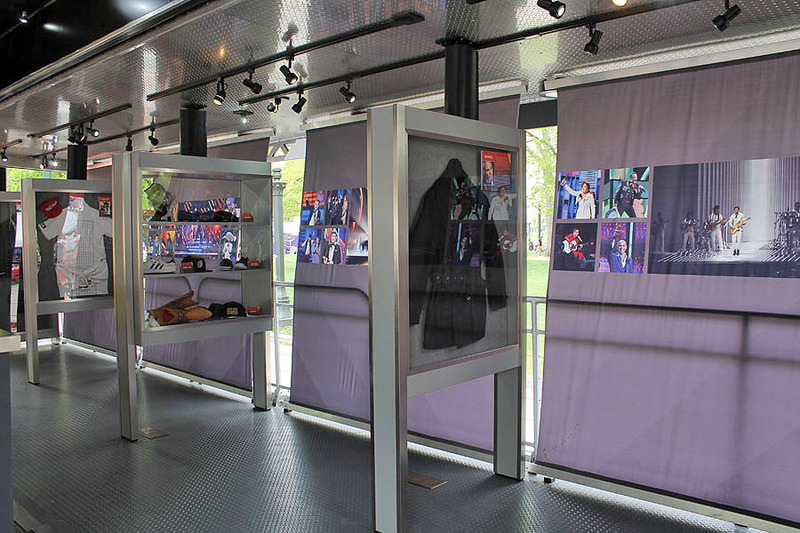 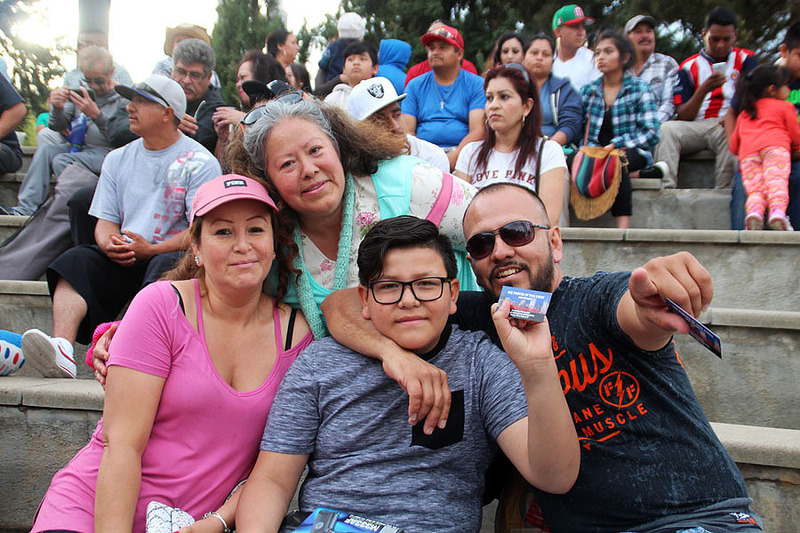 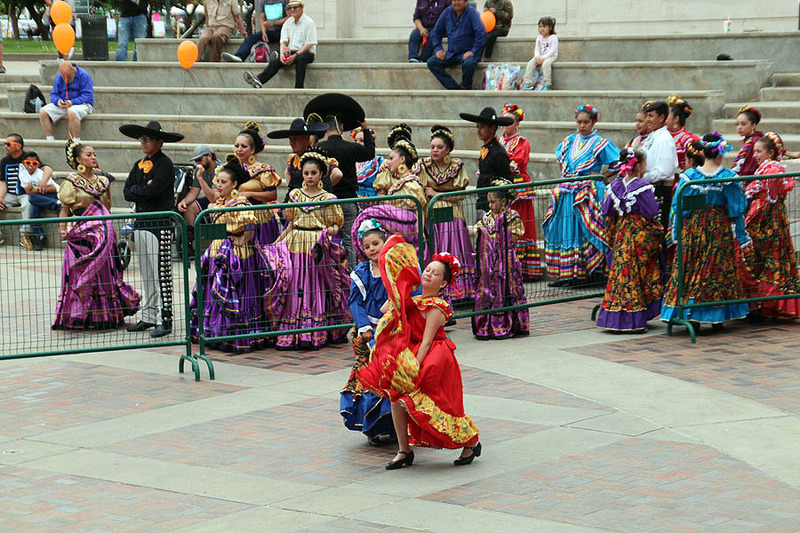 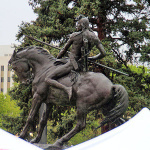 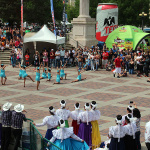 Sunday morning started off as a blessing for the thousands of fiesta goers at the 30th Anniversary of the Denver Cinco de Mayo Festival in Denver’s Civic Center Park but few could foresee the act of God was to come later in the day. 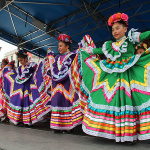 Dancers were performing at all three stages as the sun shined down upon all of them highlighting the vibrancy of their colorful dress. 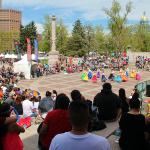 Fiesta Colorado Ballet Folklorico, Lisa T’s Dance Academy & Confluences Music Group got the fiesta started as good sized morning crowd gathered at each stage to enjoy their performances. 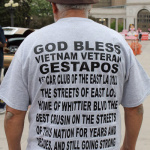 I suspect many were parents, relatives and friends. 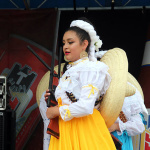 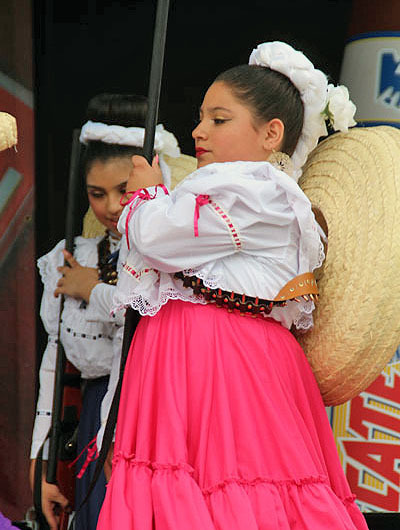 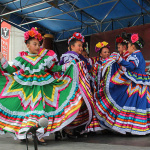 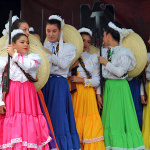 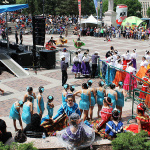 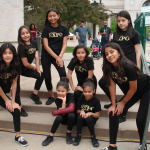 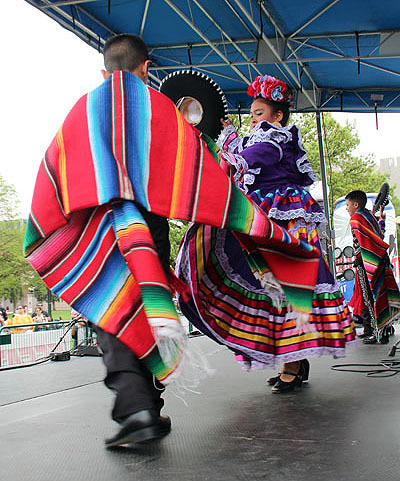 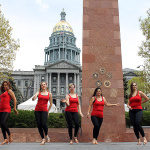 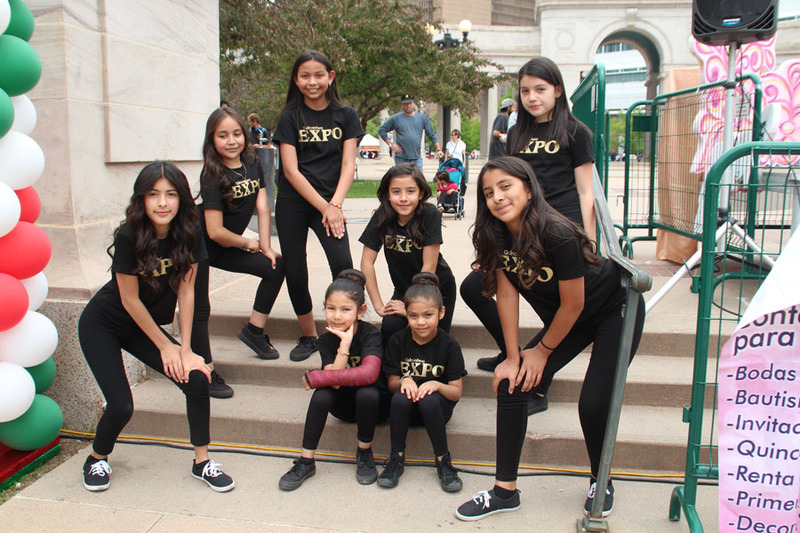 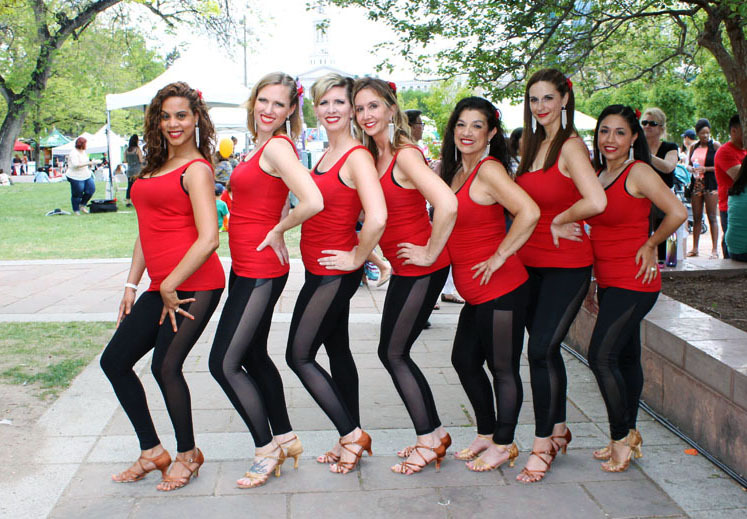 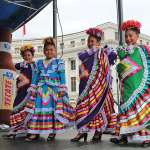 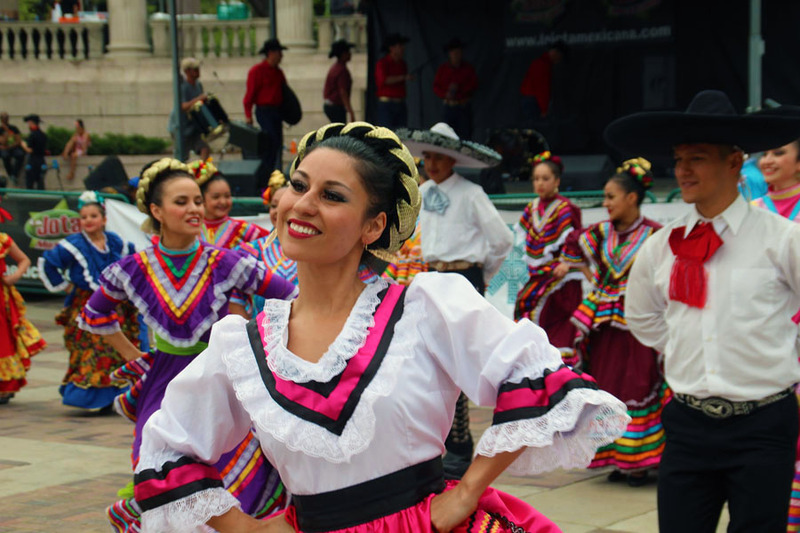 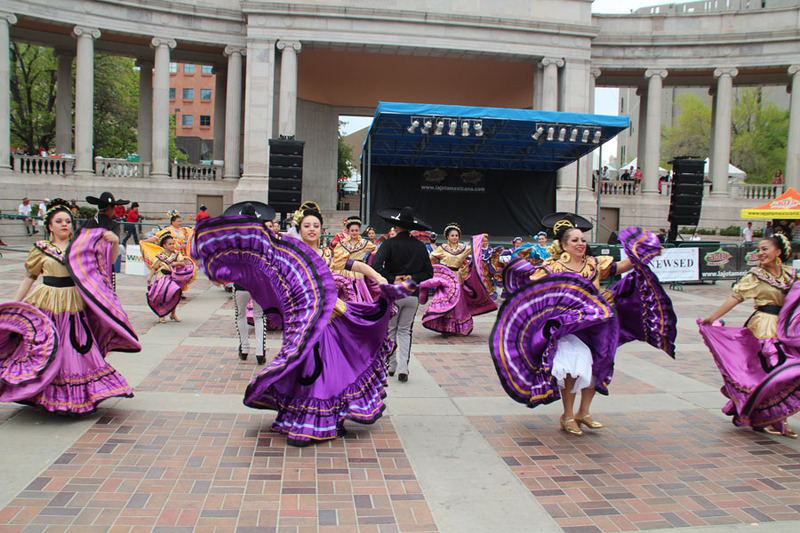 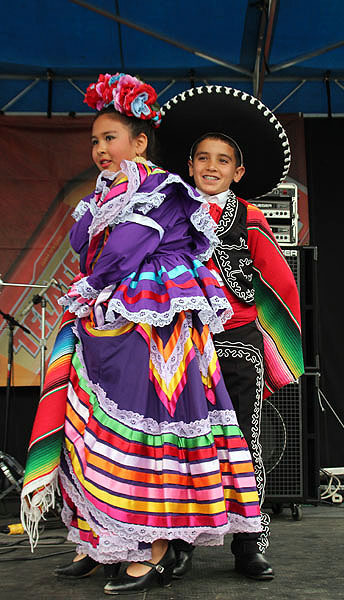 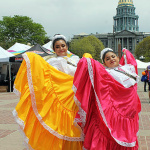 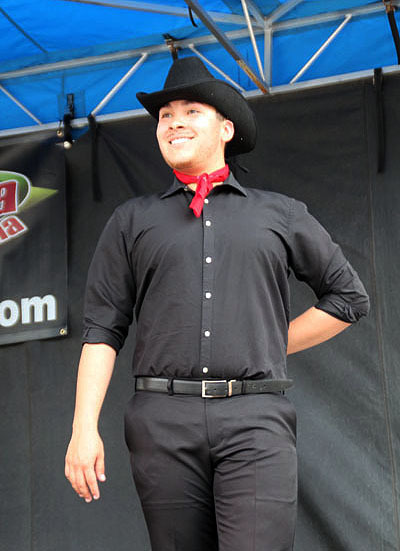 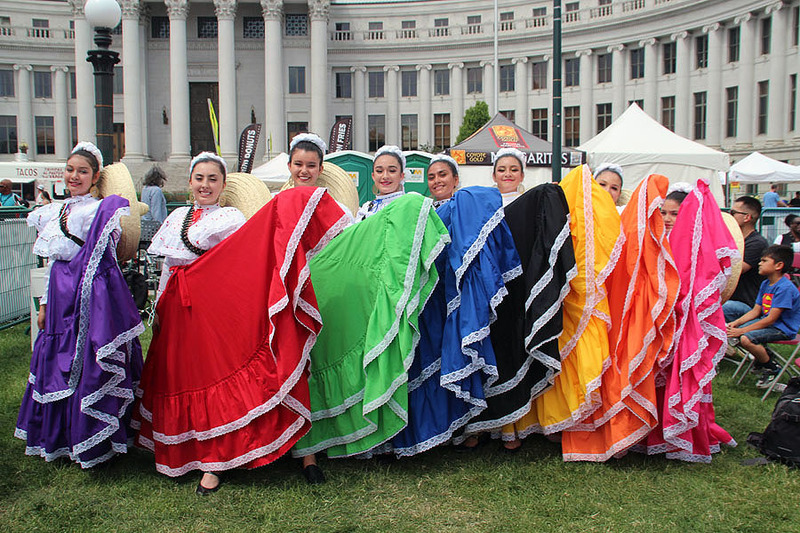 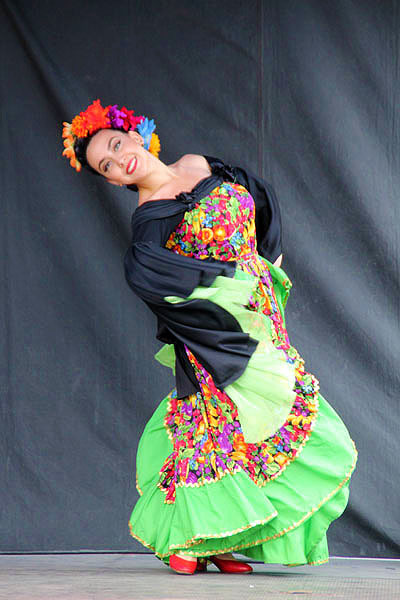 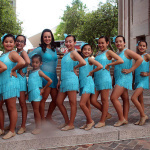 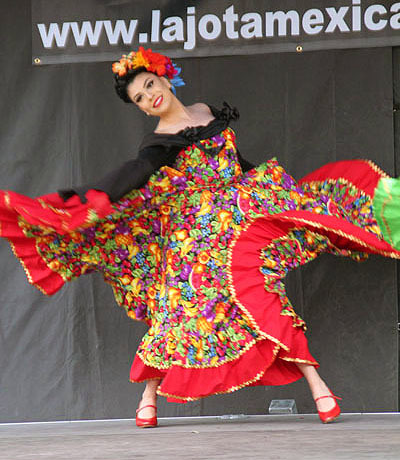 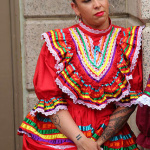 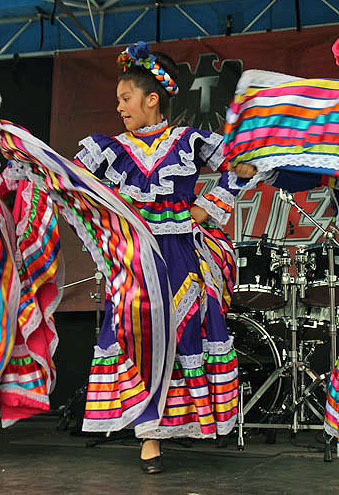 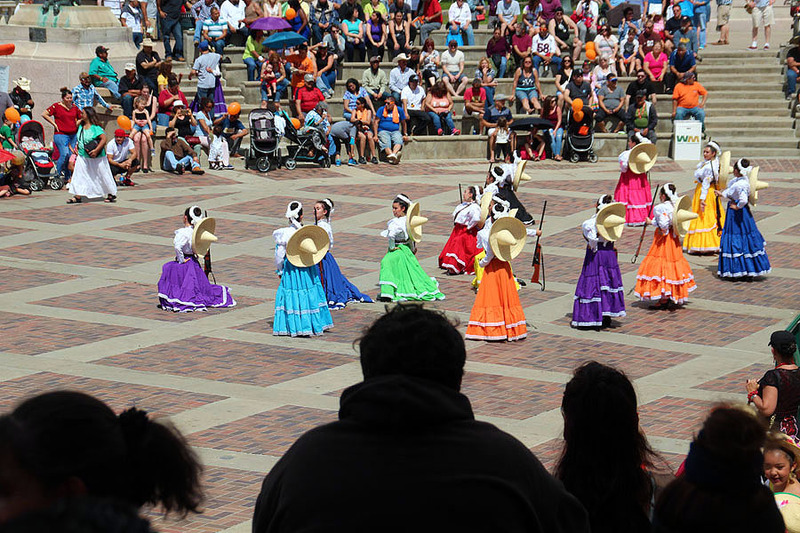 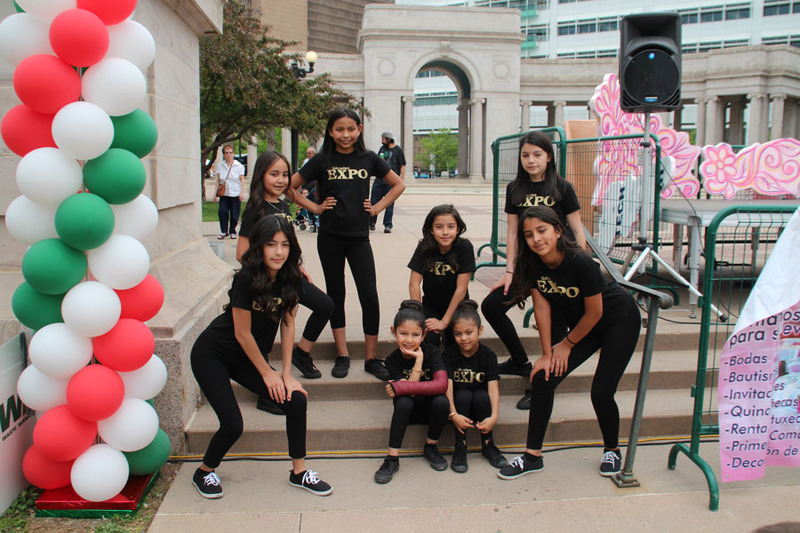 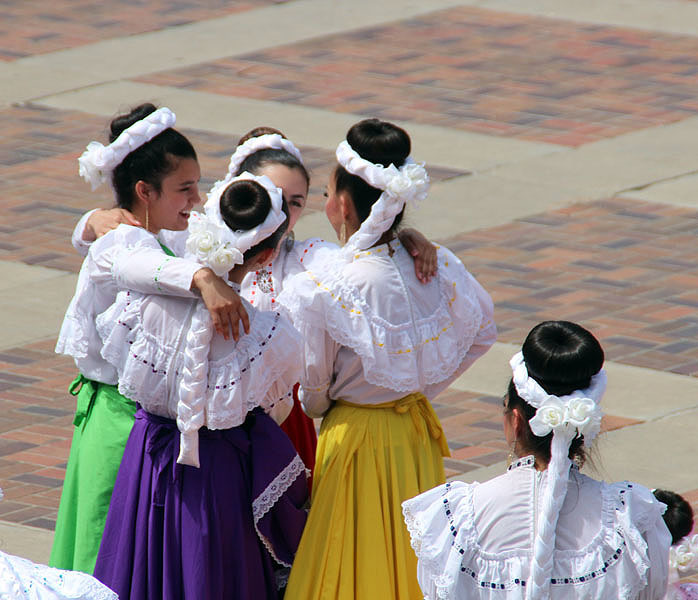 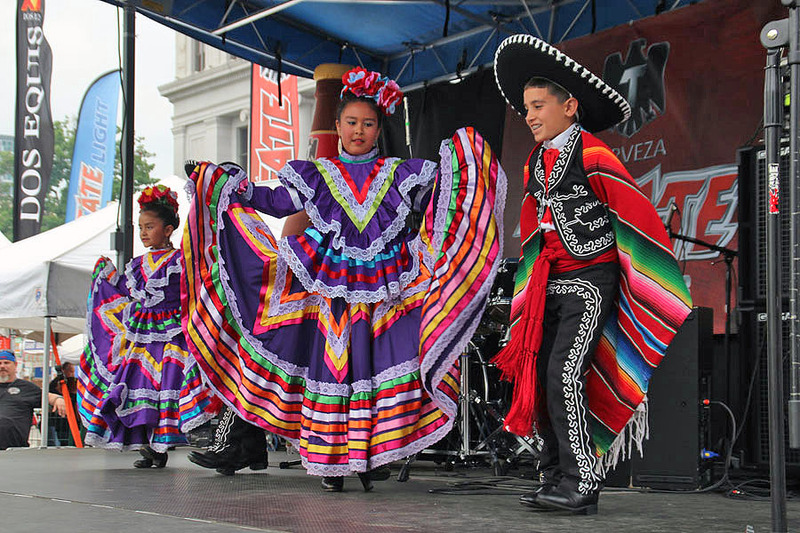 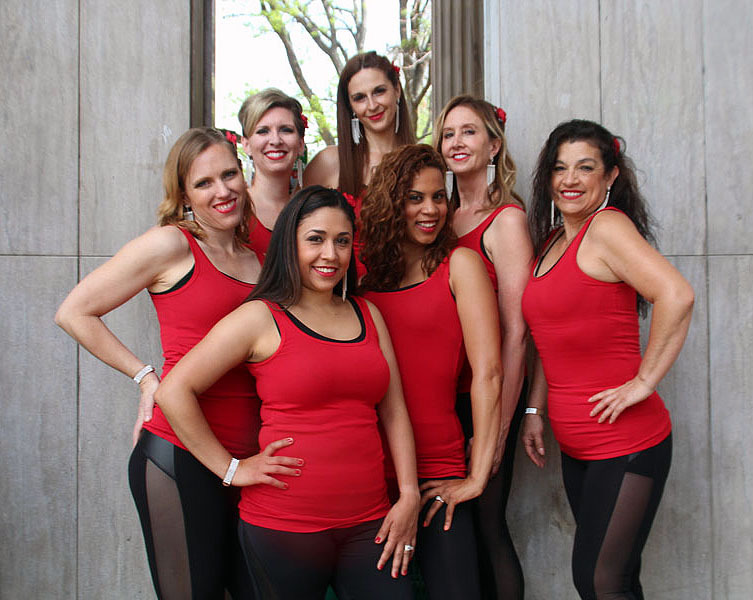 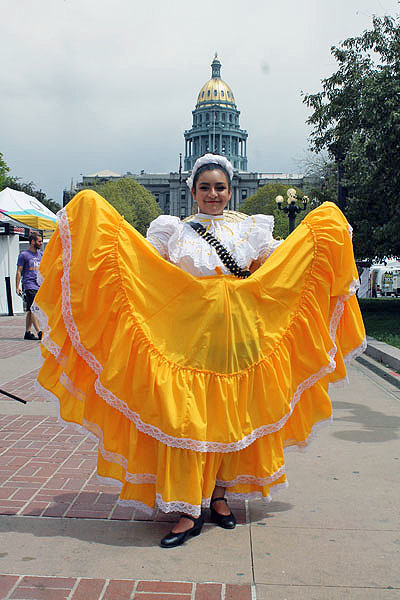 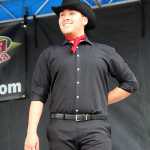 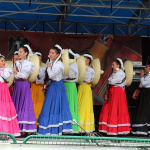 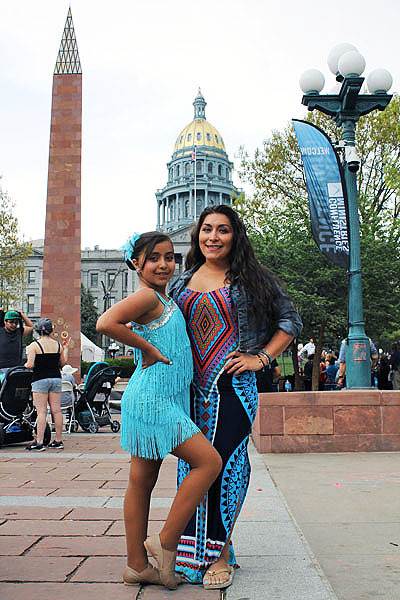 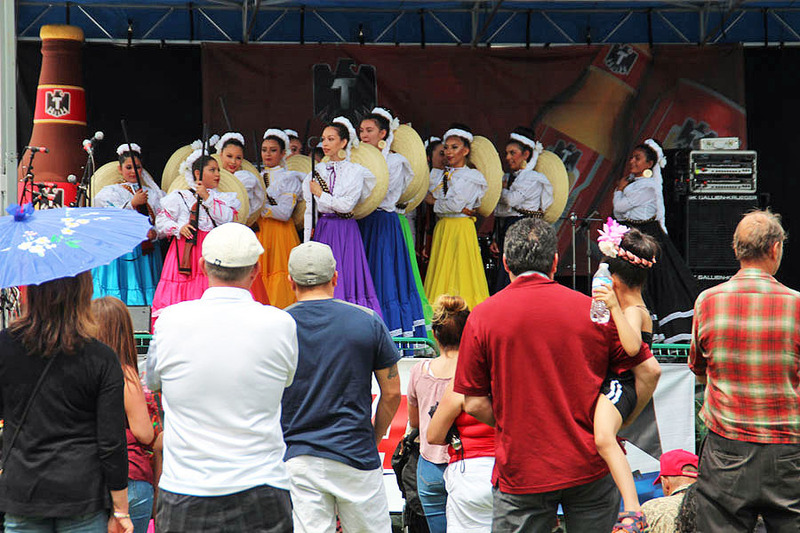 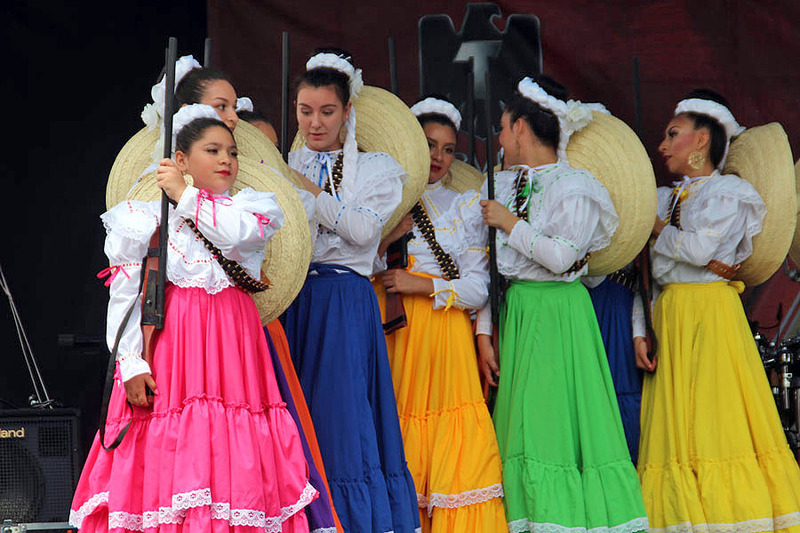 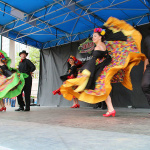 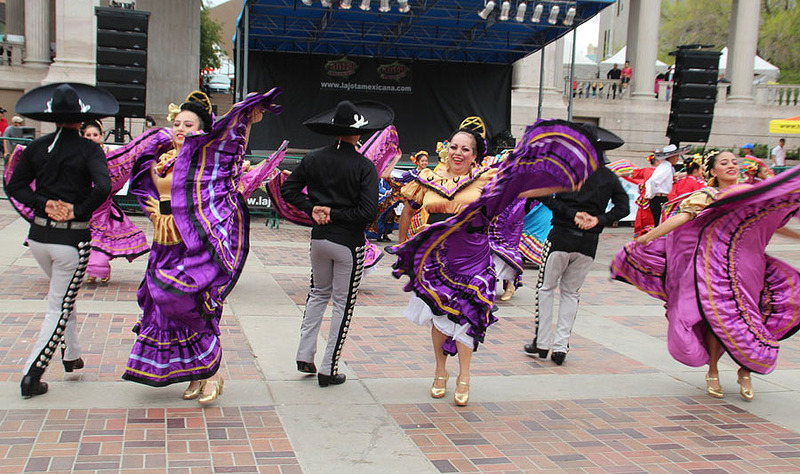 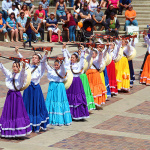 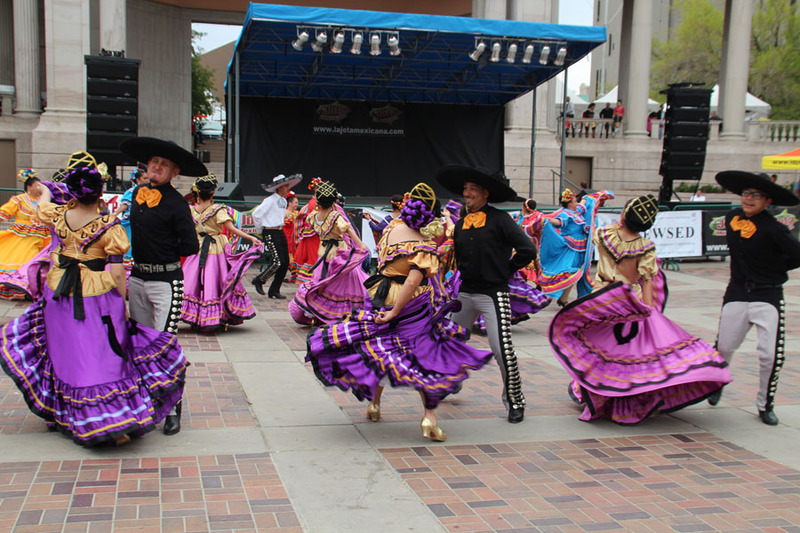 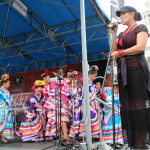 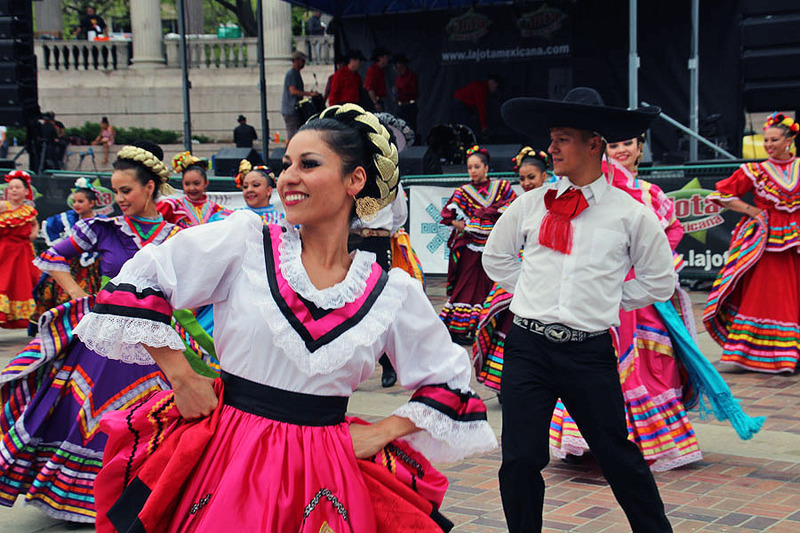 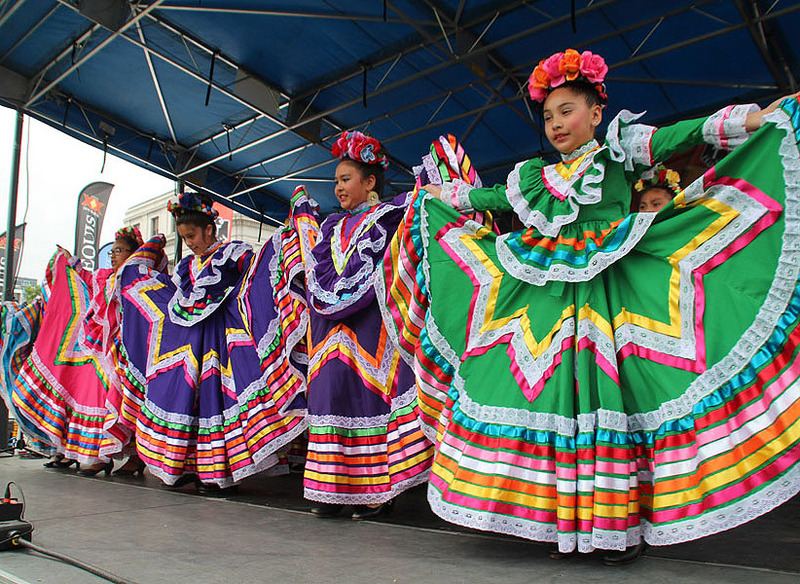 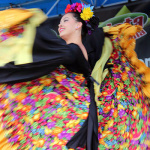 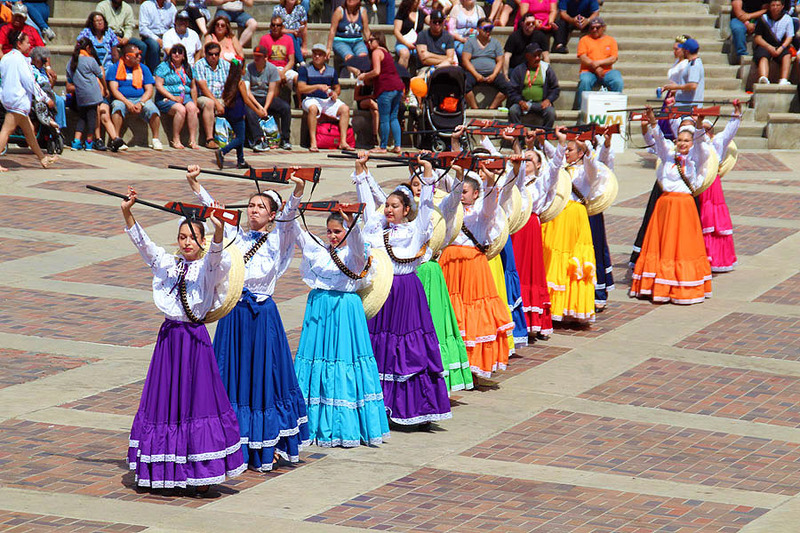 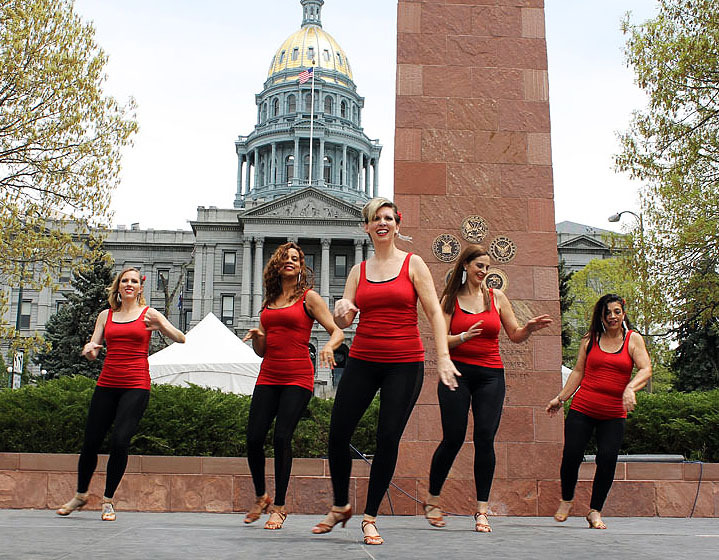 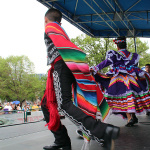 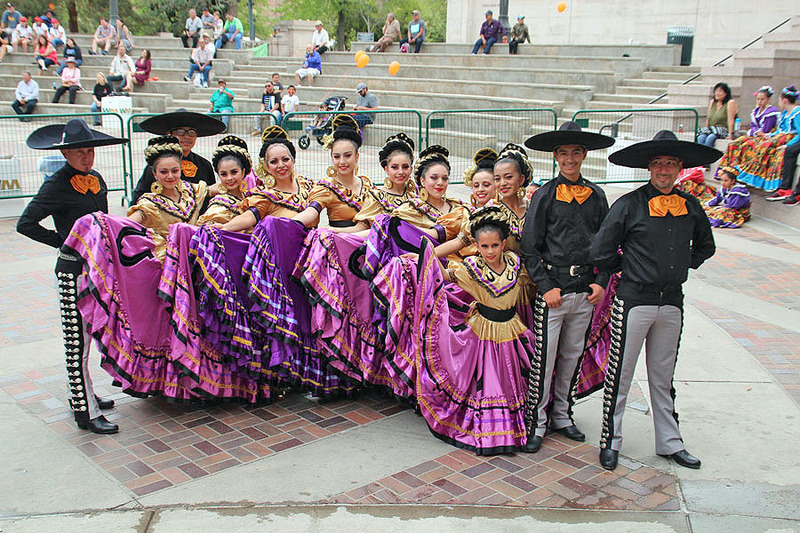 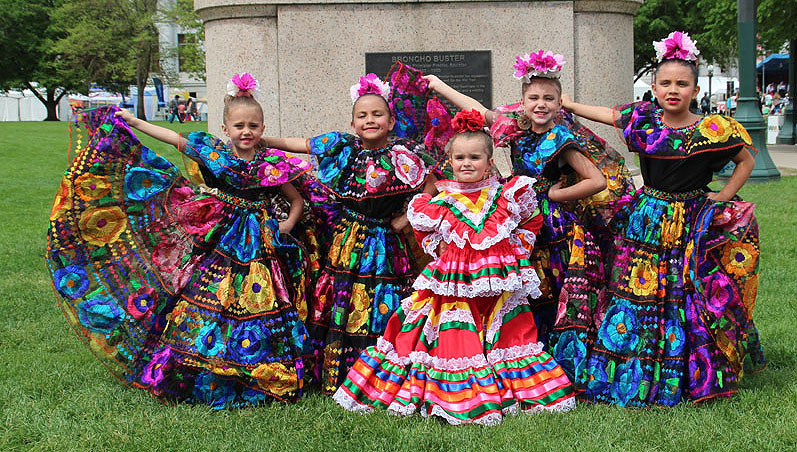 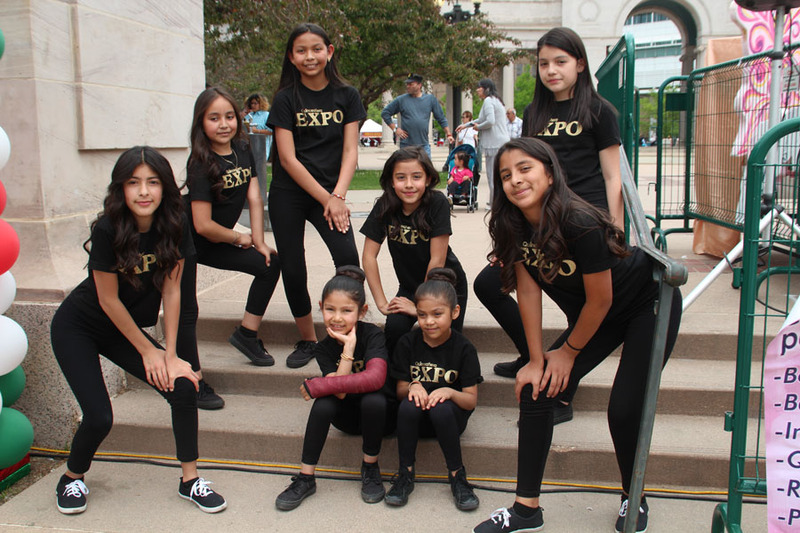 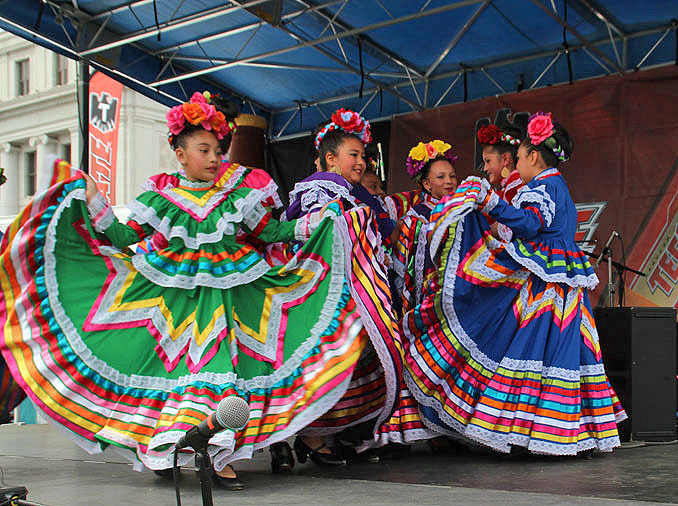 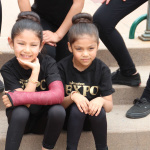 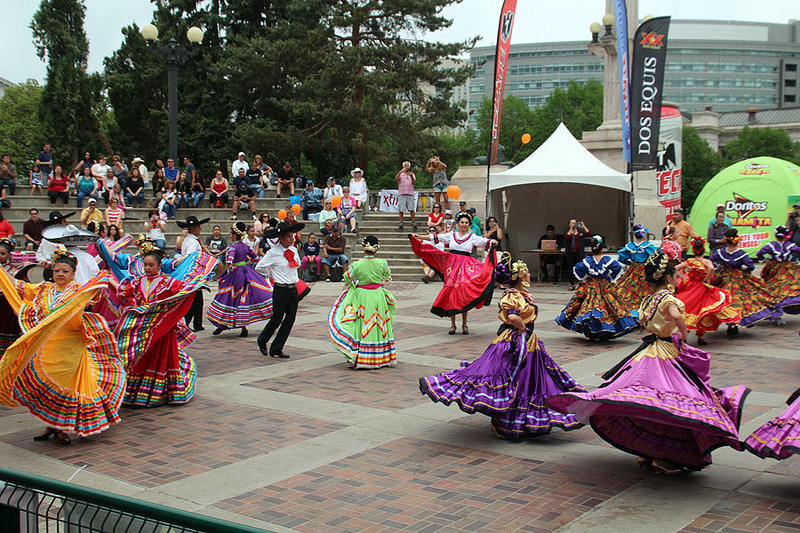 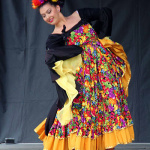 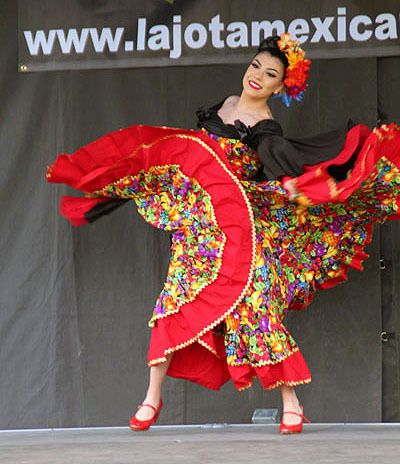 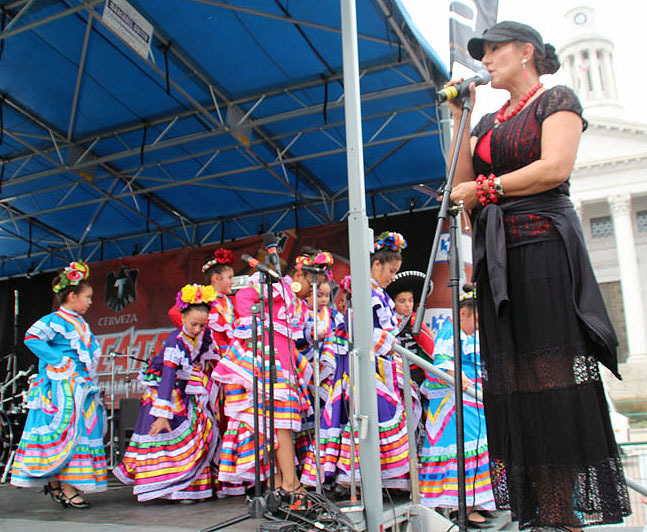 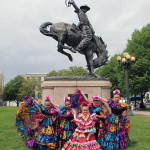 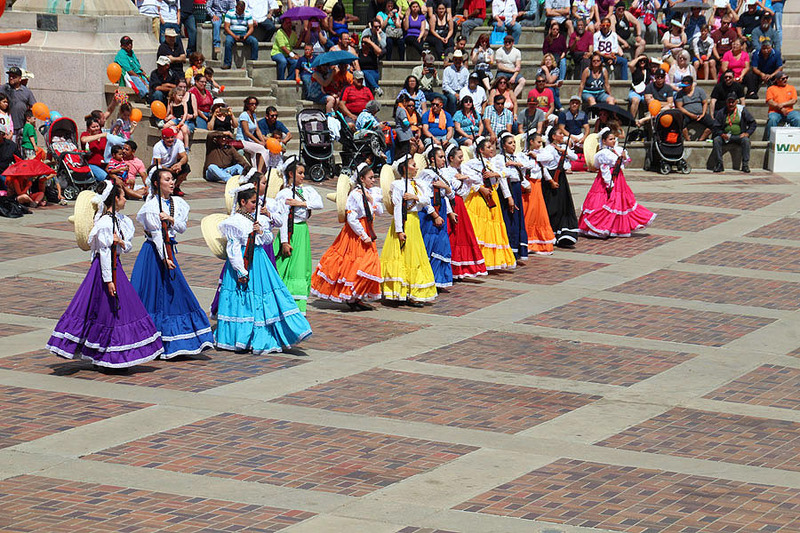 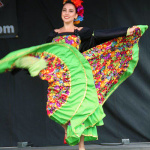 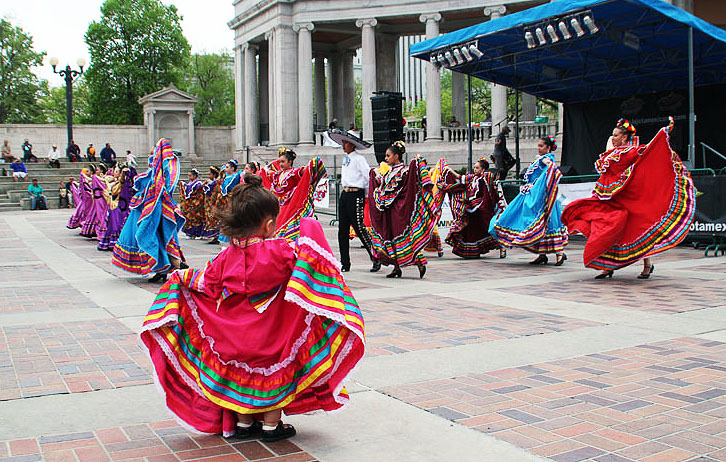 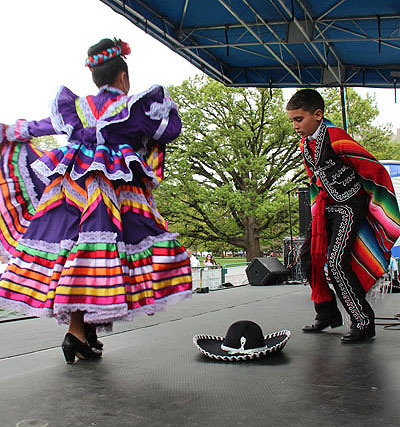 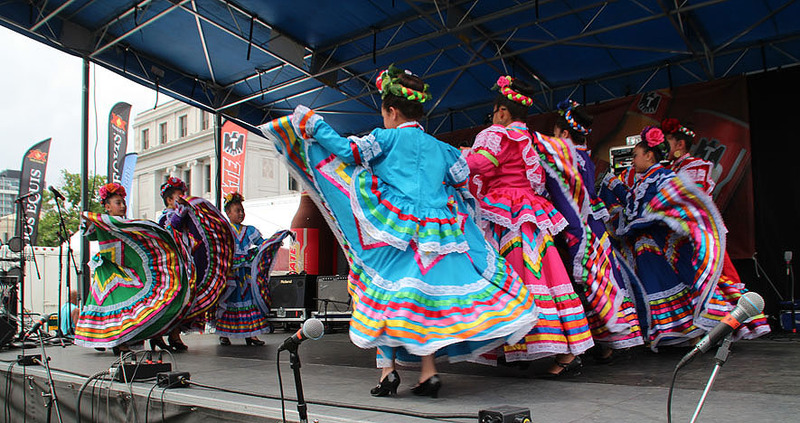 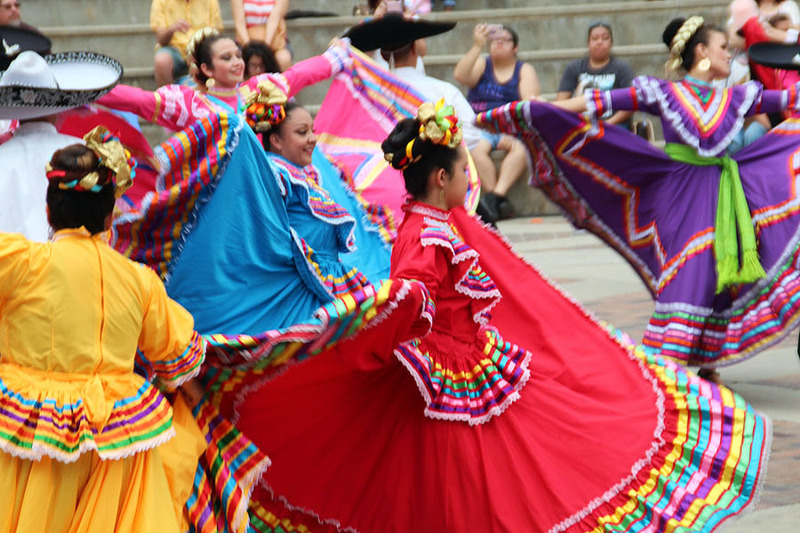 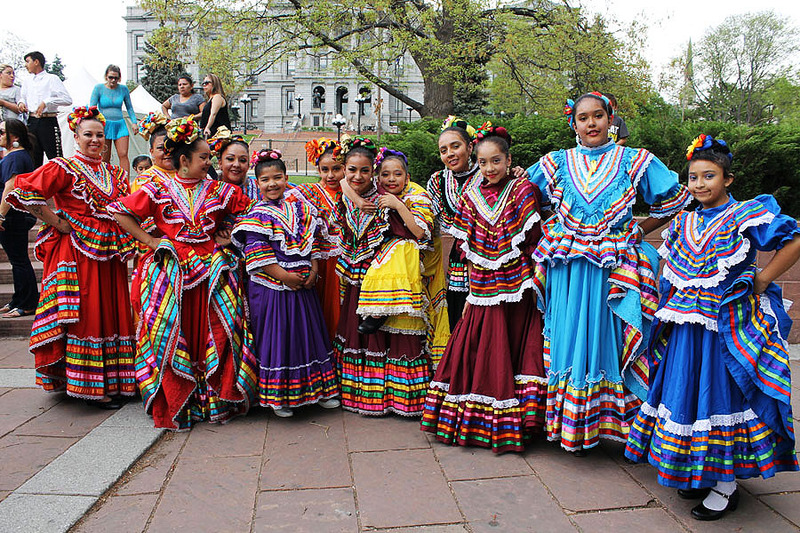 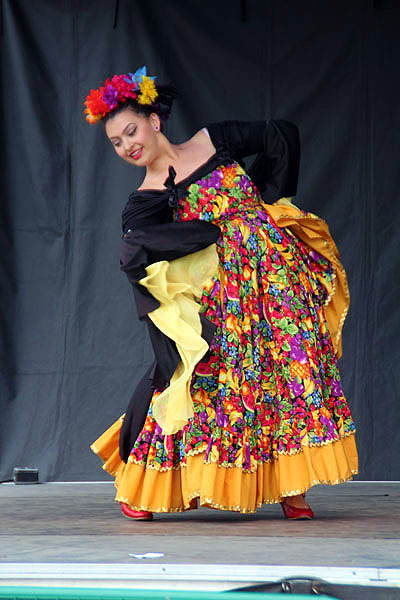 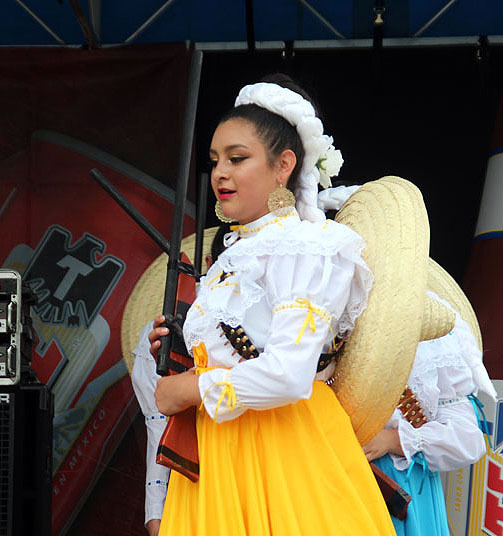 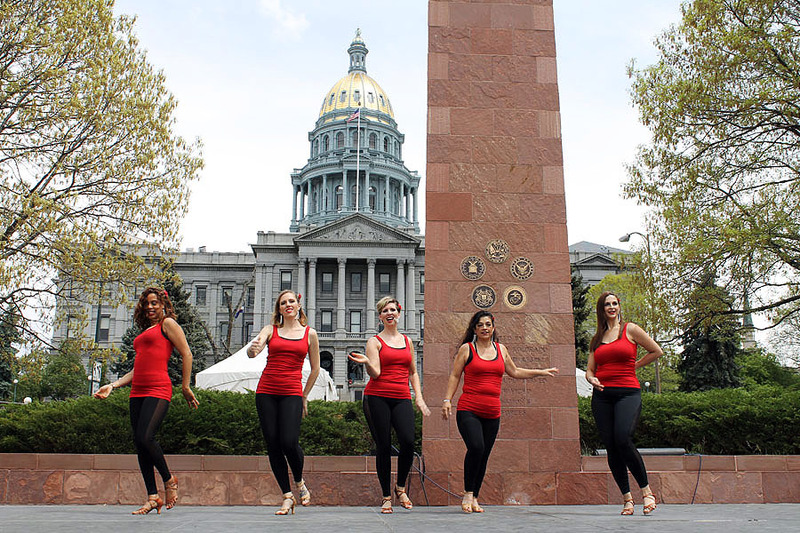 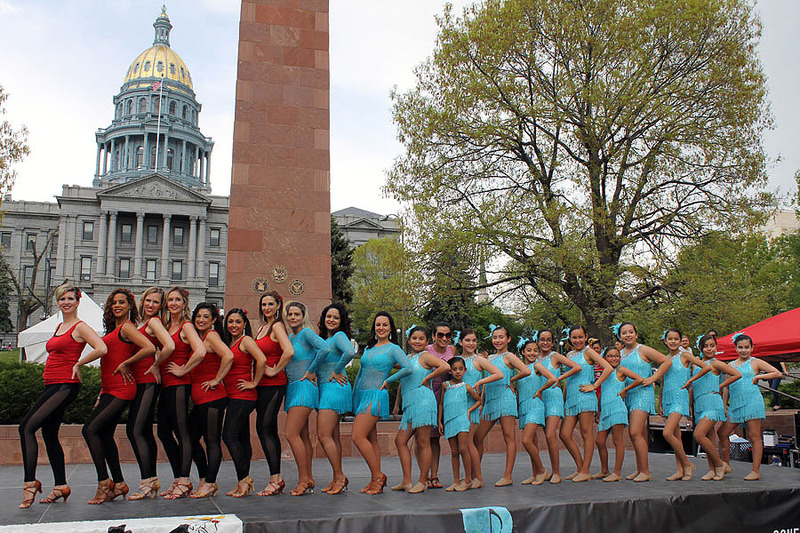 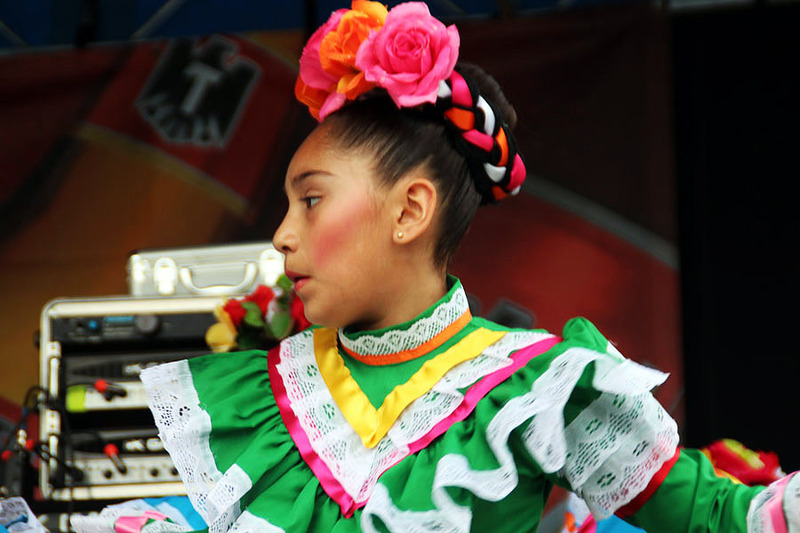 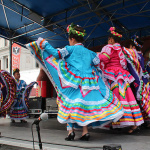 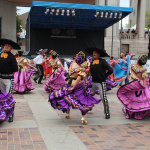 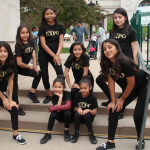 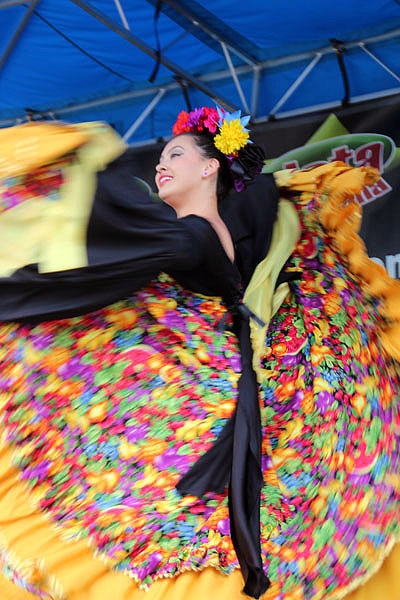 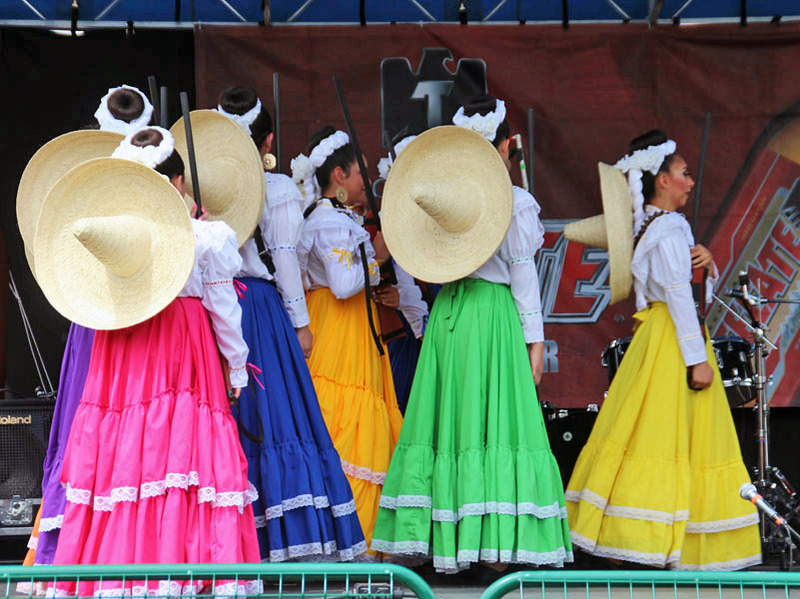 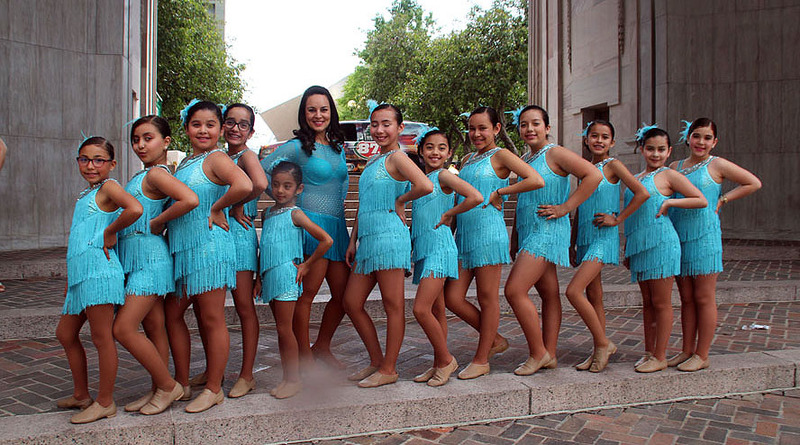 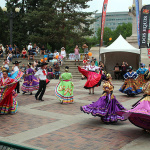 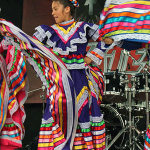 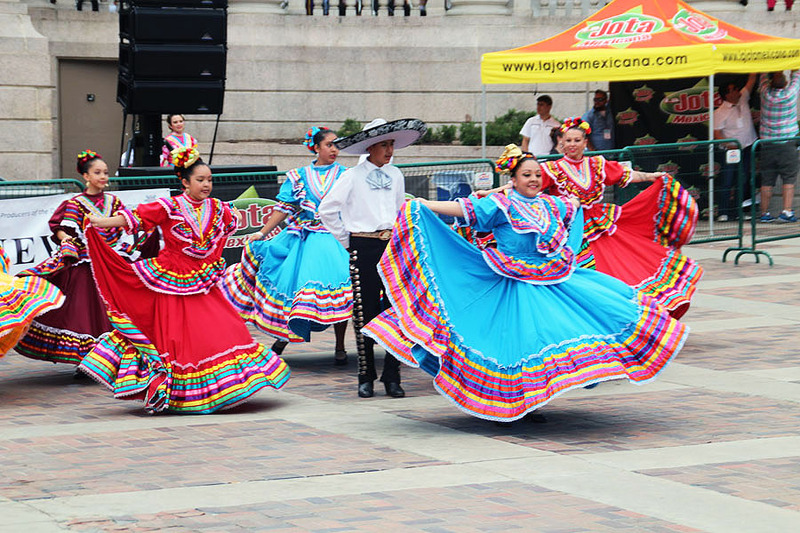 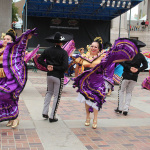 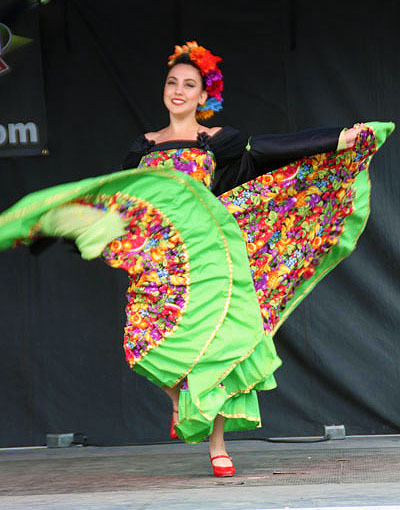 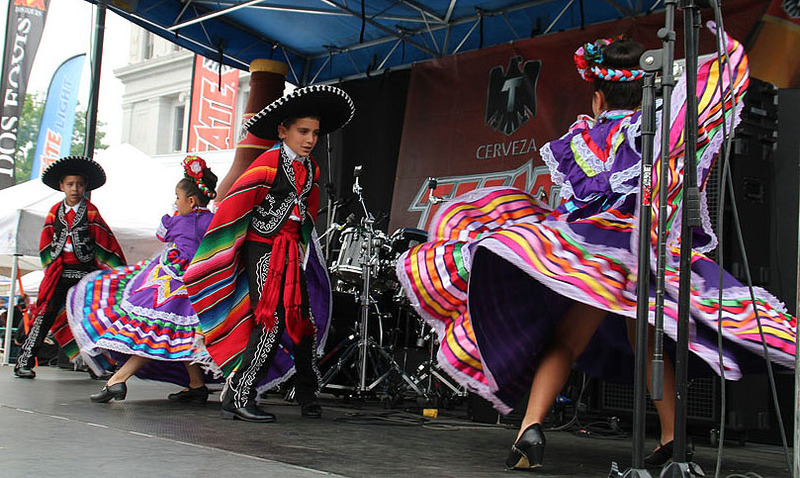 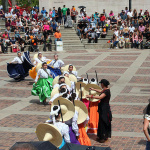 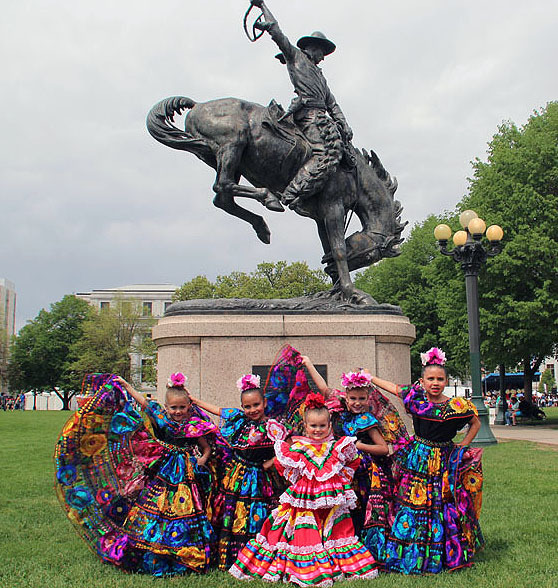 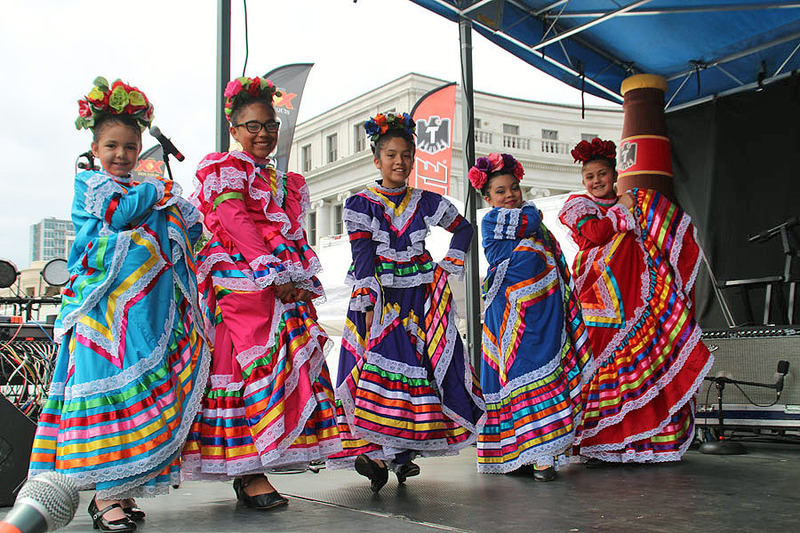 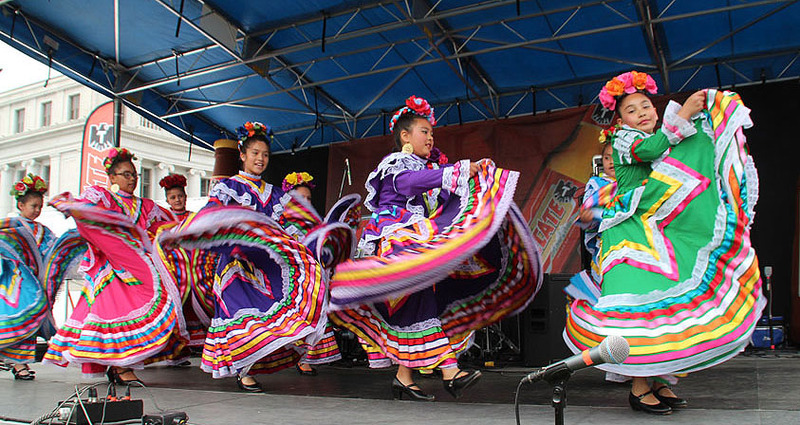 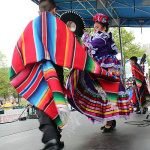 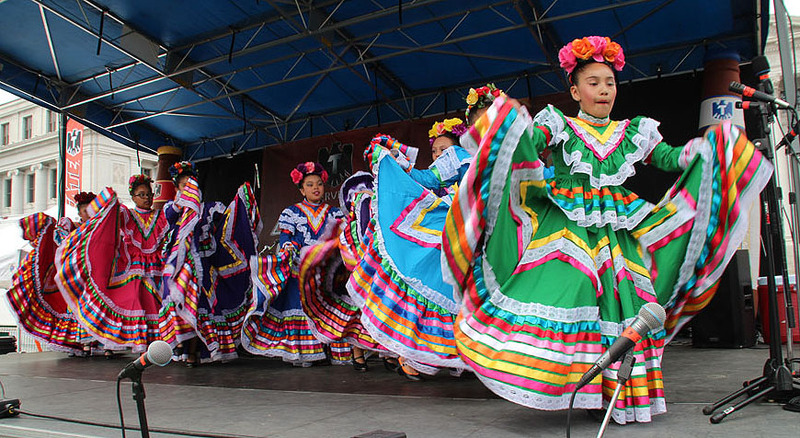 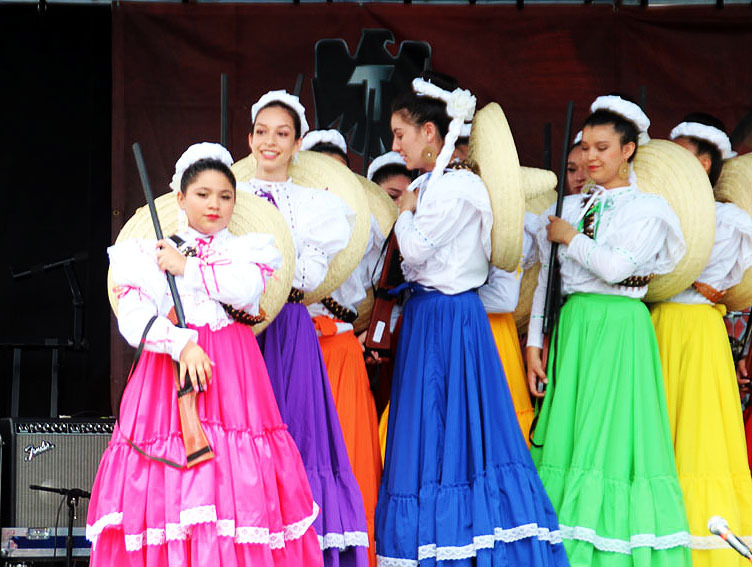 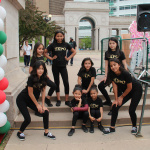 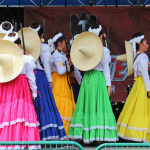 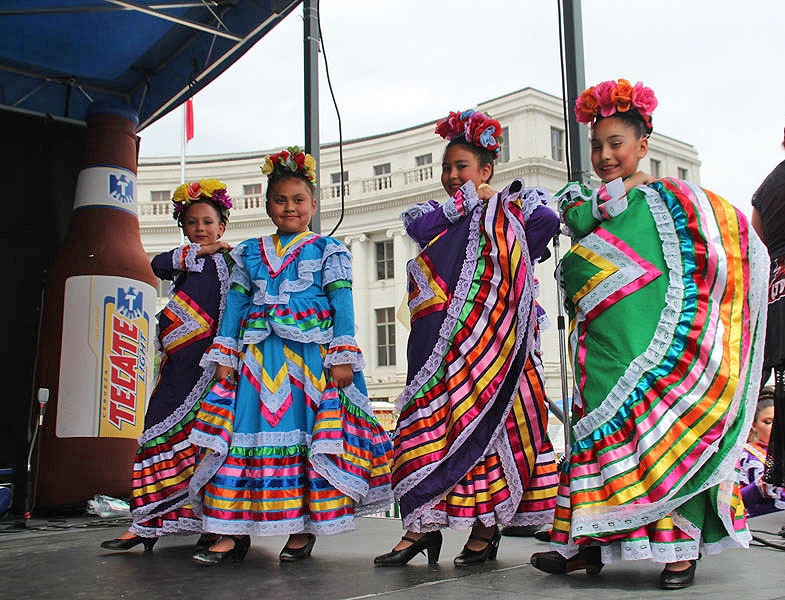 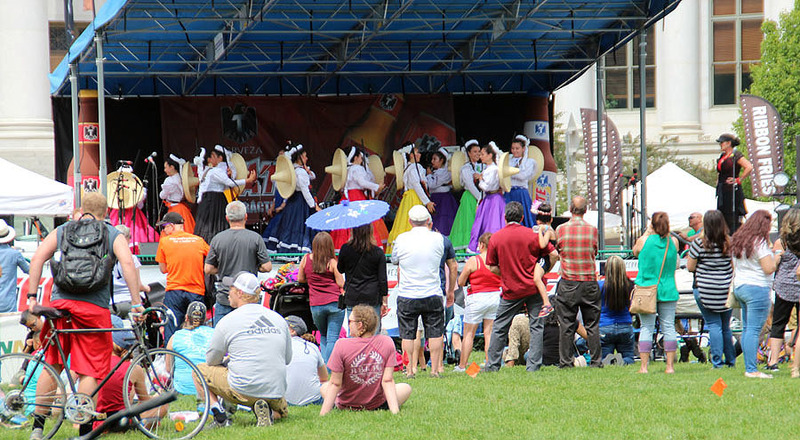 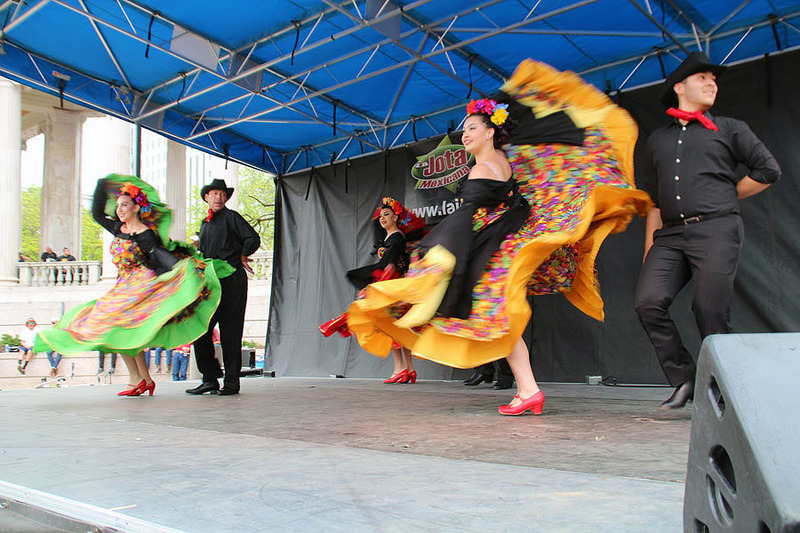 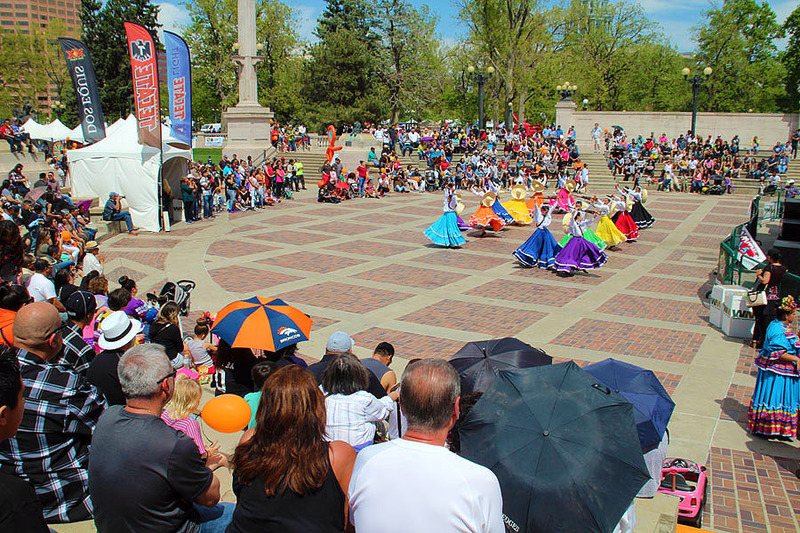 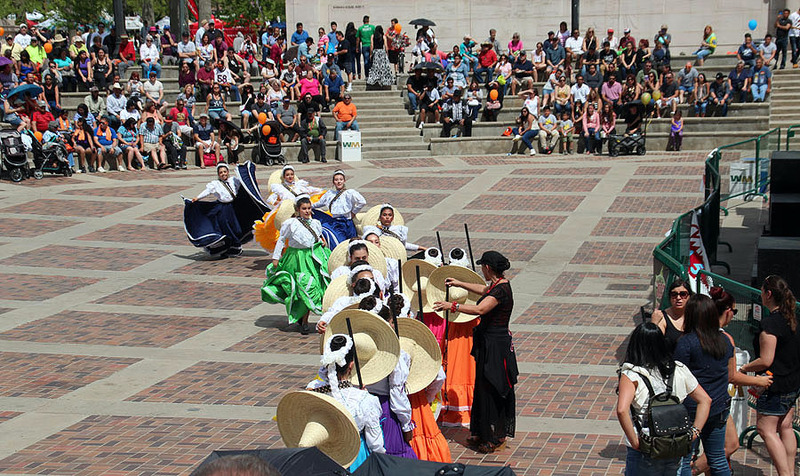 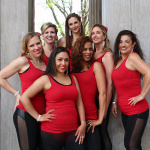 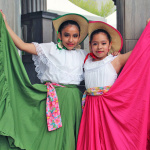 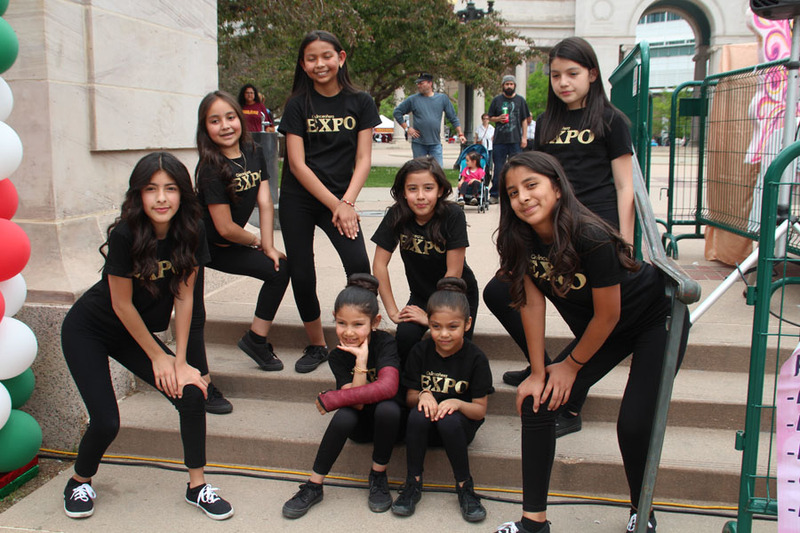 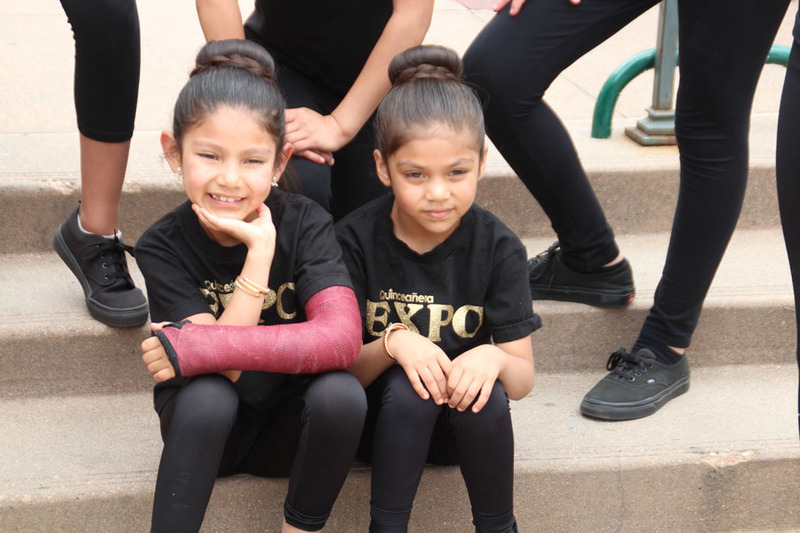 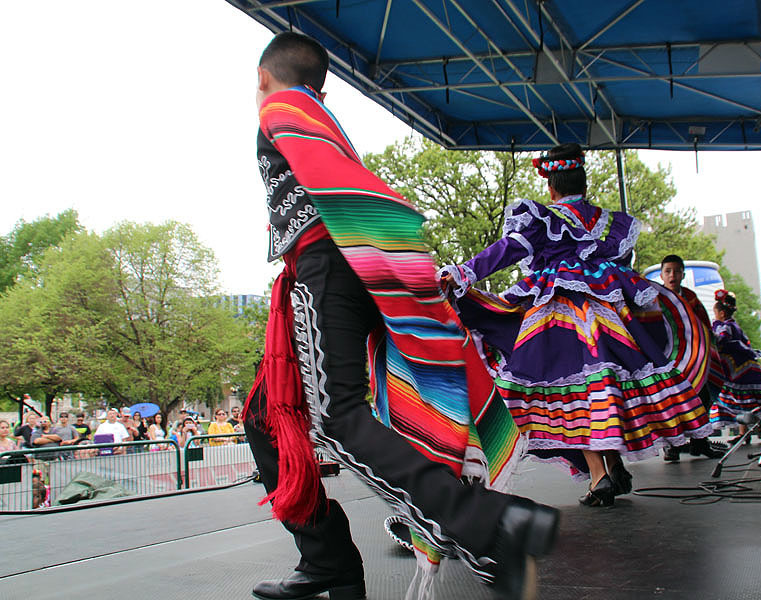 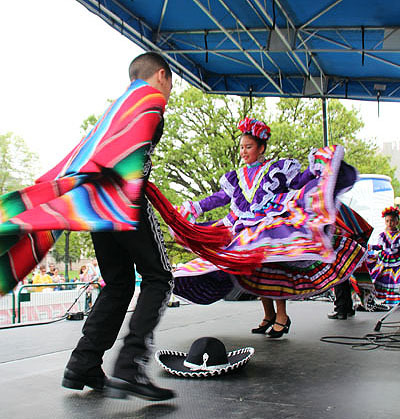 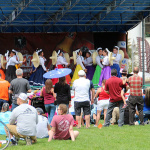 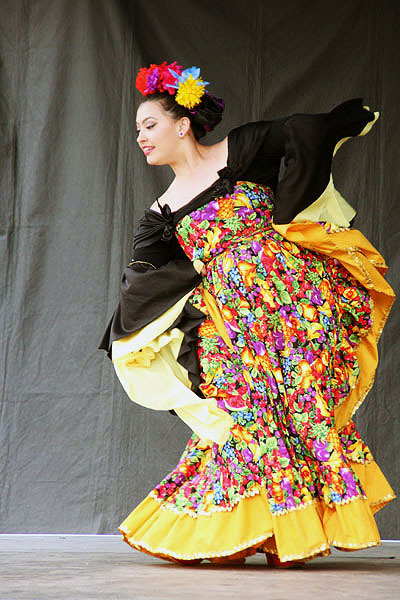 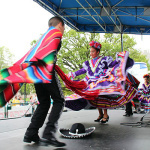 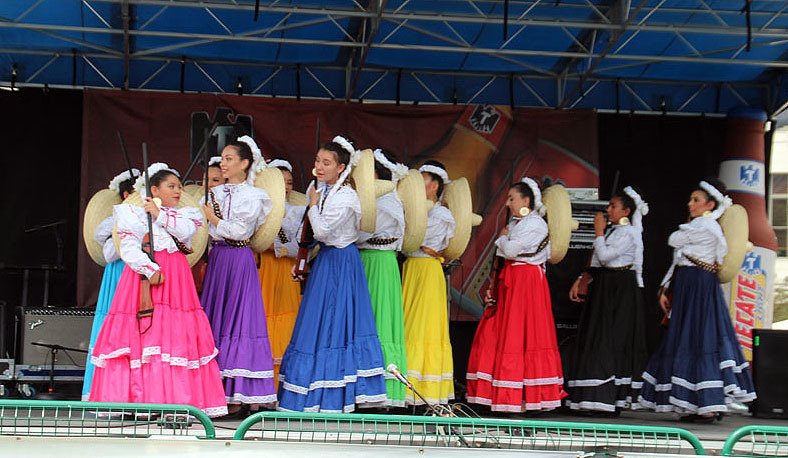 They were followed by even more dancers at the Colorado & Confluence Ministries stage with Ballet Folklorico de Lisa Trujillo, Latin Groove by Diana Sanchez, Ballet Mestizo de Carra Garcia, Orgullo de Mexico de Luz Maria Lopez. 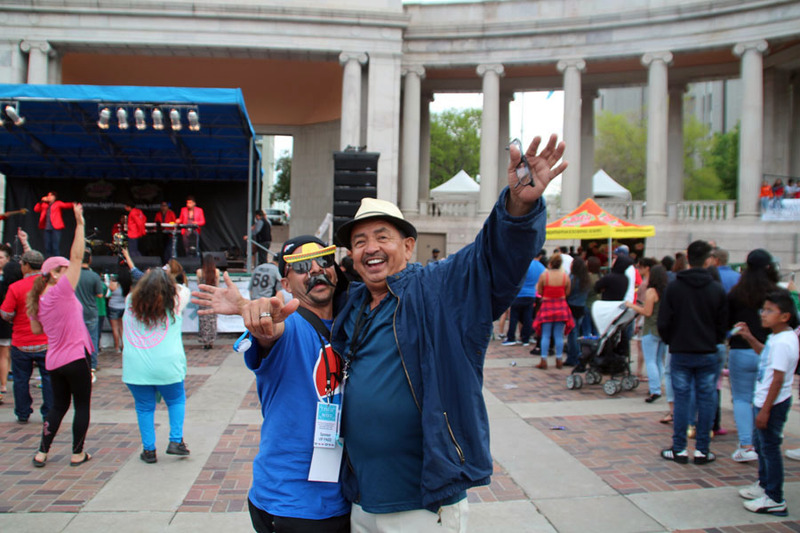 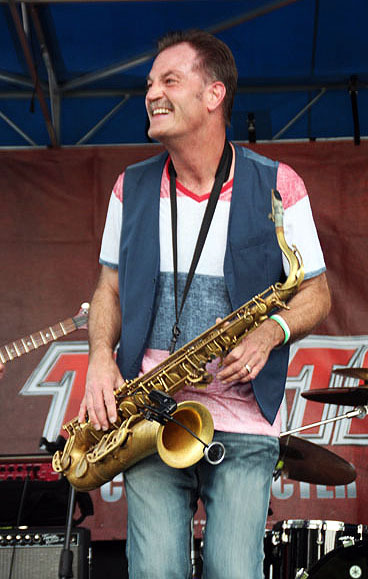 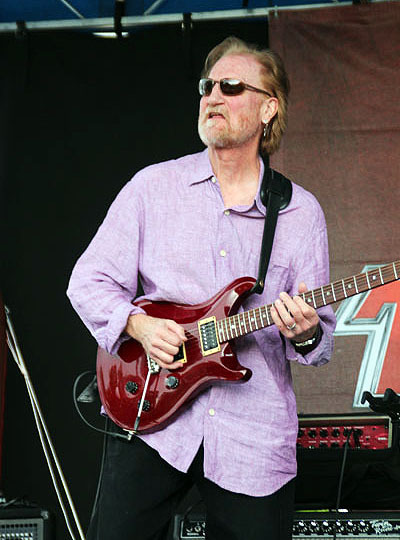 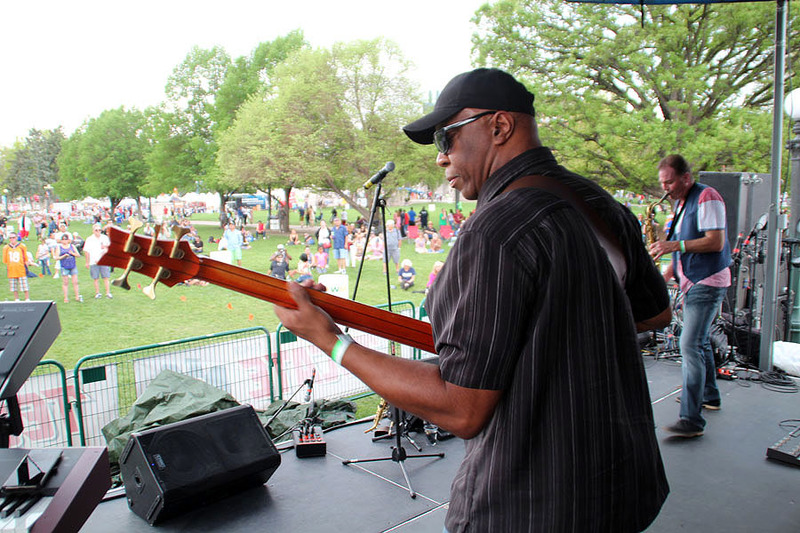 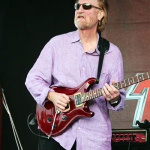 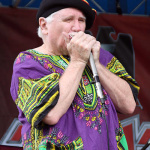 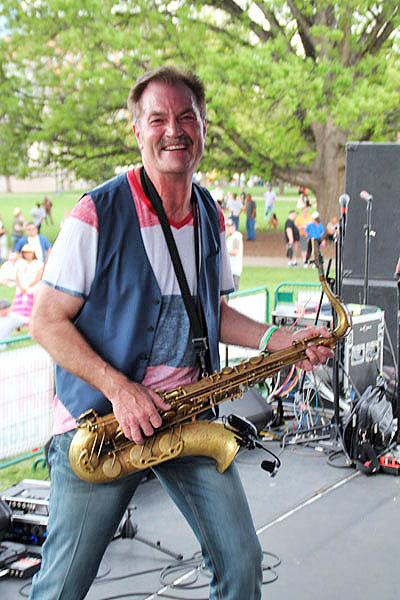 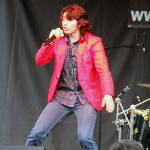 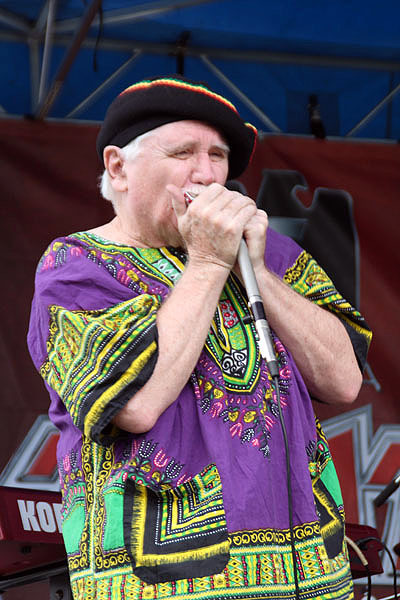 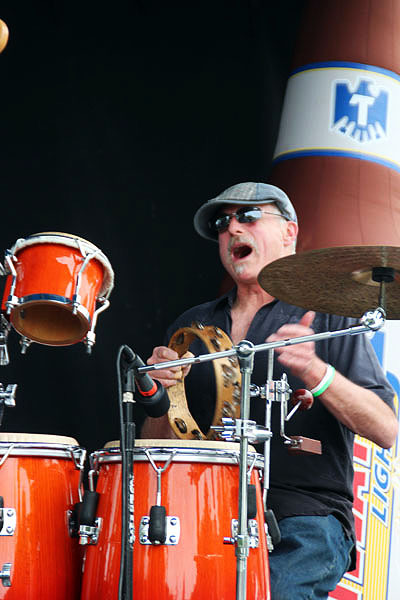 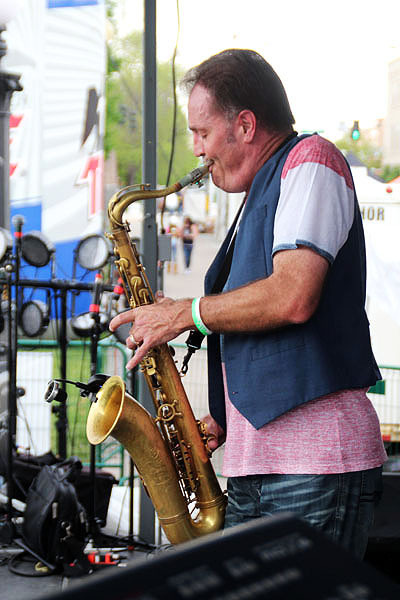 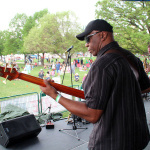 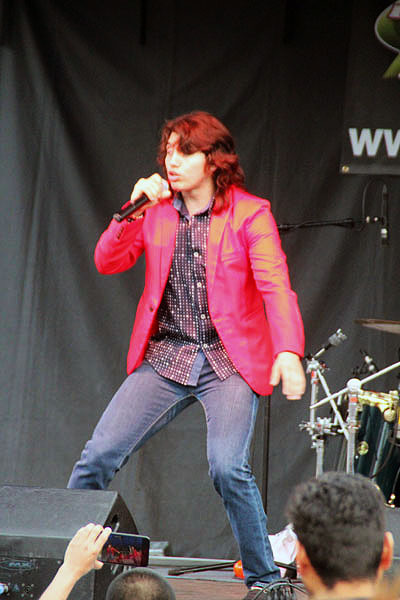 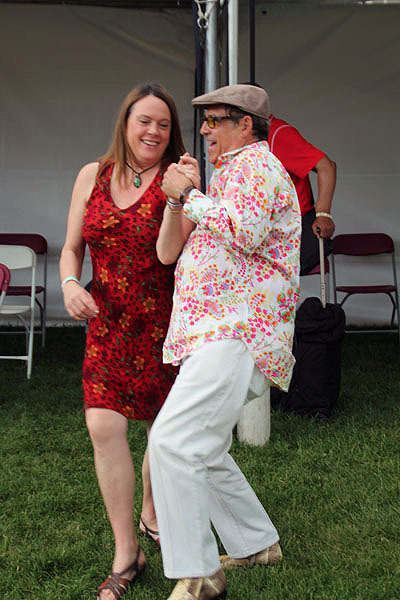 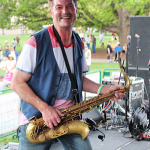 Meanwhile, at the local stage, produced and emceed by Luis Romero, the Cisco Kids band was performing an array of classic hits from the band War. 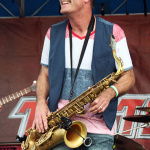 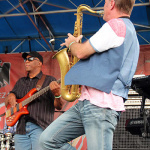 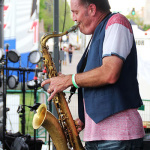 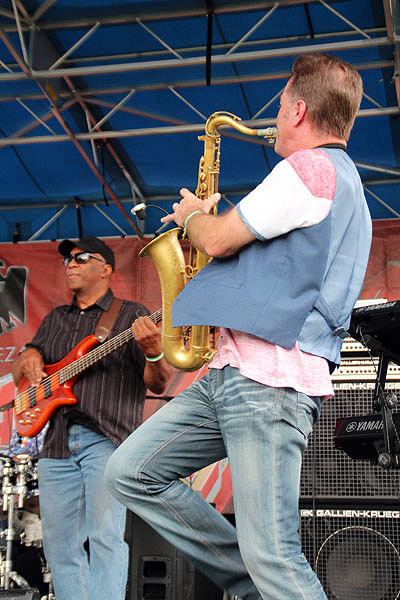 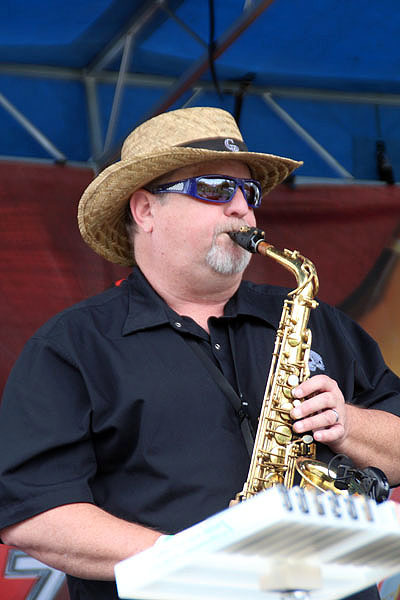 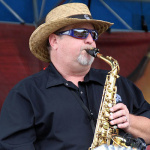 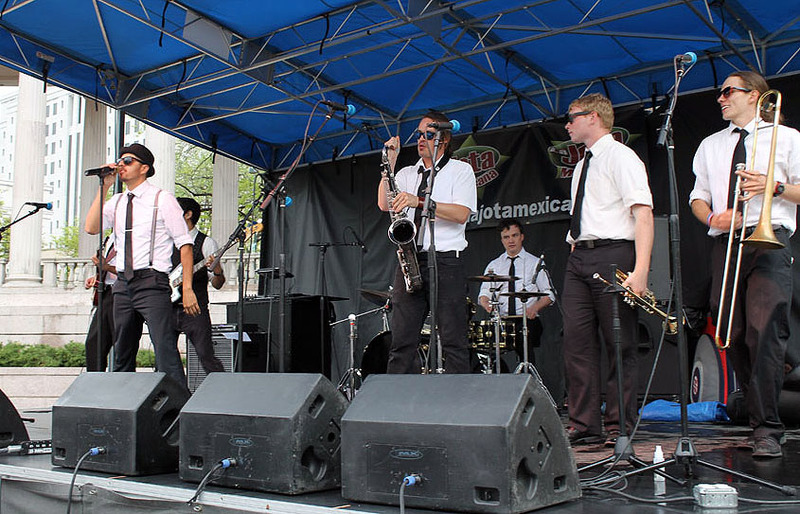 Then it was Dotsero’s turn to tear up the stage with the hot saxophone of it’s band leader. 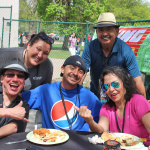 The crowd stayed back a bit under shade tress, out of the warm sun many picnicking on the lawns eating an array of cuisine from the many food vendors at the event. 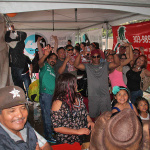 As the clouds began to build the shade they provided was a welcome relief as Chase N The Dream was up next and the crowd grew bigger and got closer. 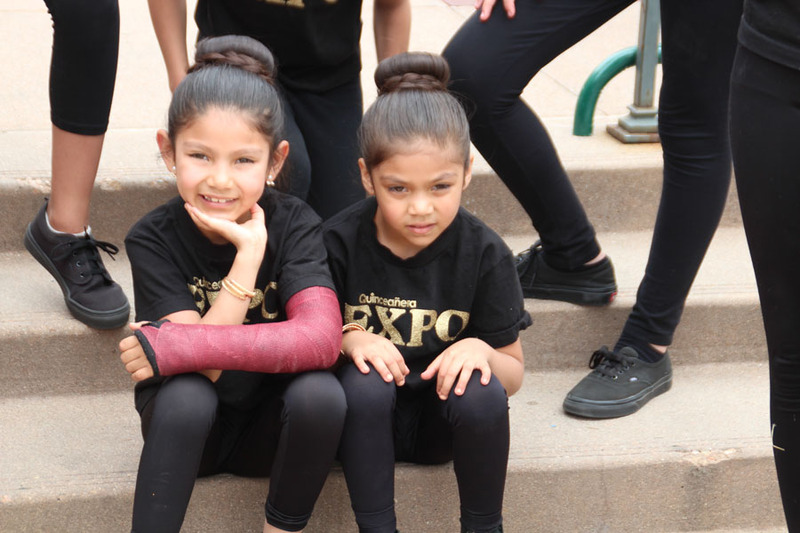 It was now their turn to dance. 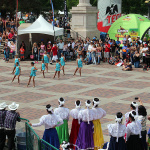 Over at the Main Stage, at the Greek Amphitheater, the clouds and breeze were also welcomed as the Mexican entertainment included Chuma y Los Flores, Dominazion and Mariachi Sol de mi Tierra was serenaded the packed amphitheater with wonderful traditional ballads, like Guadalajara and Cielito Lindo and many others while dancers from Fiesta Colorado Balet Folklorico filled the vast space in front of stage leading out to the seating area. 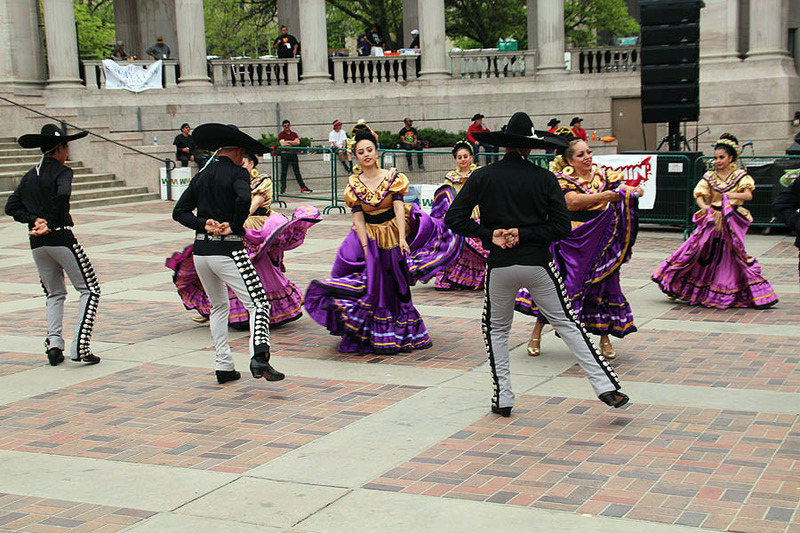 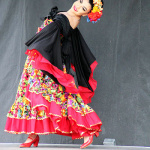 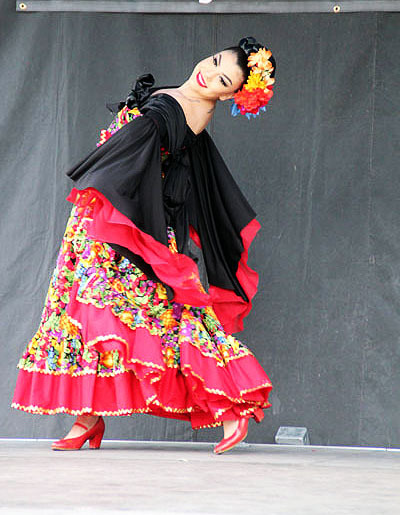 “This one of most beautiful combinations of mariachi and dance I have ever seen seen,” commented one spectator. 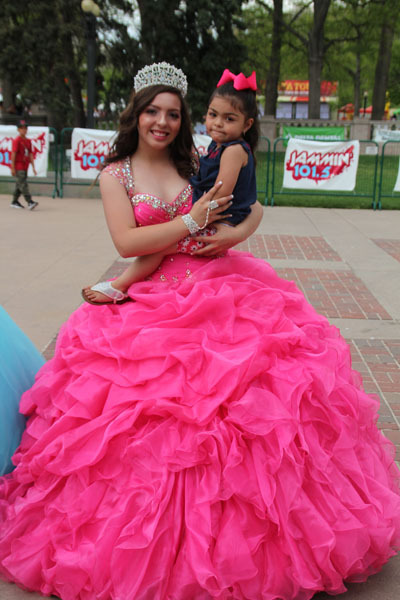 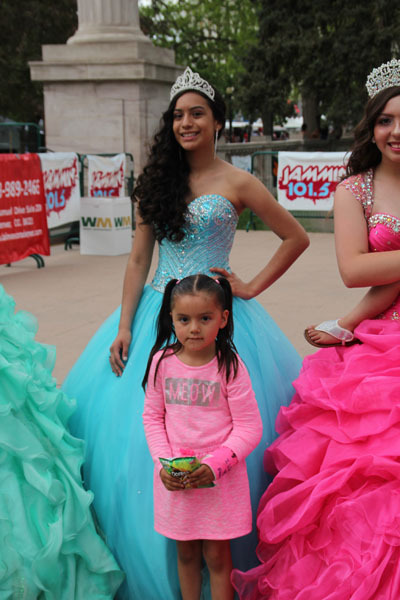 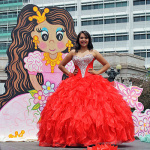 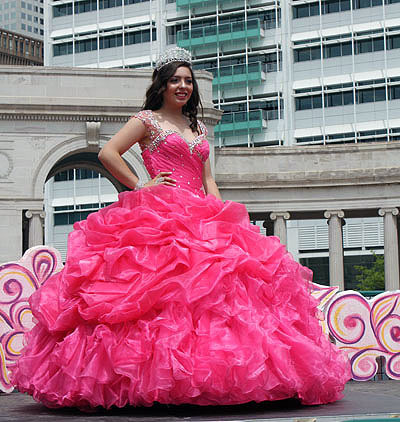 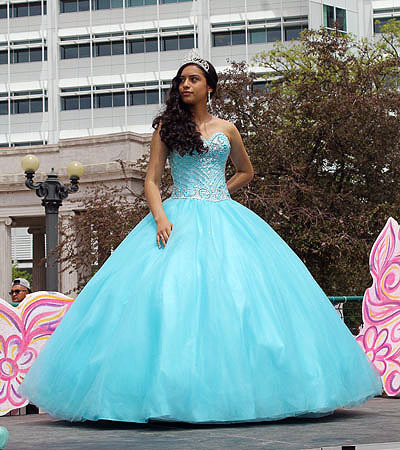 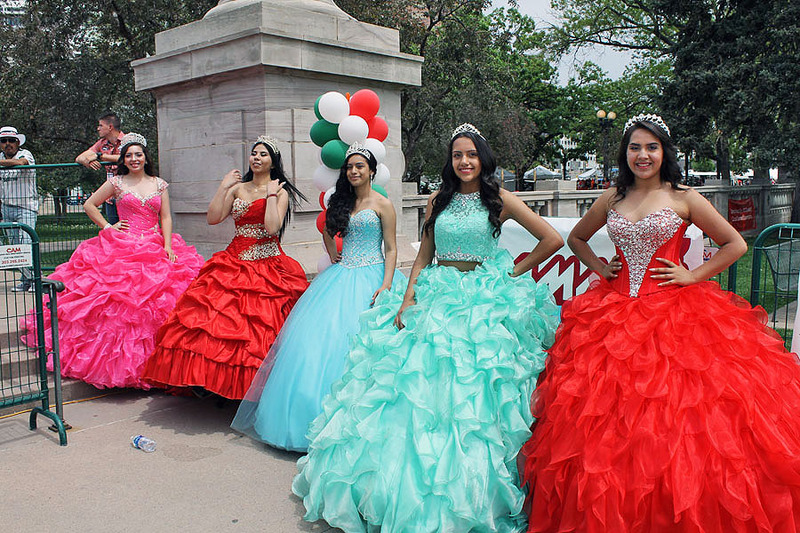 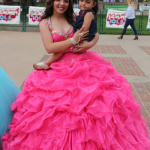 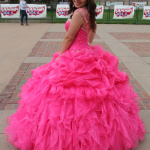 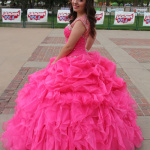 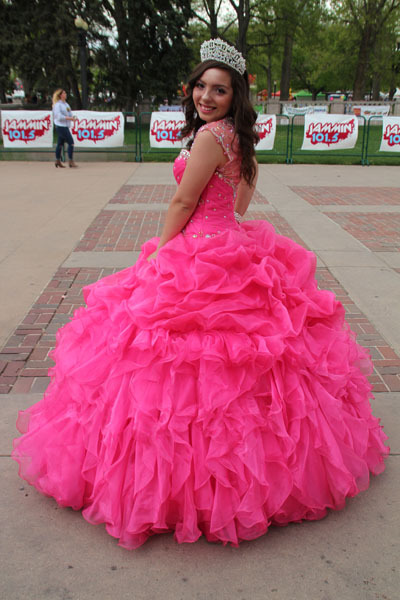 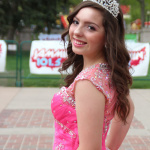 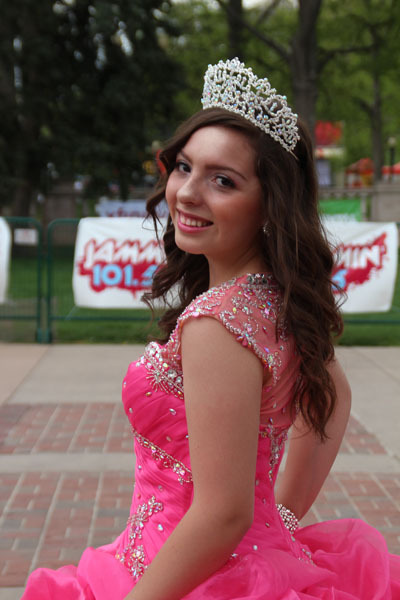 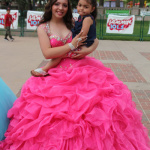 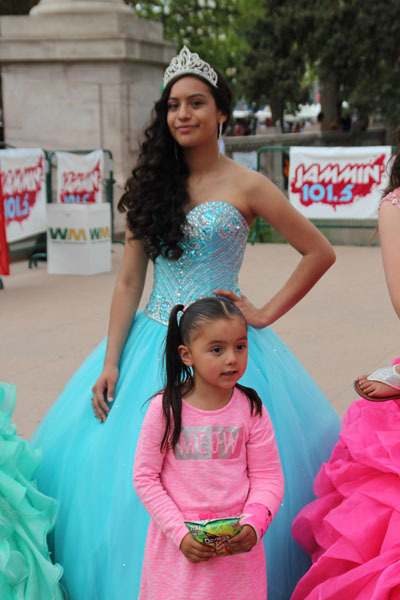 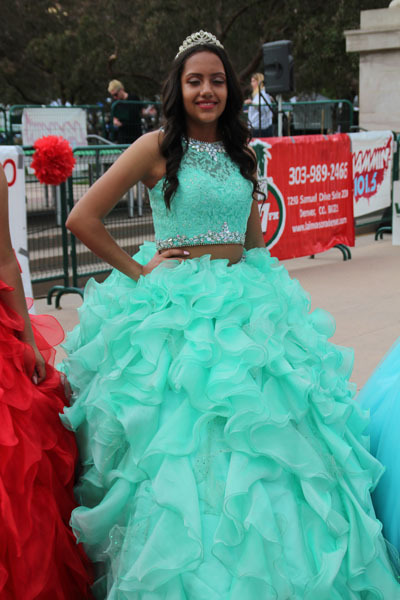 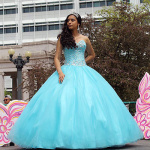 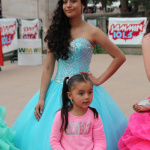 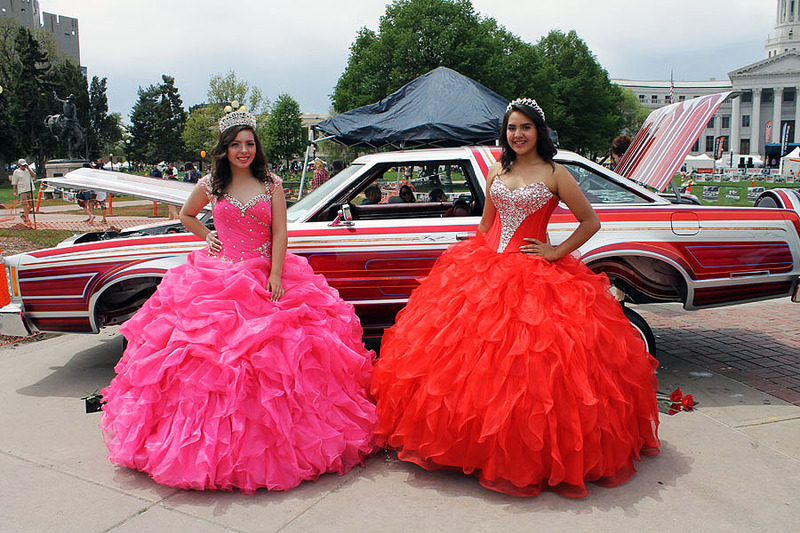 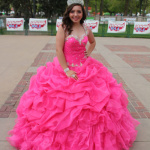 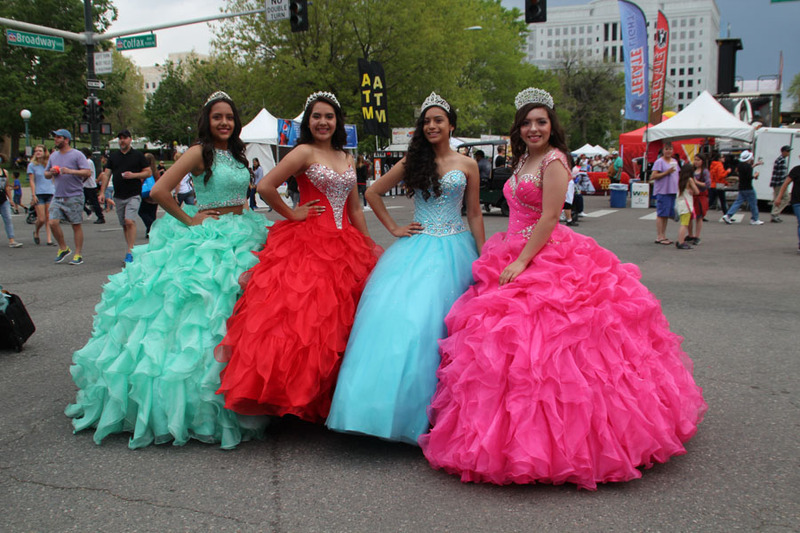 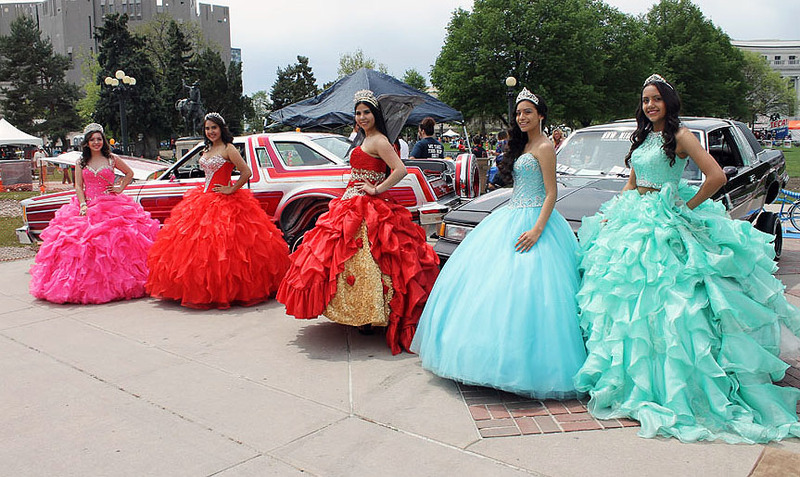 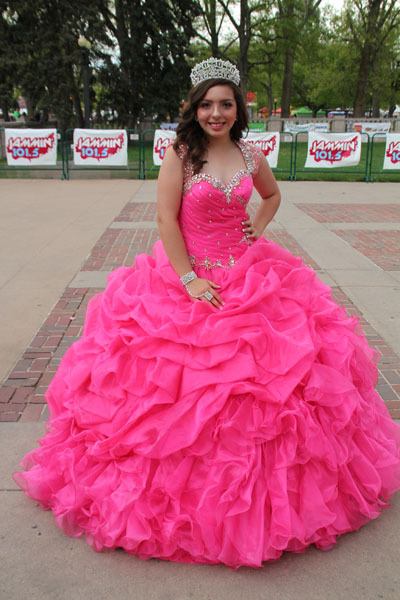 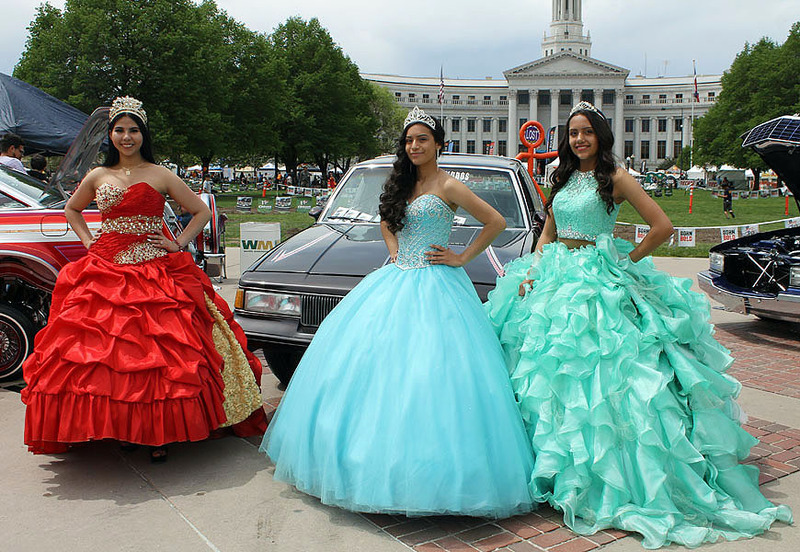 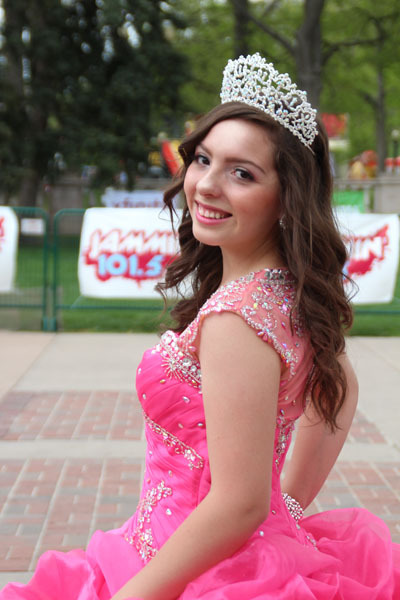 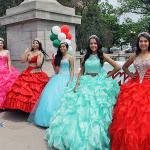 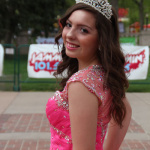 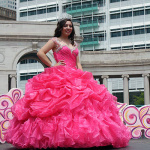 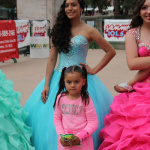 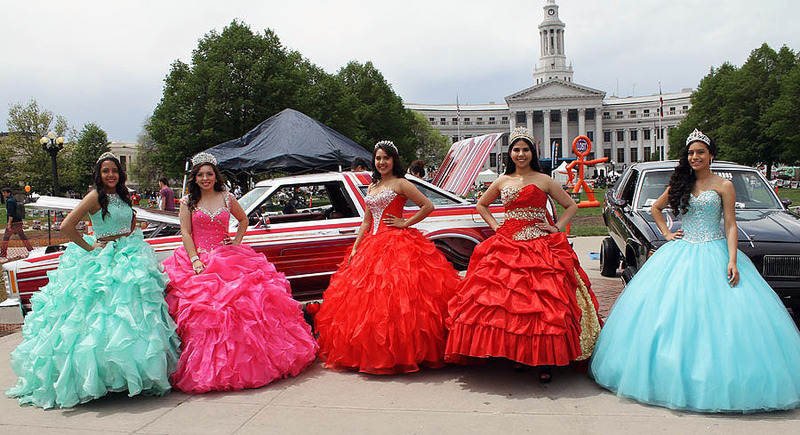 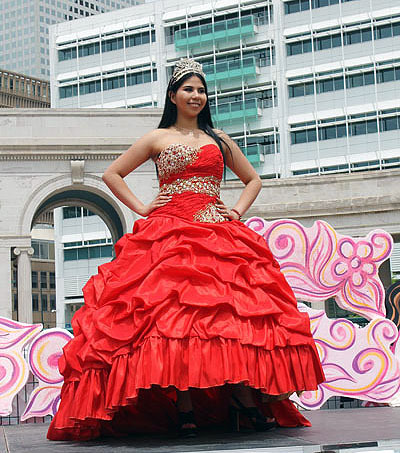 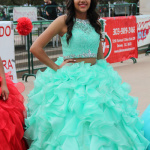 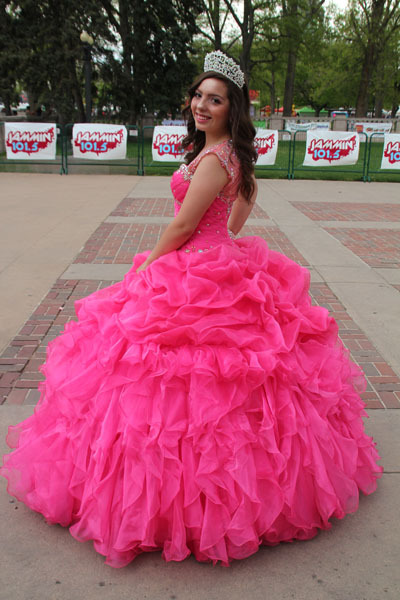 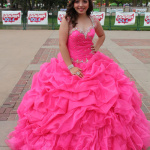 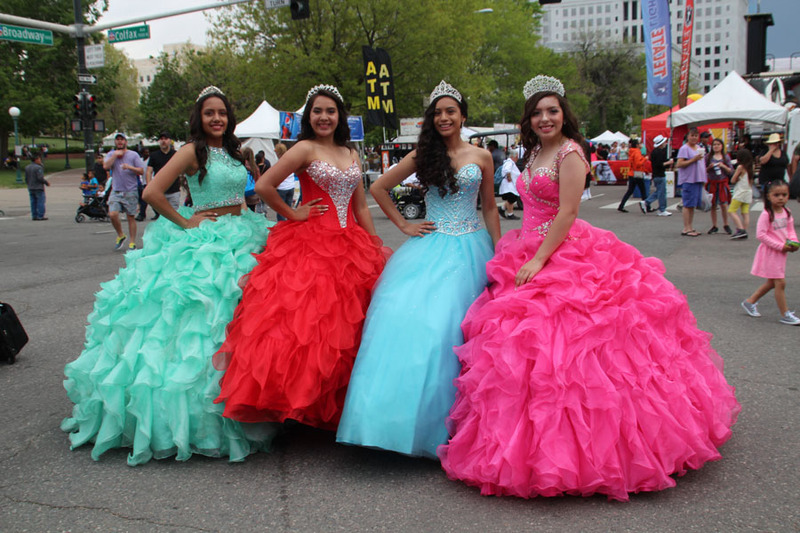 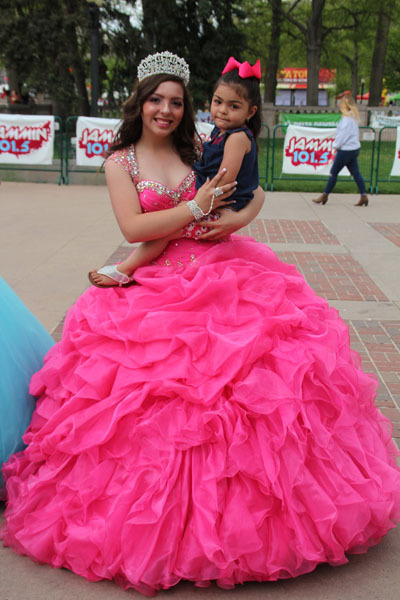 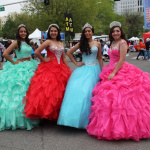 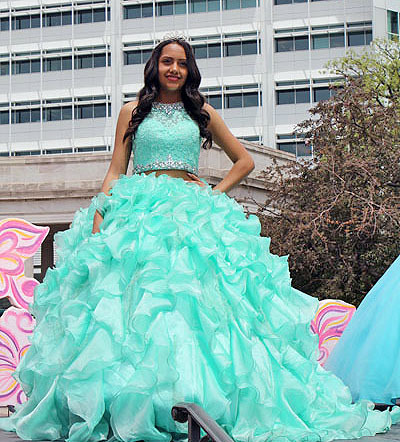 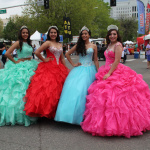 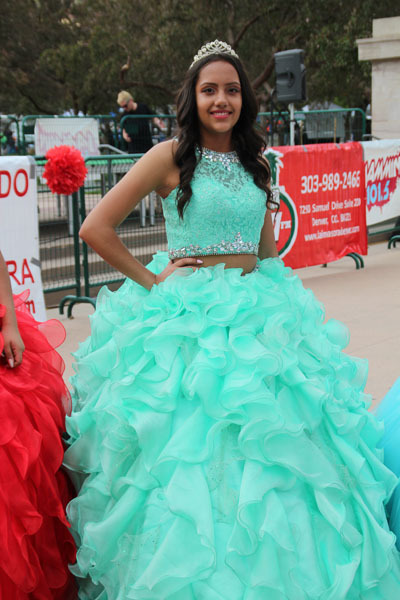 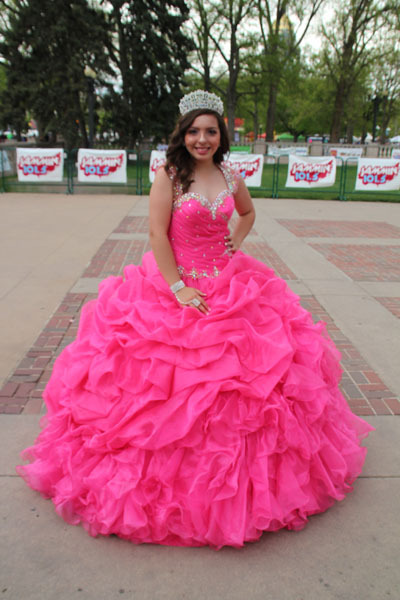 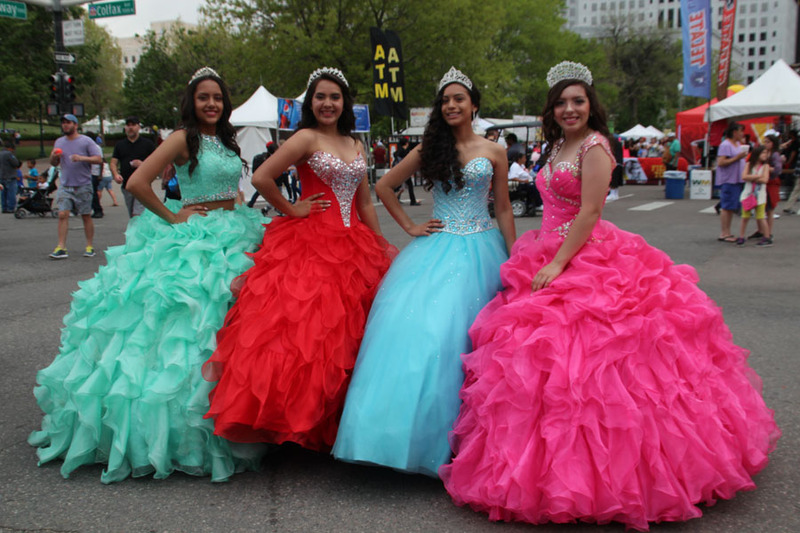 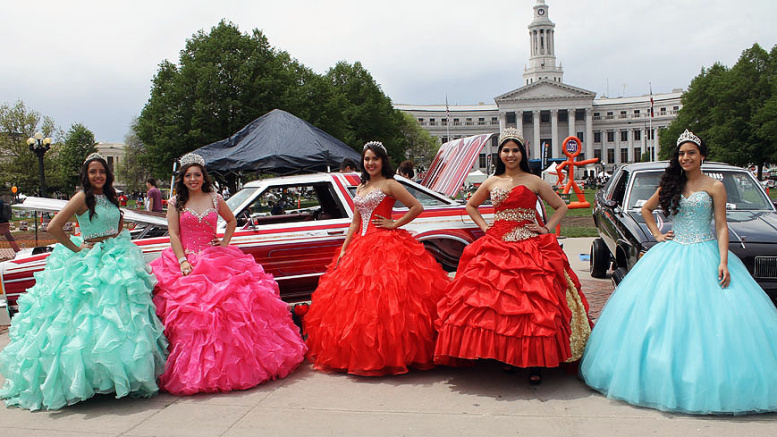 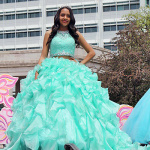 Speaking of beautiful, the Quinceanera Show near the Seal Pond on the north side of the park brought out brought out some amazing gowns worn by aspiring 15 year old girls that just stopped everyone in their tracks in admiration. 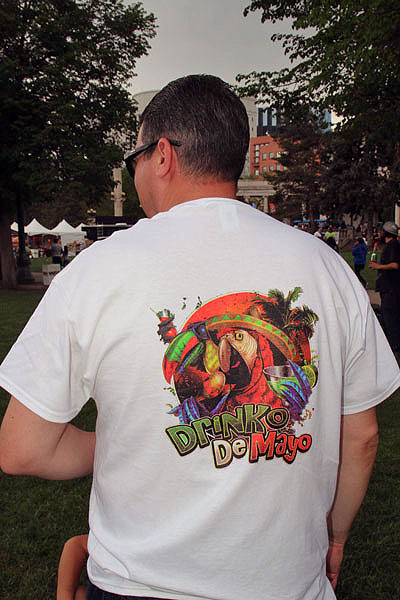 Then it was time for the what has become the favorite event for many at Cinco de Mayo. 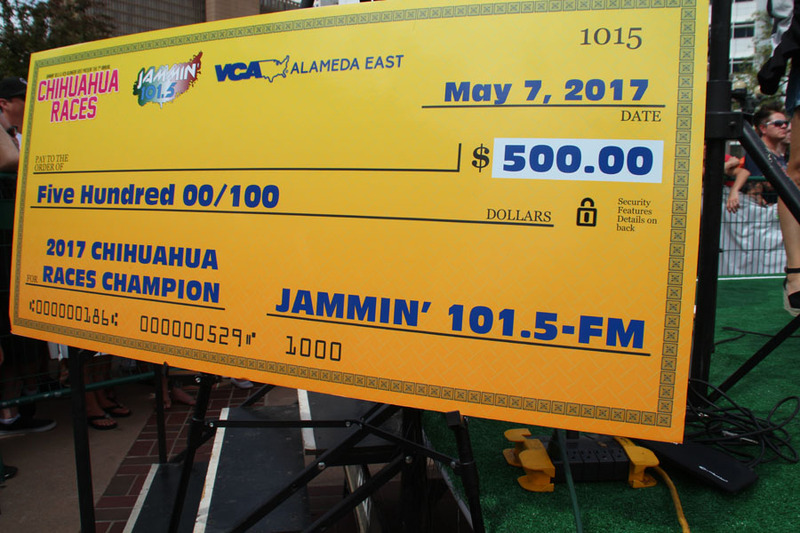 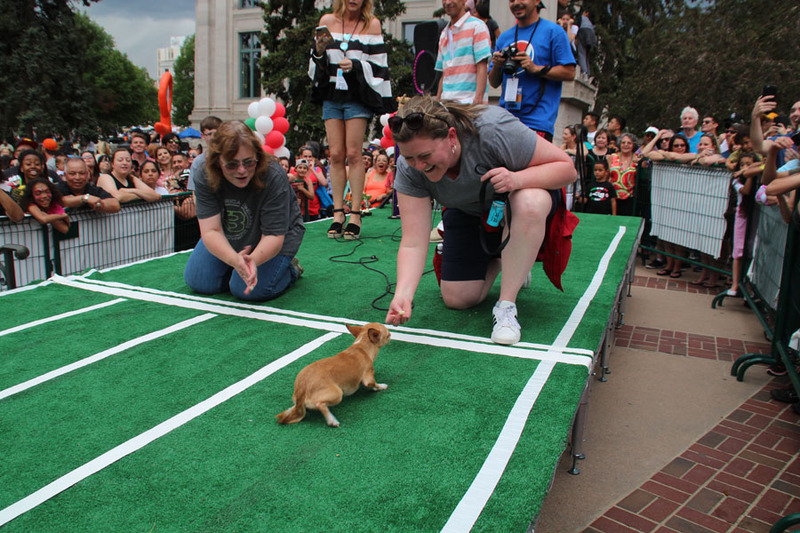 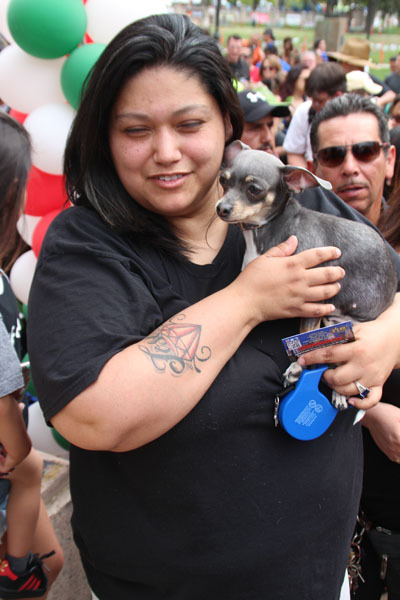 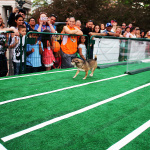 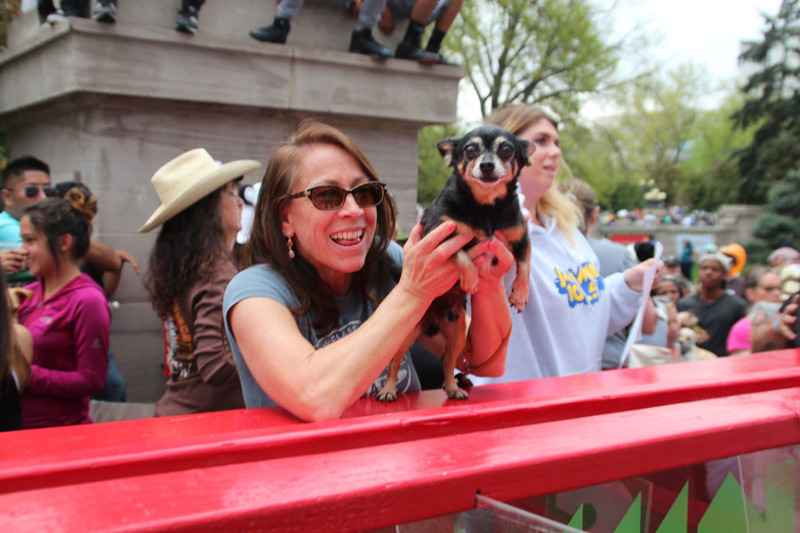 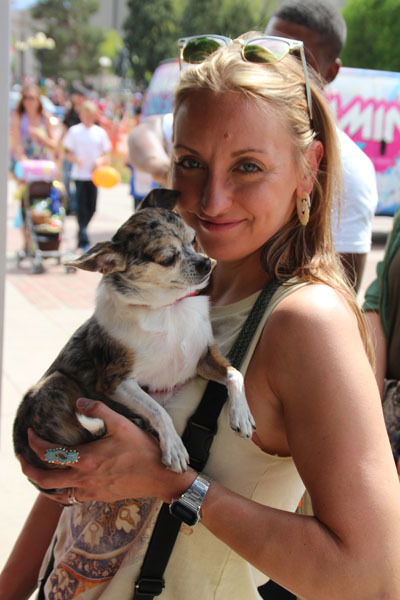 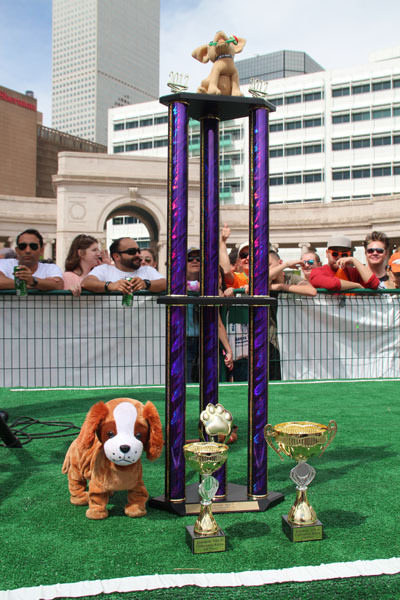 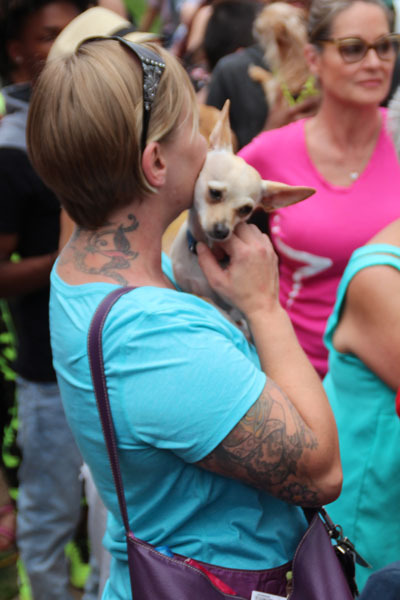 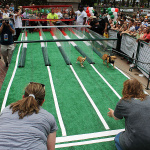 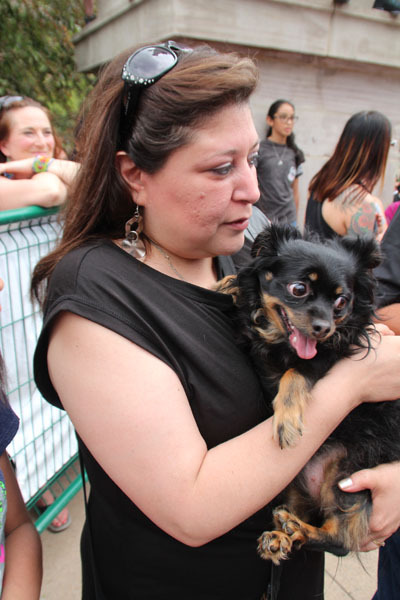 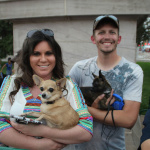 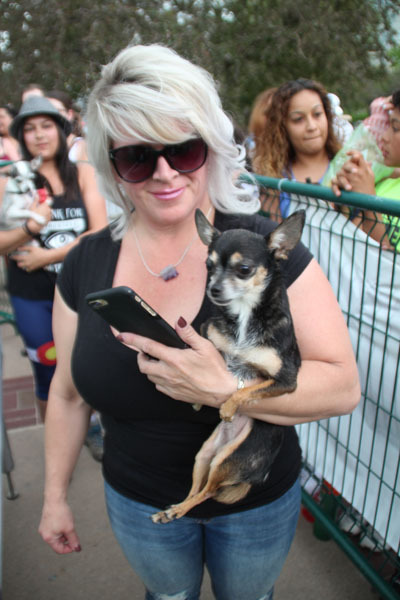 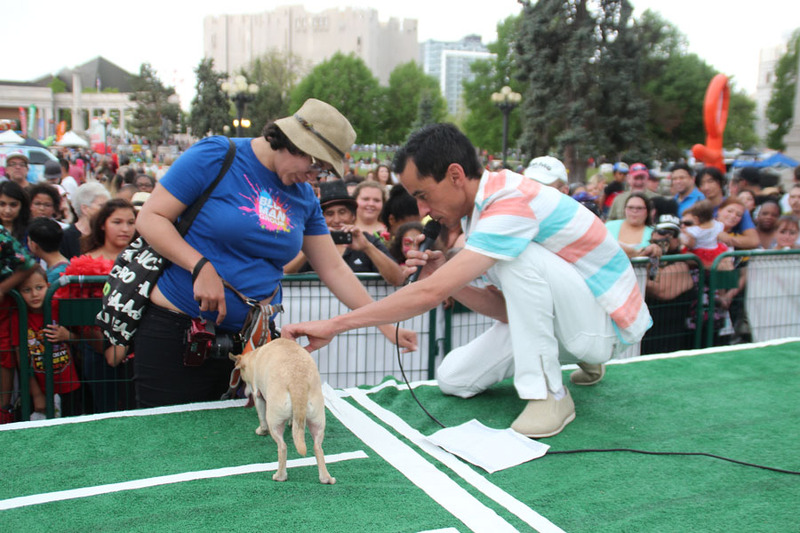 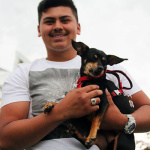 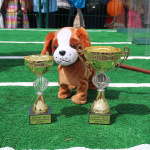 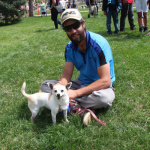 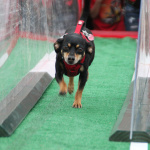 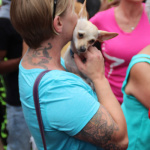 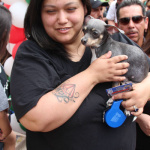 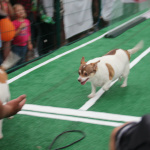 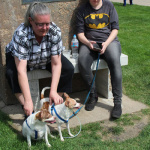 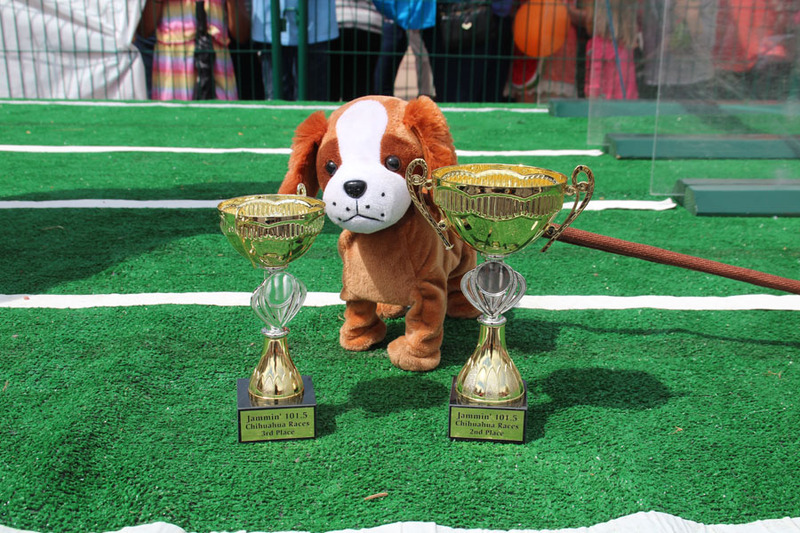 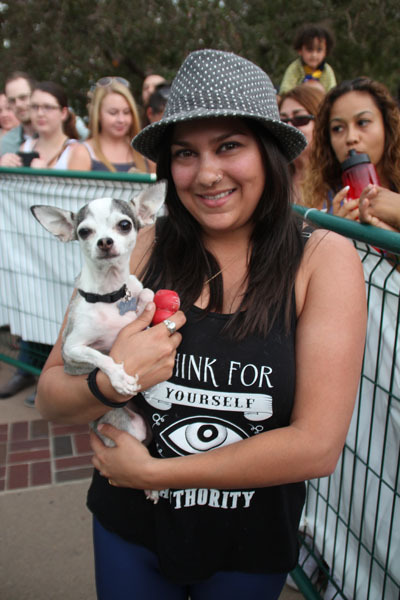 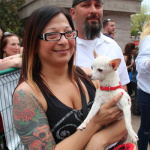 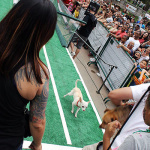 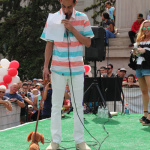 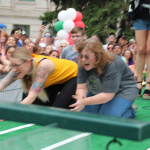 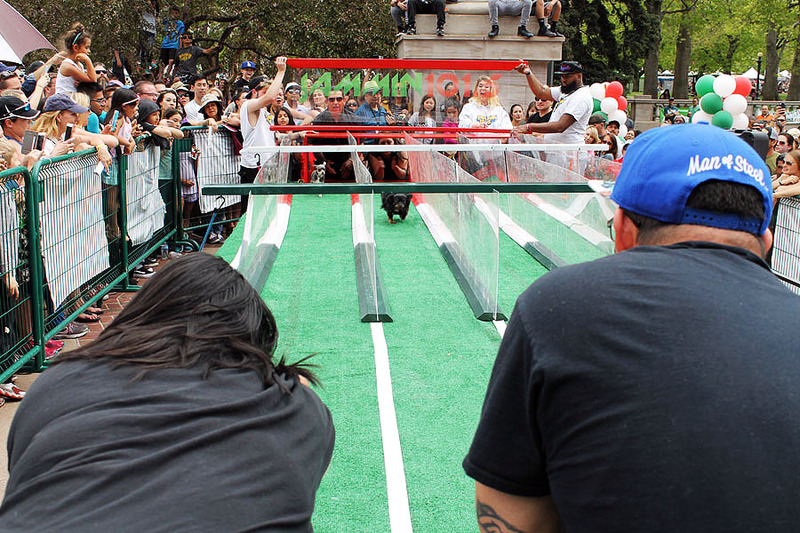 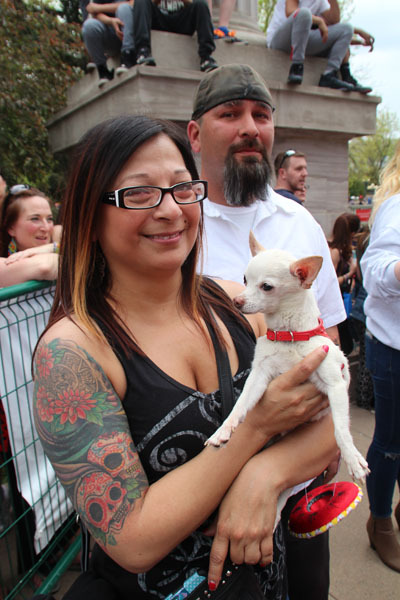 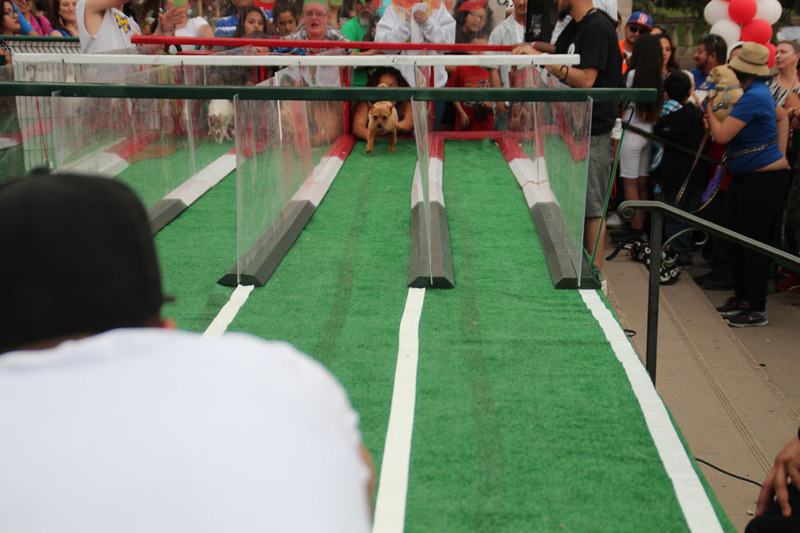 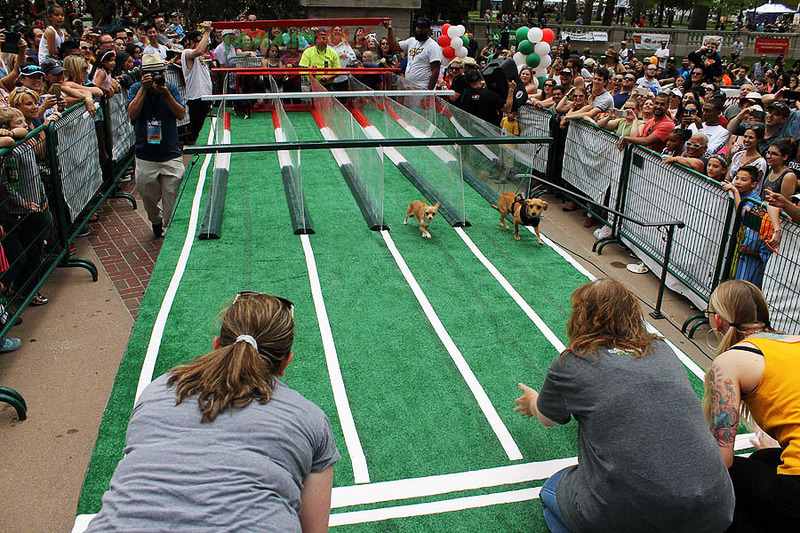 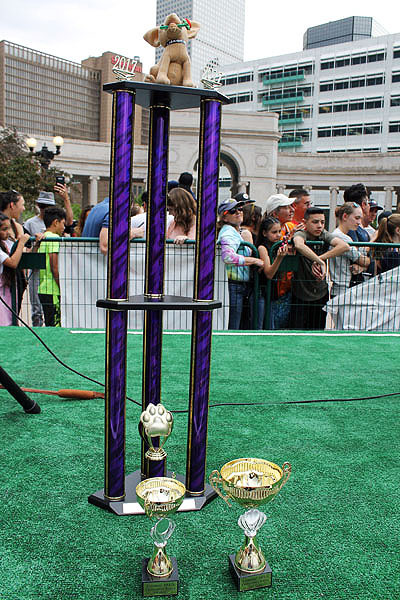 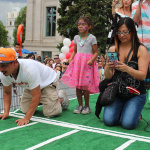 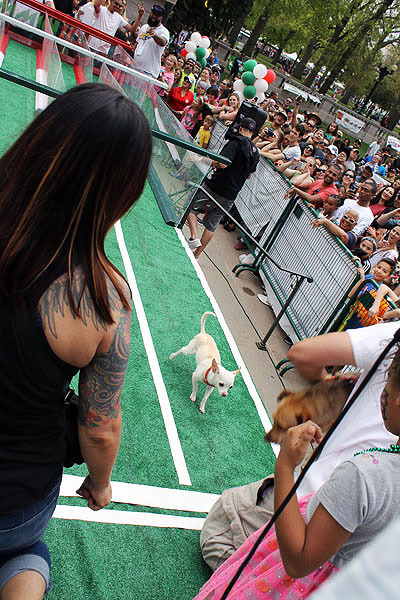 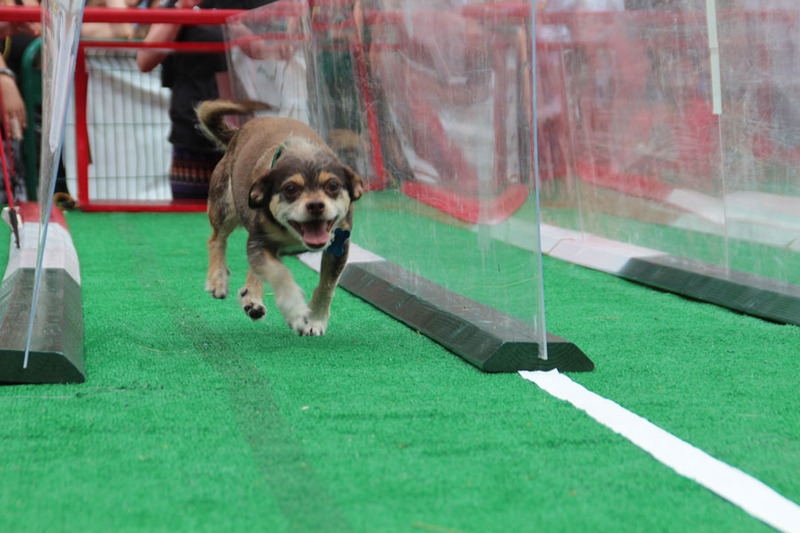 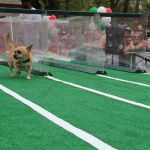 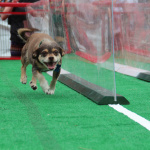 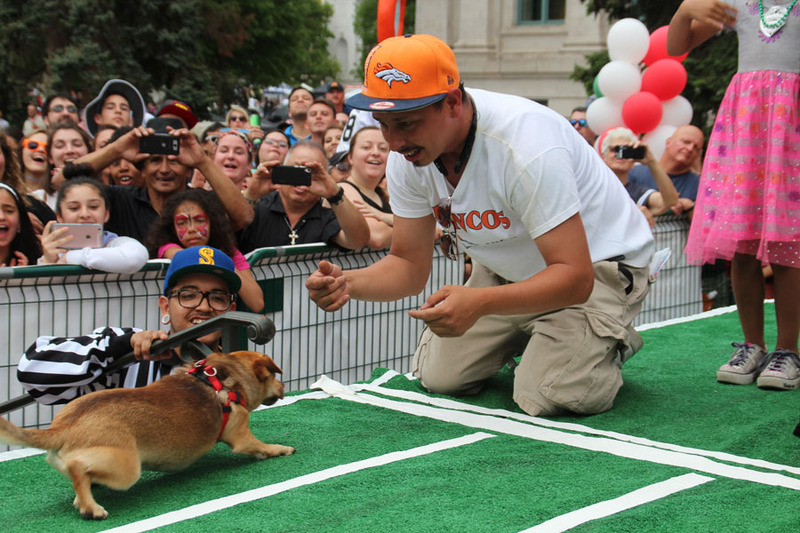 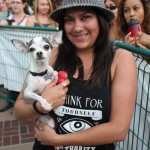 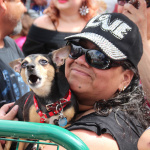 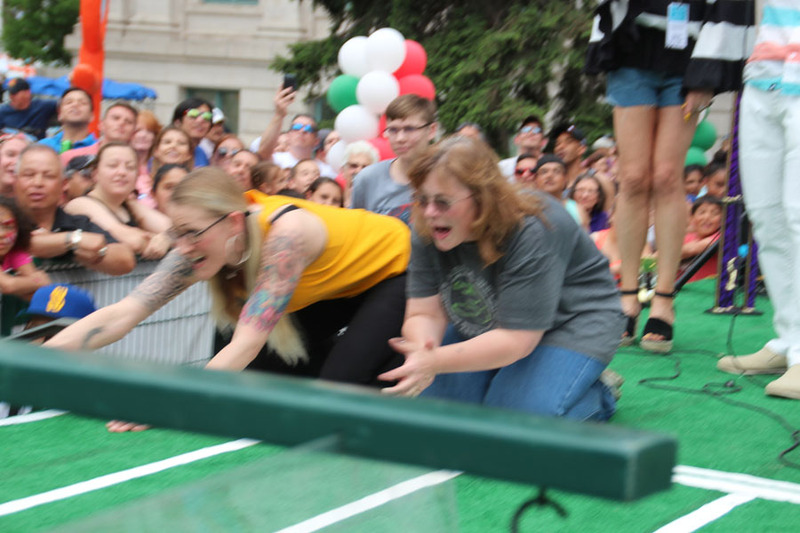 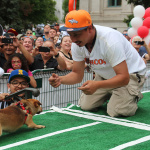 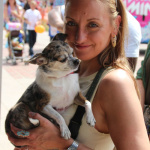 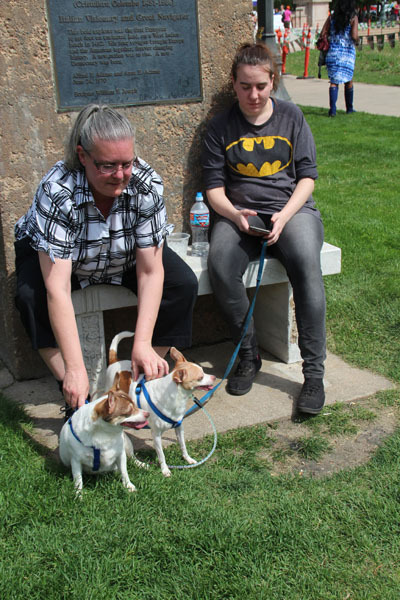 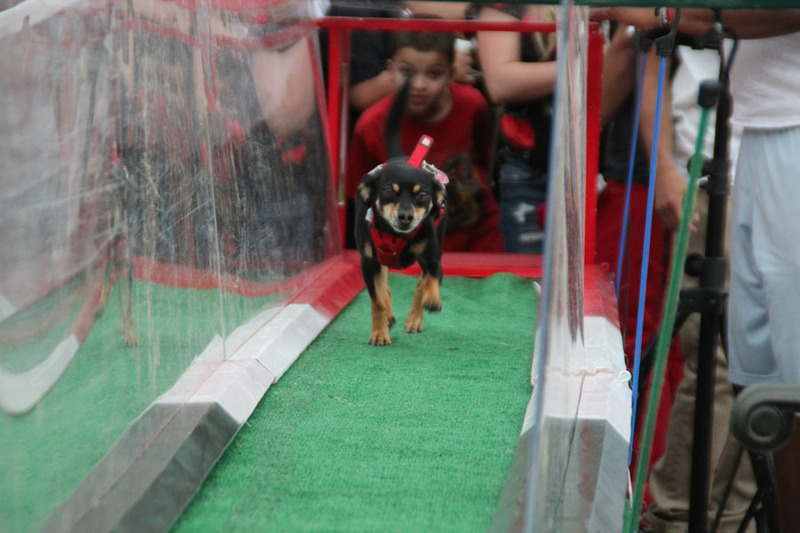 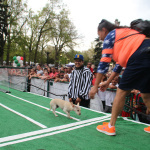 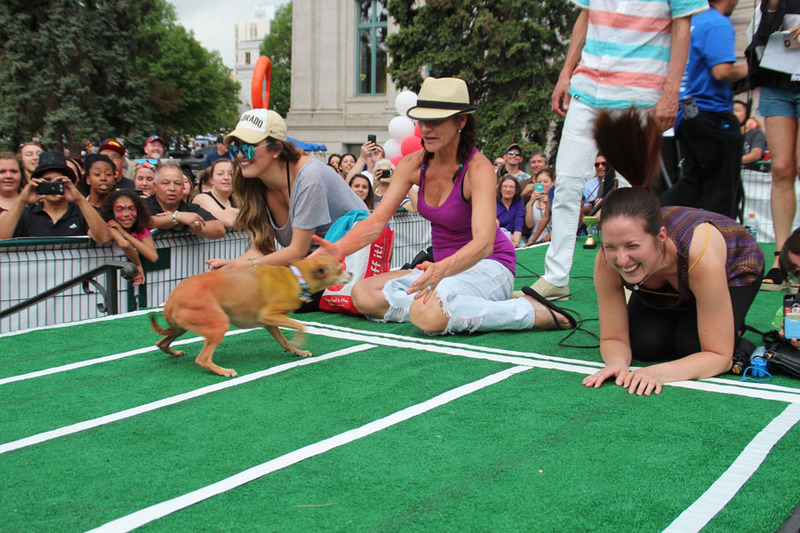 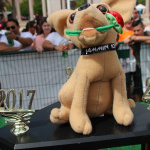 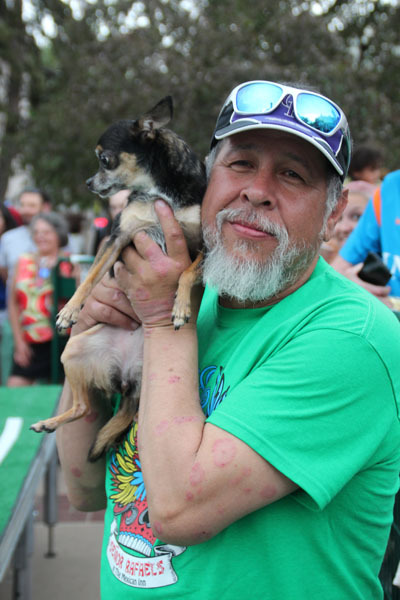 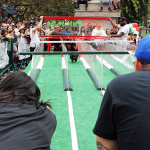 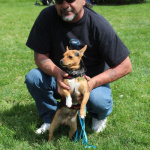 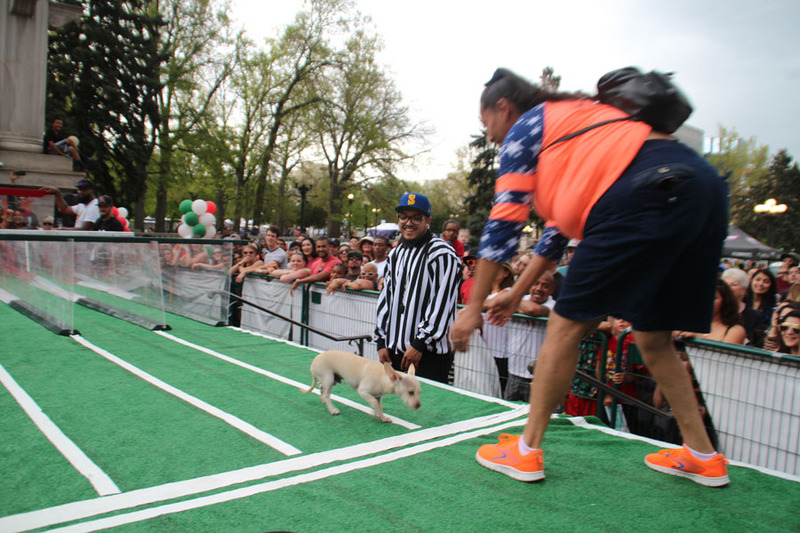 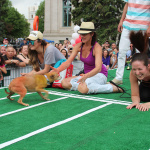 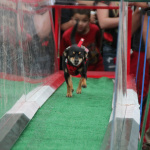 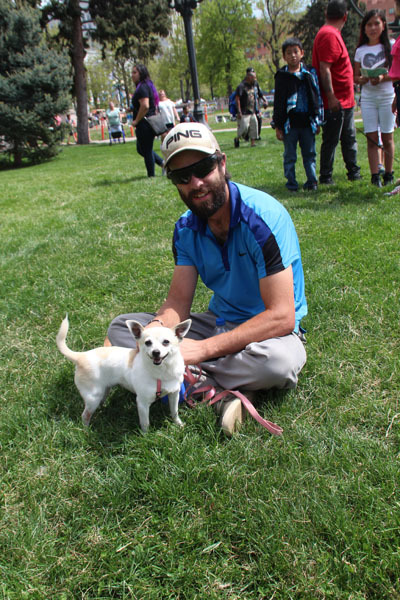 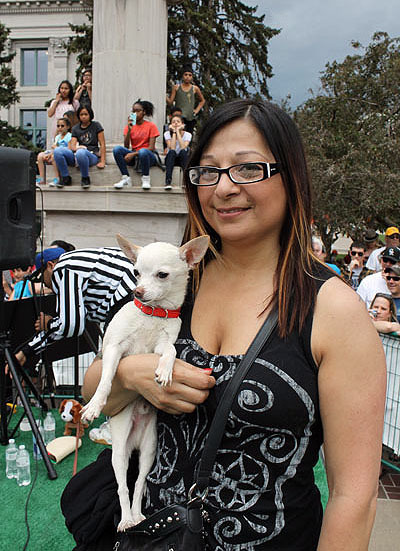 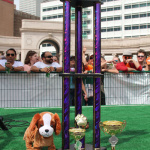 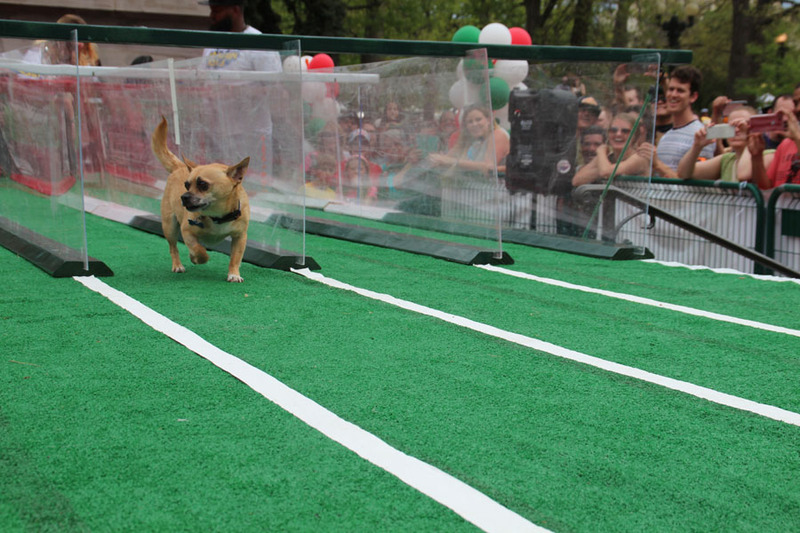 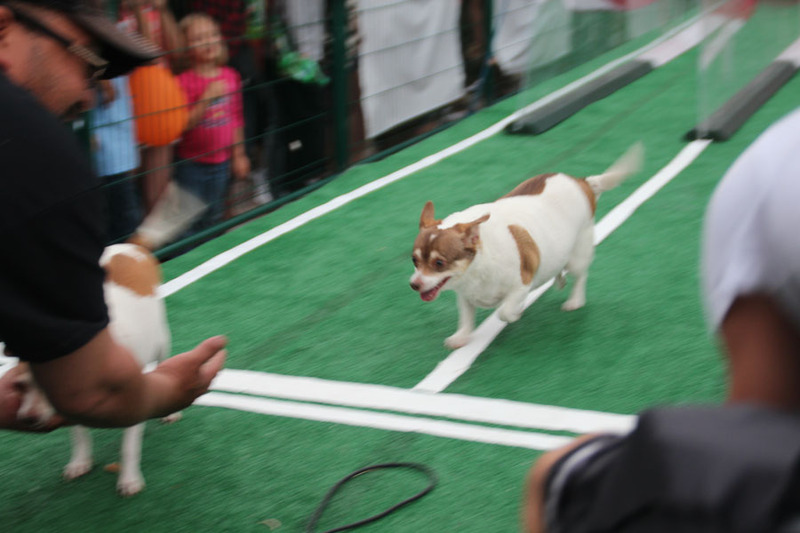 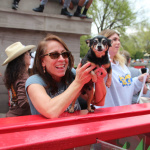 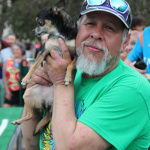 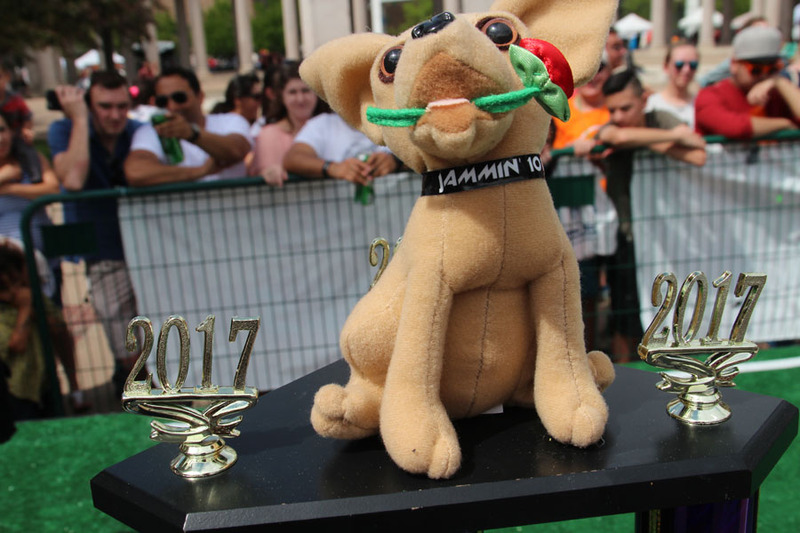 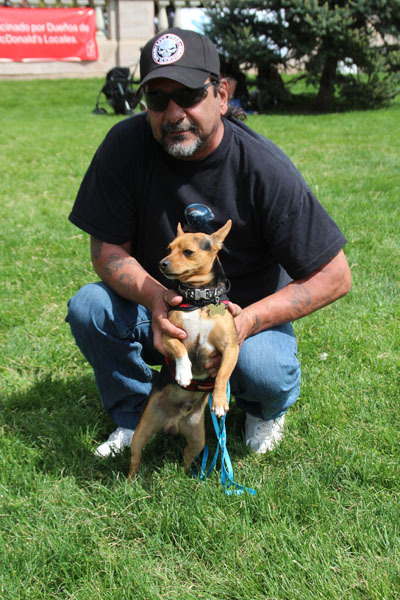 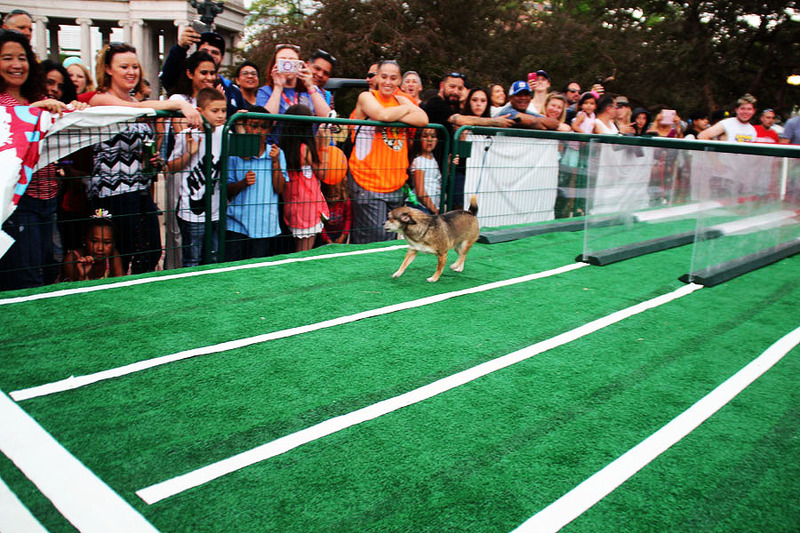 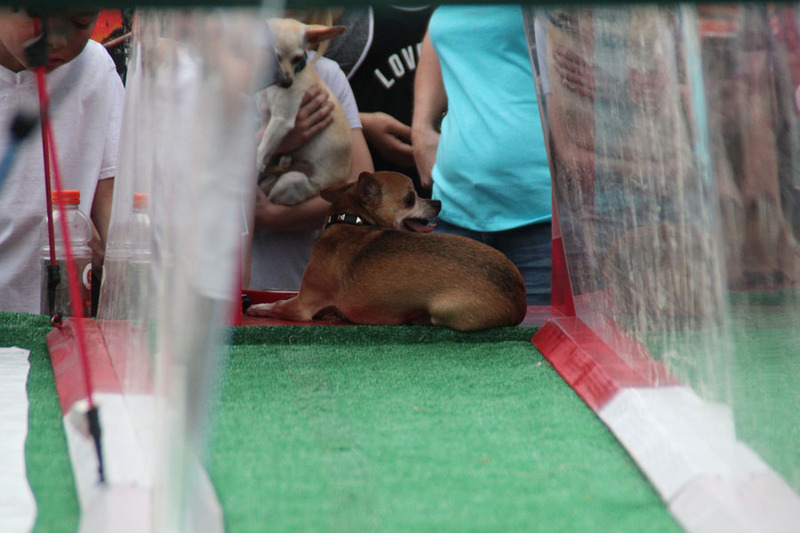 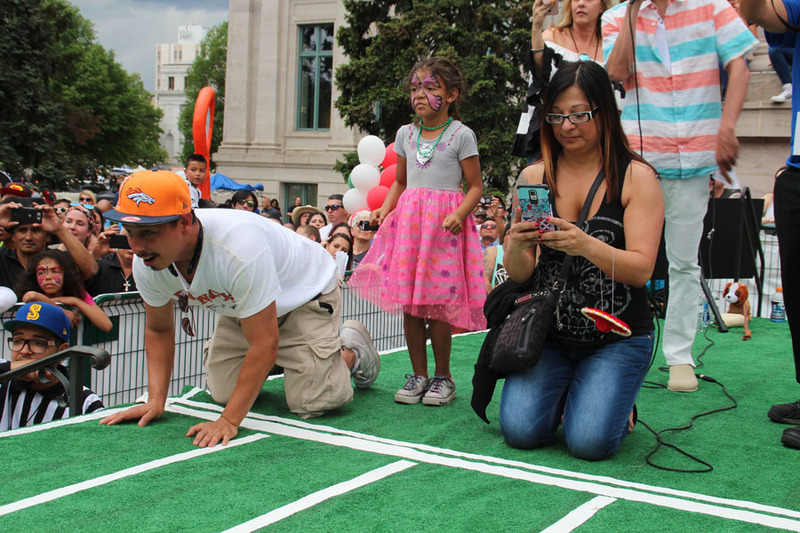 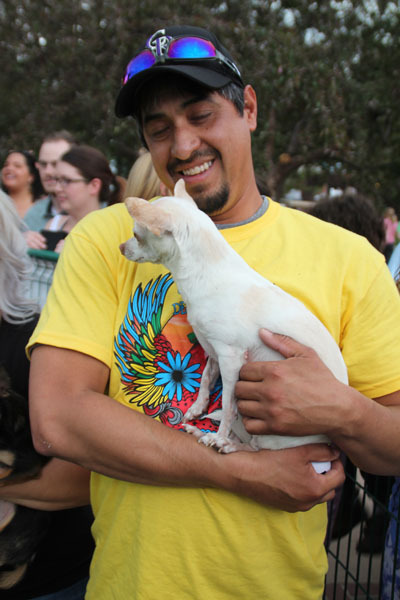 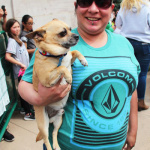 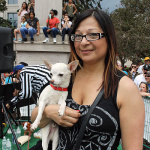 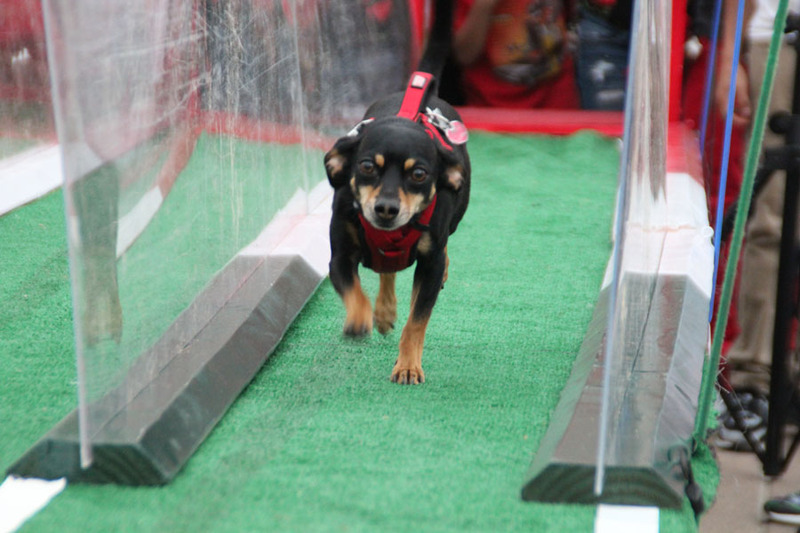 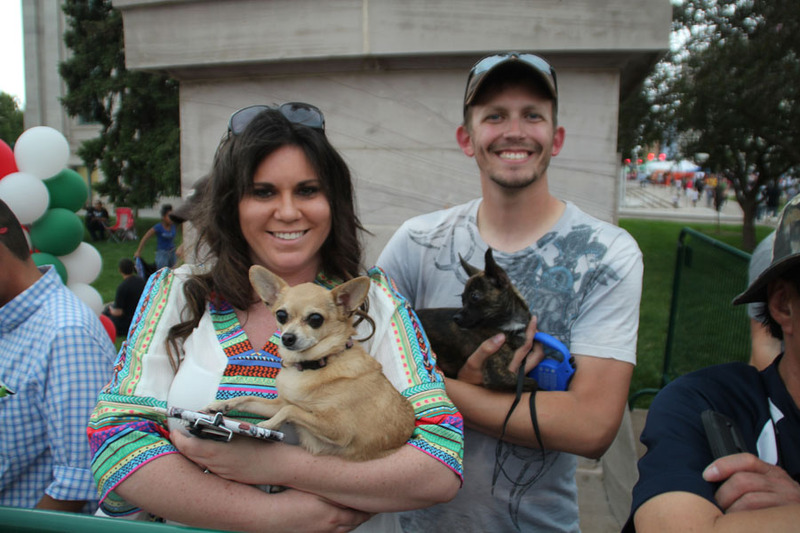 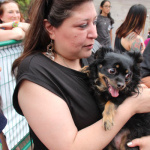 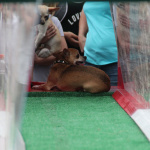 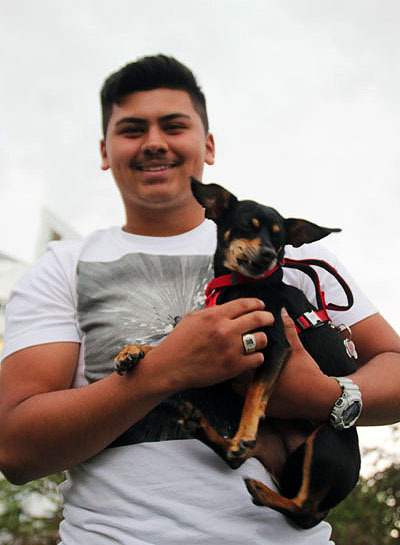 The Chihuahua Races continue to grow in popularity since it’s inception a few years ago when only 17 chihuahua’s raced on a small patch of grass to more that 150 contestants this year running down a track custom made for them. 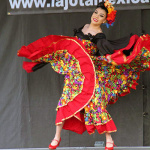 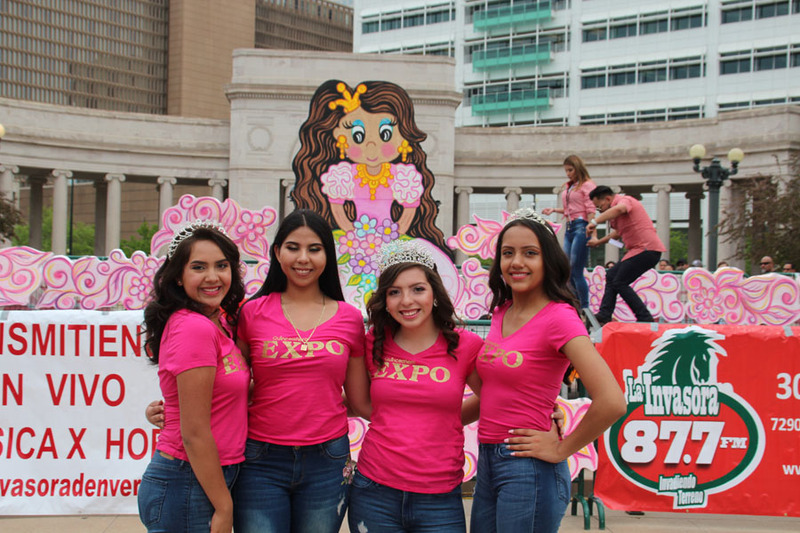 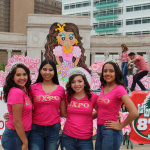 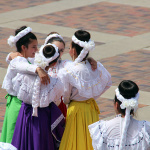 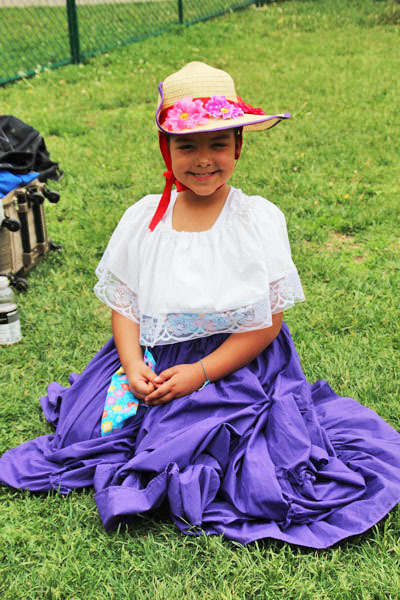 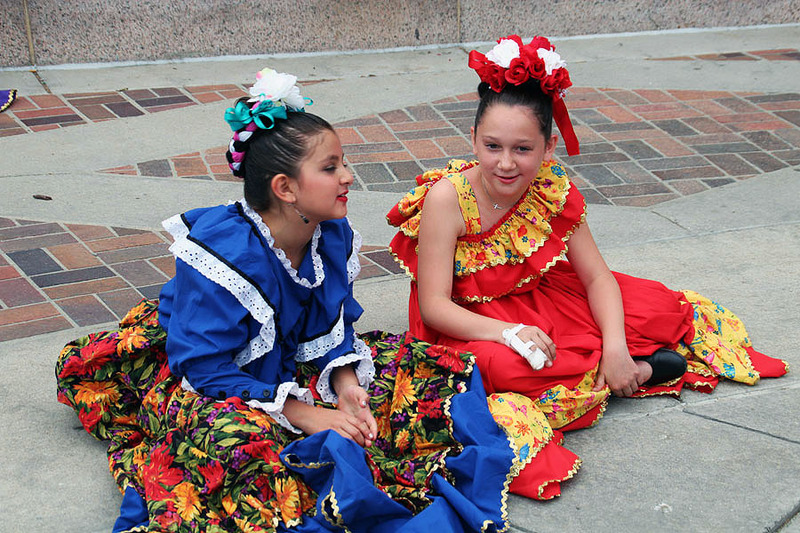 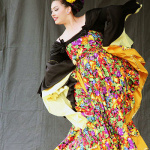 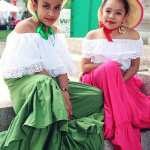 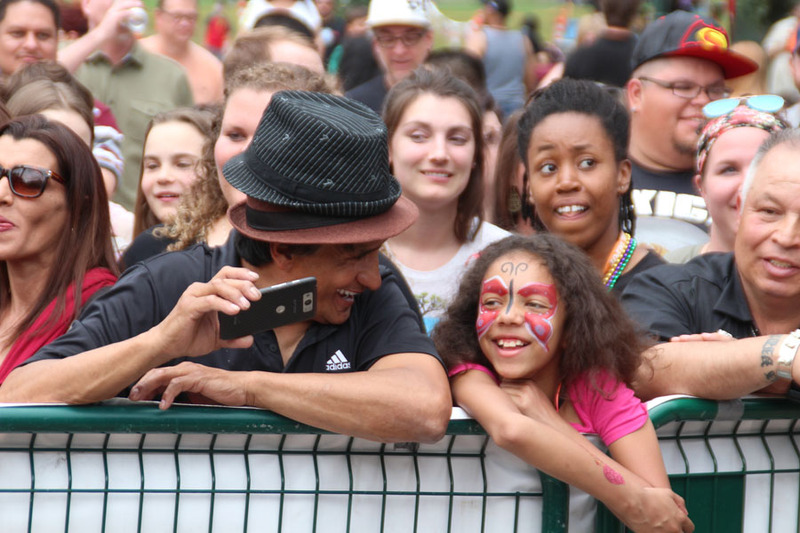 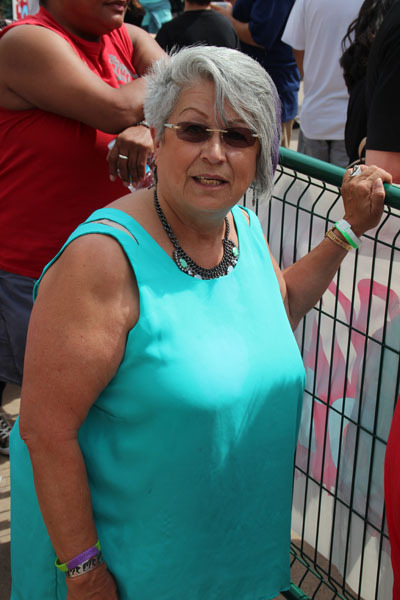 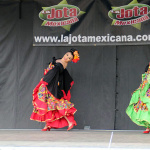 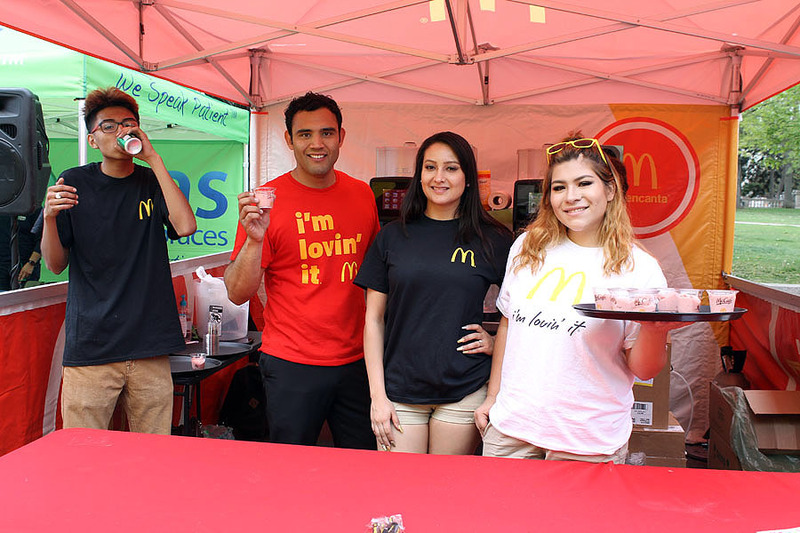 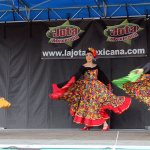 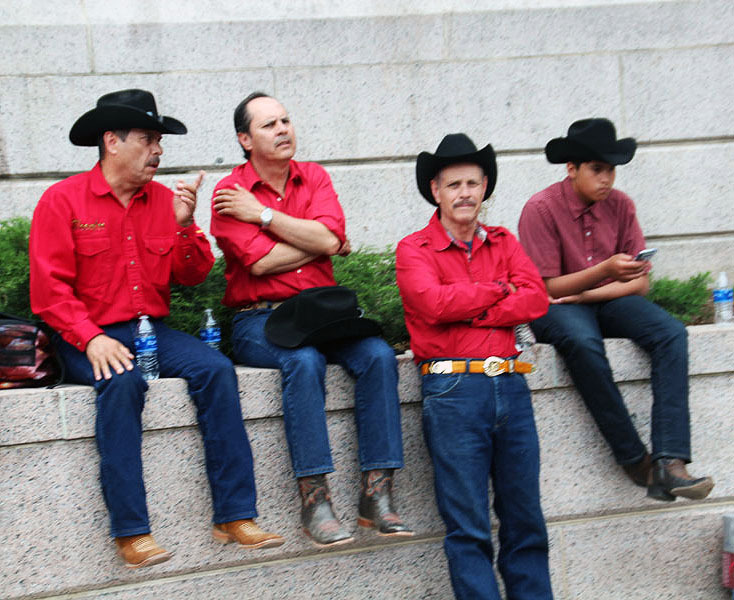 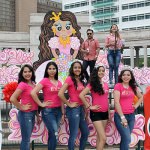 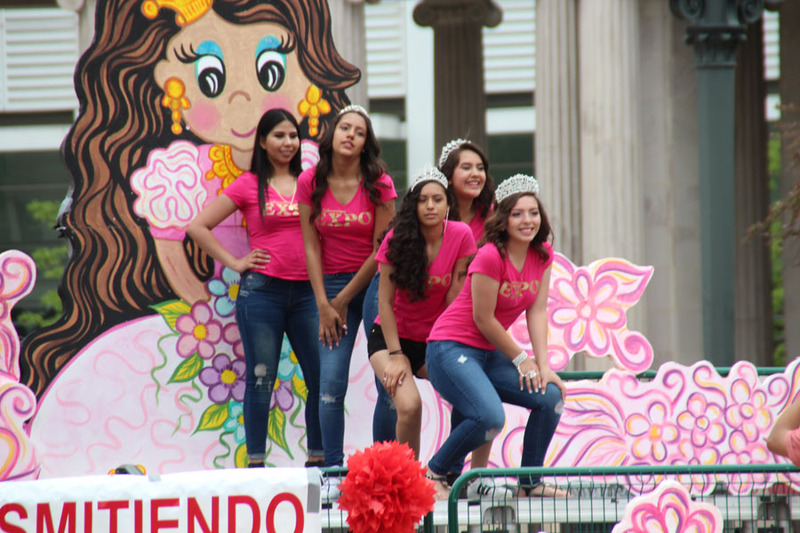 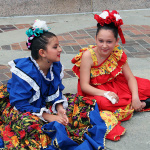 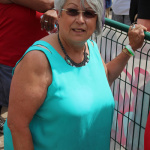 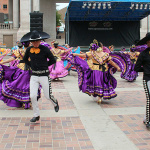 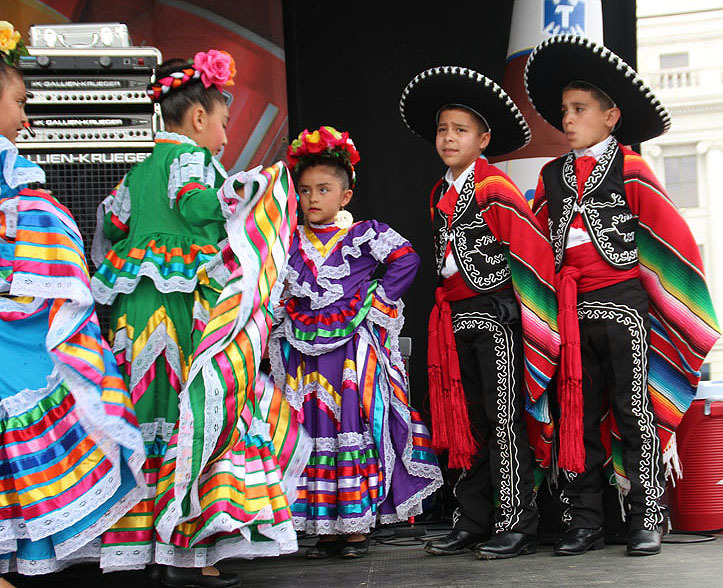 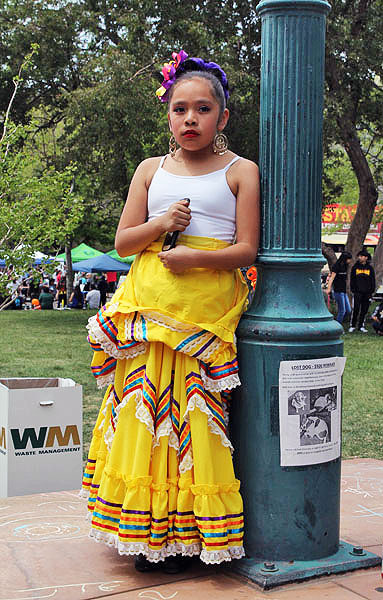 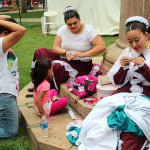 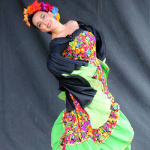 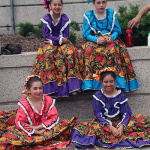 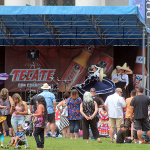 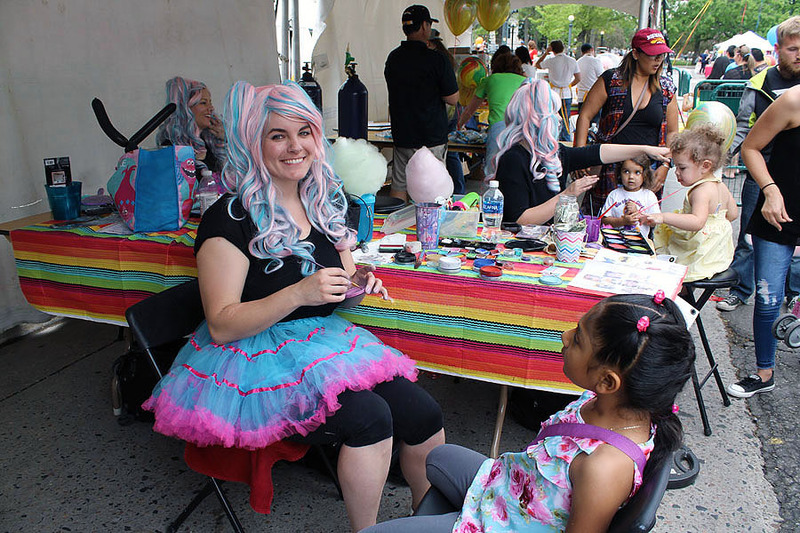 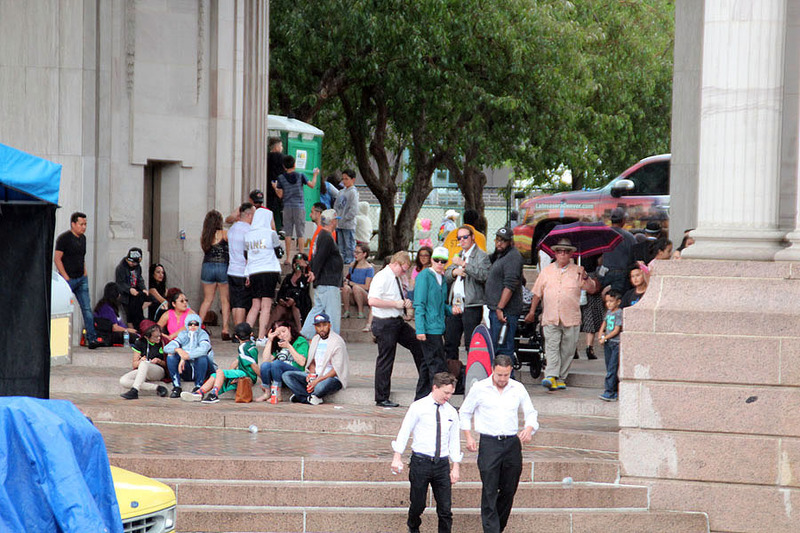 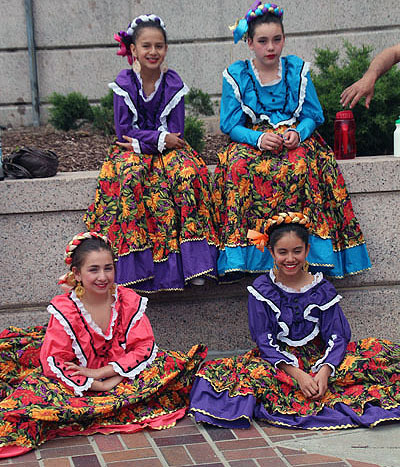 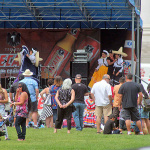 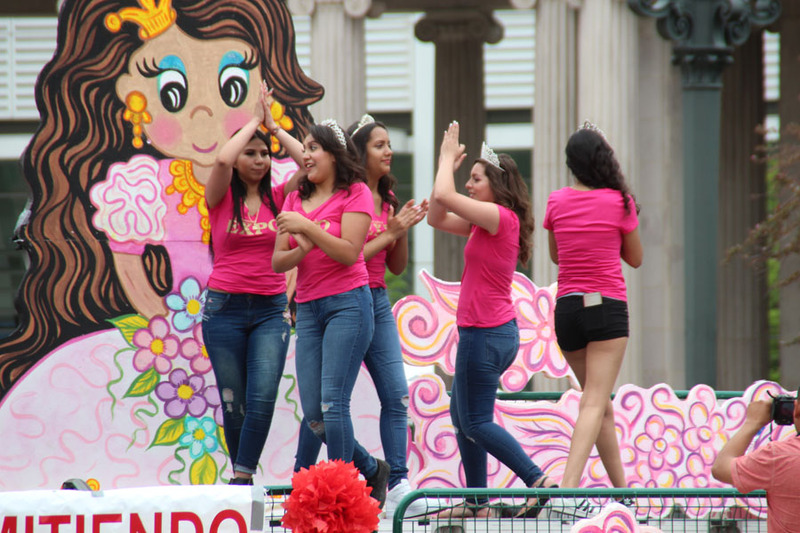 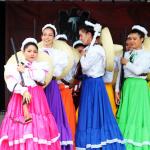 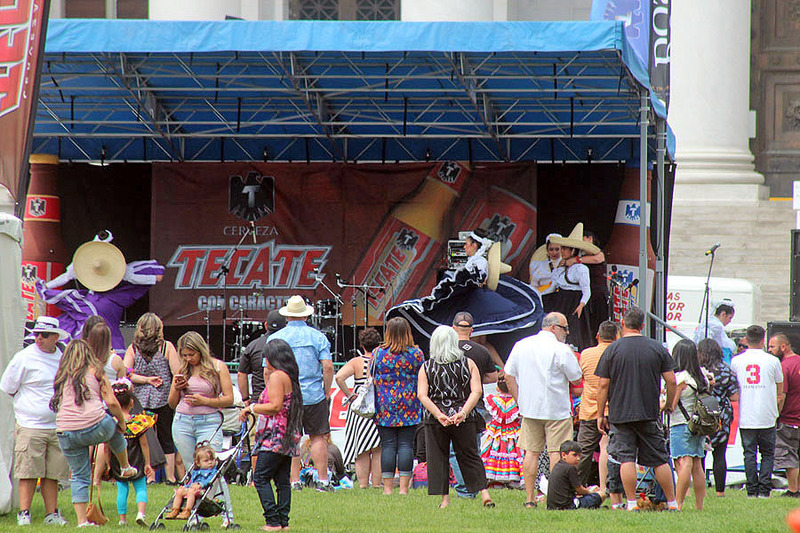 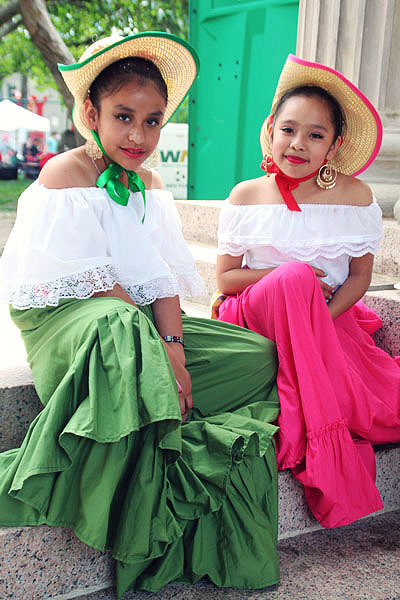 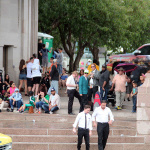 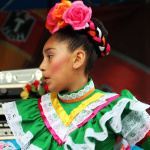 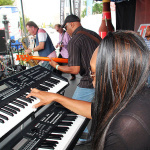 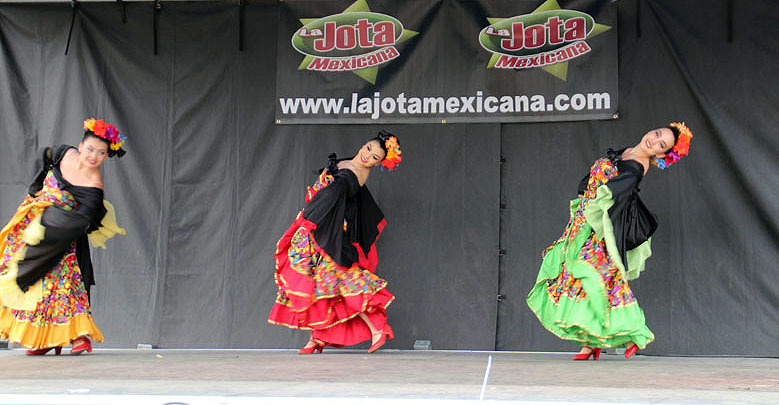 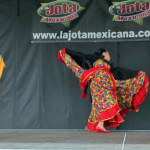 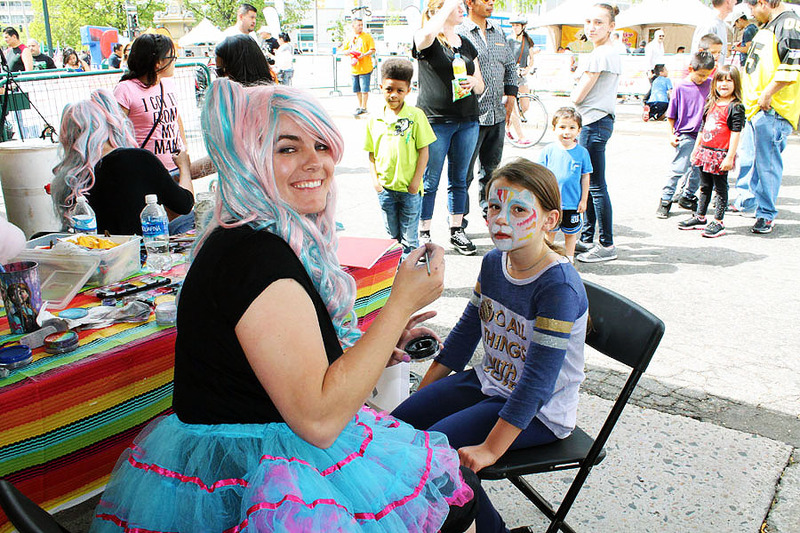 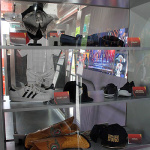 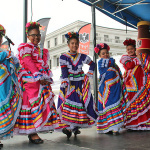 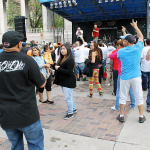 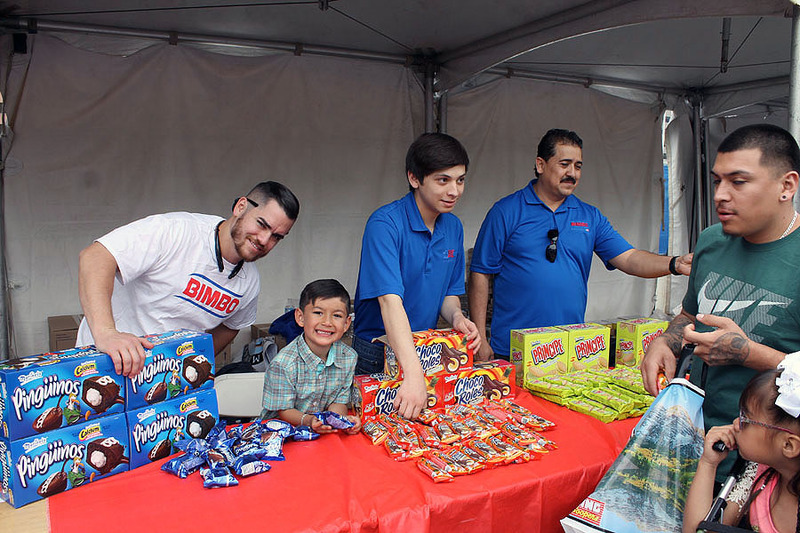 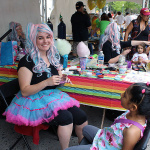 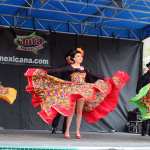 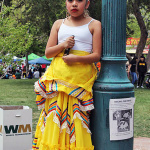 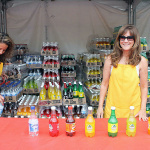 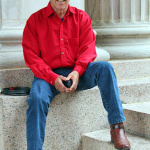 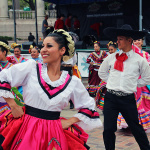 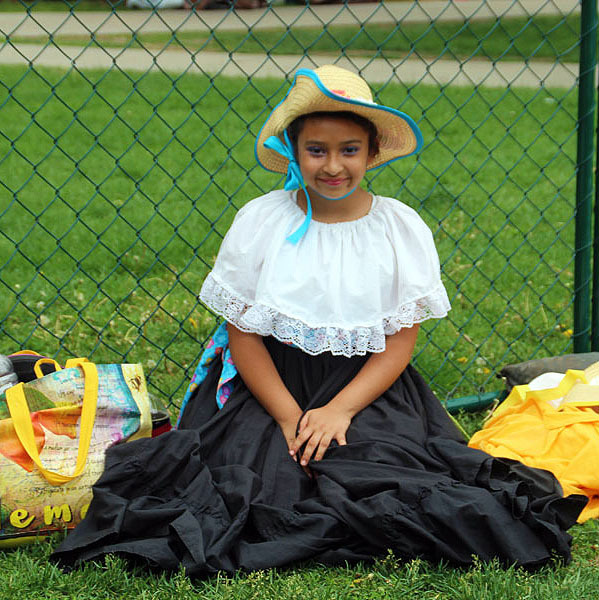 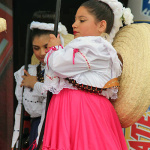 The fiesta was in full swing as thousands of attendees enjoyed the many activities that were going on. 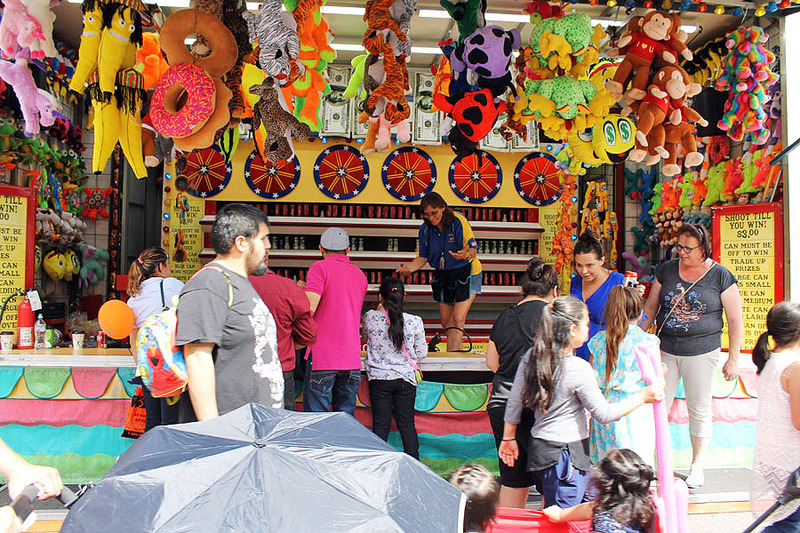 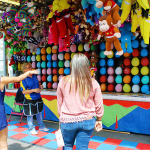 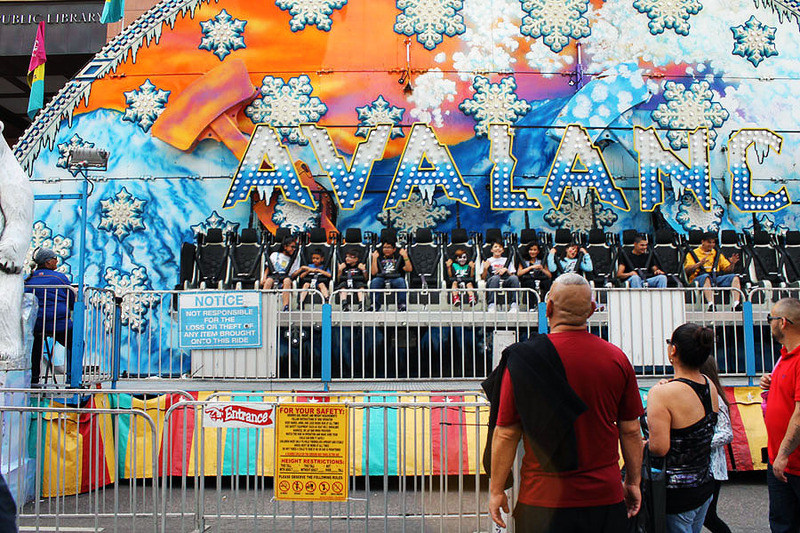 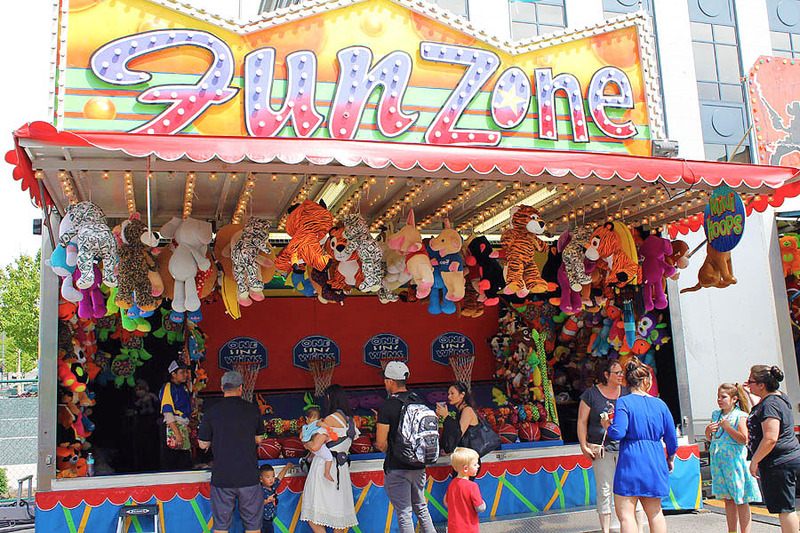 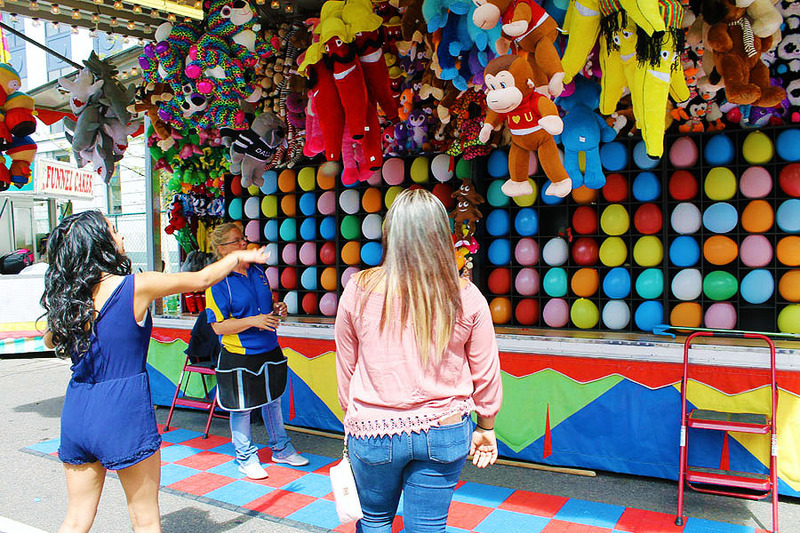 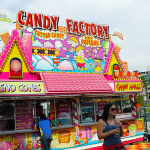 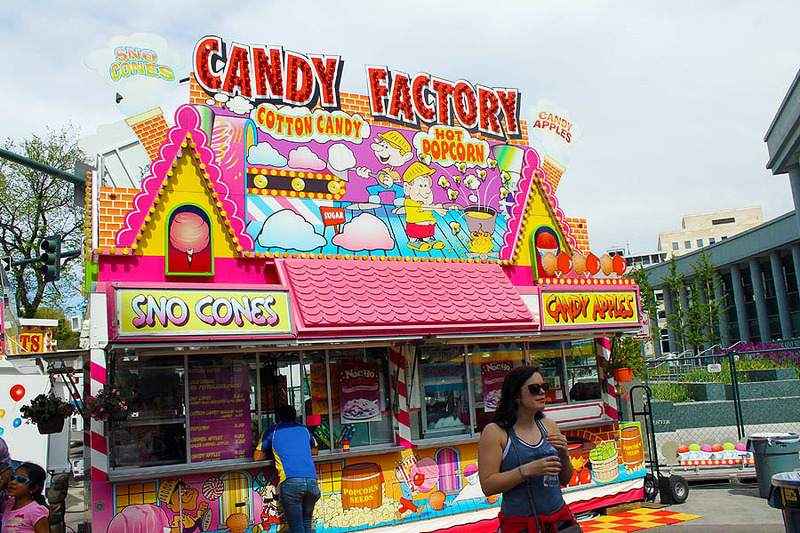 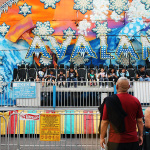 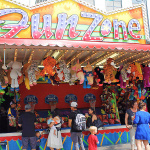 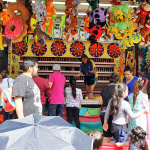 The full size carnival had the kids and the young at heart delighting in the rides and games that were offered. 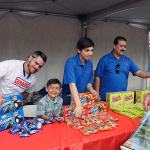 Kings Soopers and other vendors giving away tons of goodies that left many with bulging bags too huge to handle. 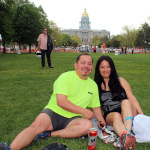 Then it happened, unexpectedly and to everyone’s surprise, A huge lightening bolt suddenly came out of nowhere and appeared to land right smack in the middle of the park illuminating the entire area as if God were taking a picture with a huge camera flash. 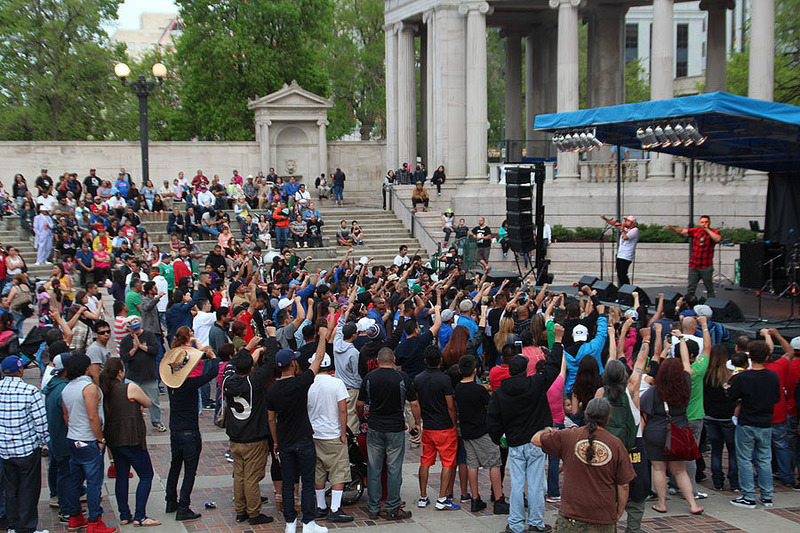 That bolt of lighting was the introduction for the a thunder clap that shook the ground and stunned everyone throughout the venue. 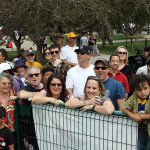 Throughout it all every remained in very good spirits. 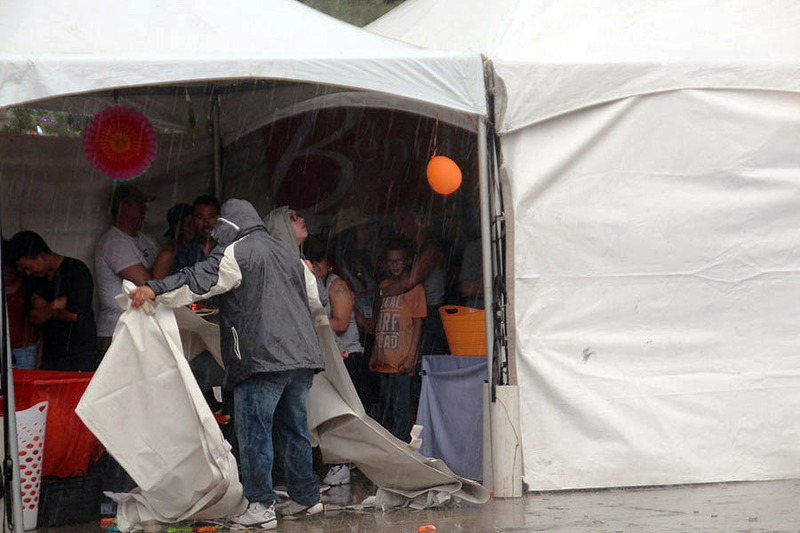 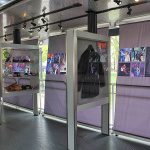 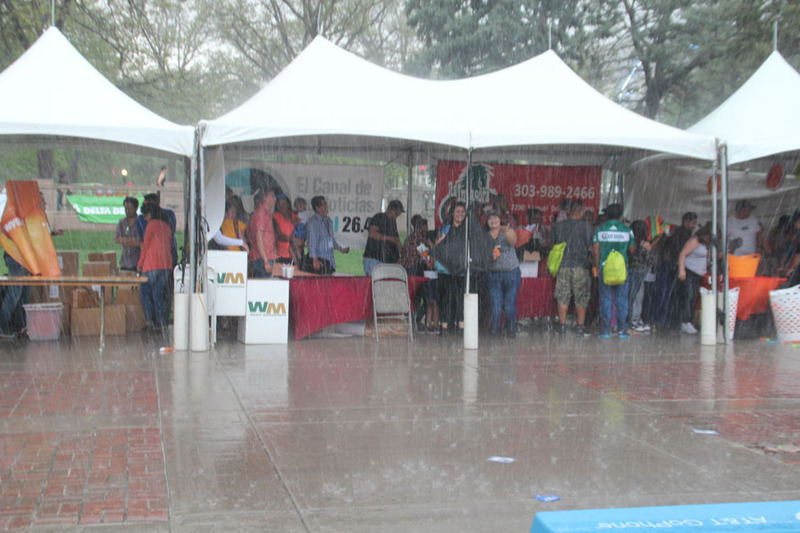 Before most could react a torrential down pour soaked many who ran for cover under any shelter they could find. 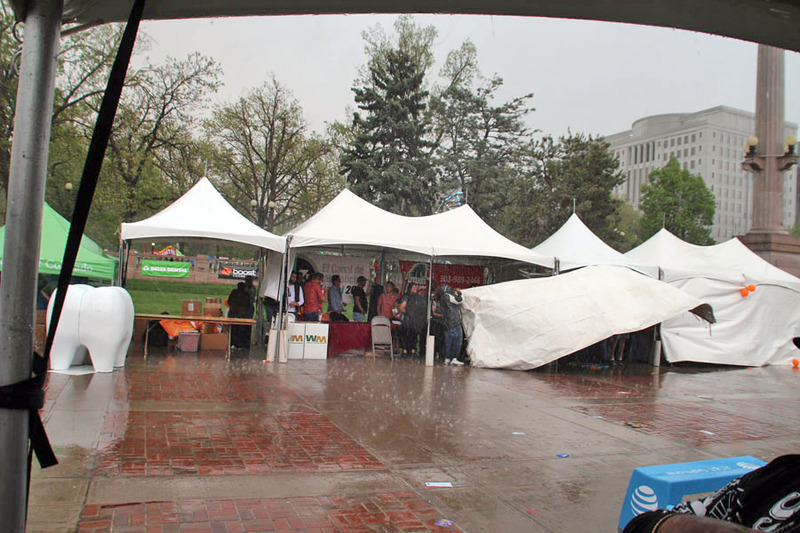 The wind and rain continued for only about 30 minutes but it was enough to cause many of the larger vendors to close down and try to save as much product as possible. 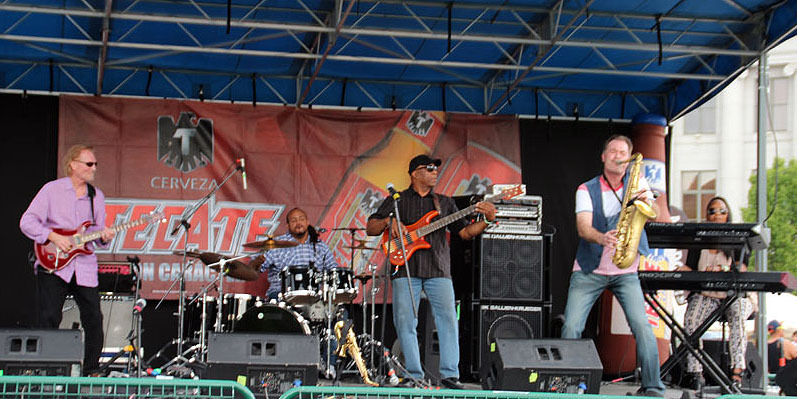 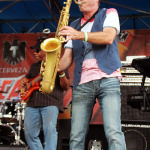 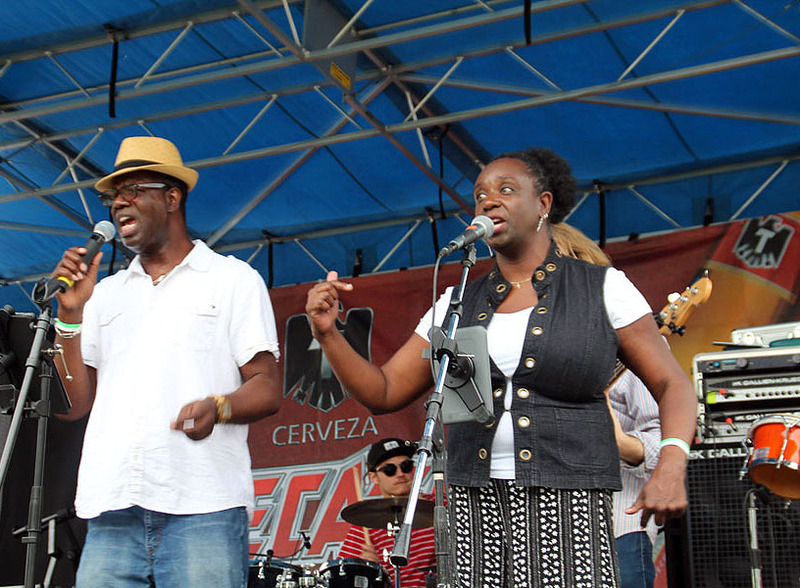 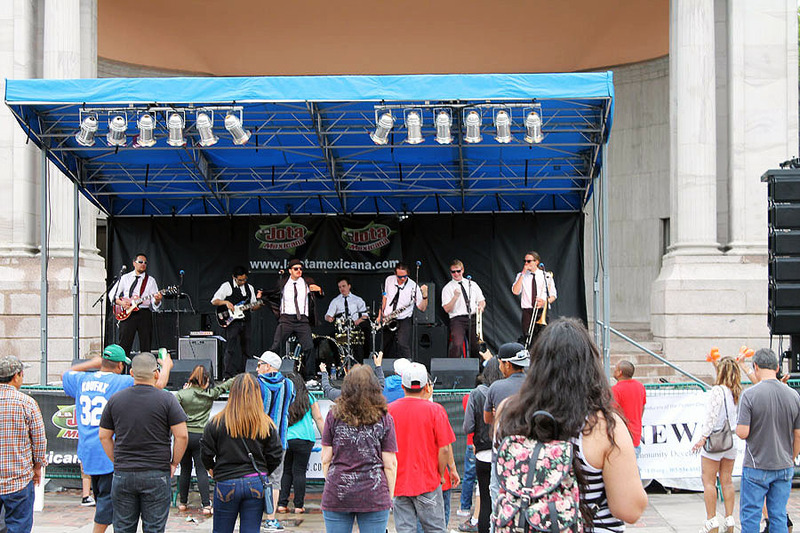 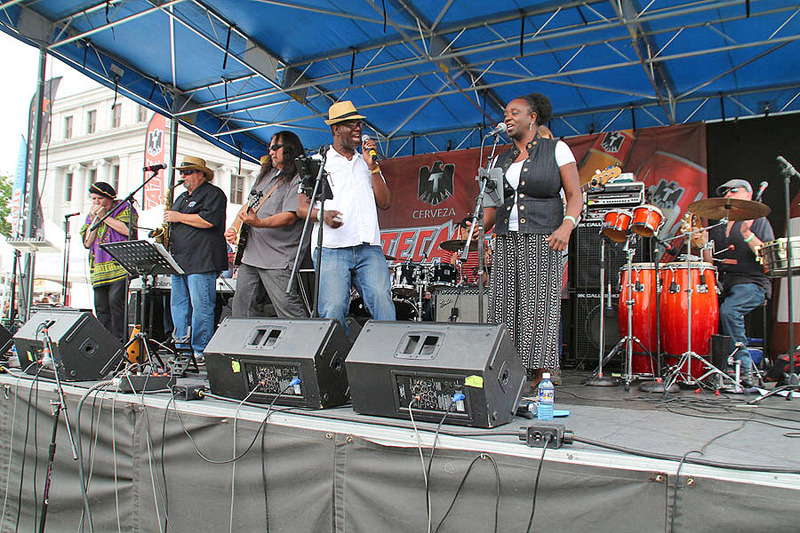 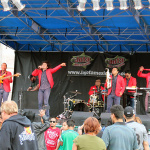 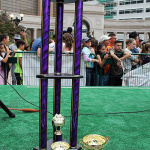 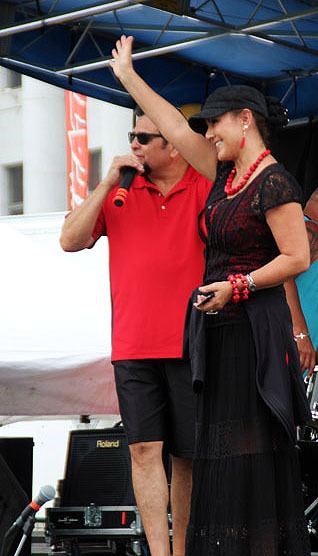 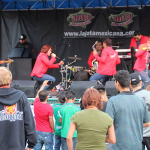 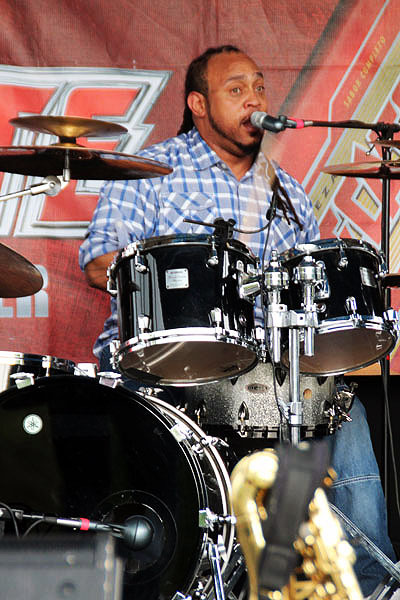 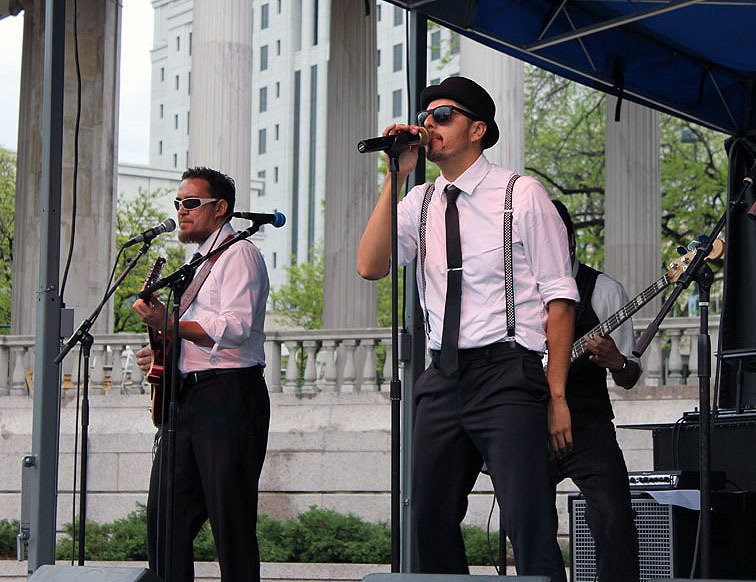 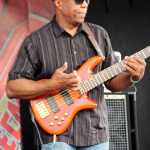 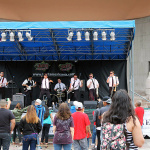 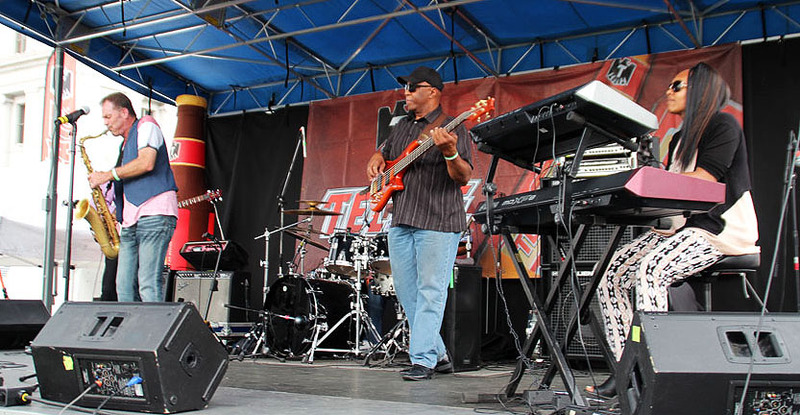 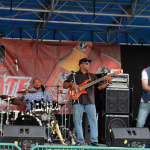 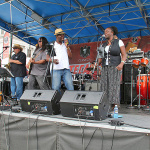 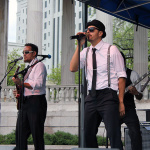 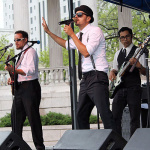 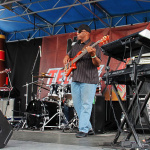 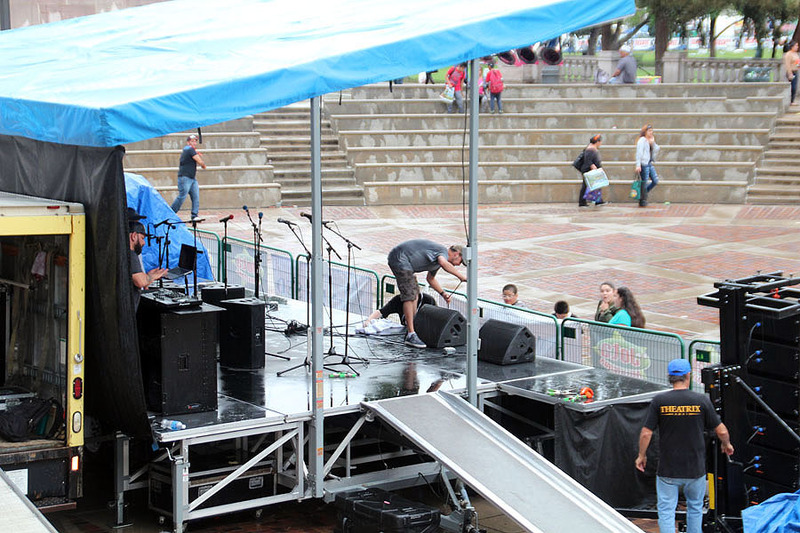 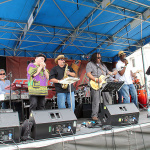 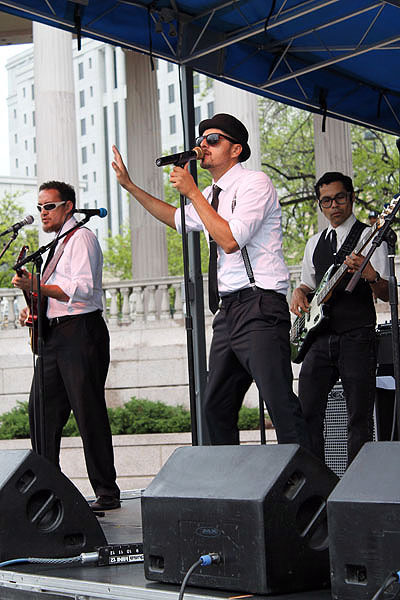 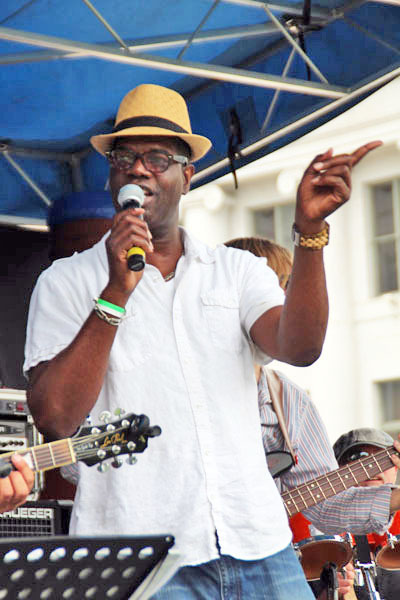 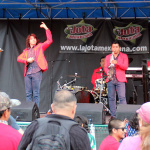 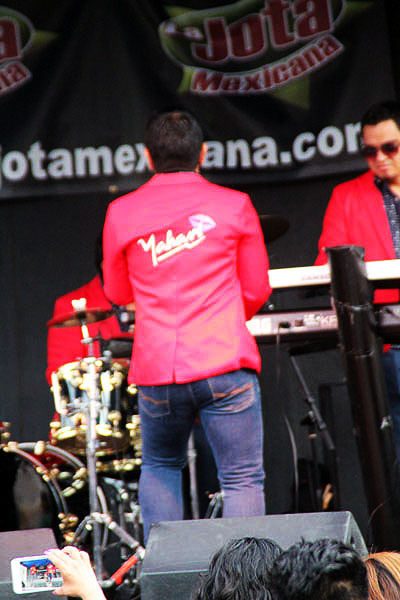 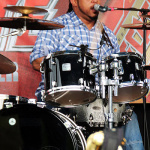 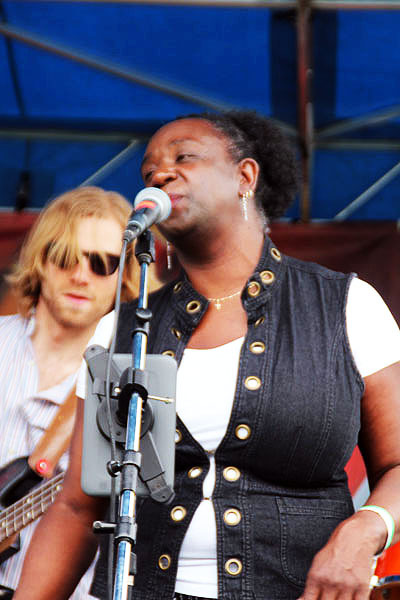 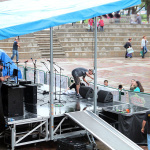 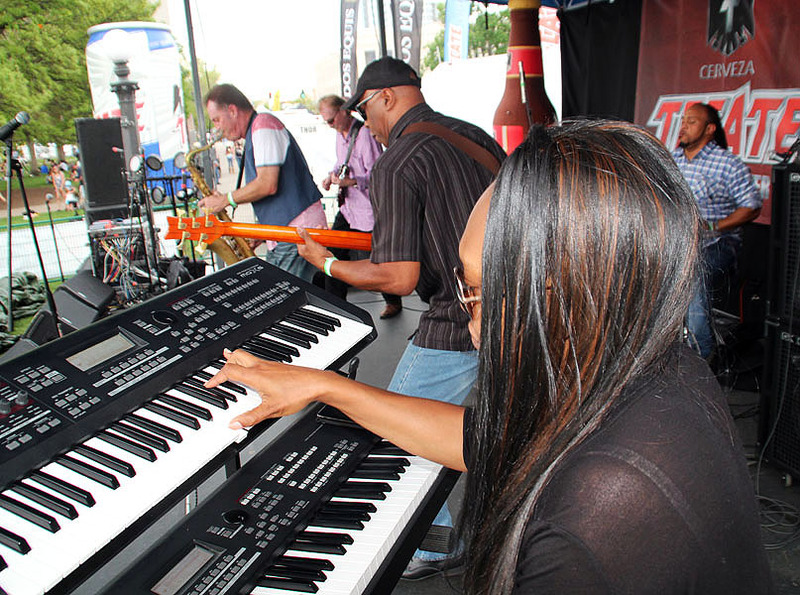 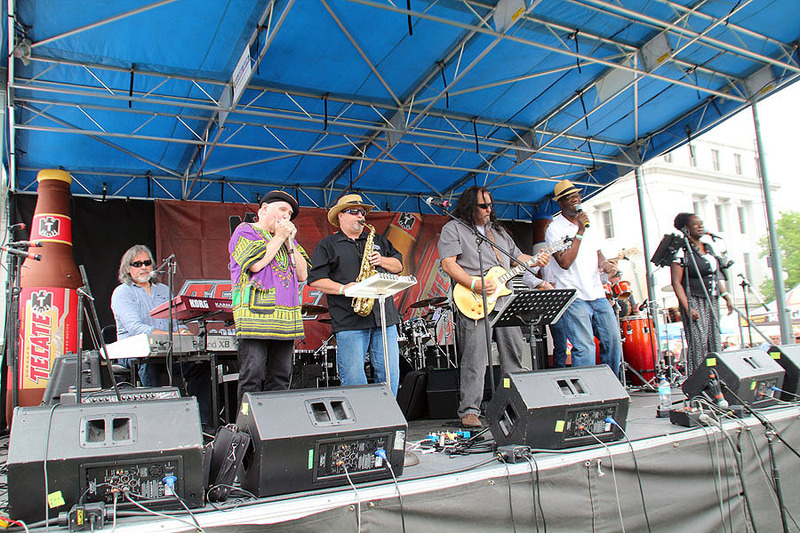 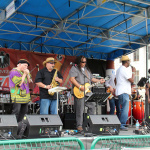 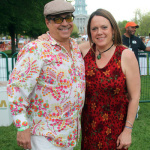 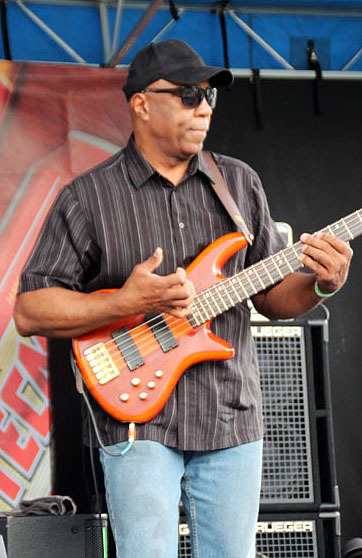 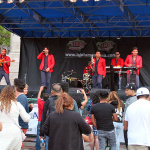 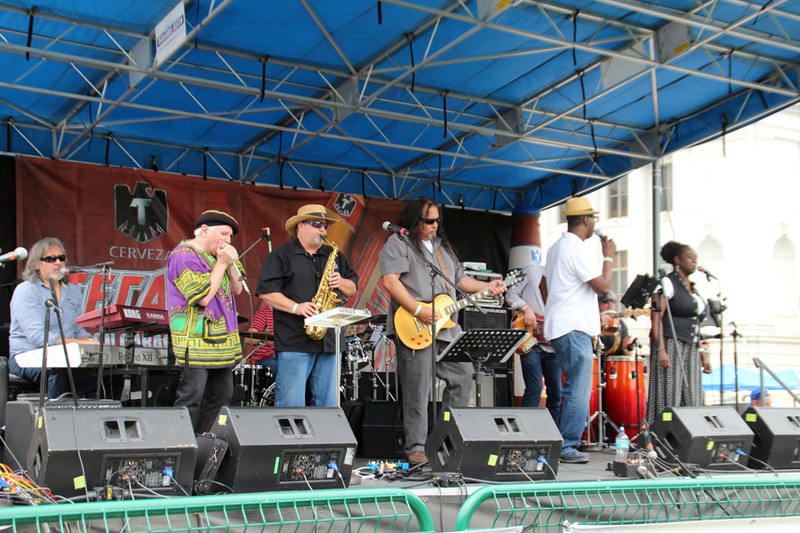 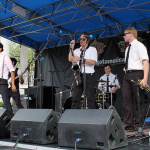 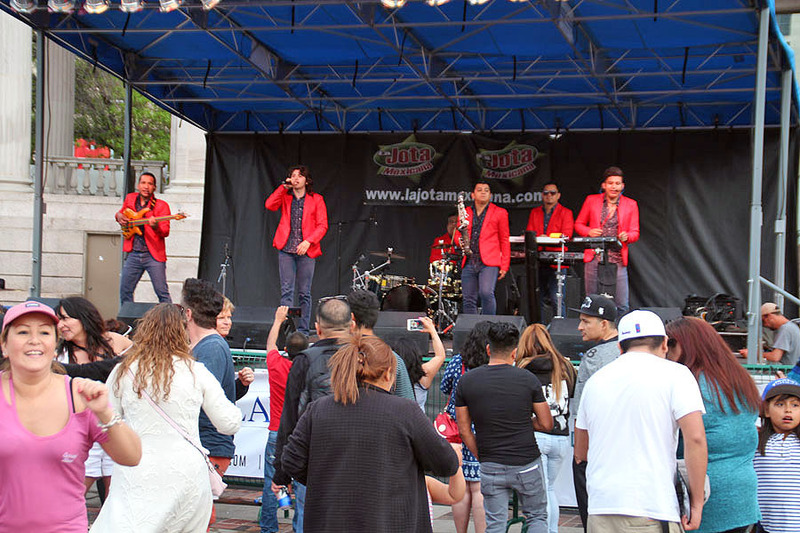 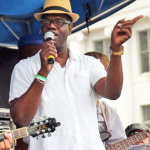 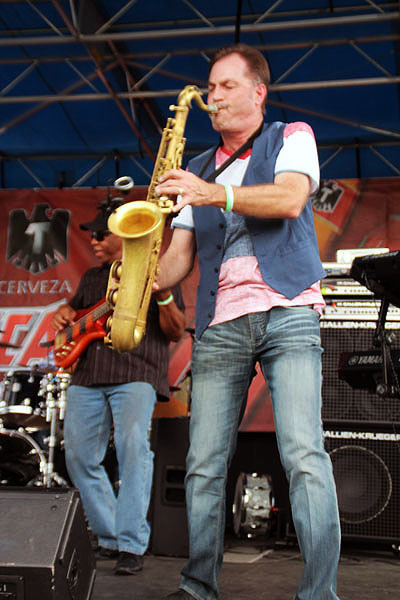 The local stage called it a day just as Soul School, The DeLeon Brothers Band and Latin Sol were to perform. 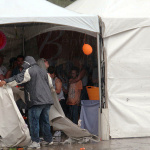 But the lightning, wind and rain were not enough to stop the party for everyone. 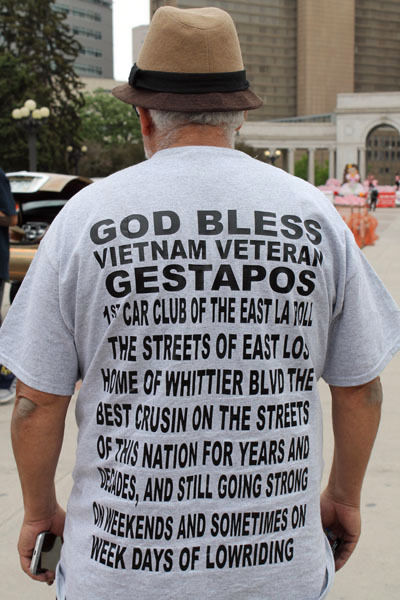 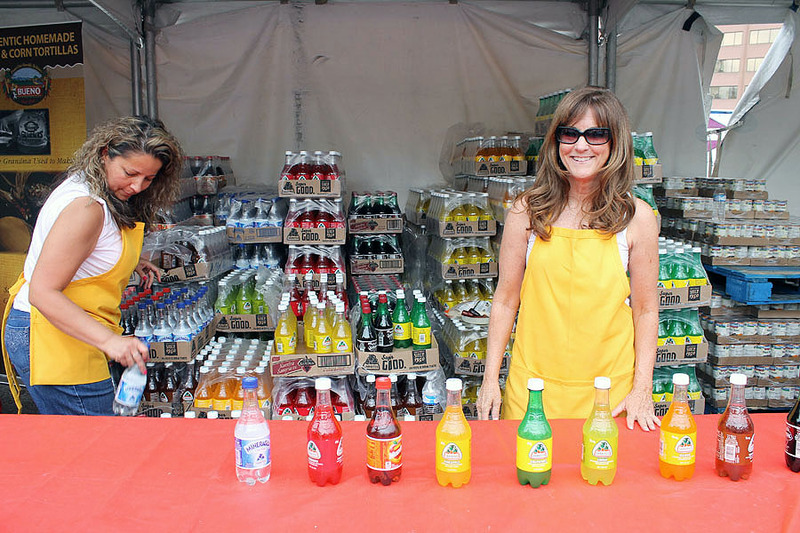 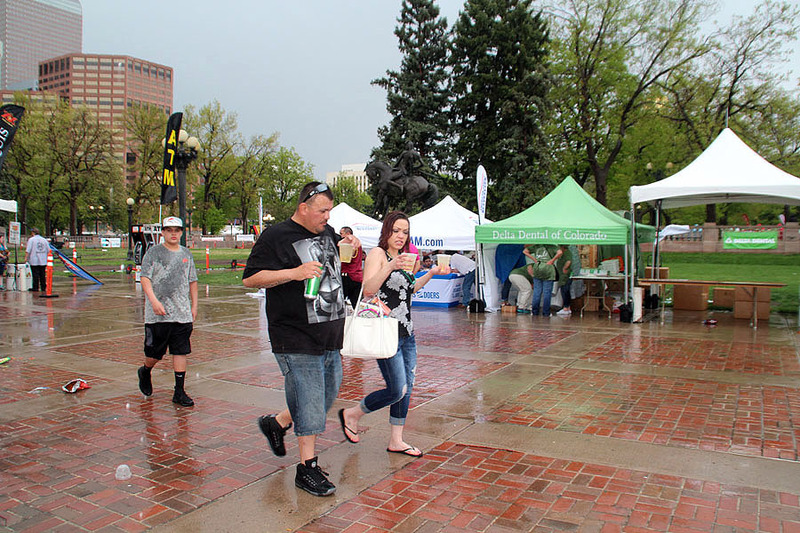 Many smaller vendors toughed it out and found brisk business with many who returned. 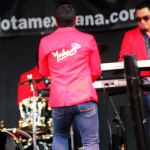 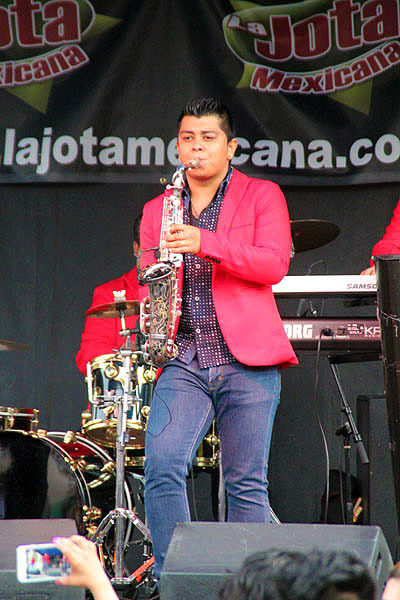 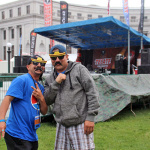 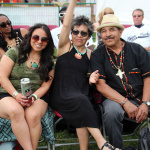 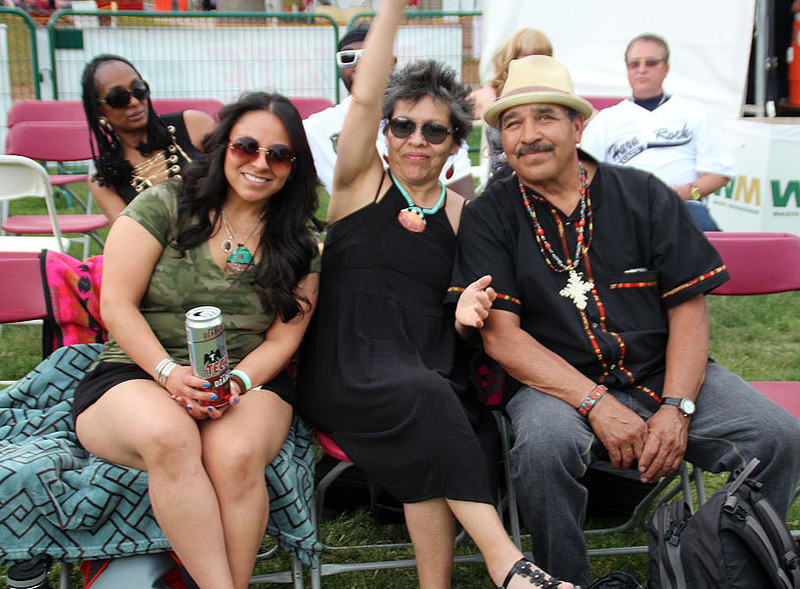 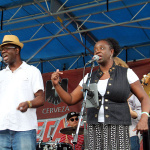 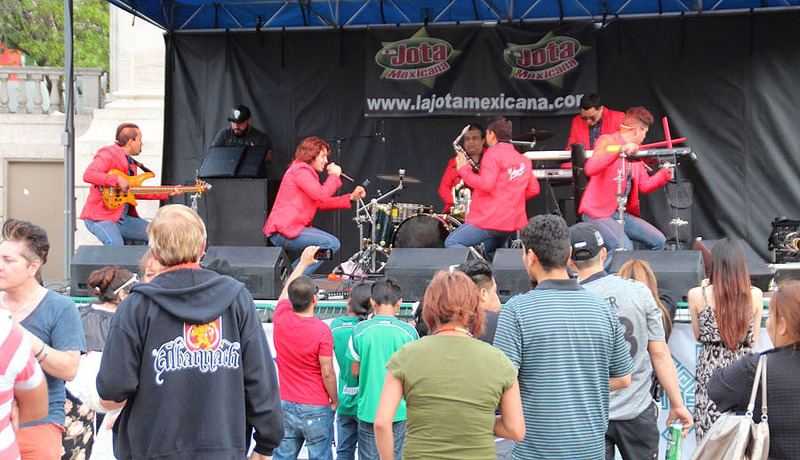 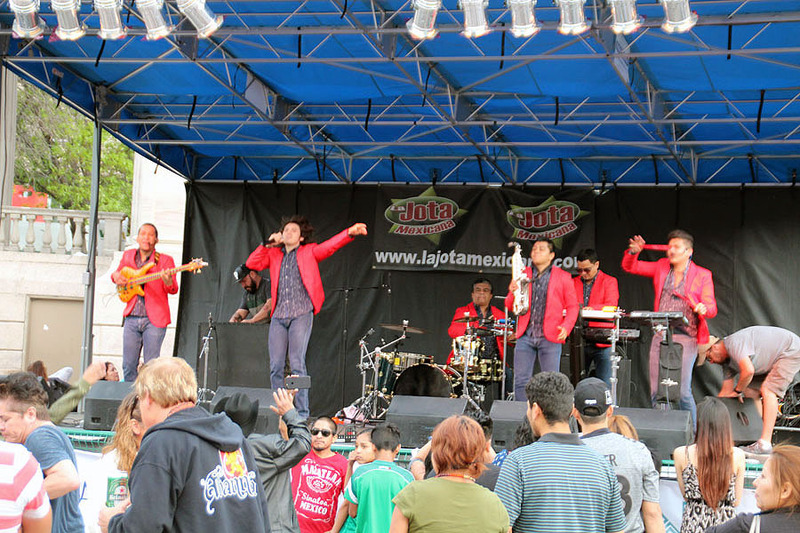 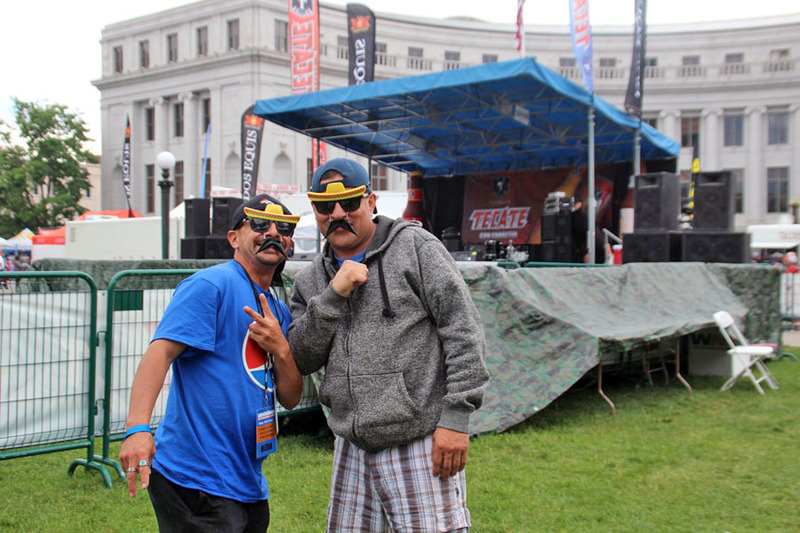 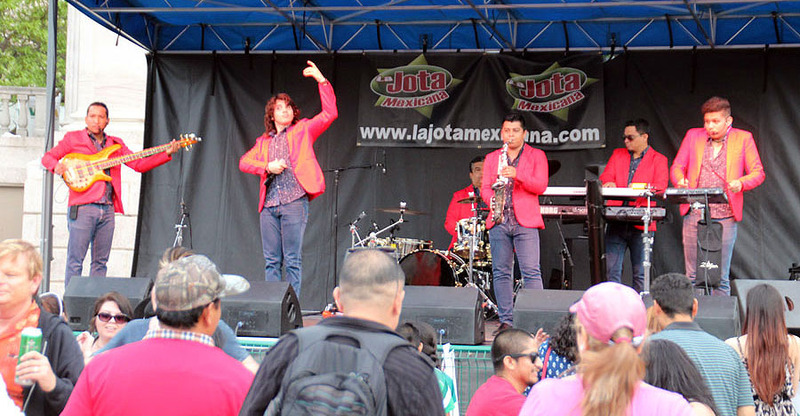 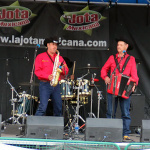 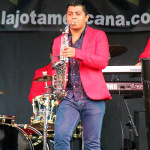 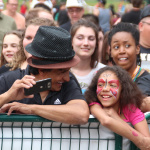 The Mexican entertainment stage was back in business for some incredible music by headliners Roka Hueka, Kinto Sol & Yahiri who attracted a younger crowd who danced the night away to hip hop sounds of the energetic performers. 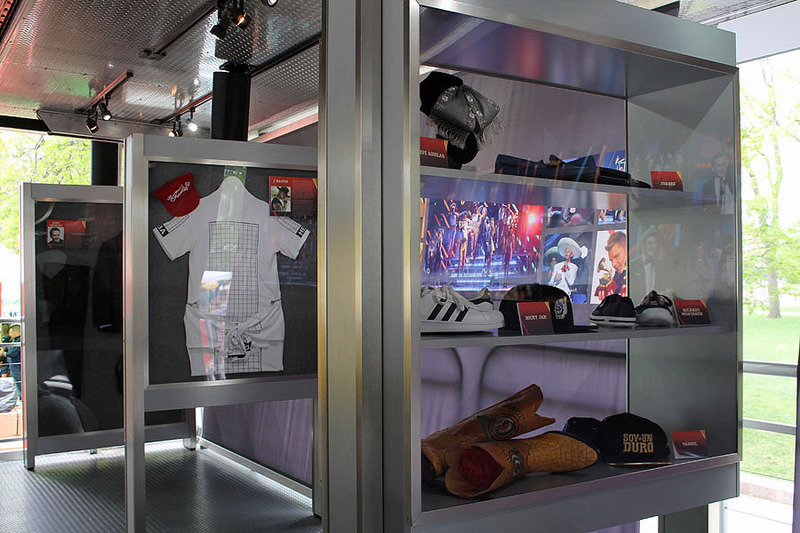 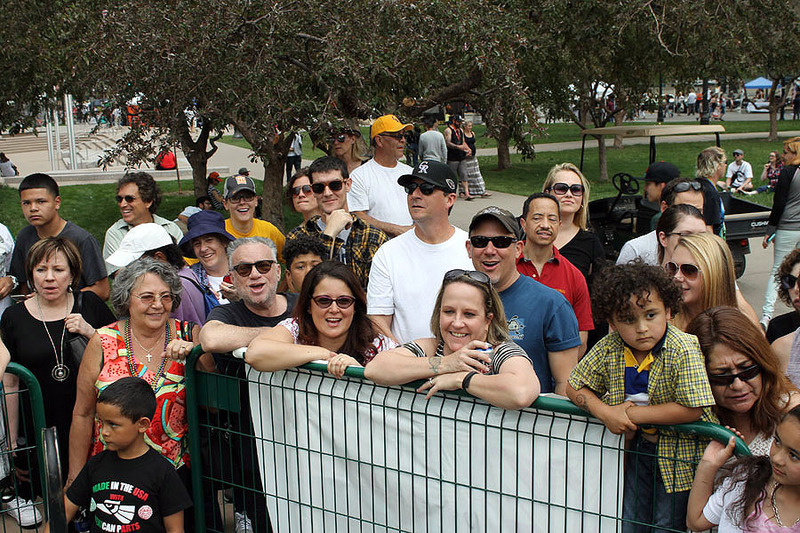 Many stood in lines over a block long to get photos and autographs. 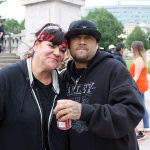 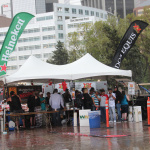 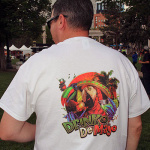 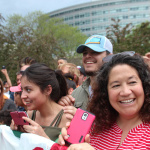 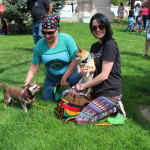 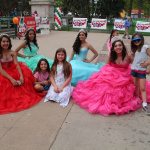 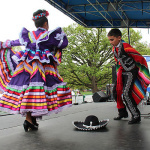 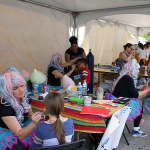 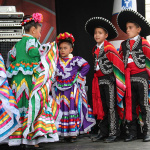 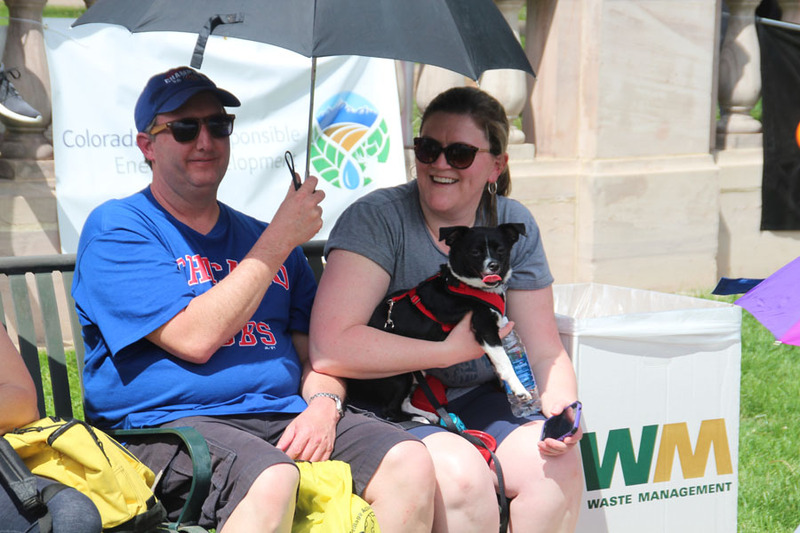 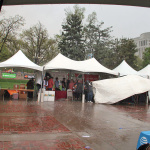 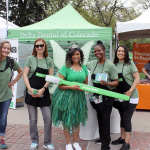 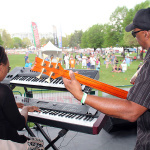 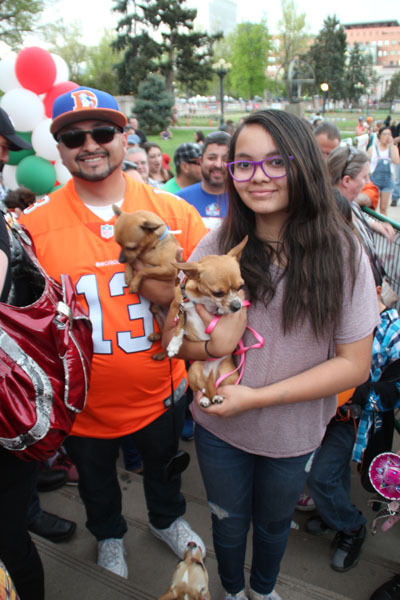 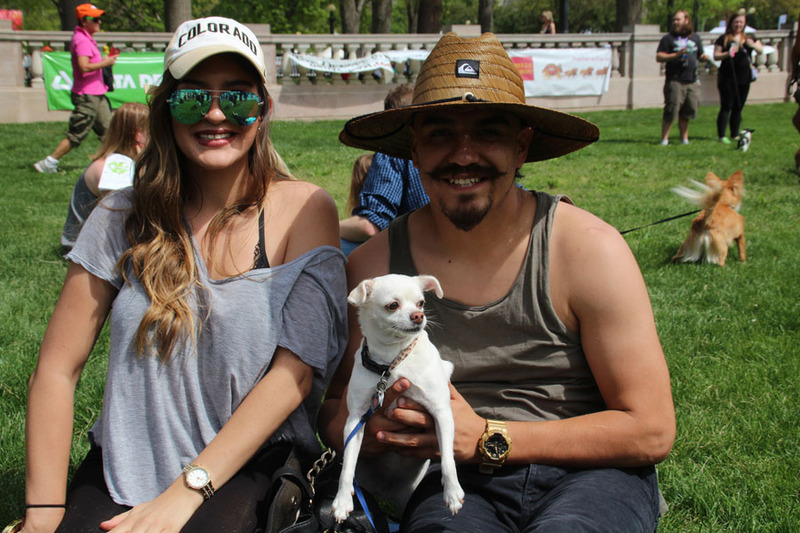 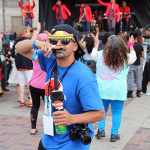 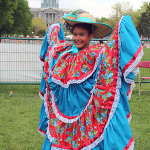 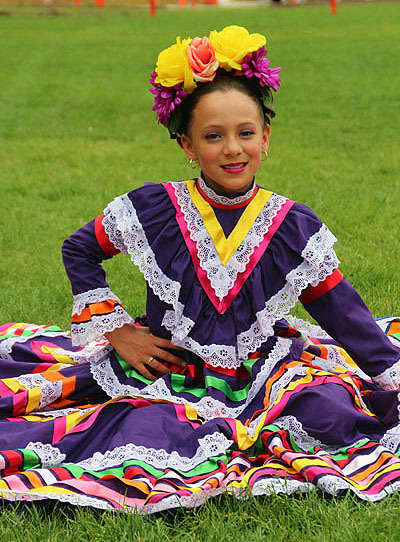 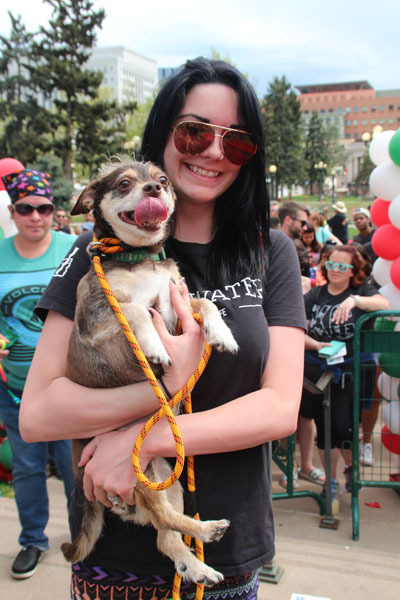 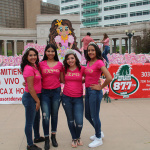 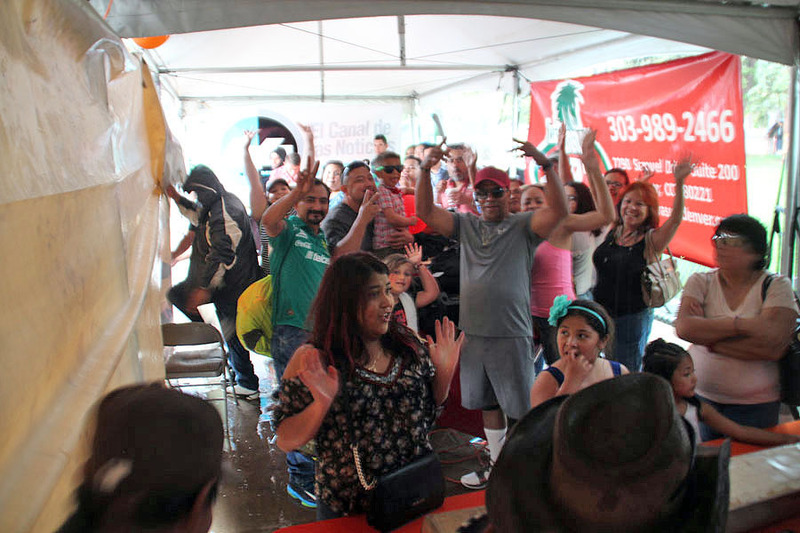 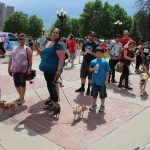 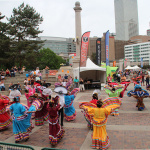 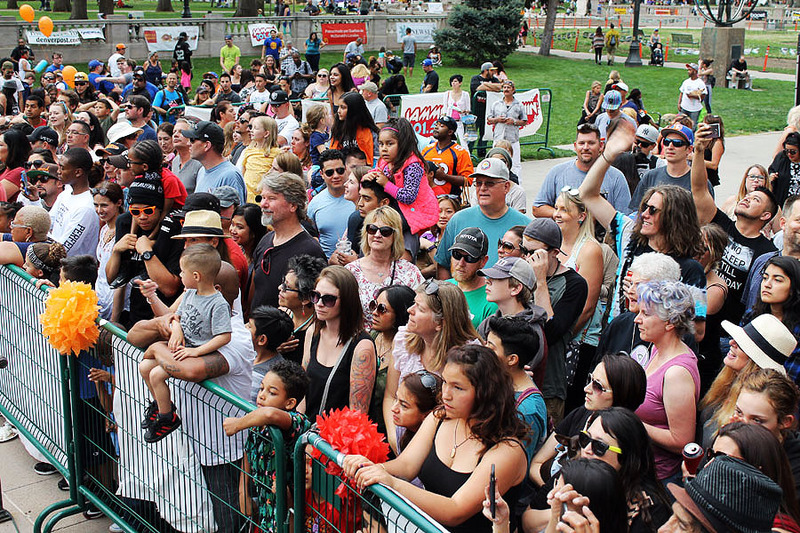 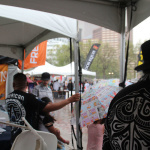 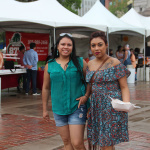 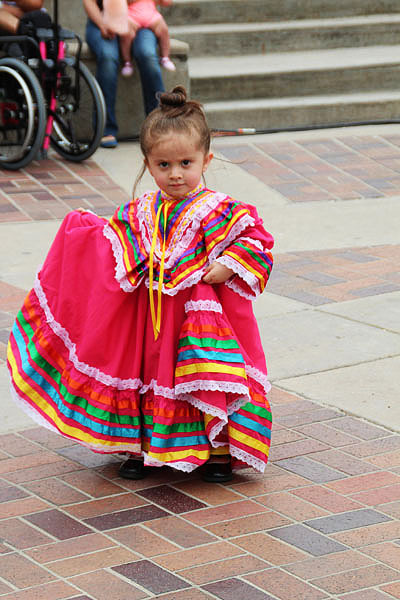 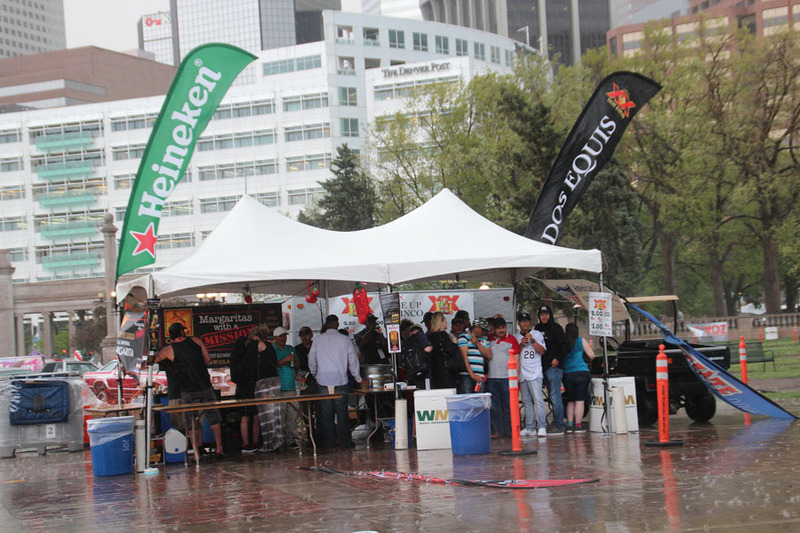 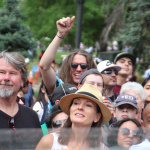 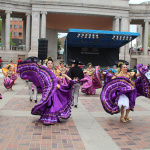 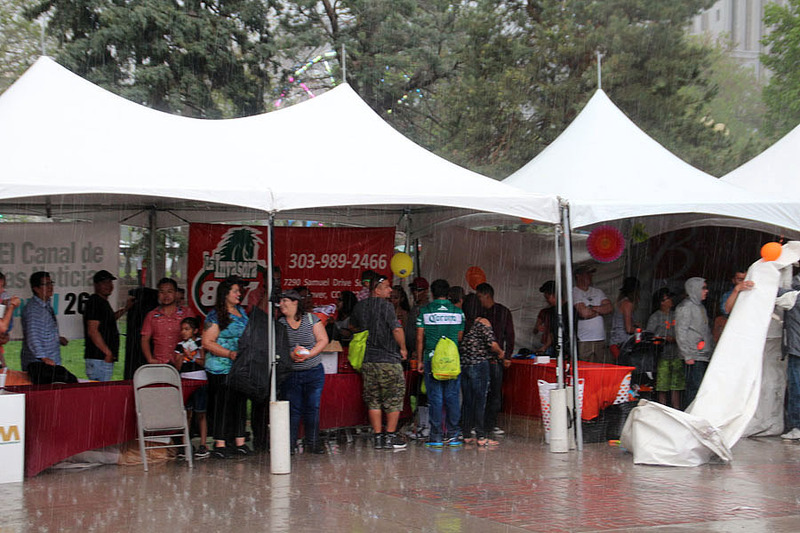 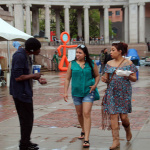 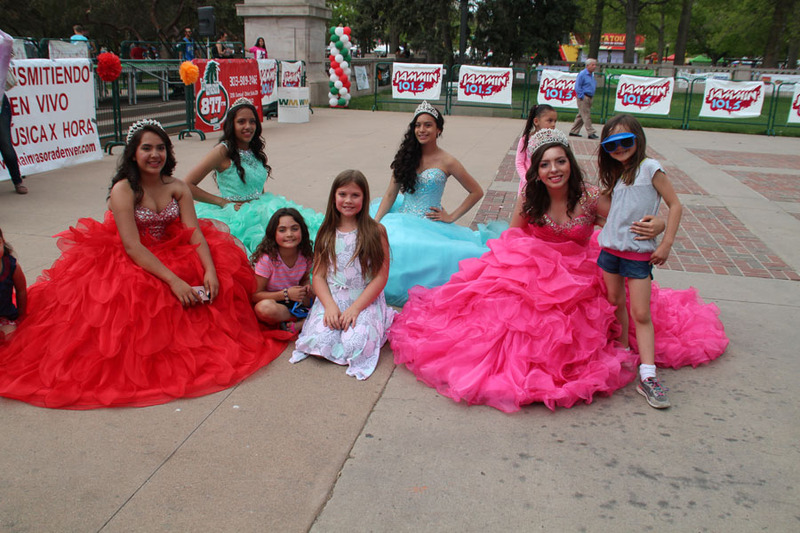 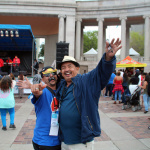 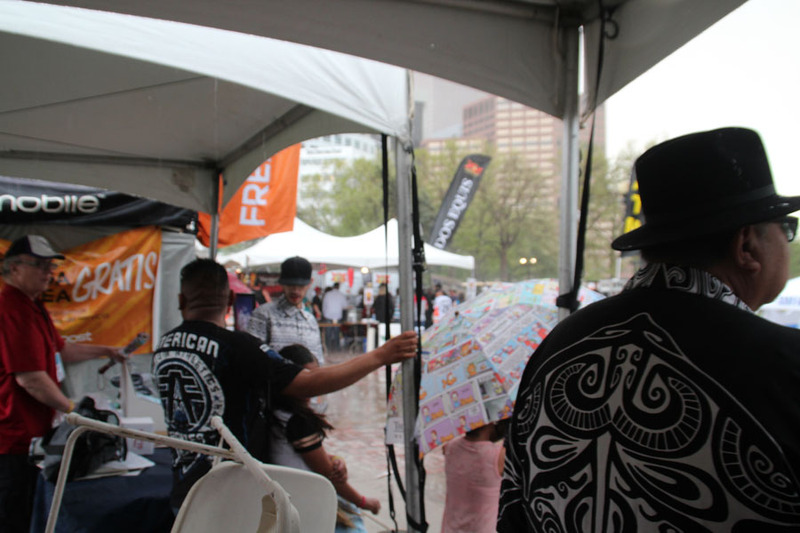 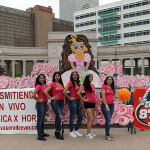 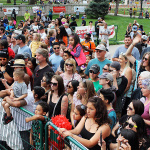 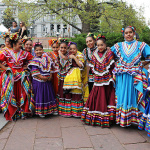 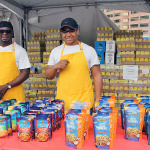 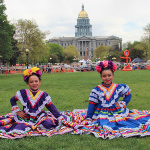 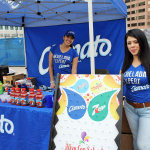 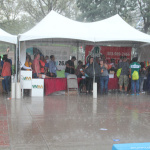 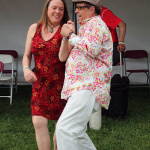 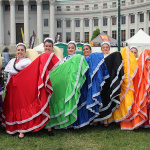 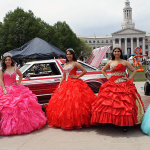 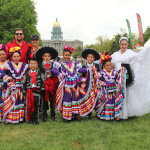 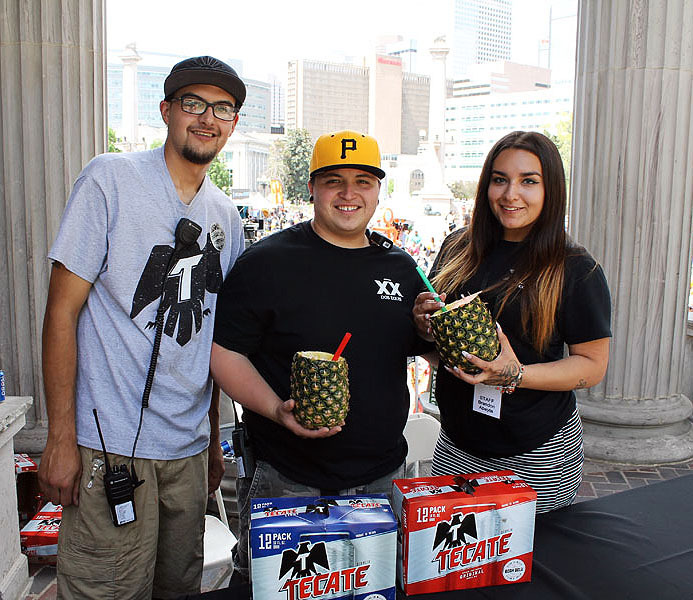 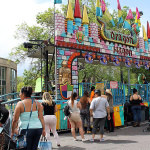 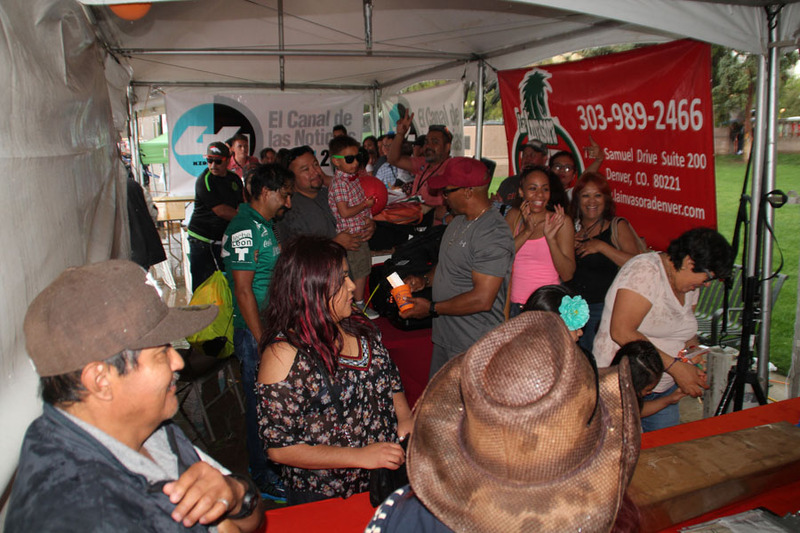 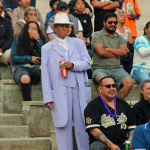 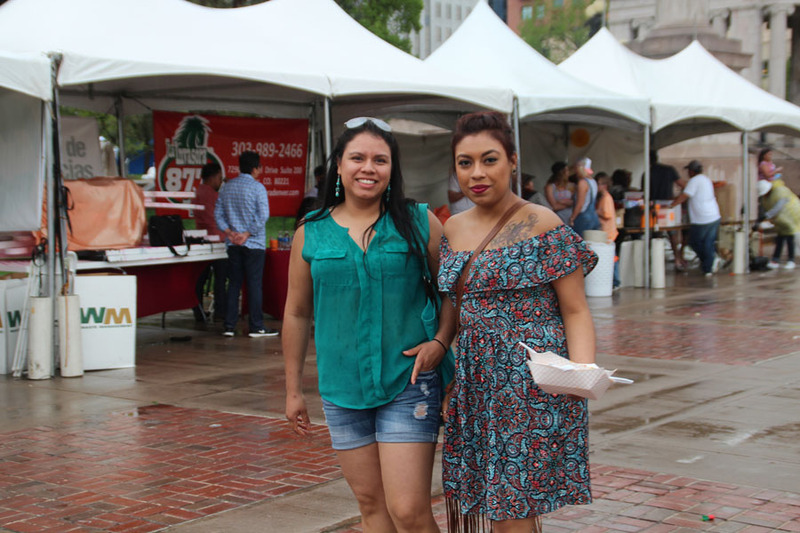 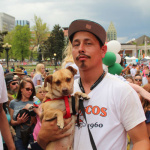 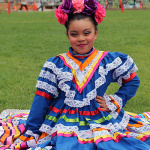 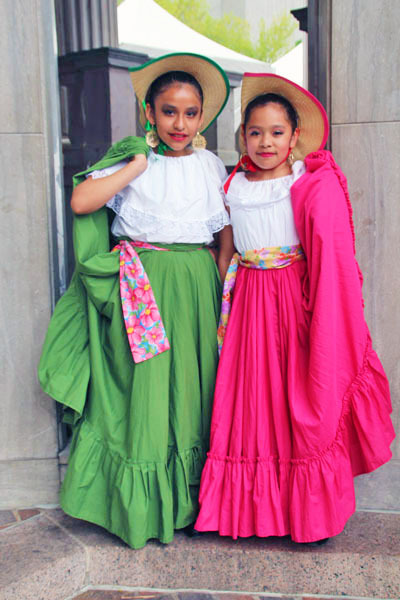 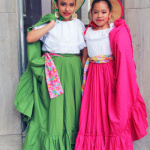 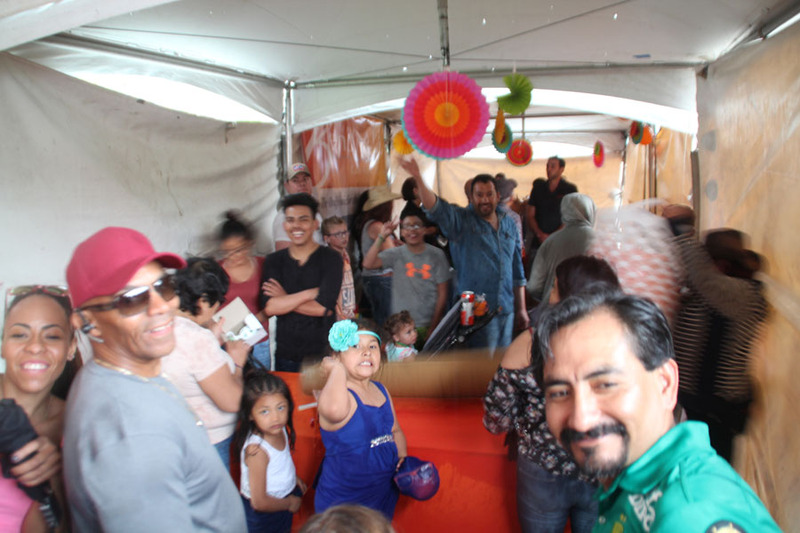 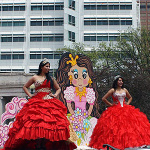 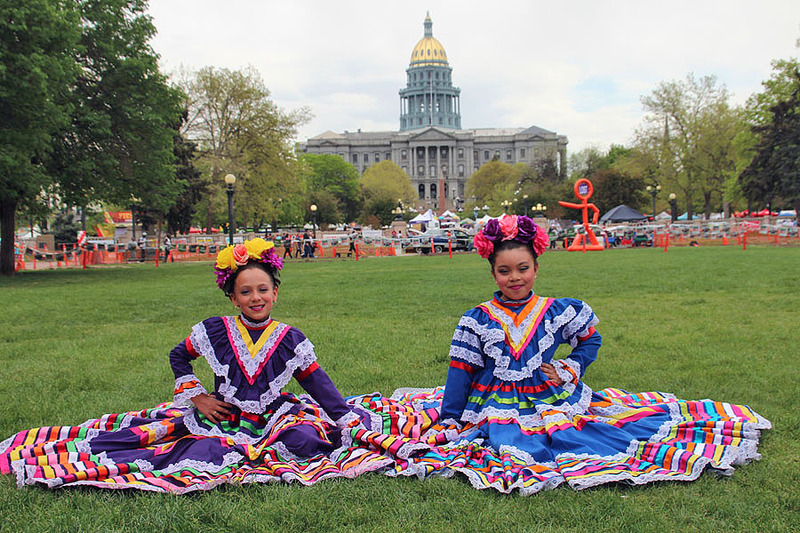 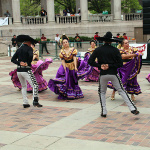 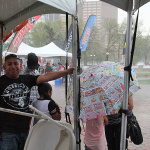 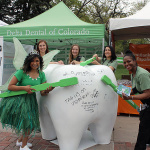 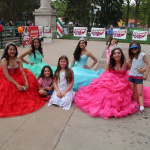 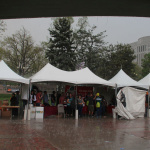 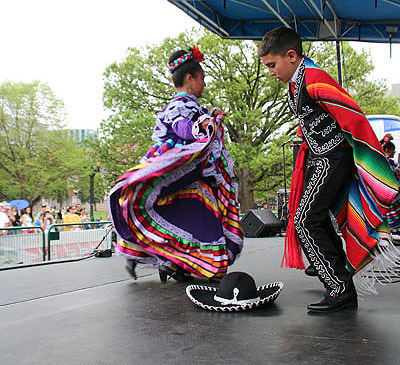 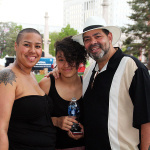 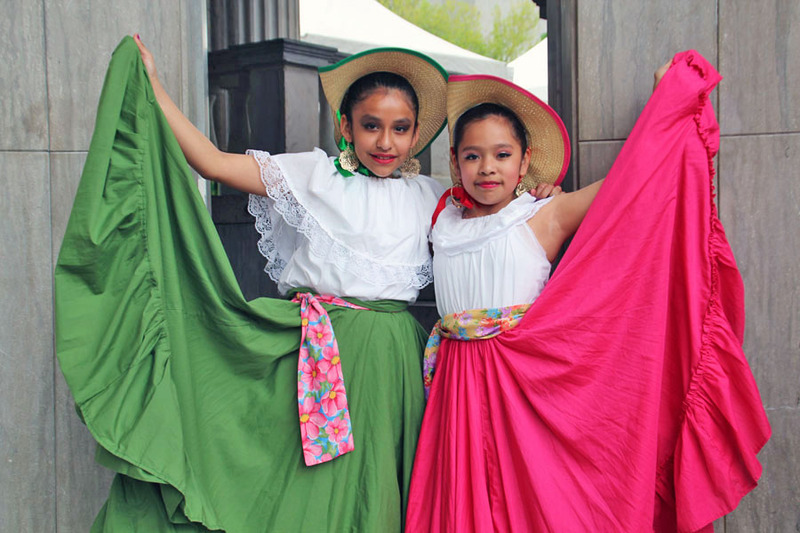 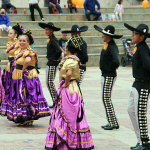 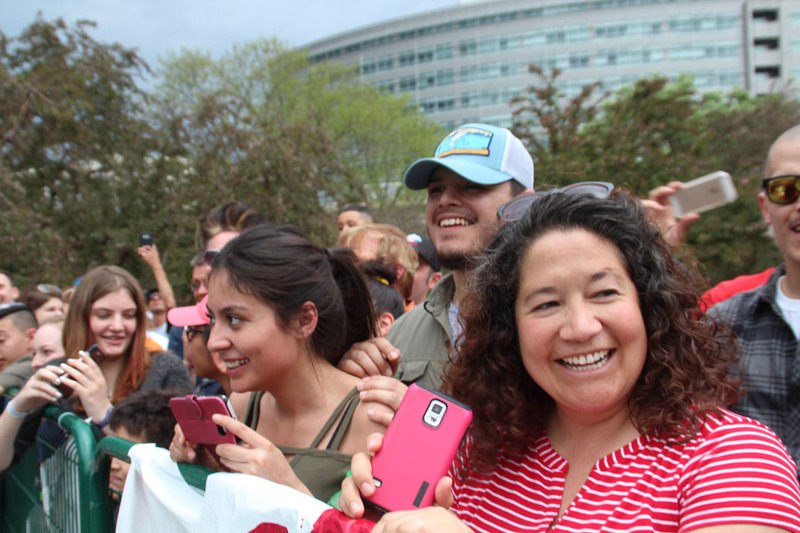 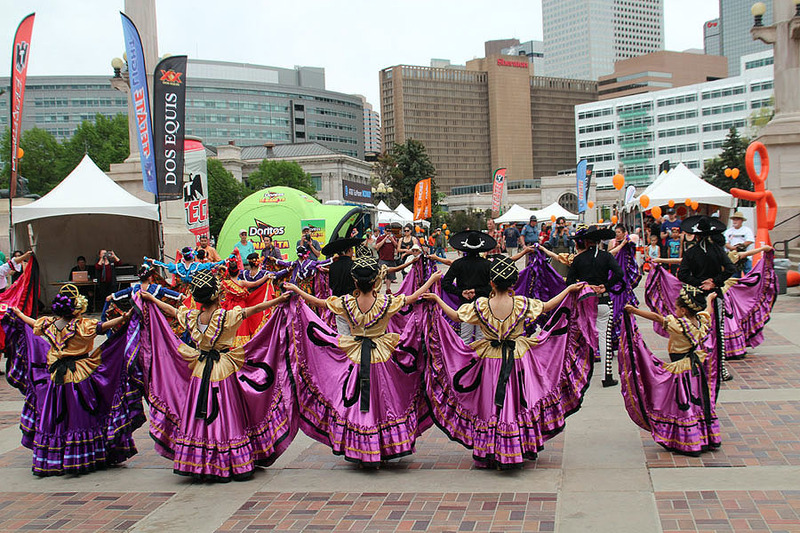 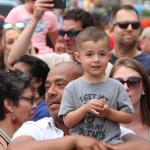 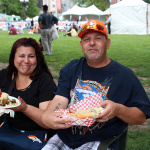 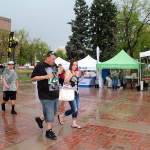 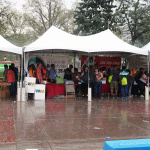 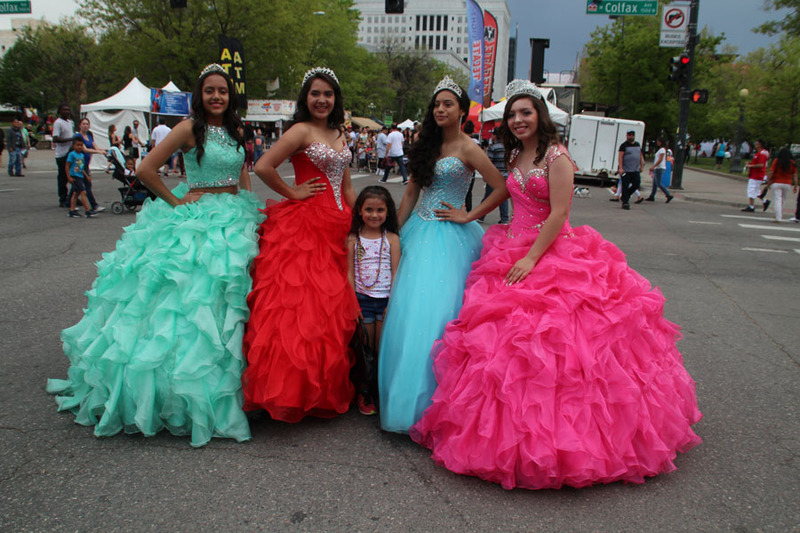 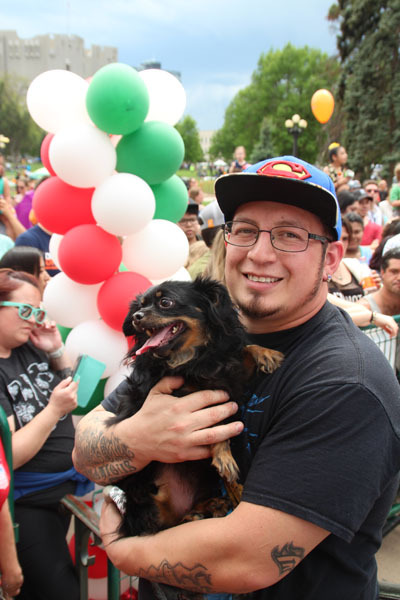 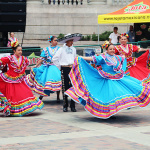 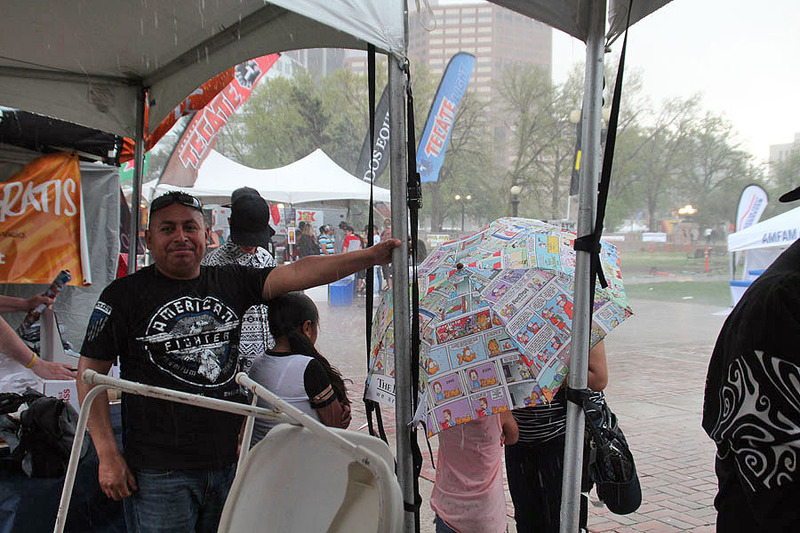 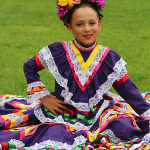 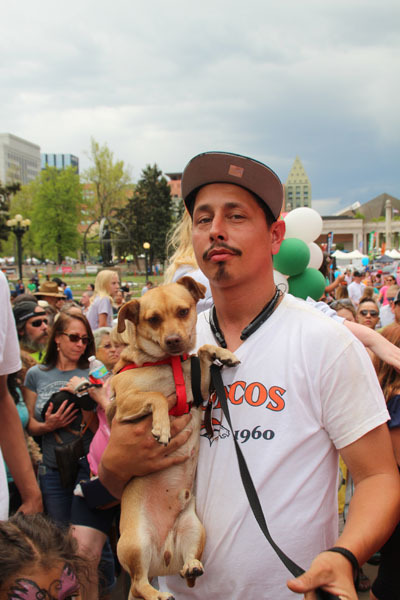 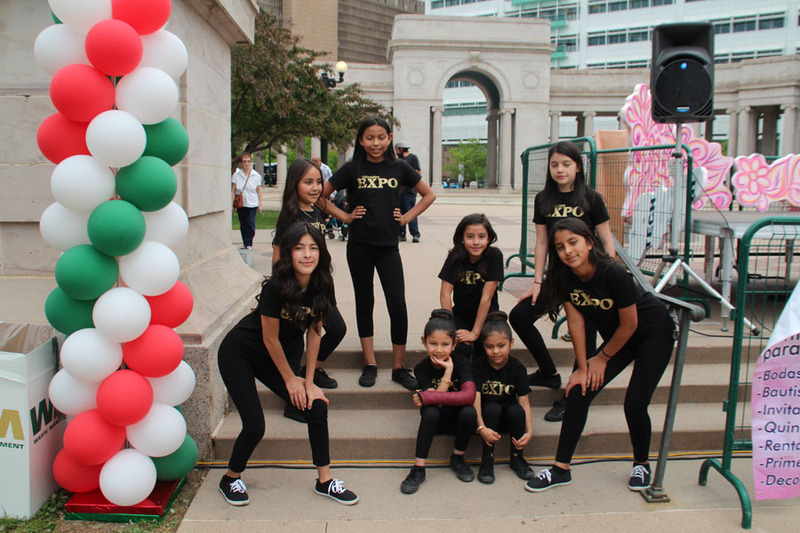 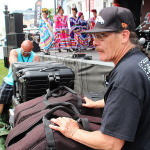 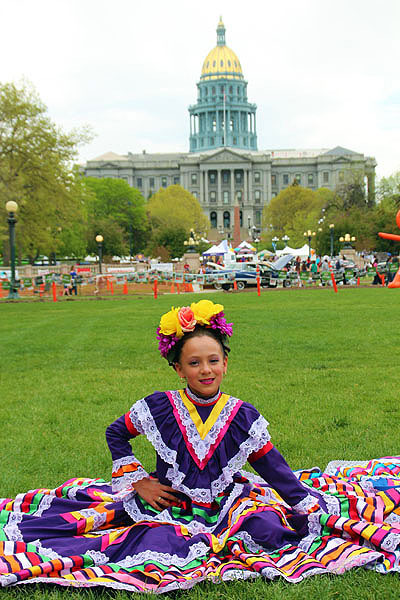 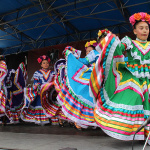 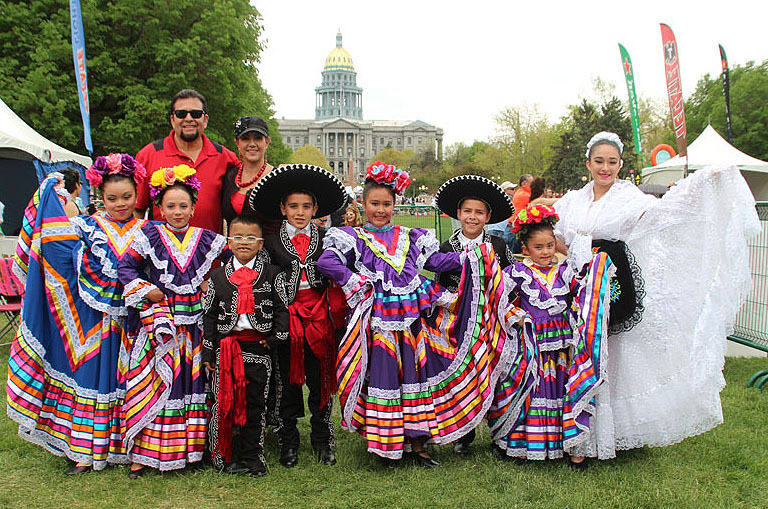 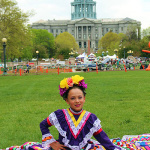 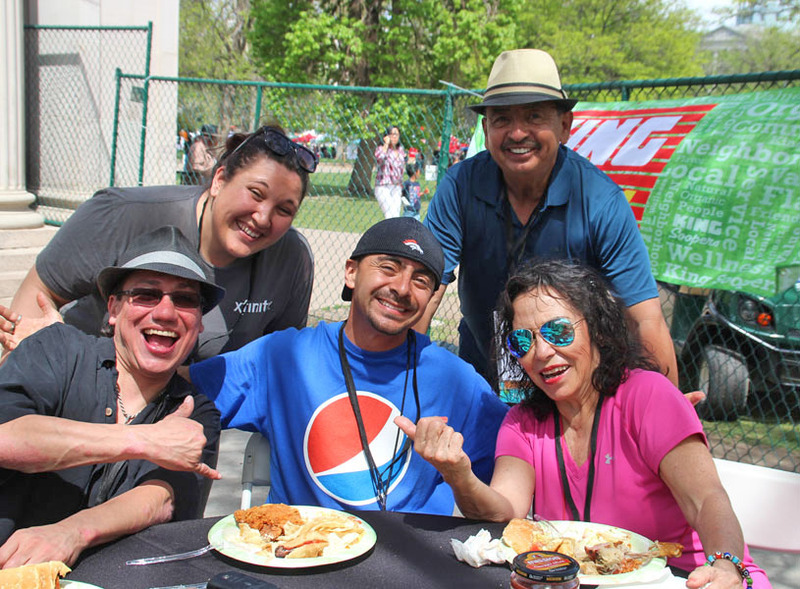 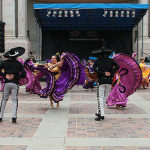 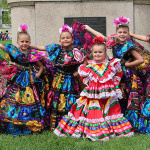 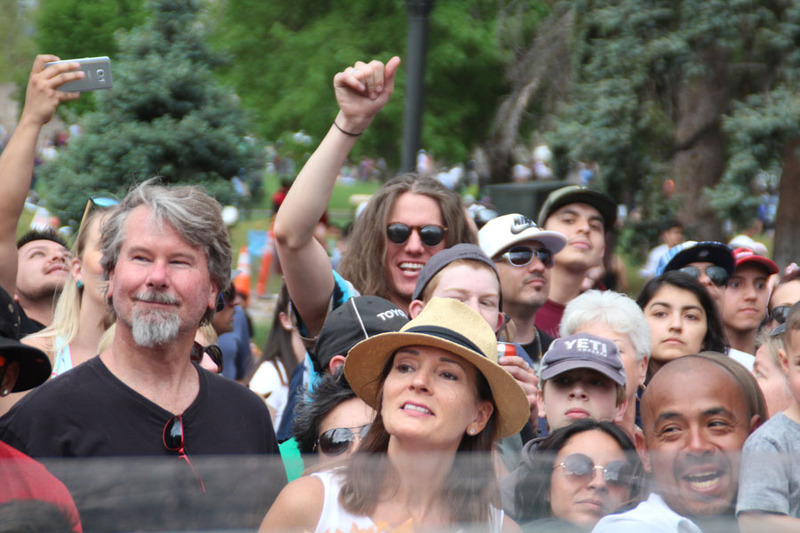 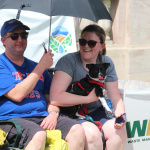 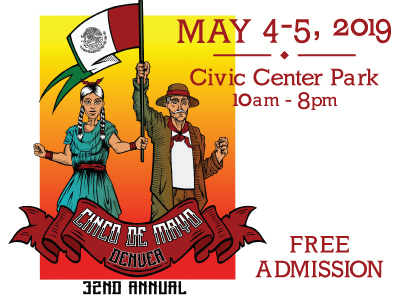 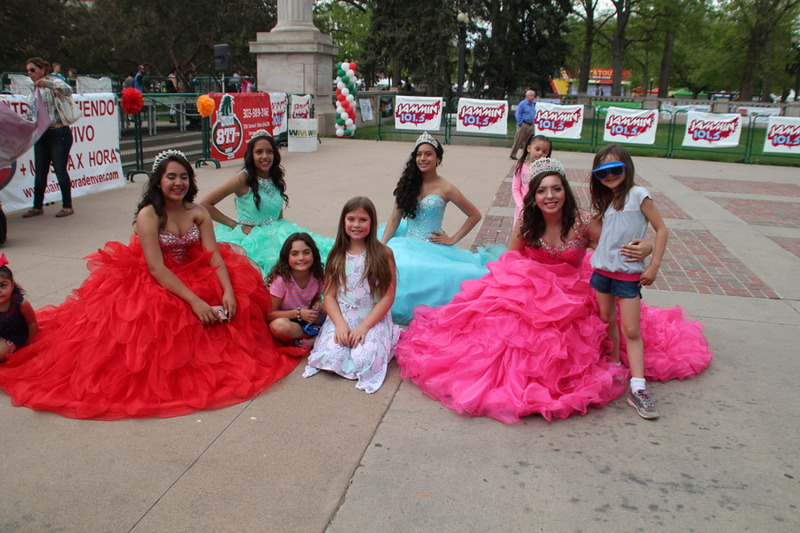 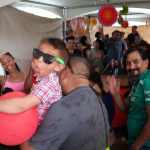 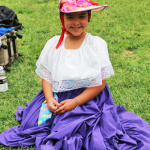 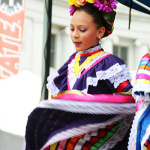 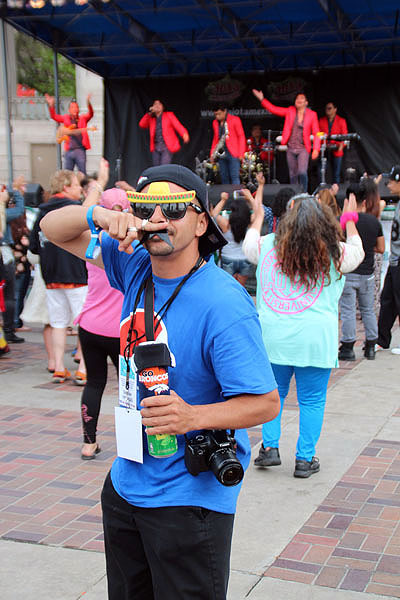 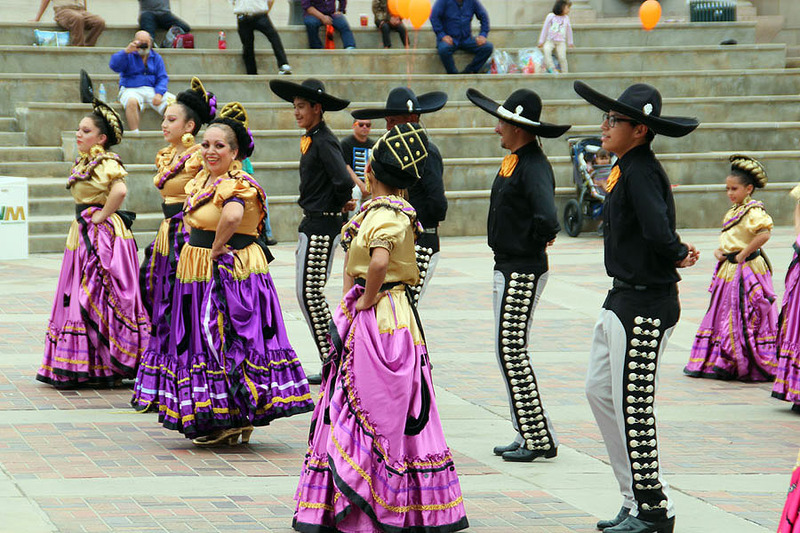 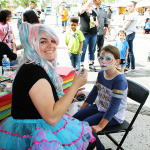 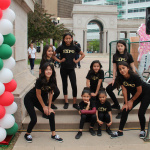 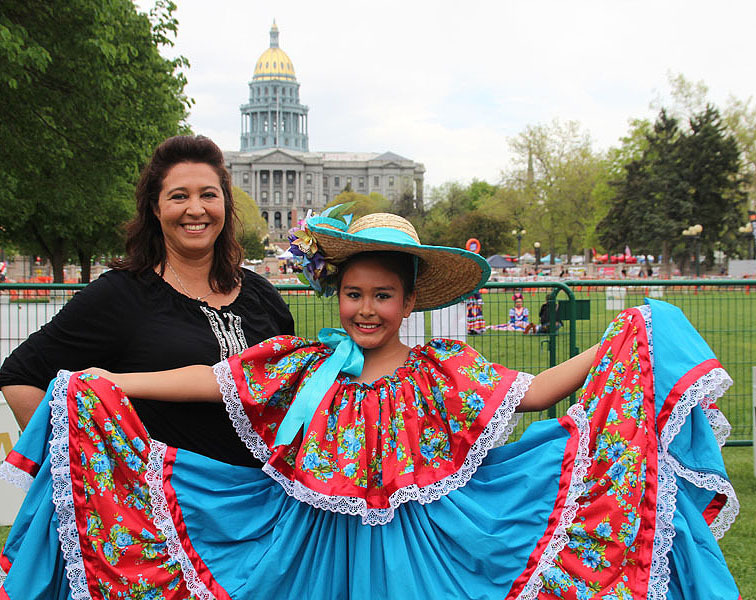 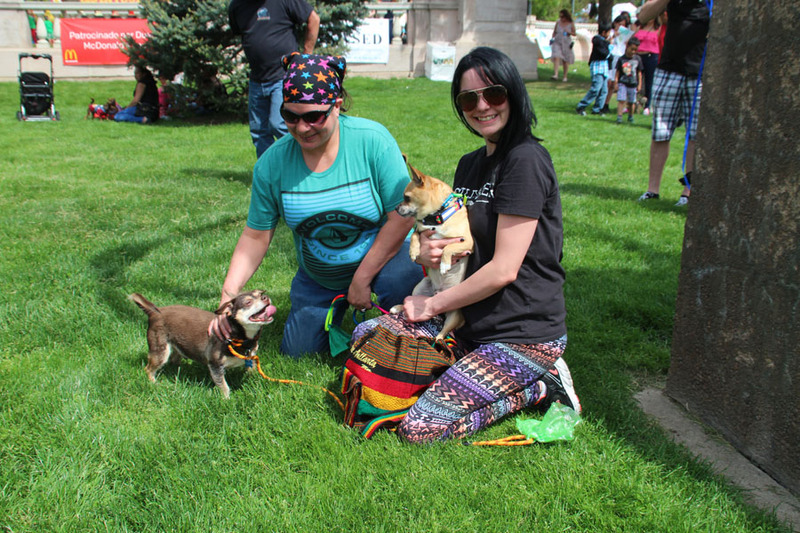 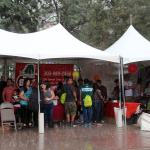 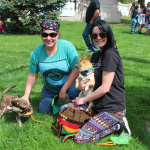 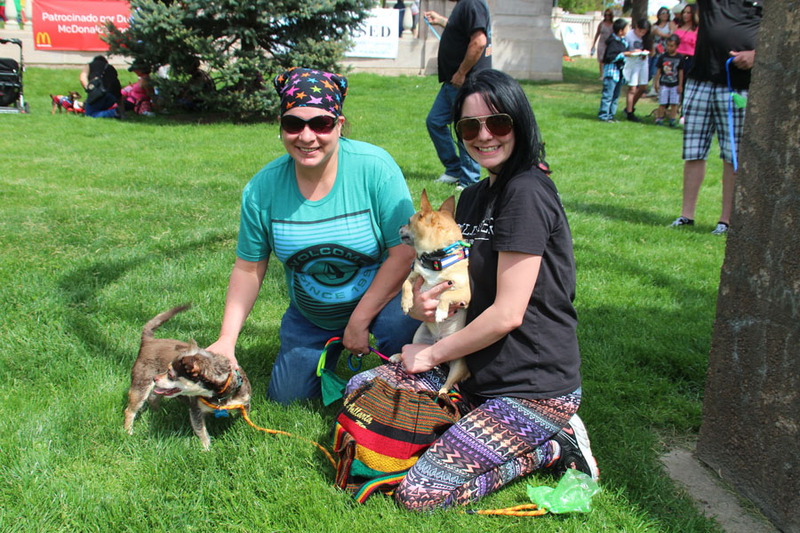 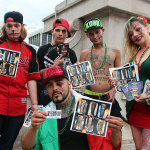 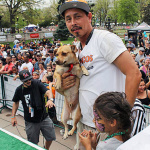 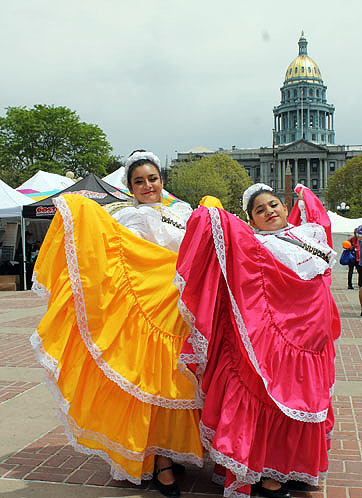 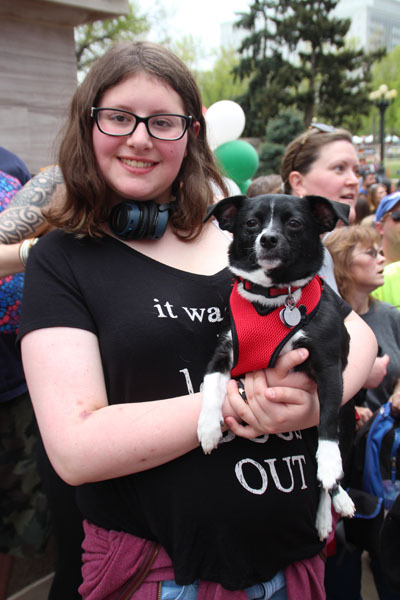 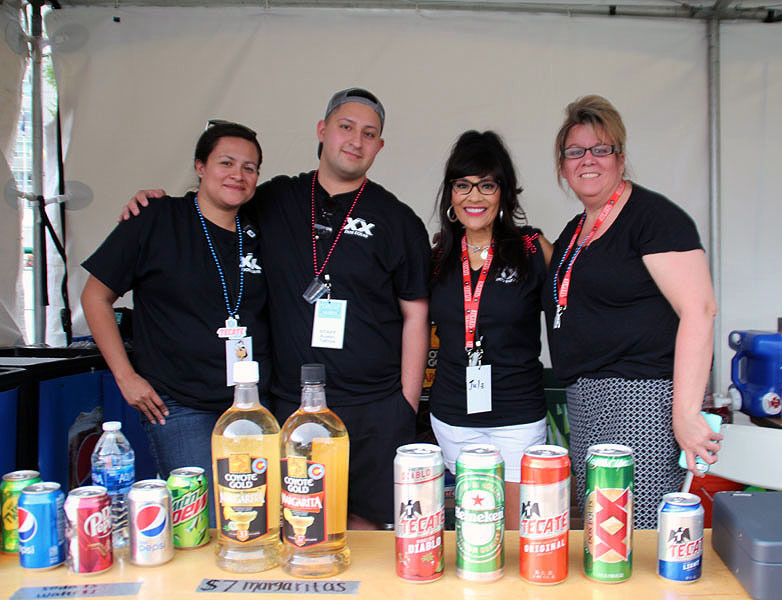 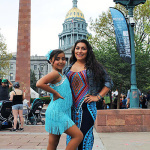 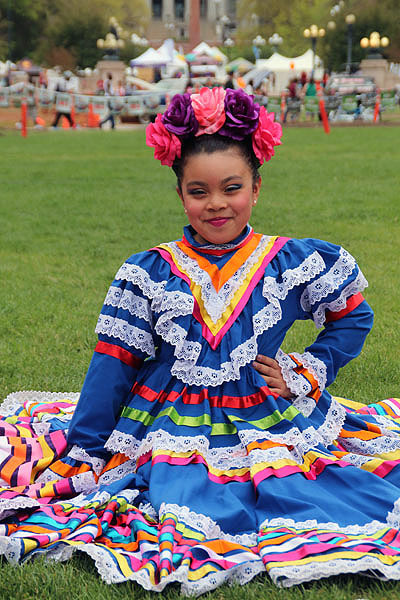 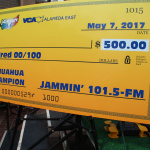 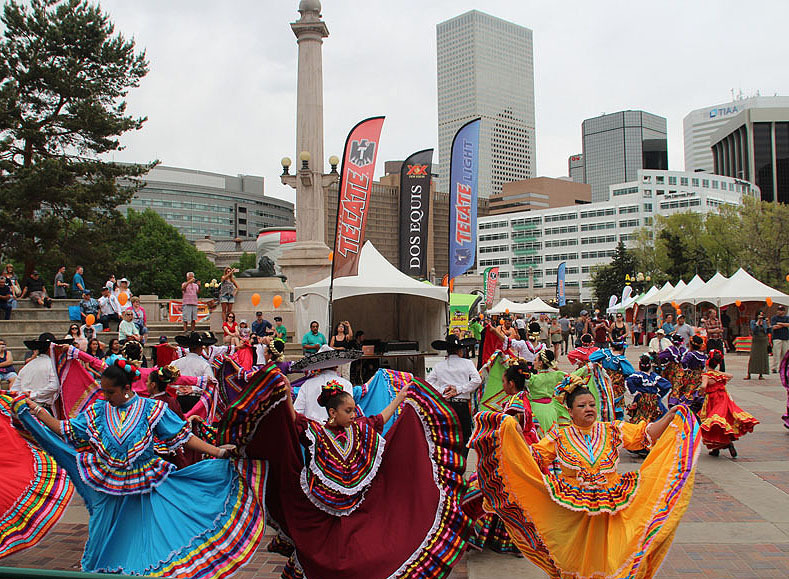 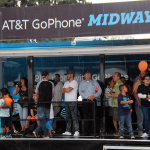 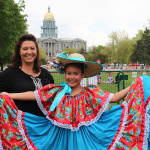 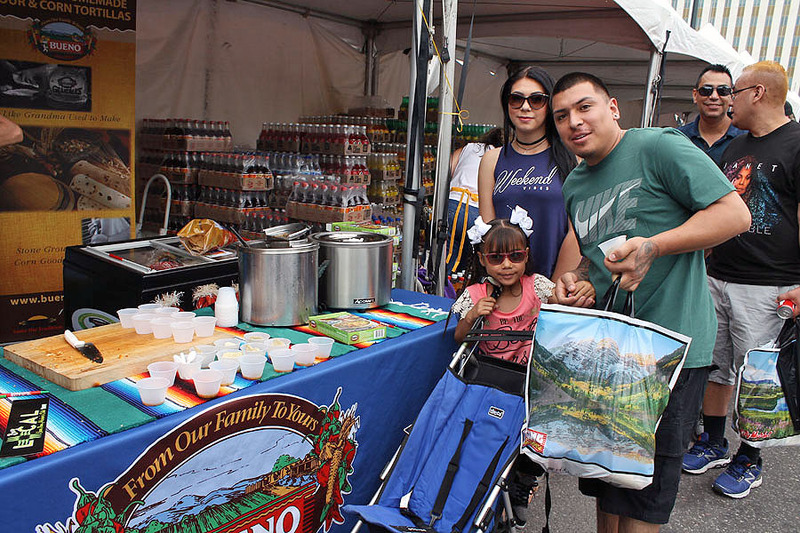 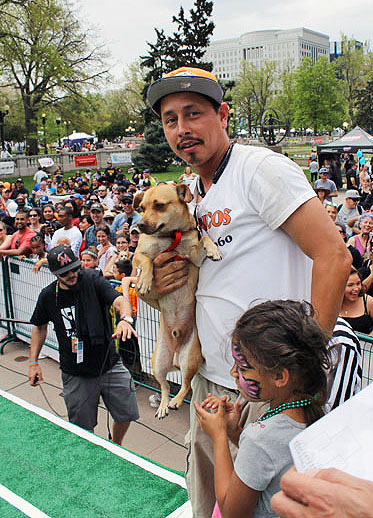 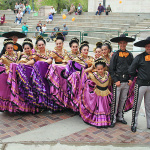 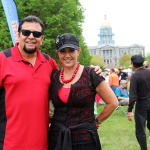 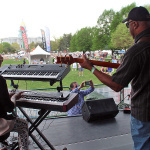 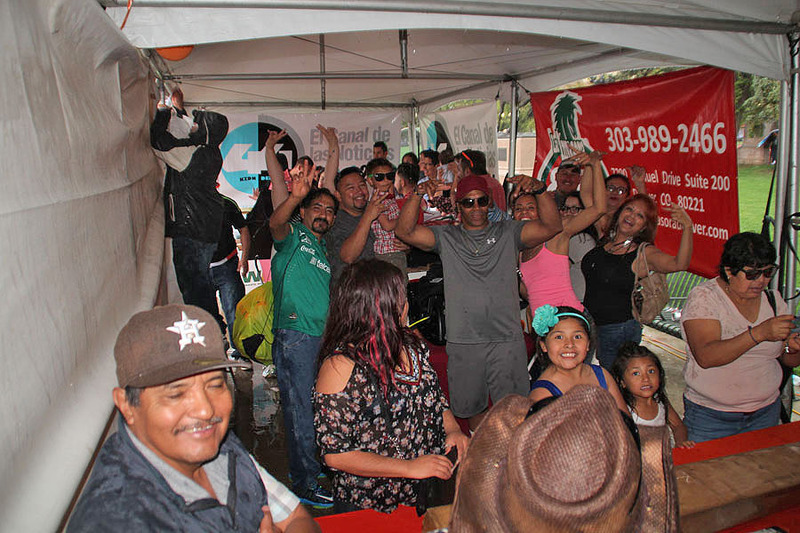 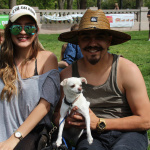 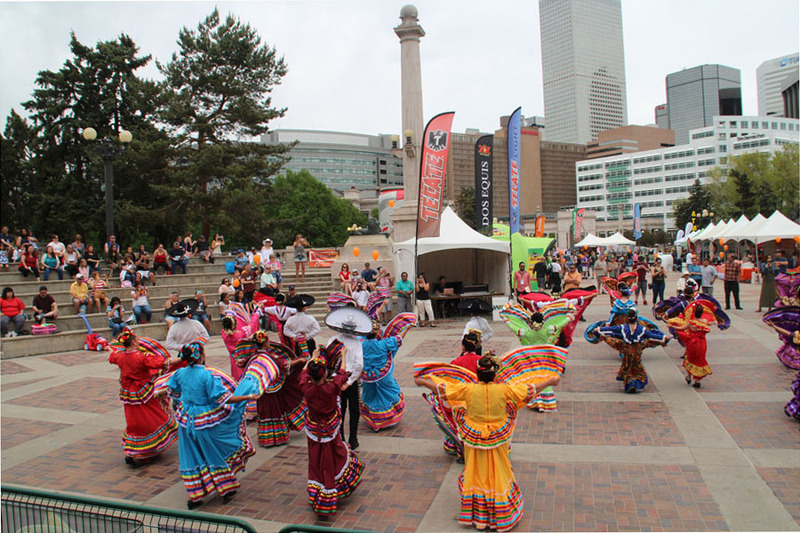 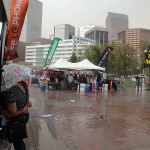 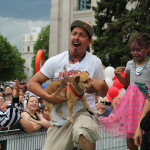 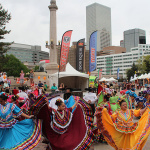 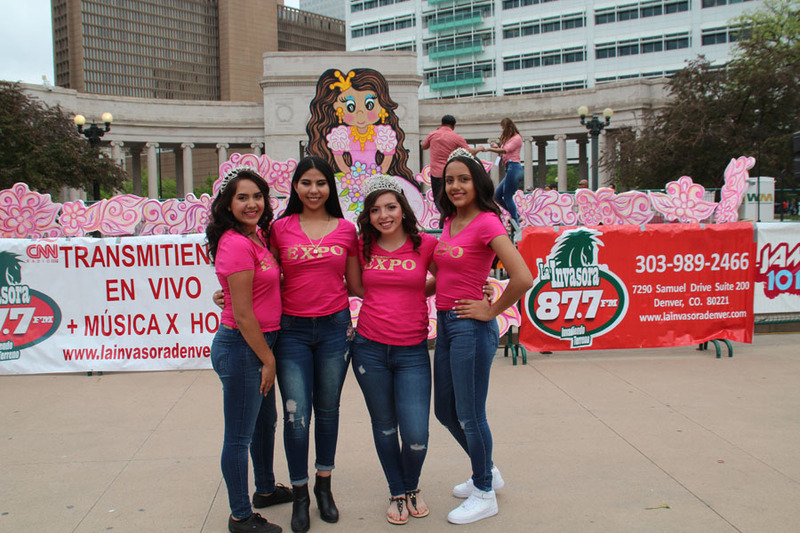 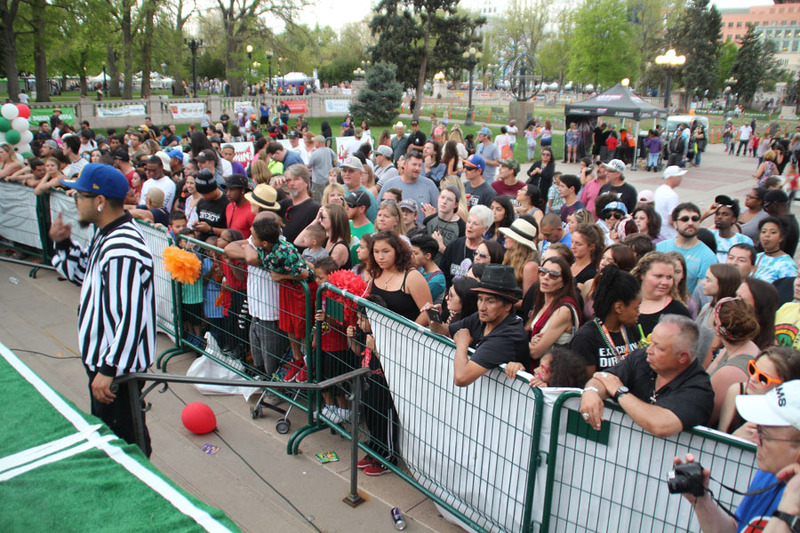 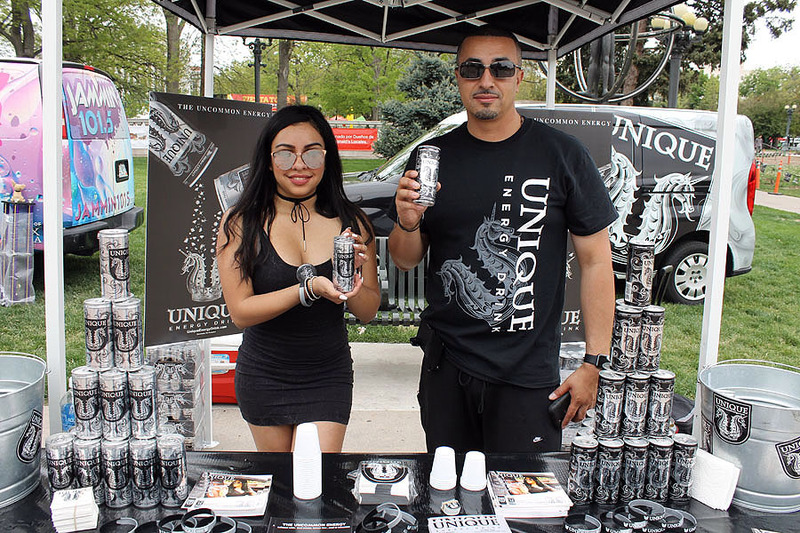 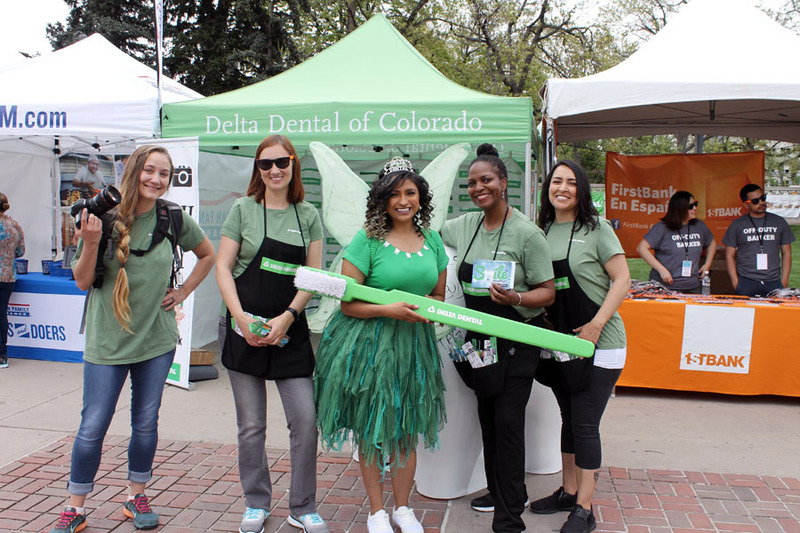 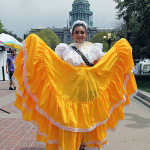 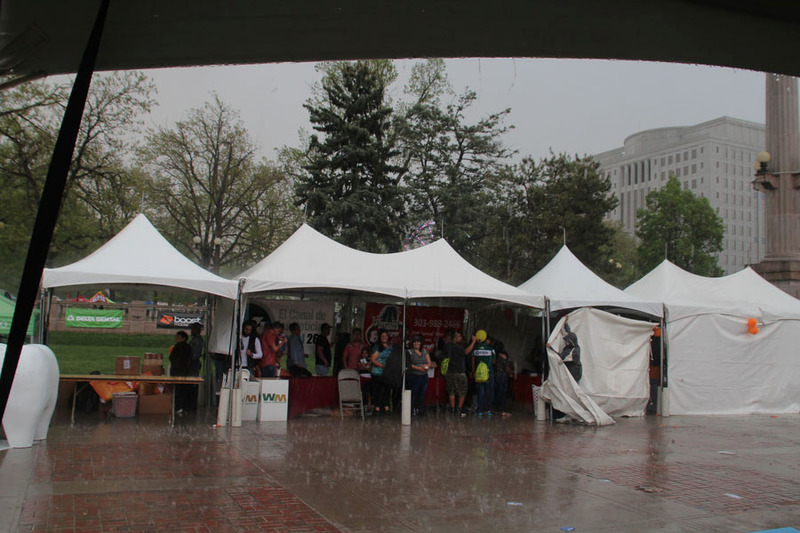 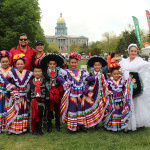 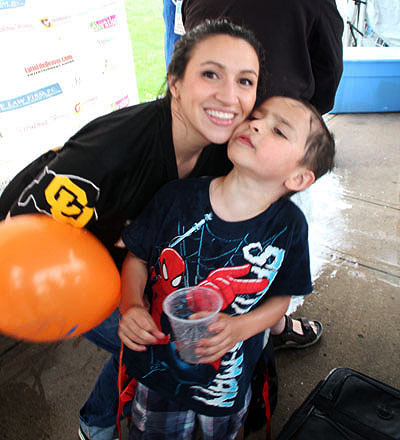 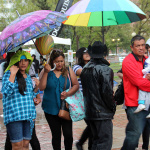 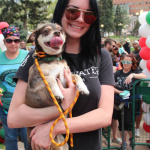 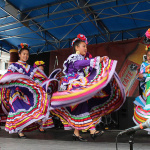 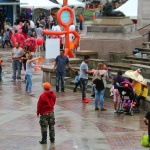 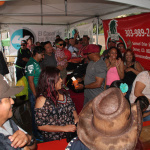 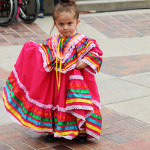 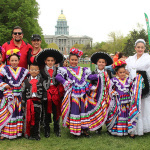 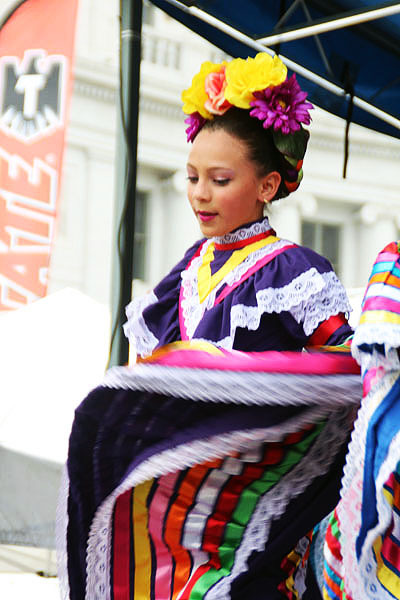 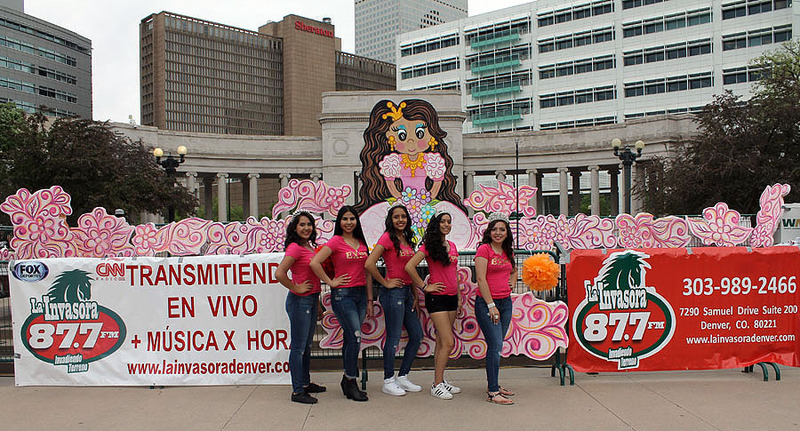 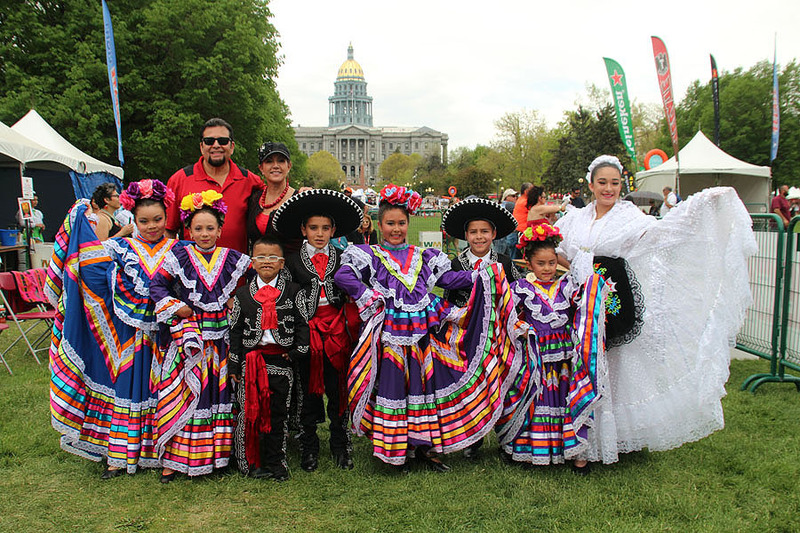 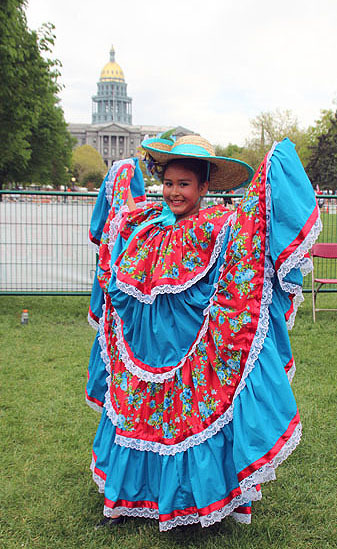 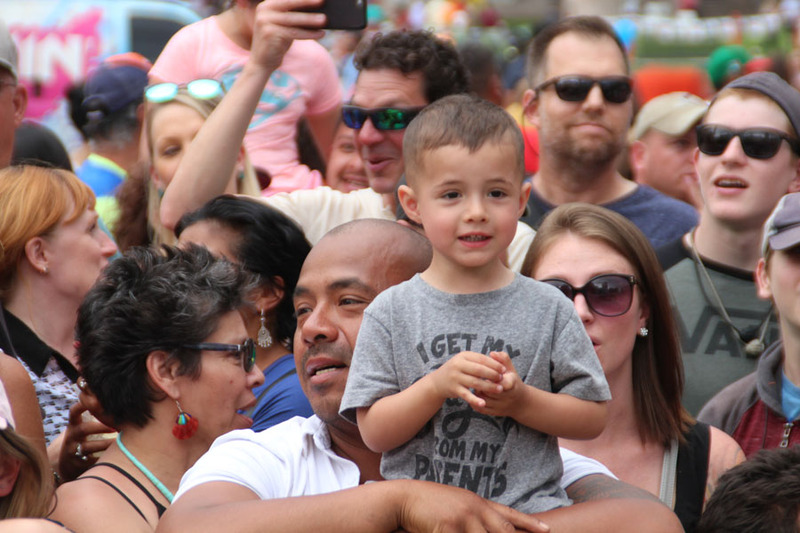 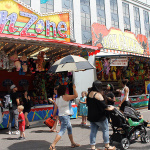 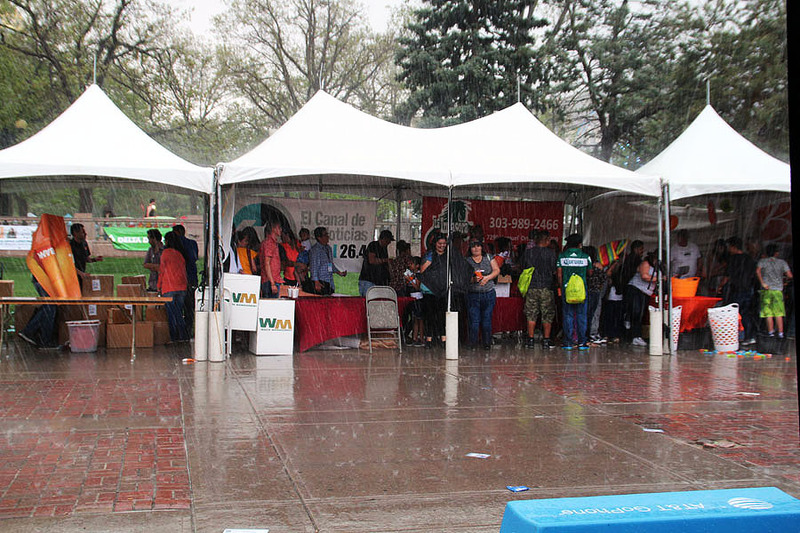 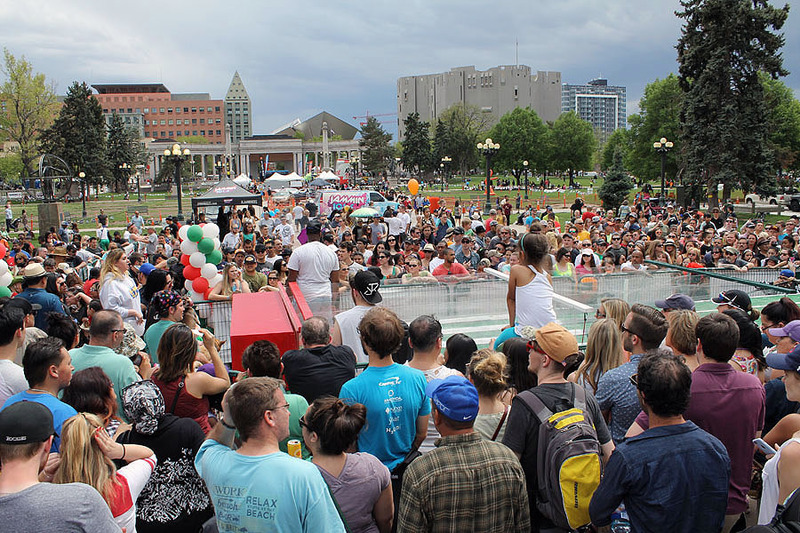 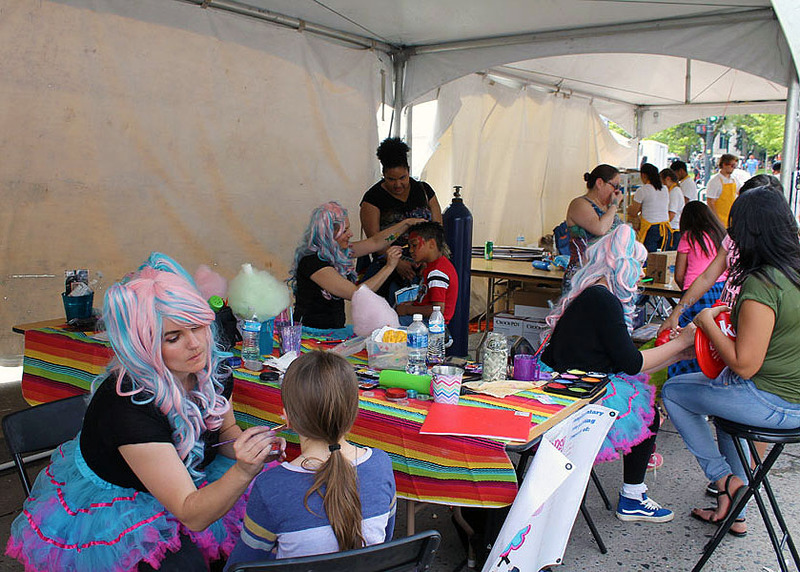 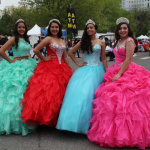 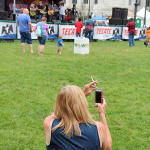 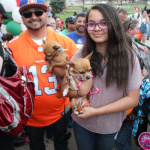 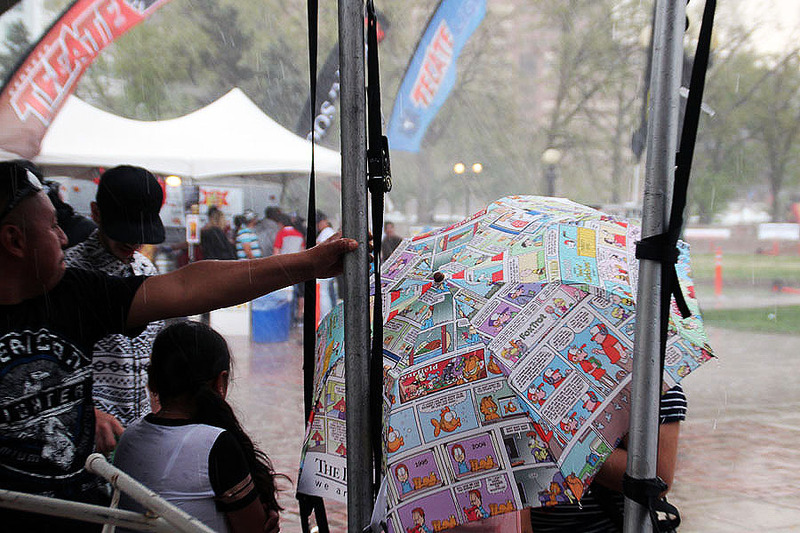 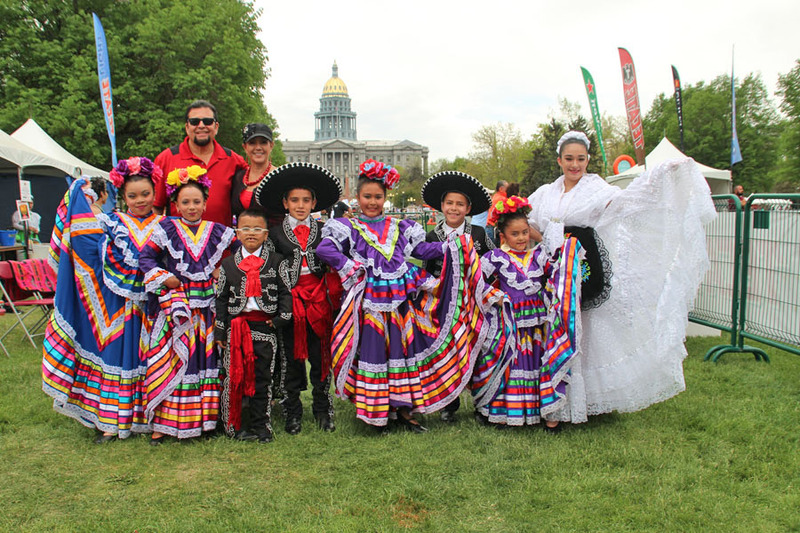 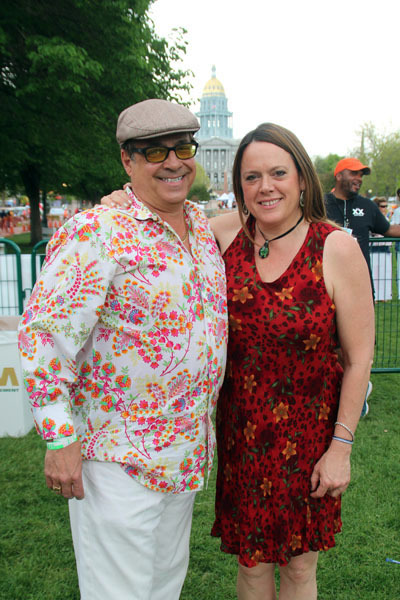 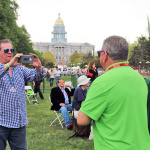 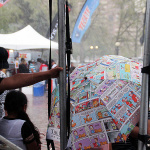 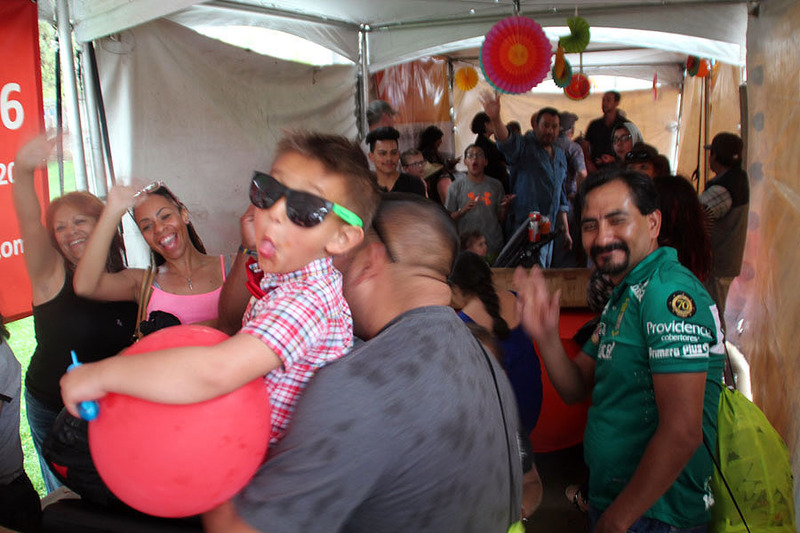 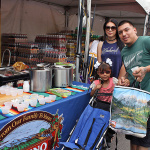 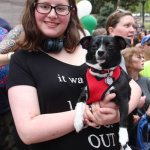 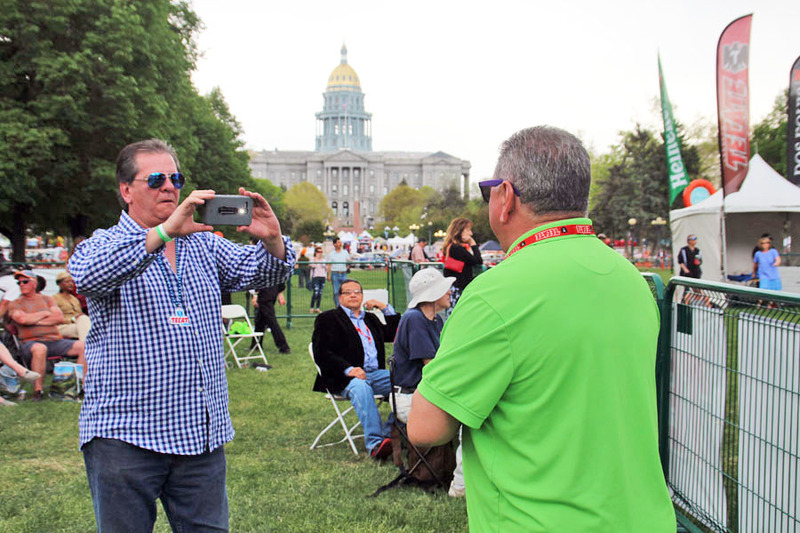 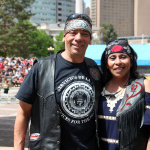 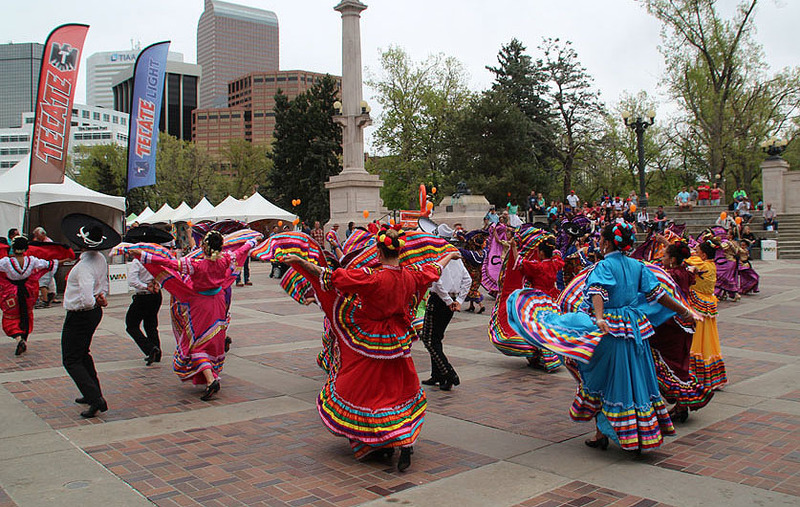 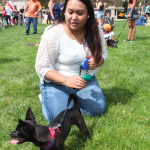 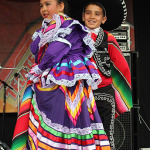 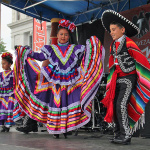 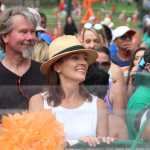 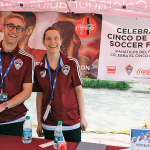 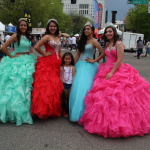 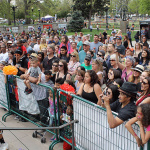 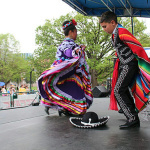 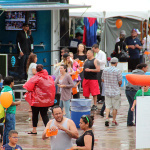 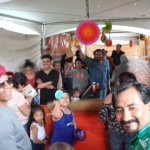 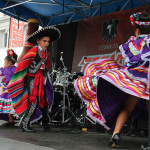 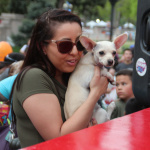 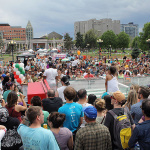 All in all, despite the freak weather occurrence, the 30th Annual Denver Cinco de Mayo organized by the NEWSED Community Development Corporation was an overwhelming success and proved why it continues to the biggest and best Cinco de Mayo celebration anywhere in the world. 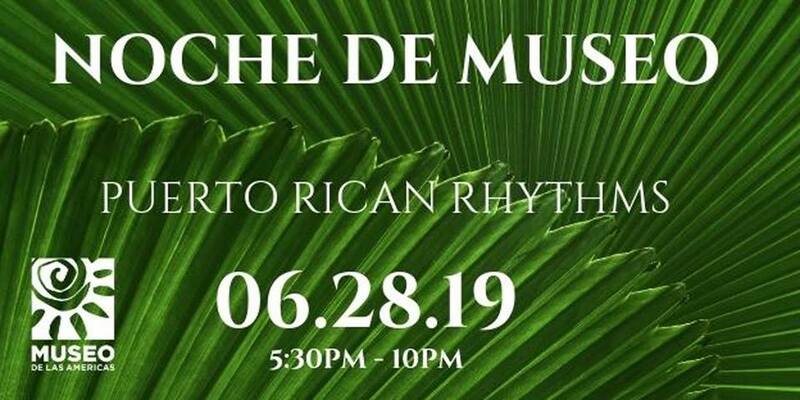 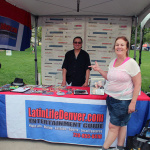 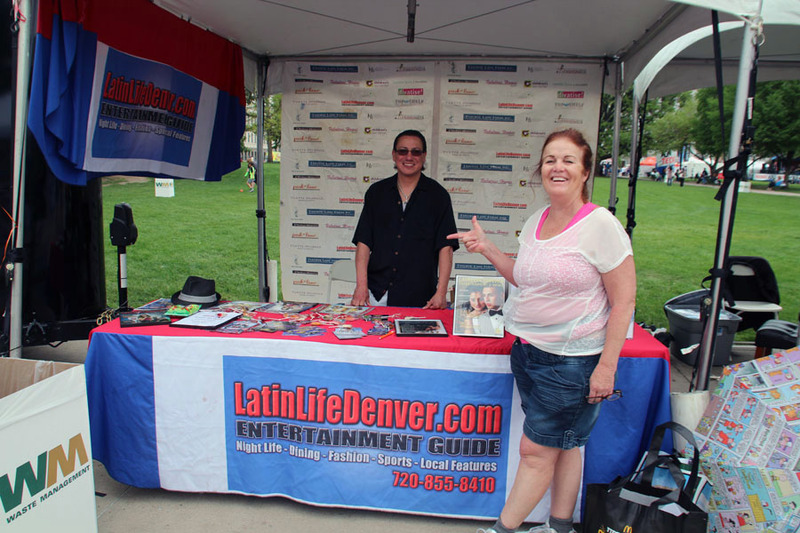 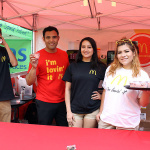 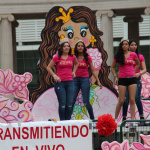 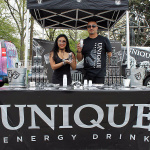 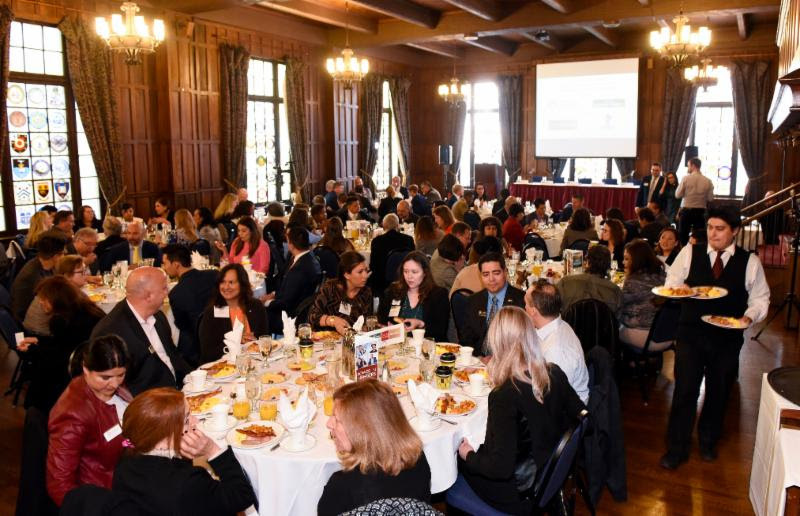 Latin Life Denver was proud to media sponsor for the 5th year in a row. 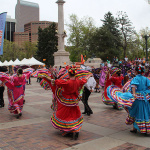 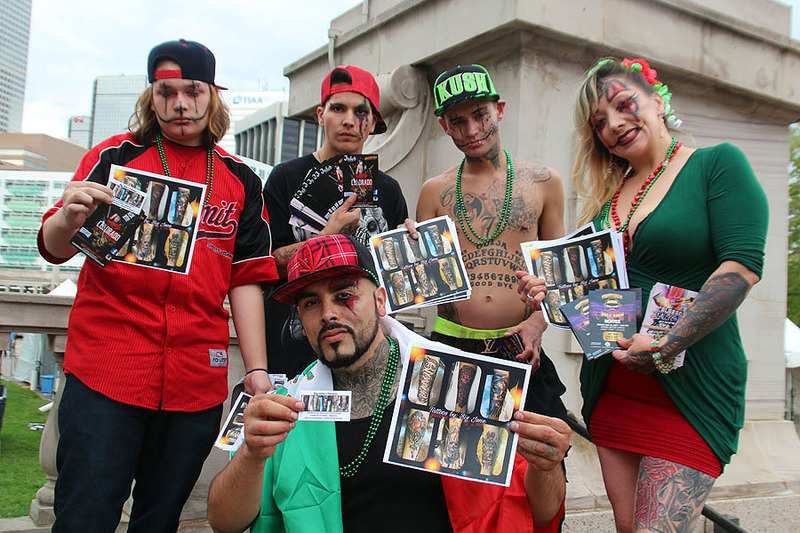 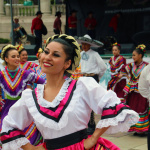 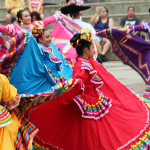 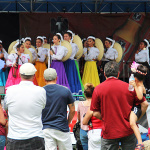 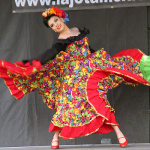 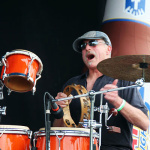 Cinco de Mayo 2015 Always a Cultural Blast!